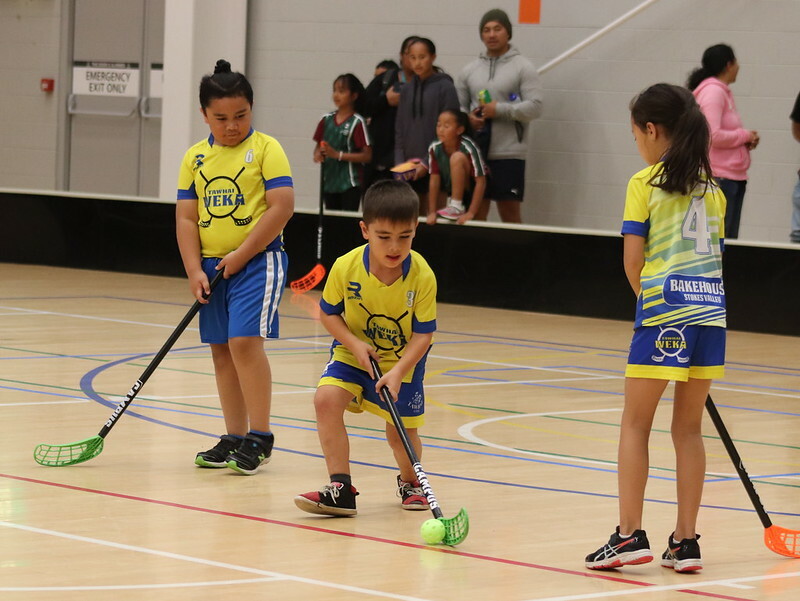 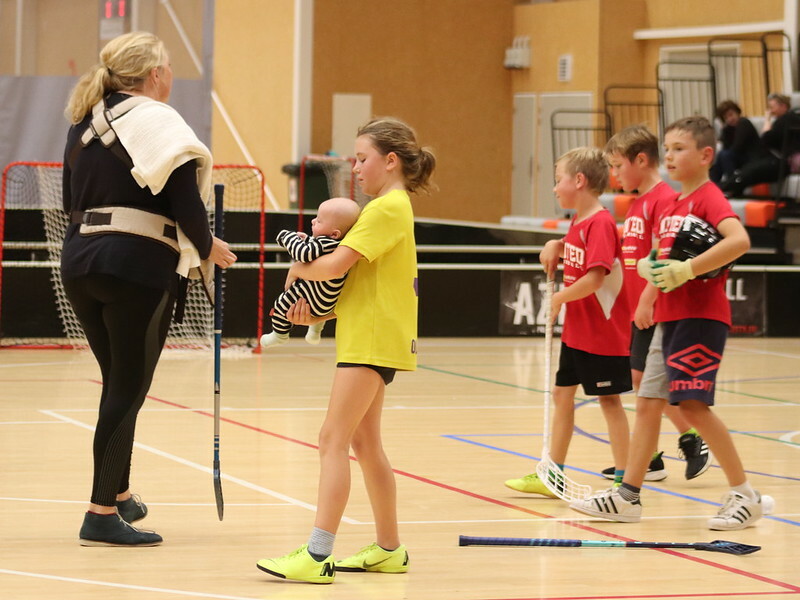 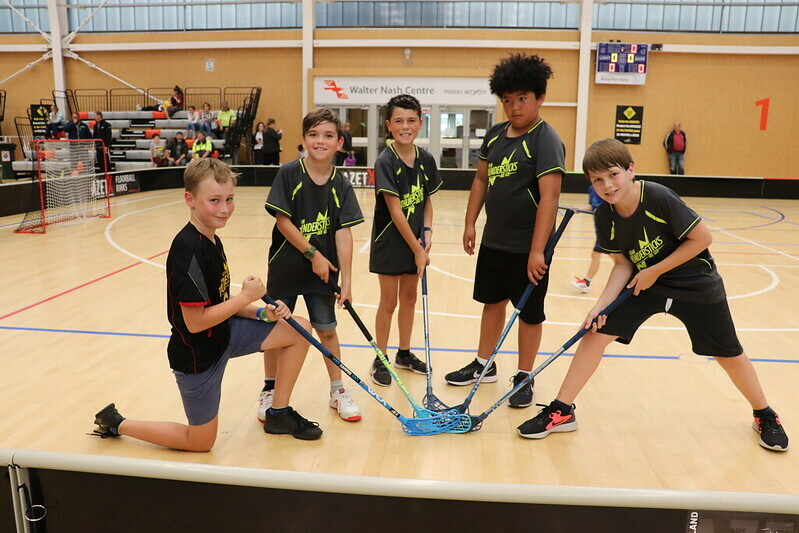 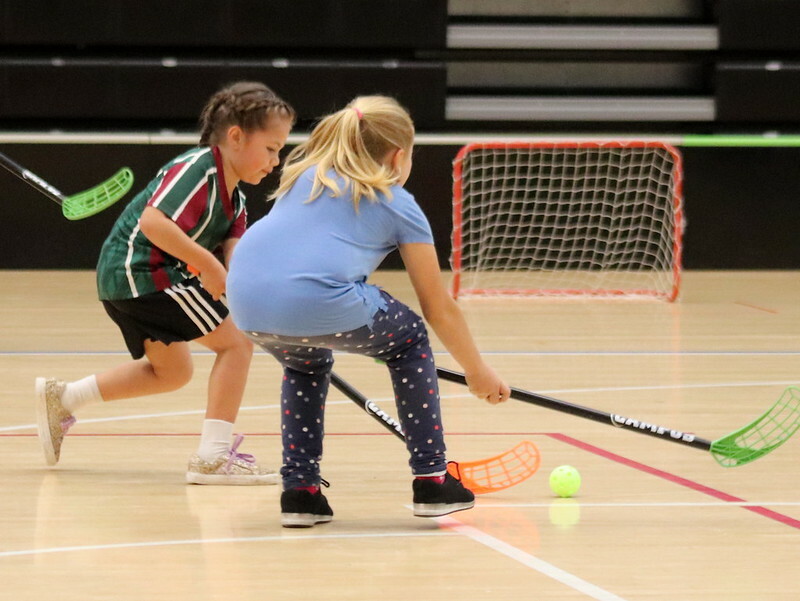 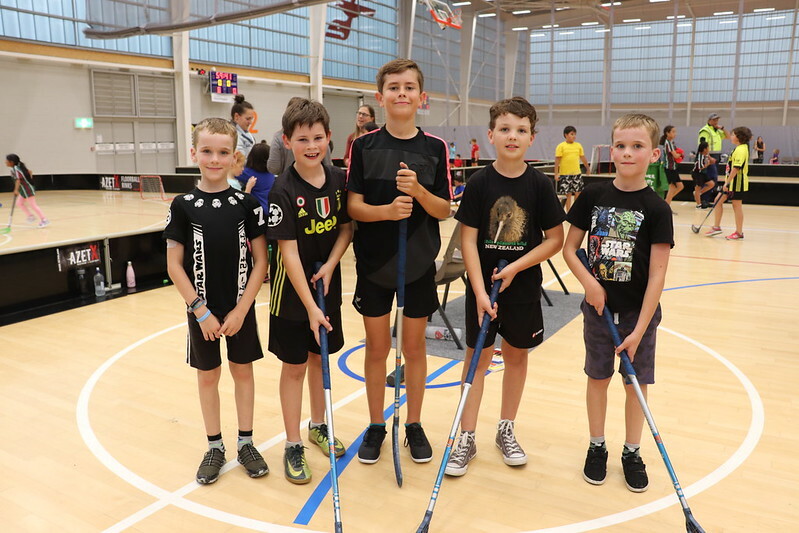 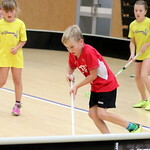 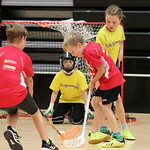 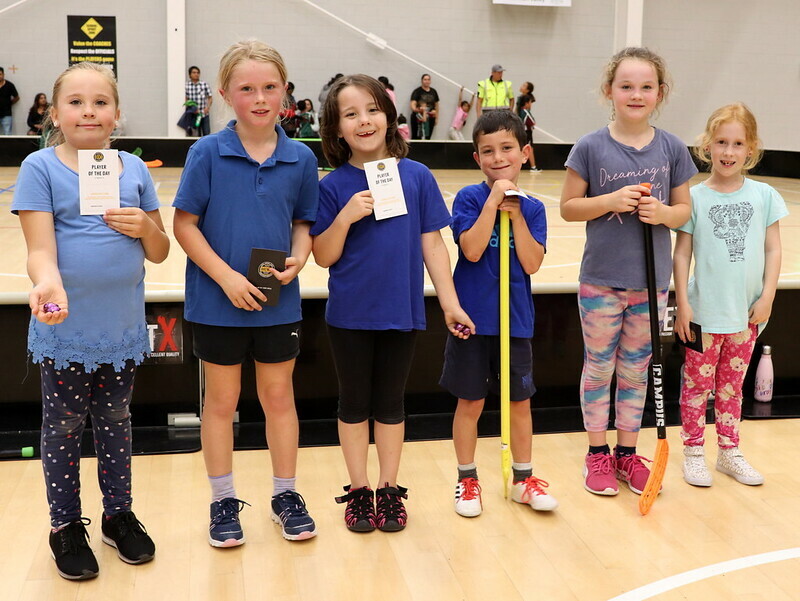 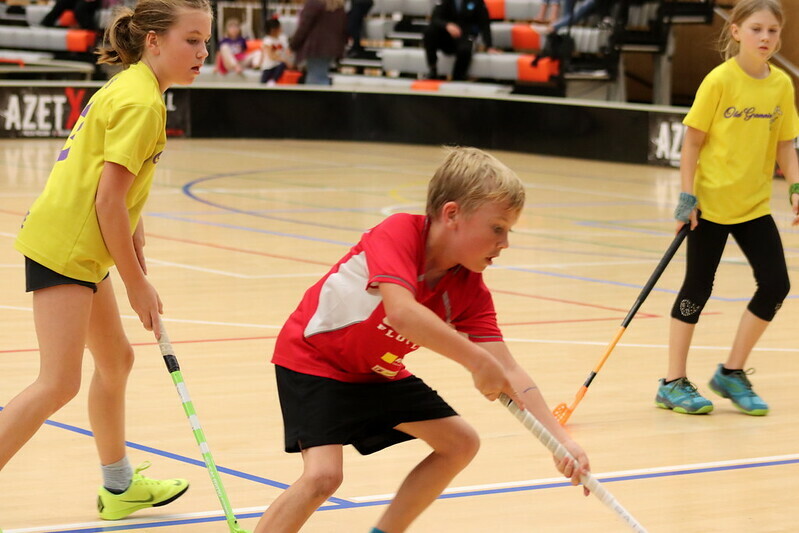 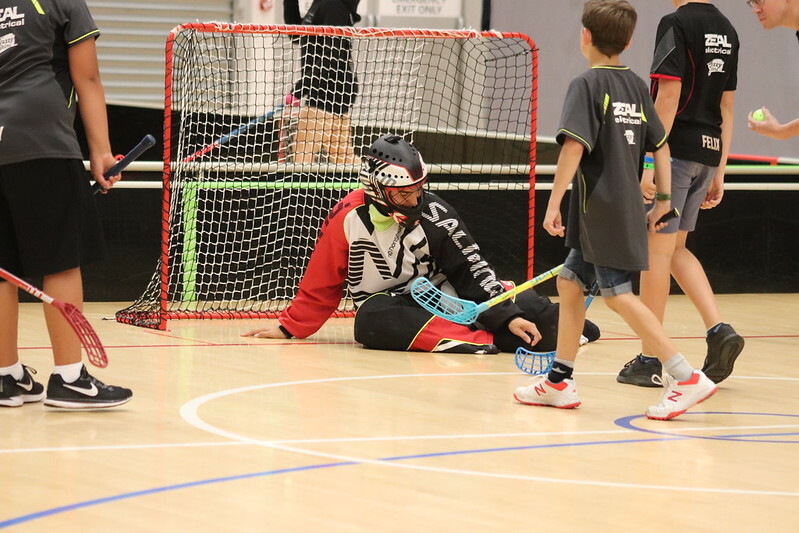 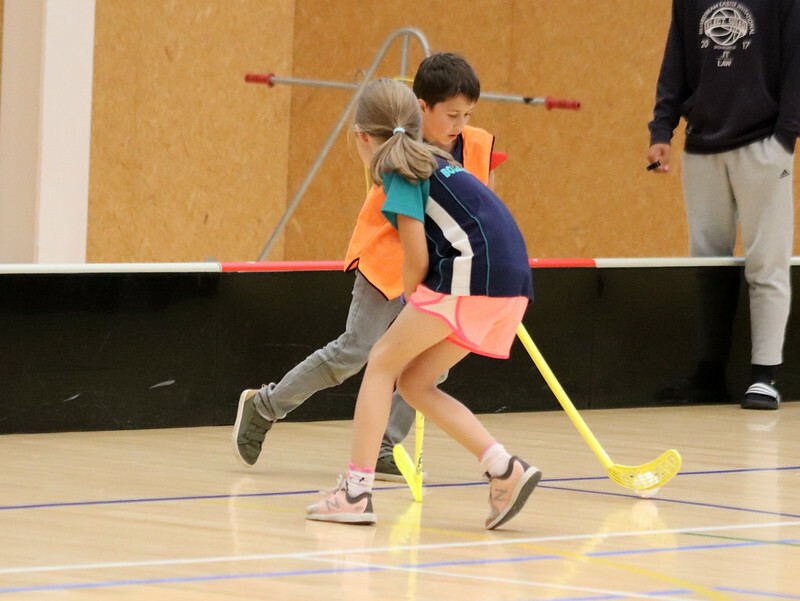 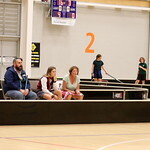 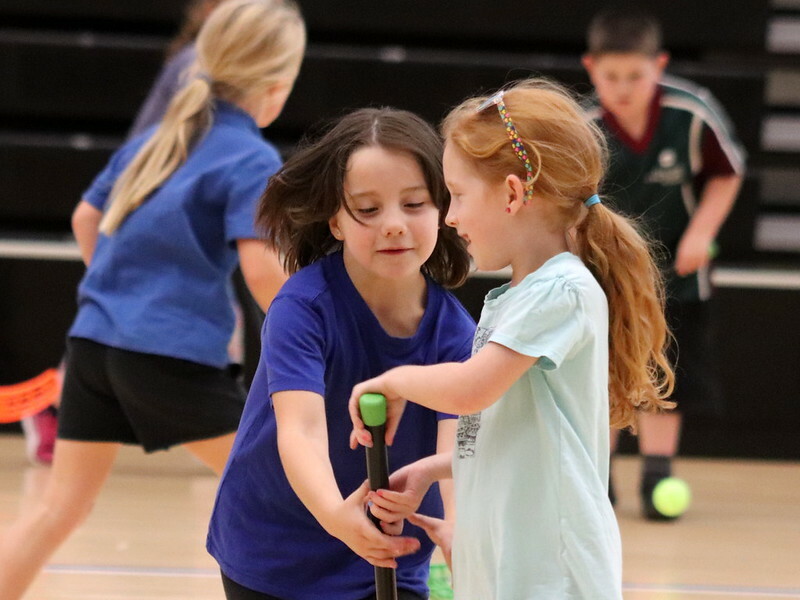 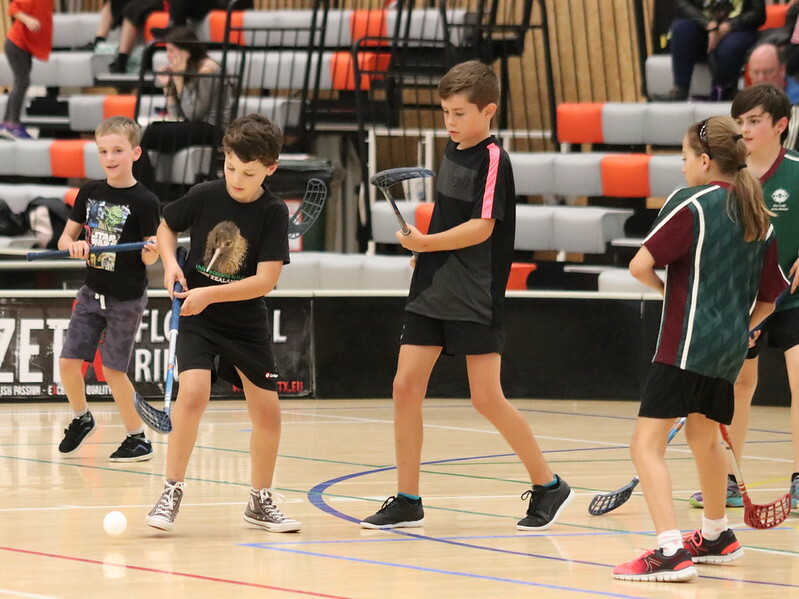 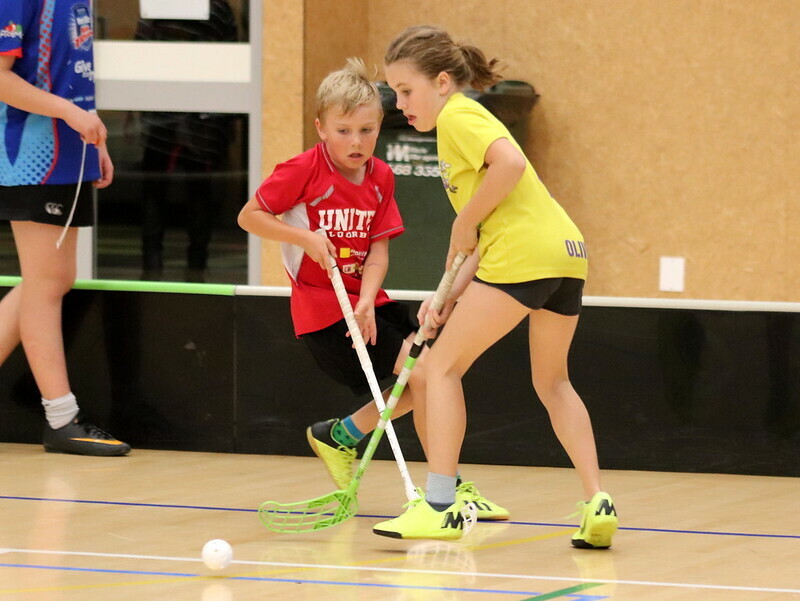 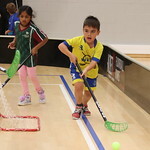 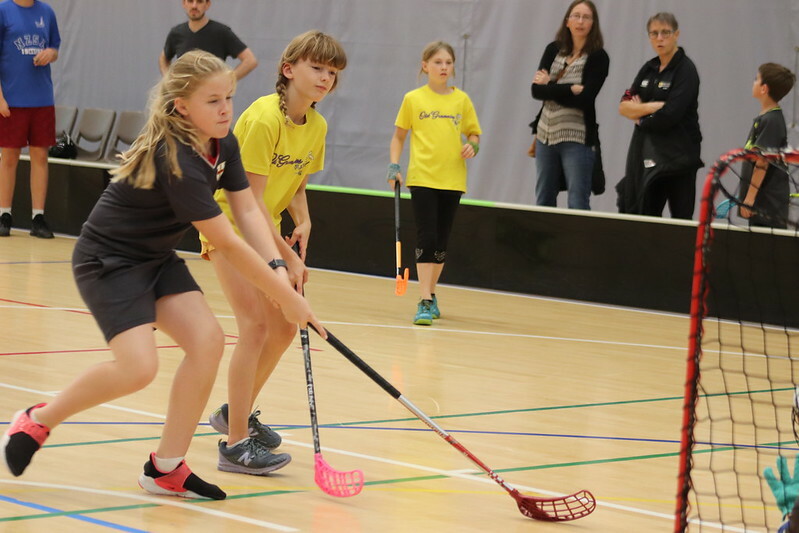 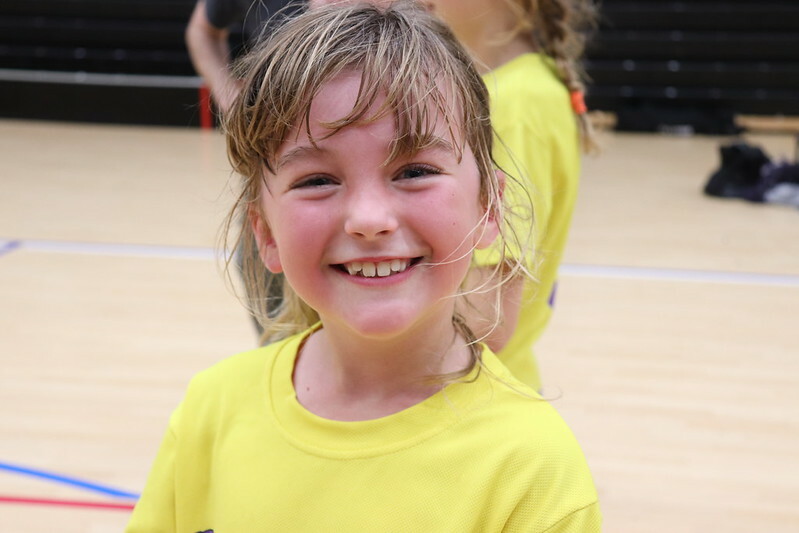 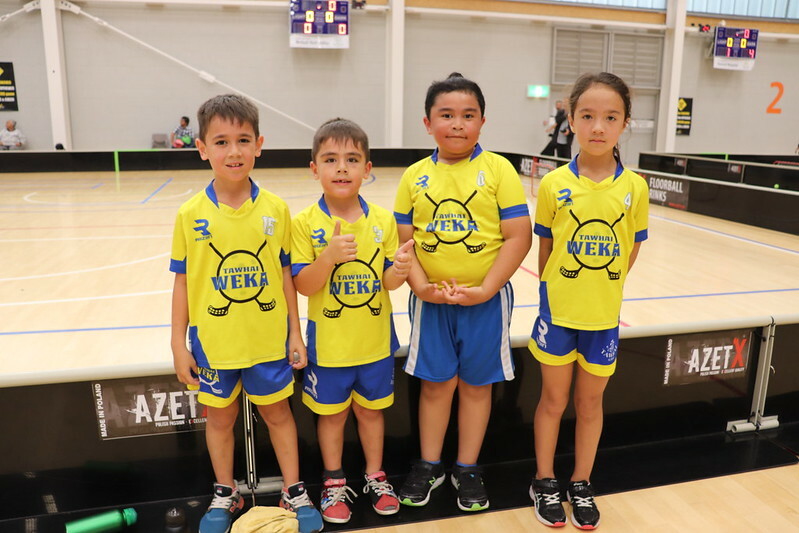 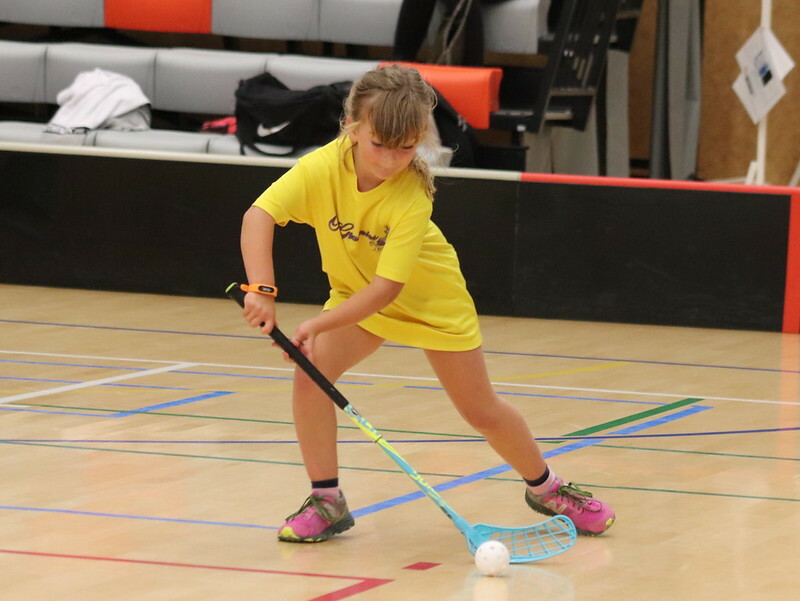 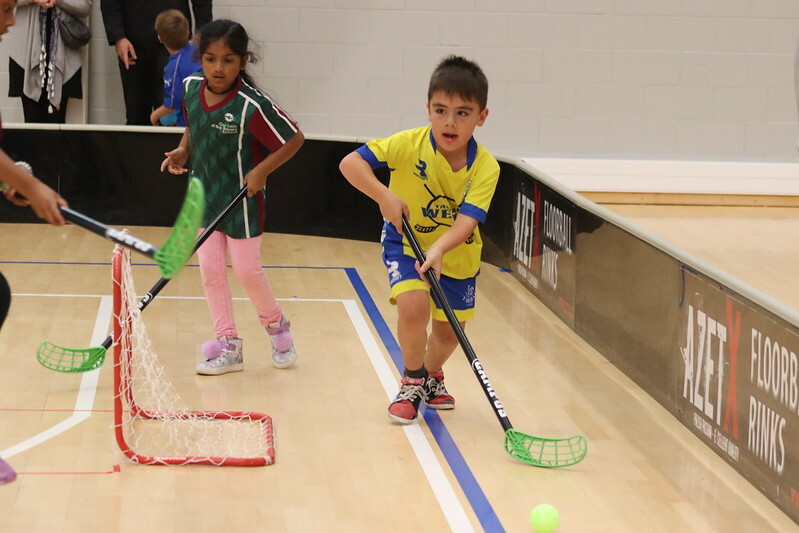 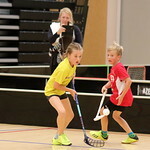 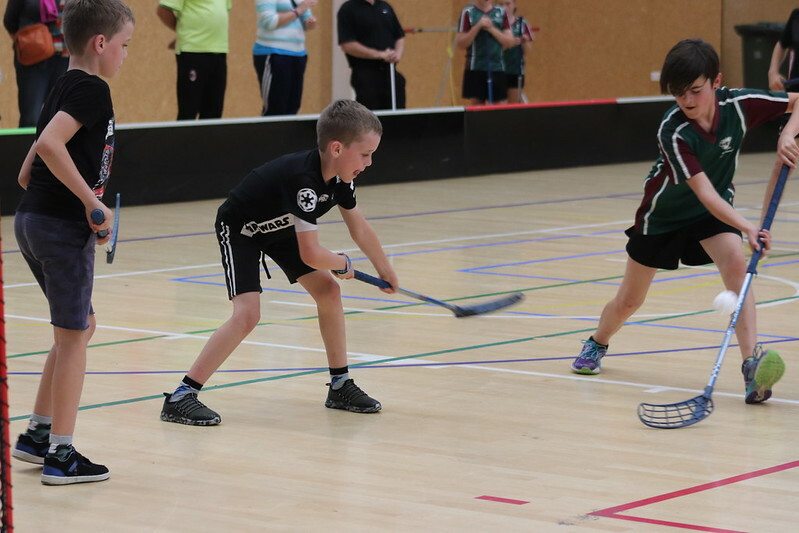 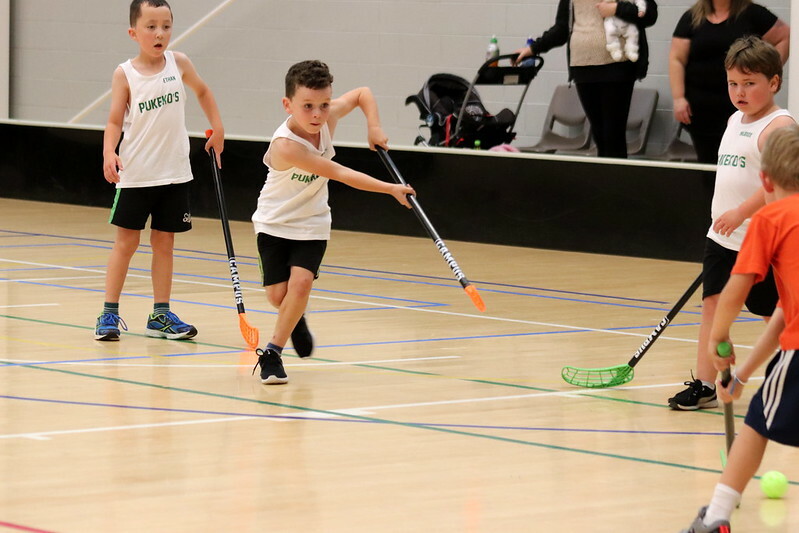 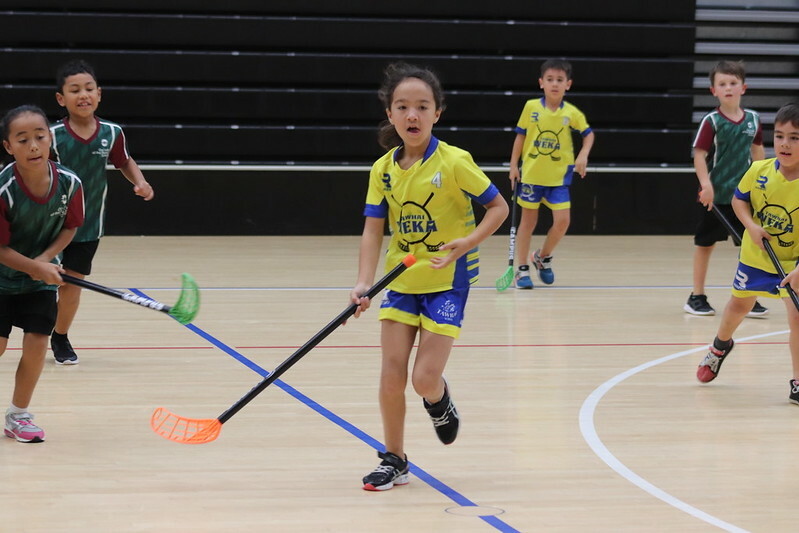 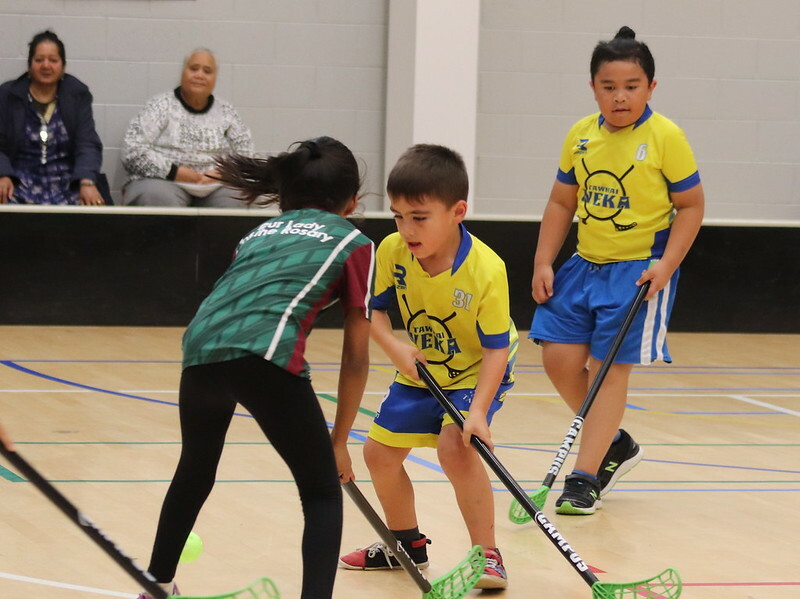 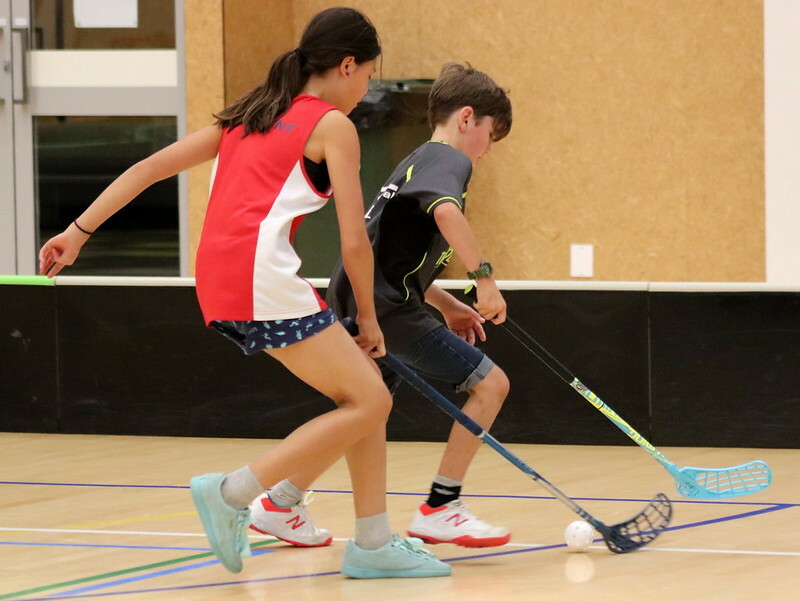 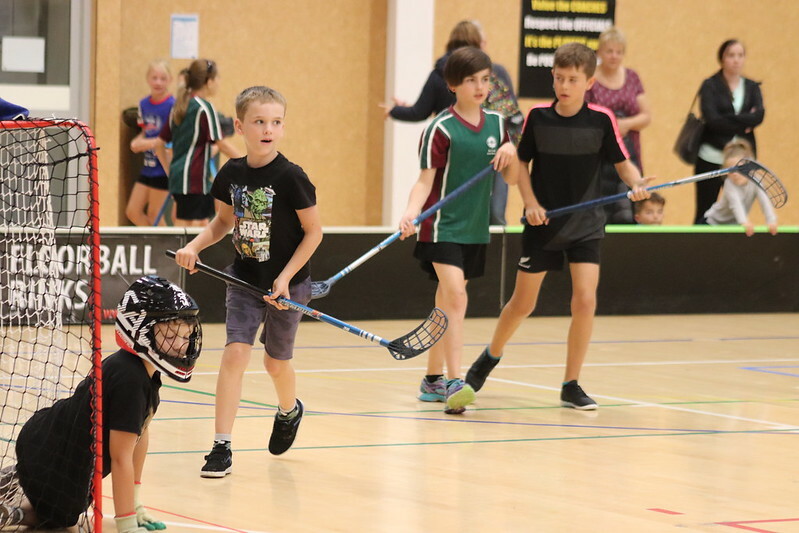 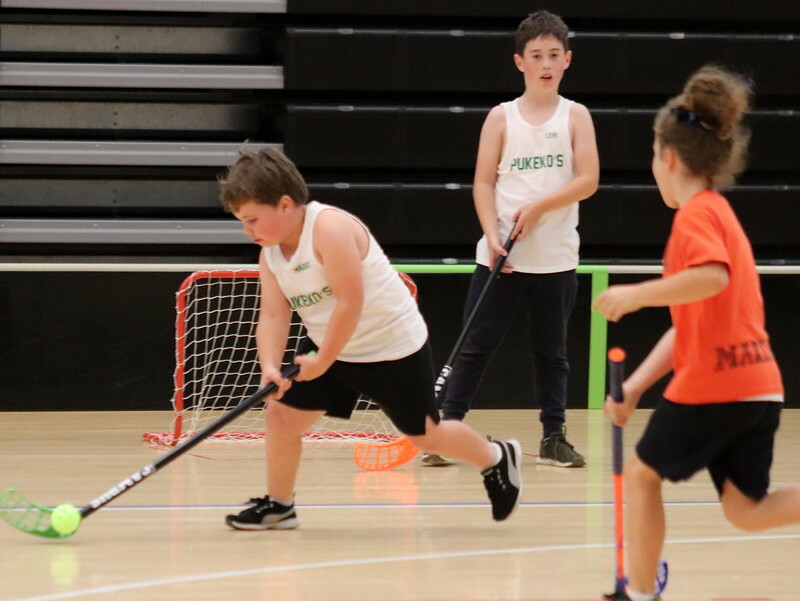 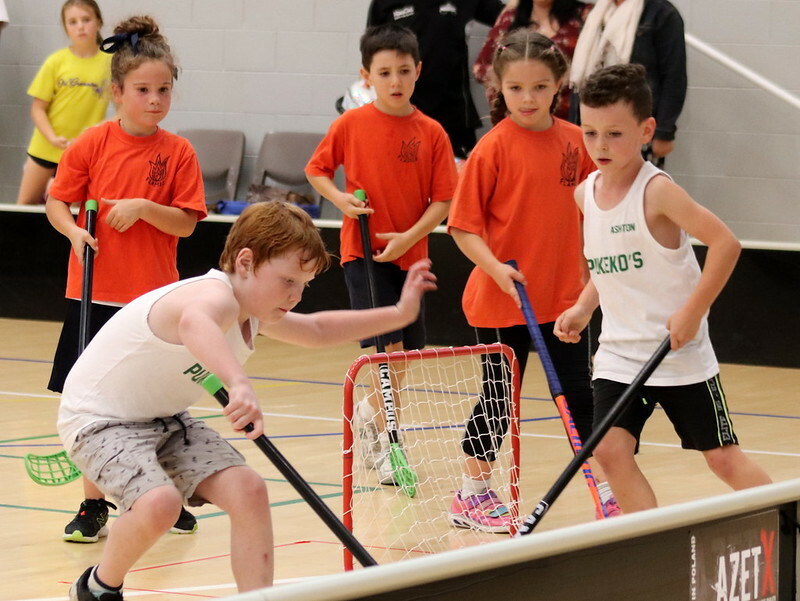 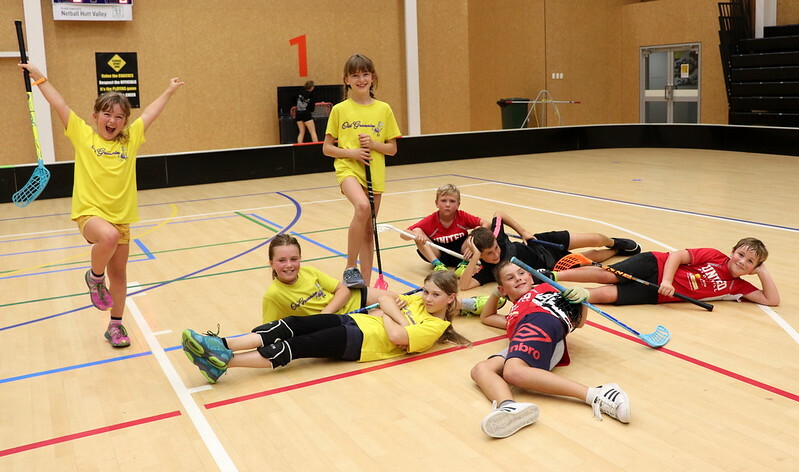 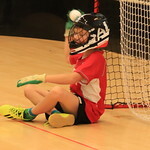 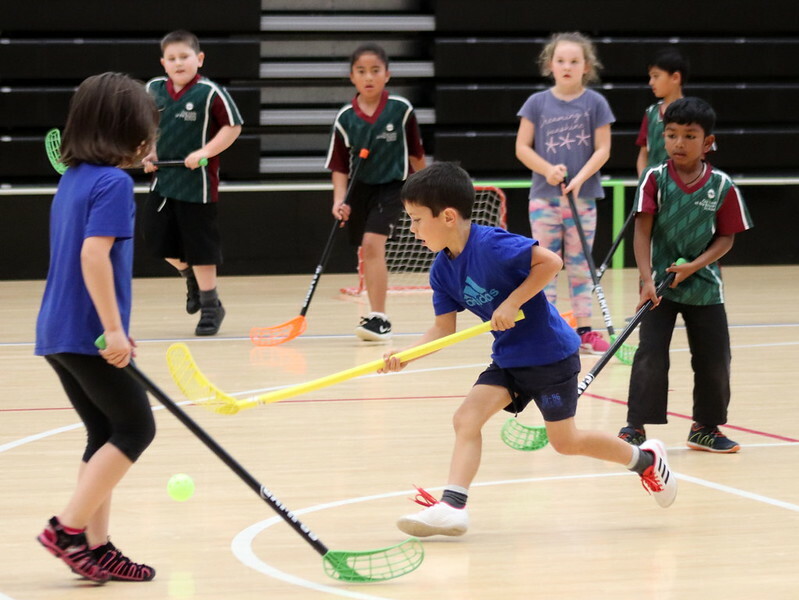 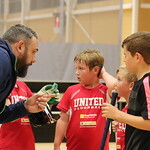 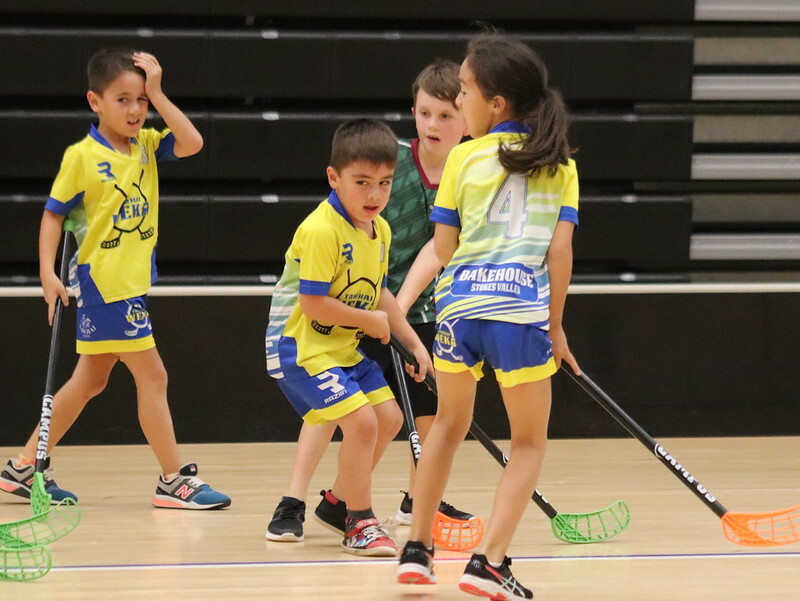 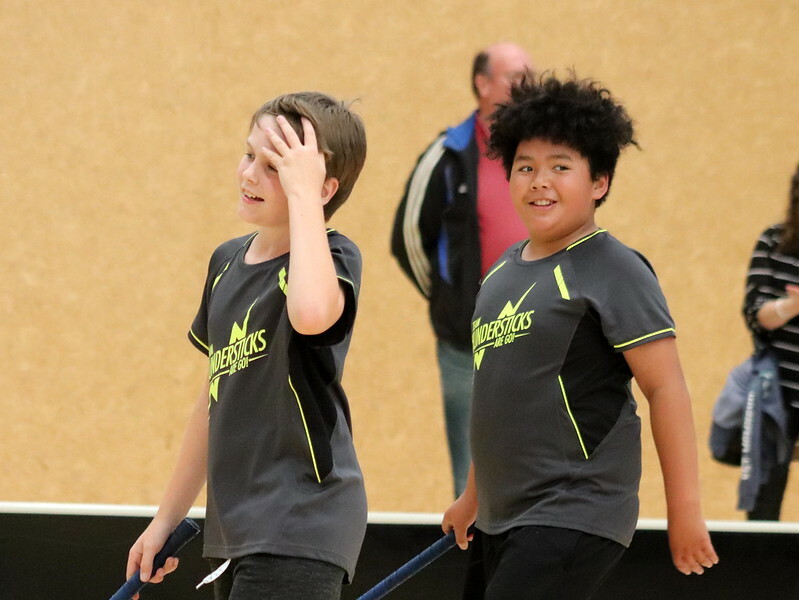 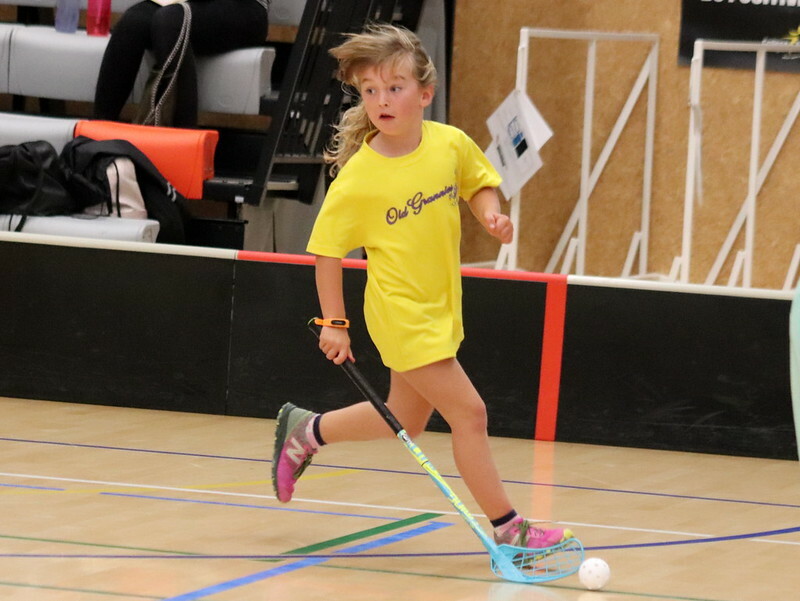 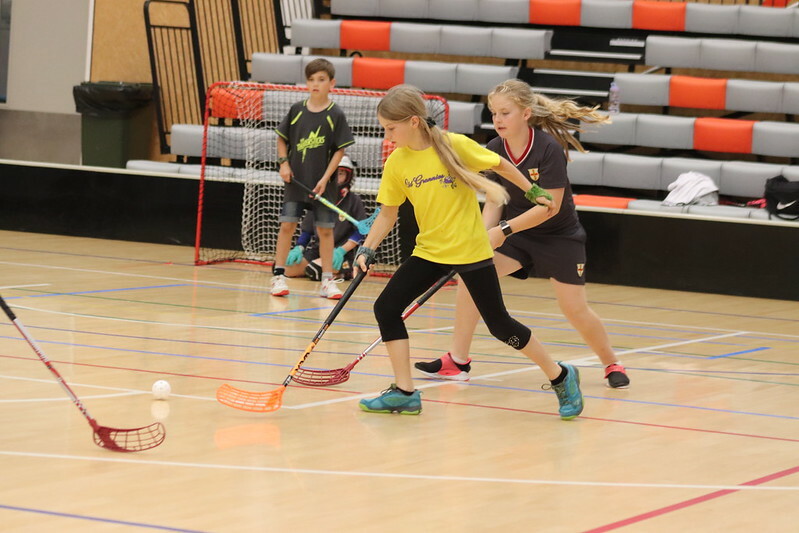 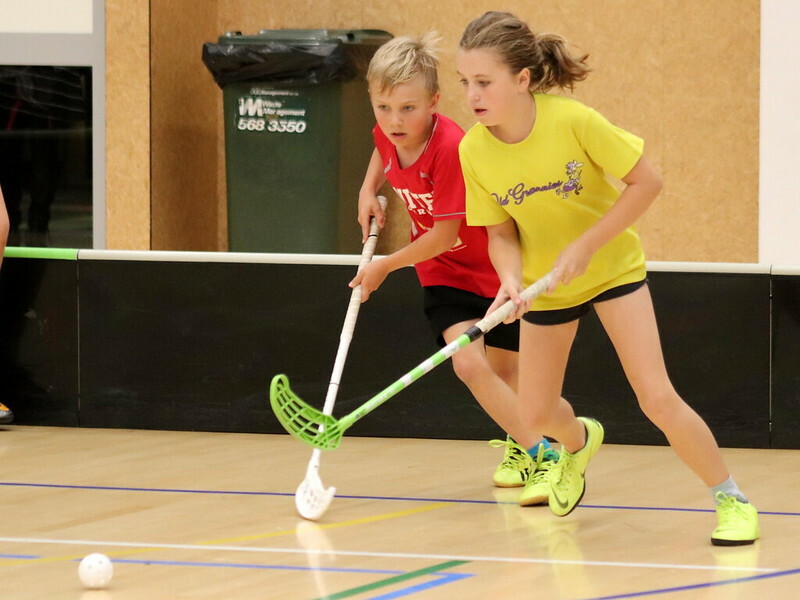 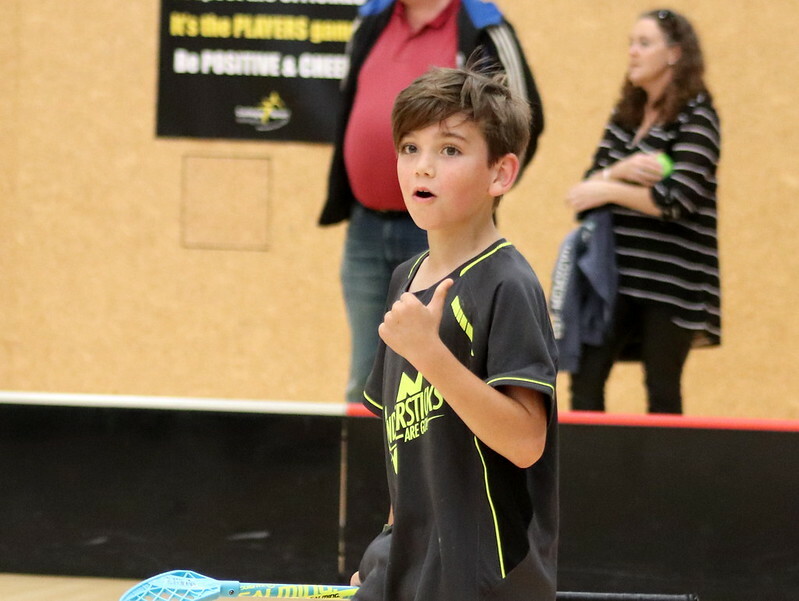 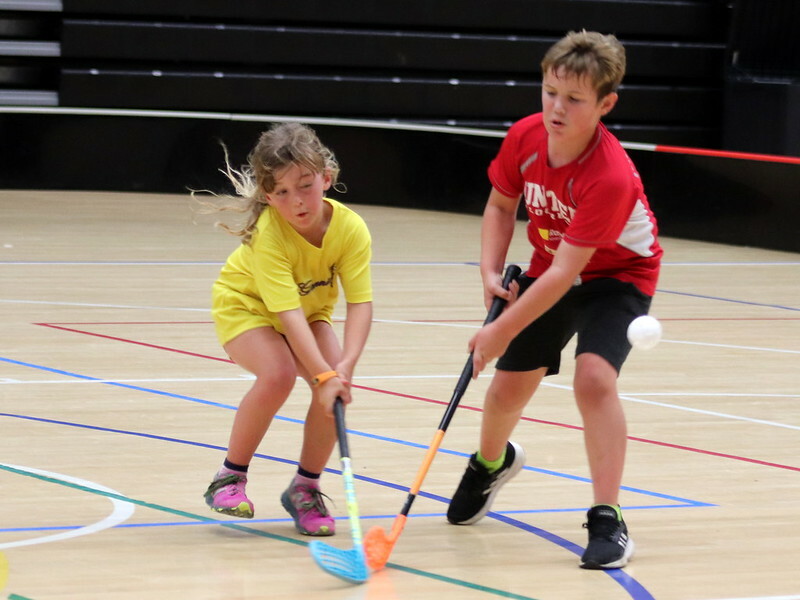 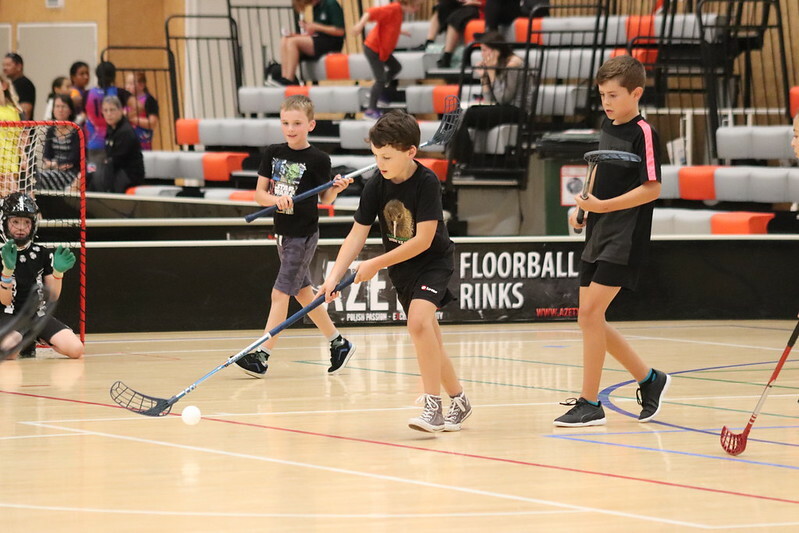 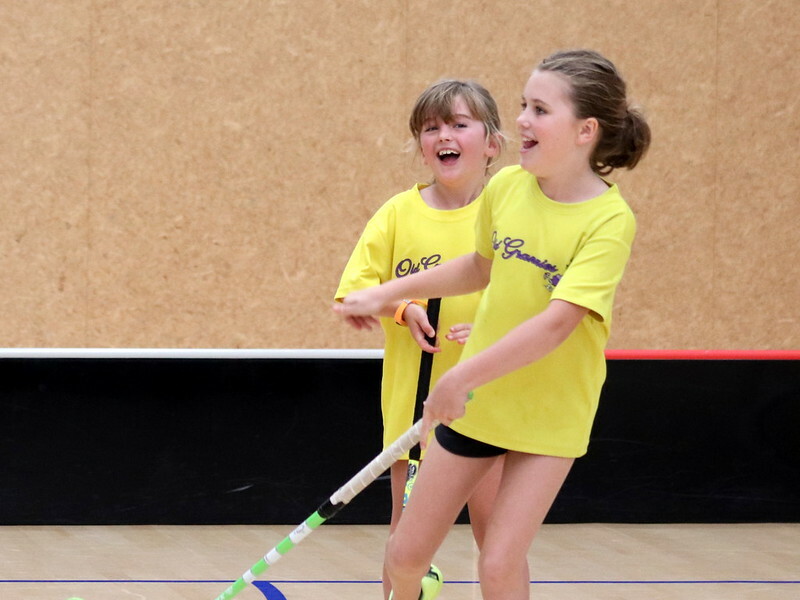 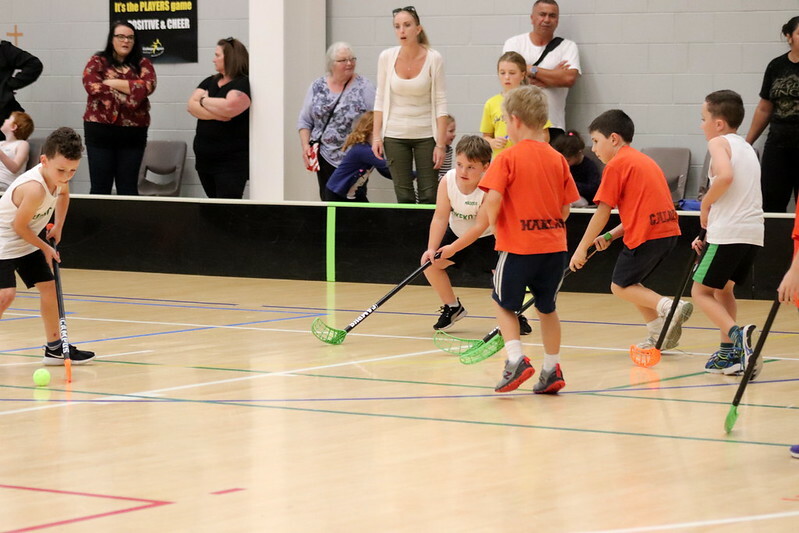 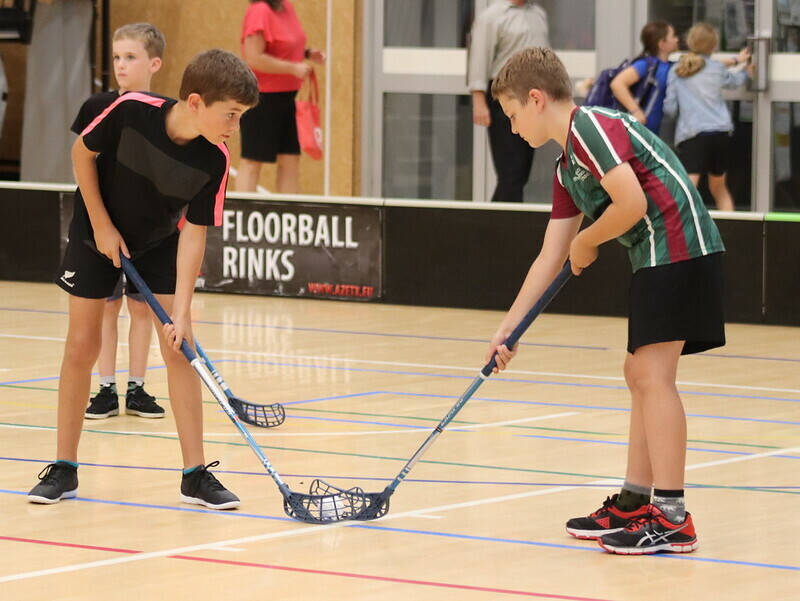 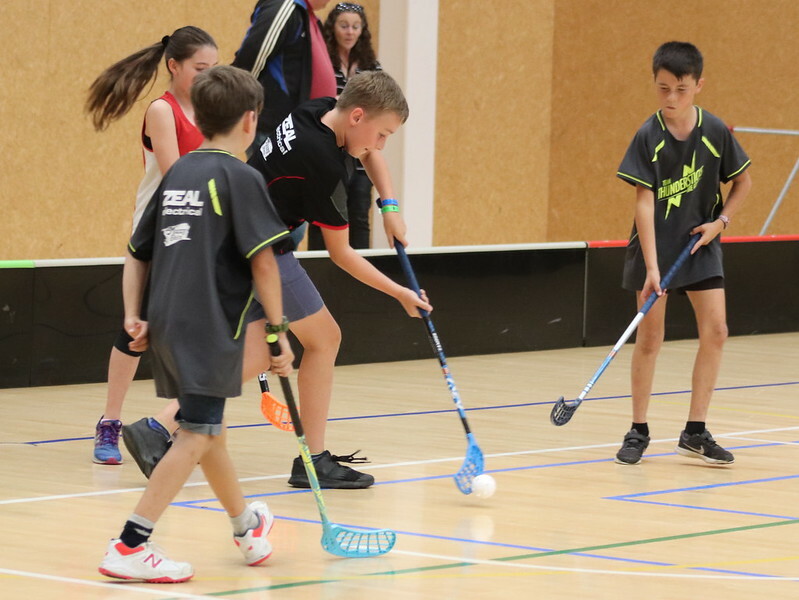 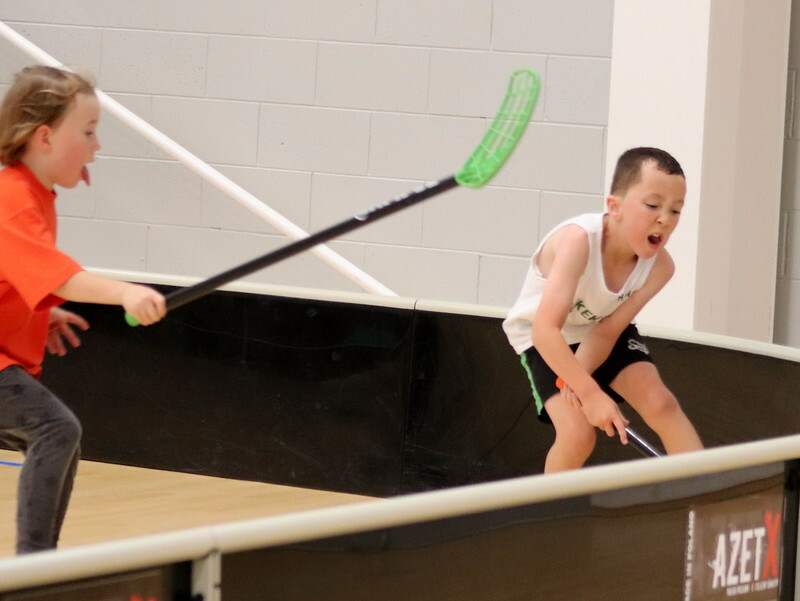 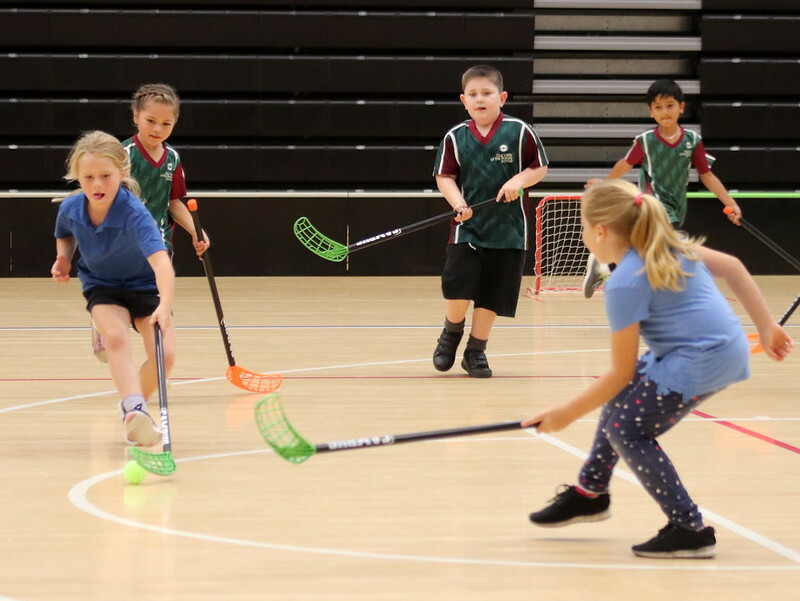 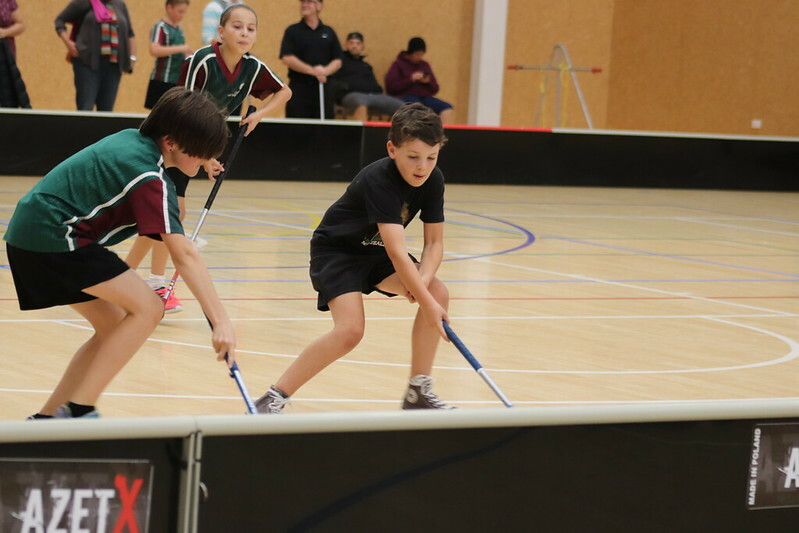 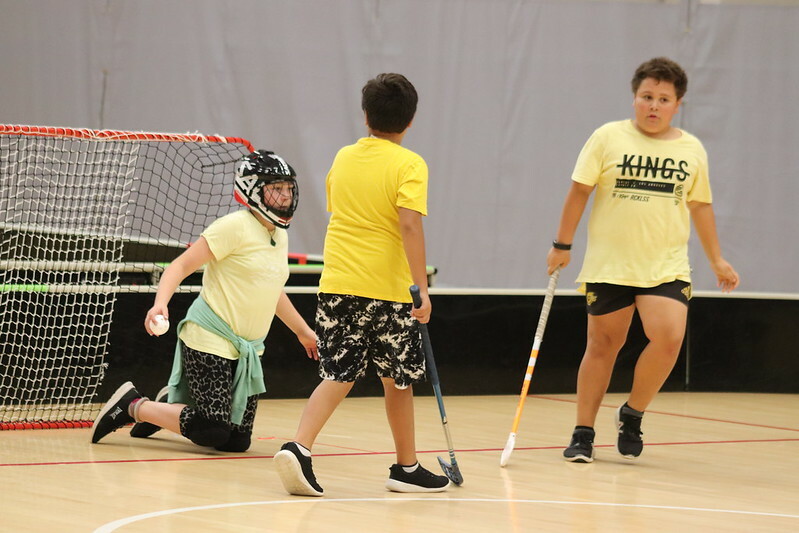 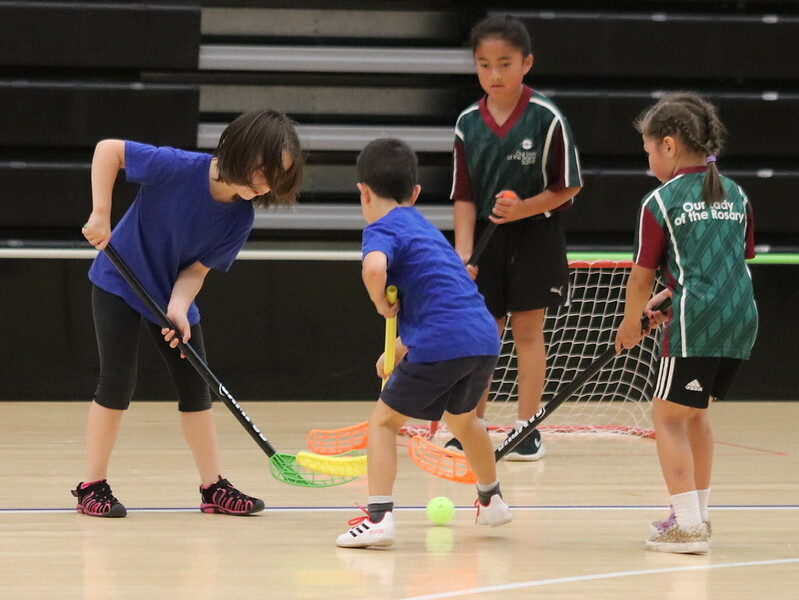 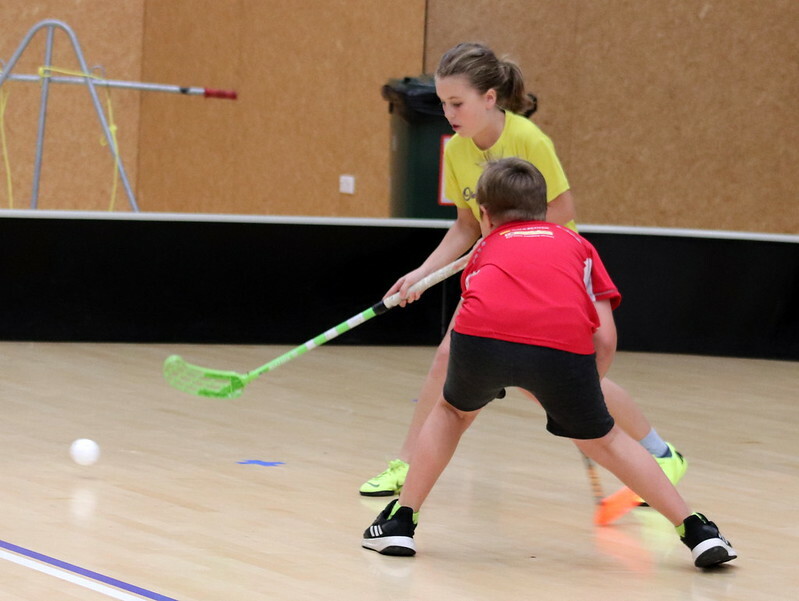 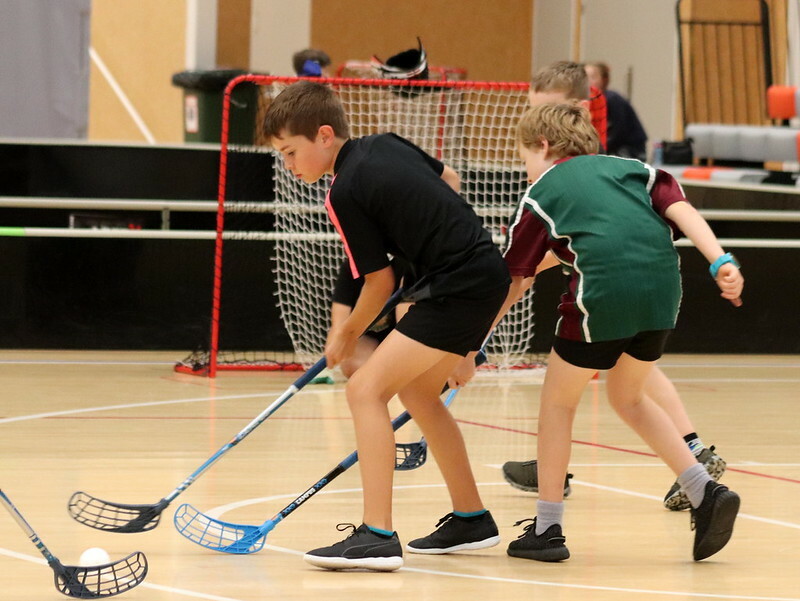 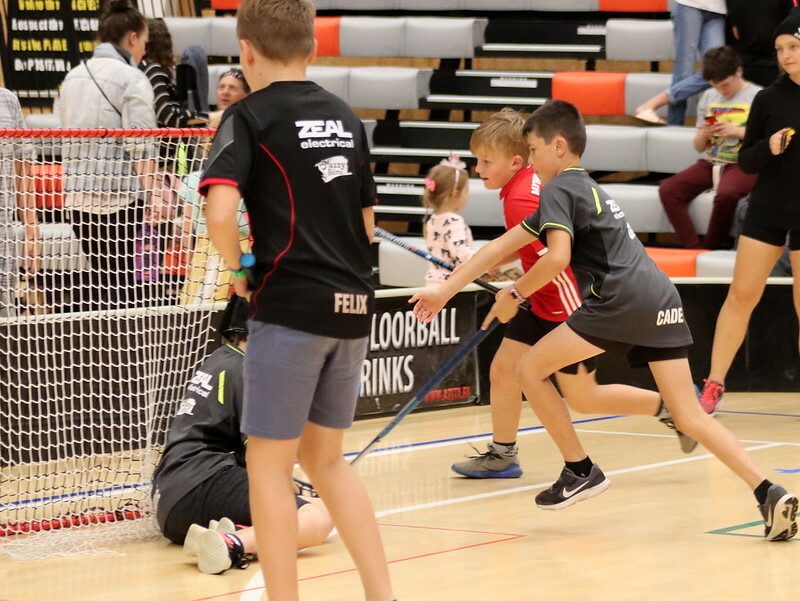 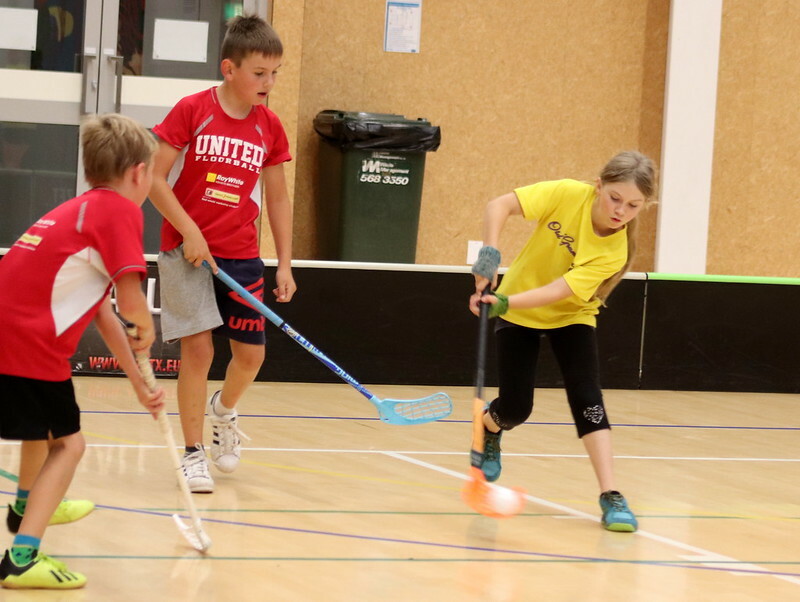 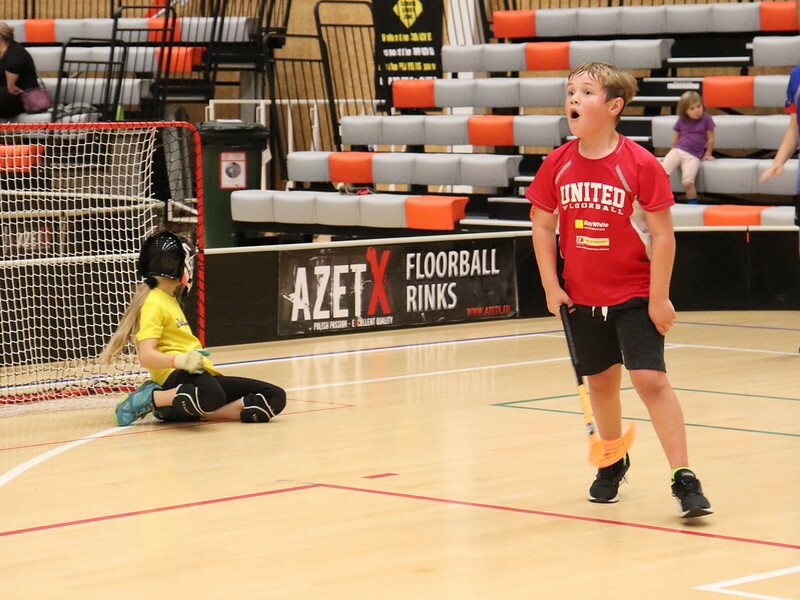 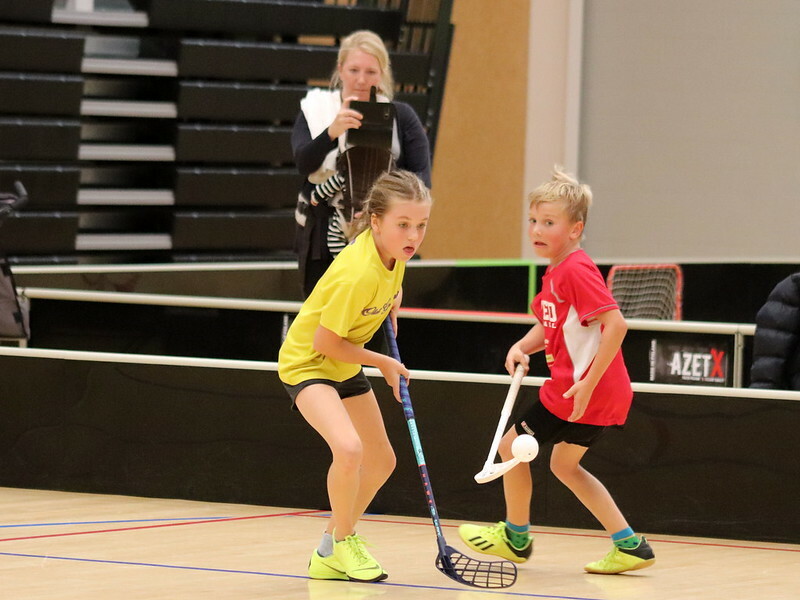 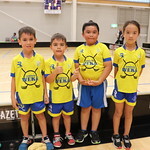 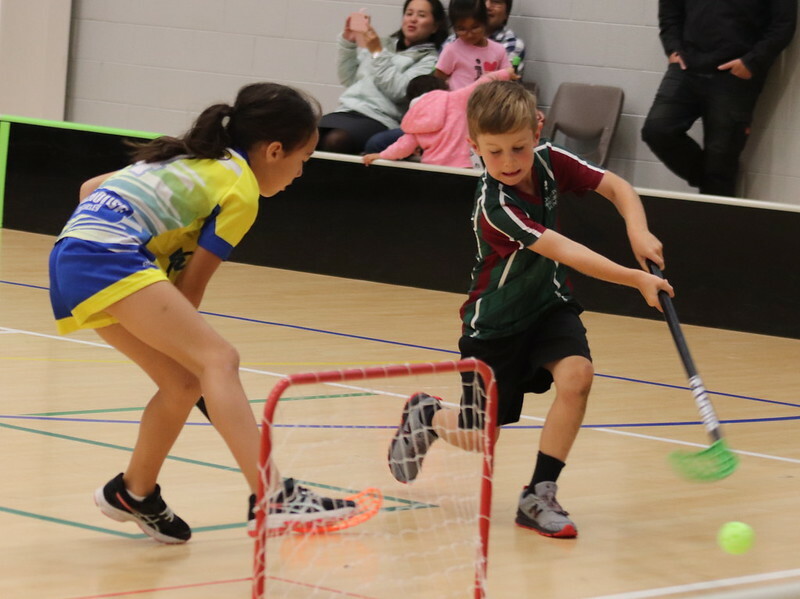 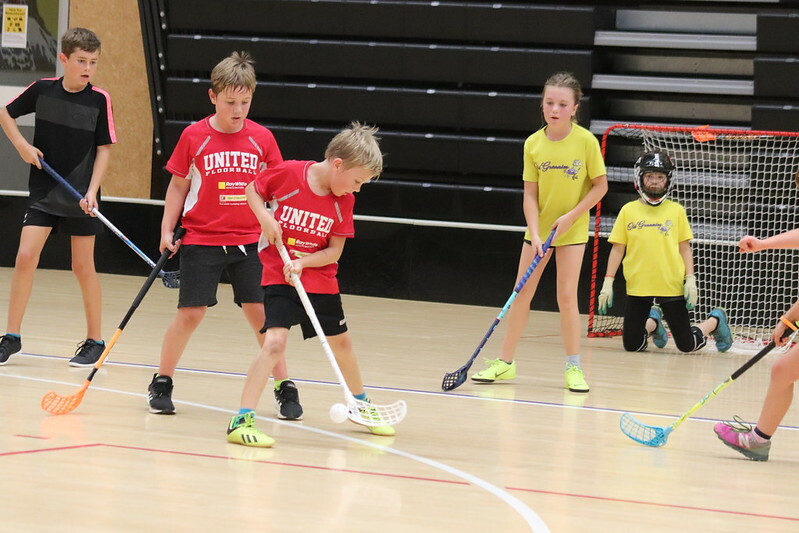 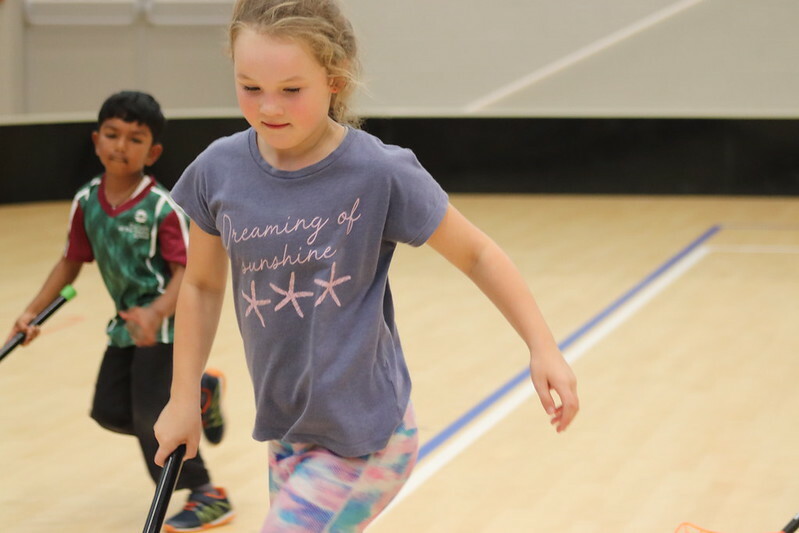 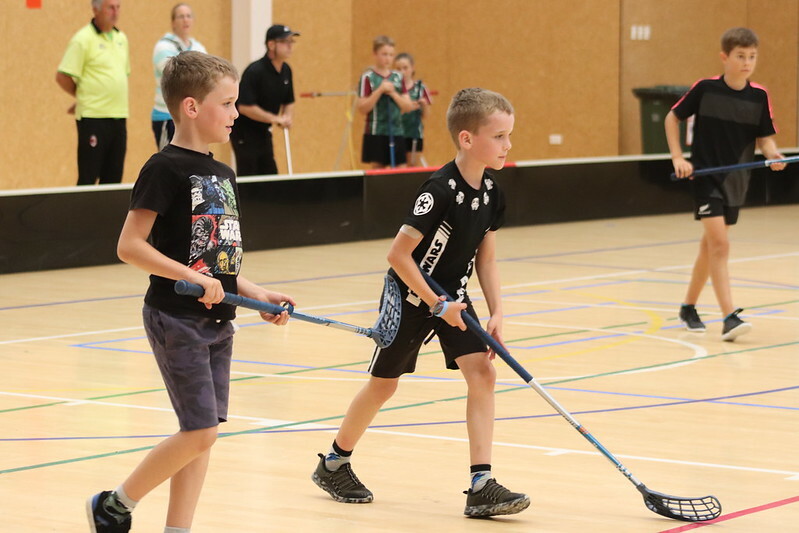 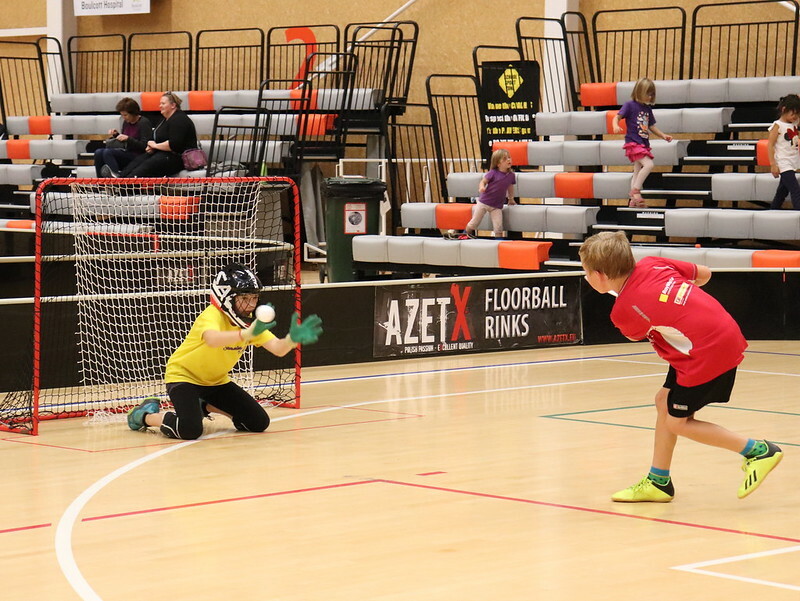 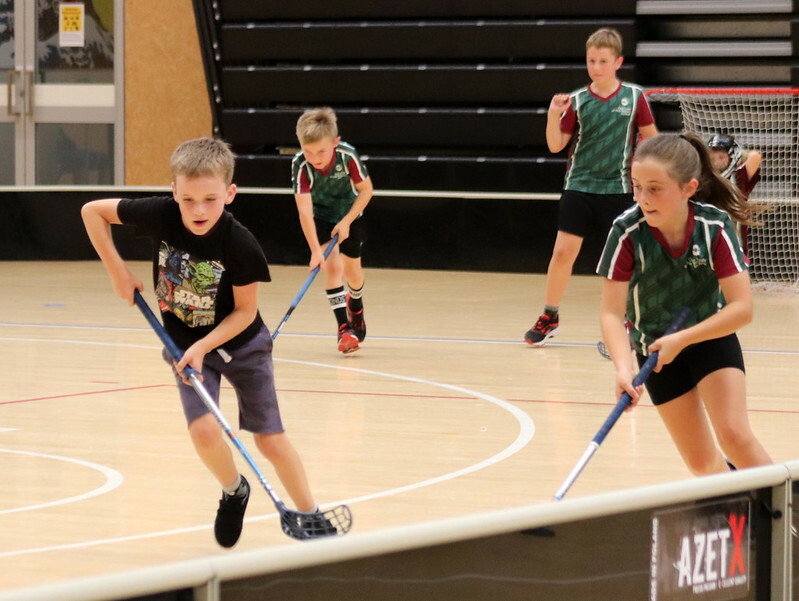 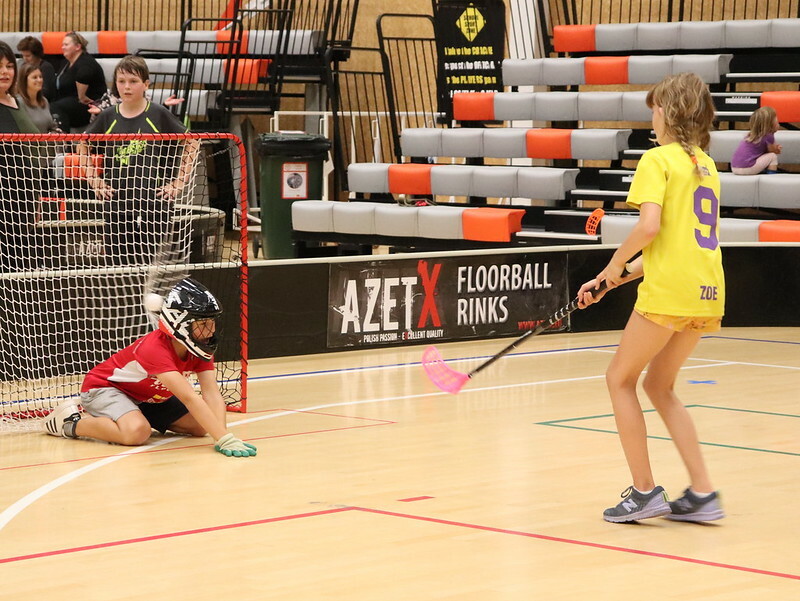 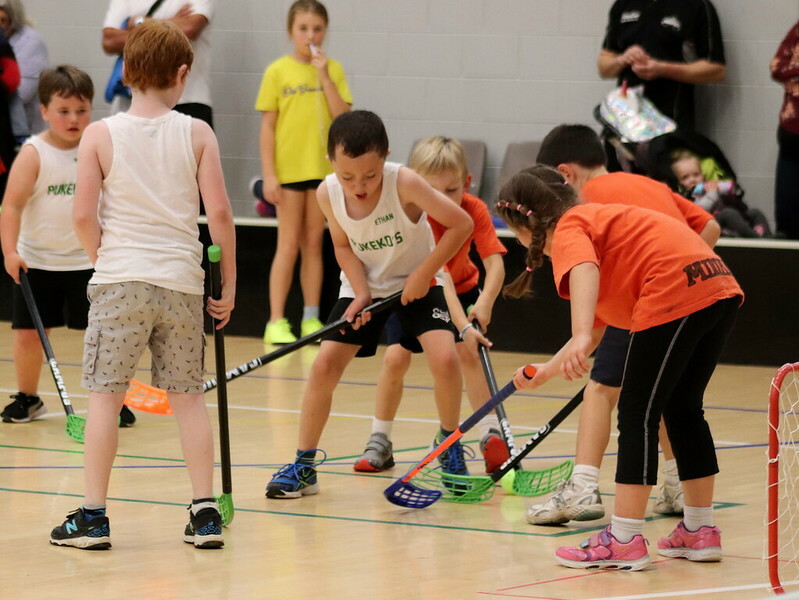 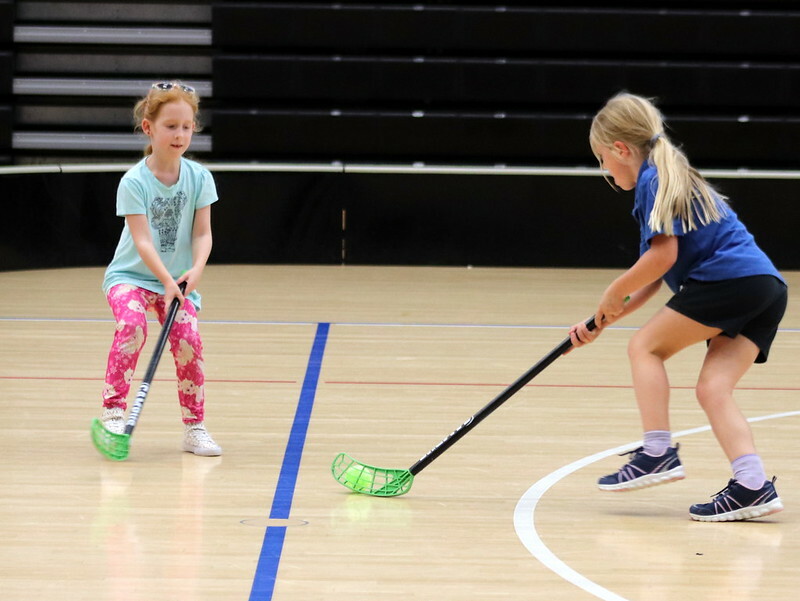 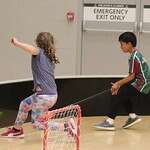 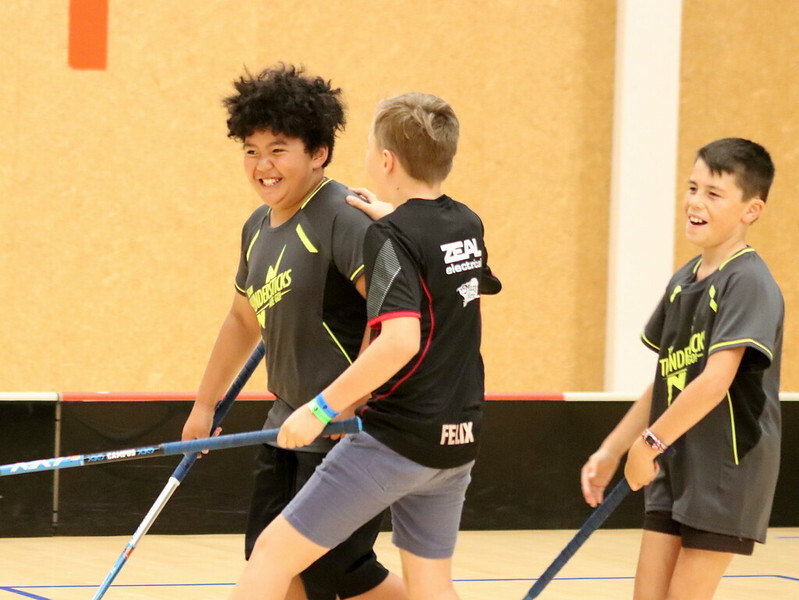 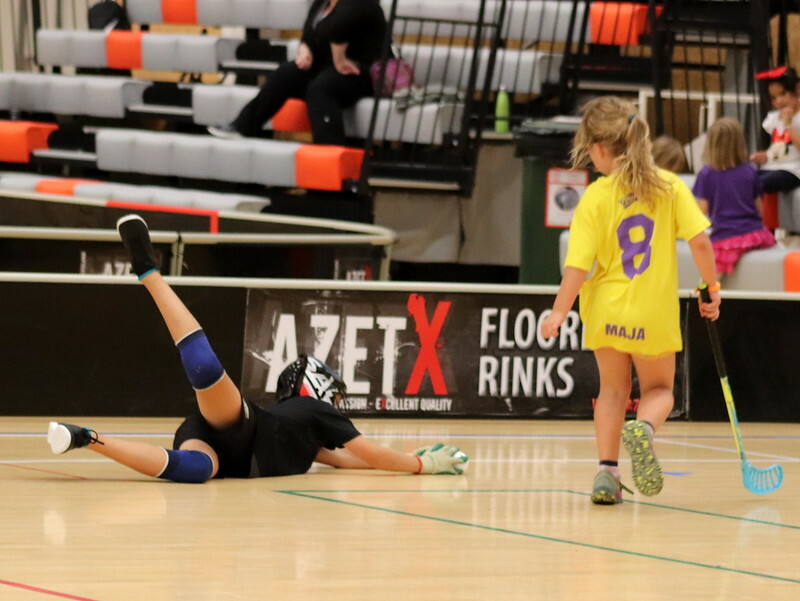 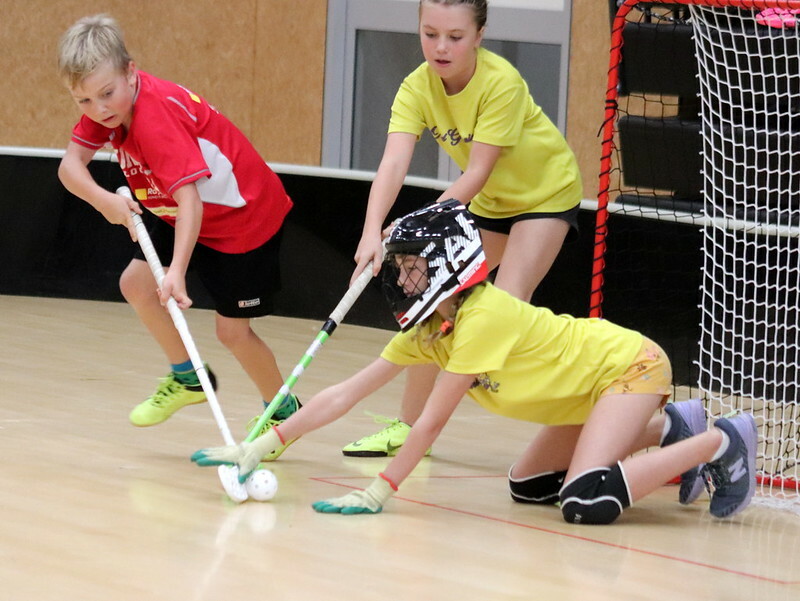 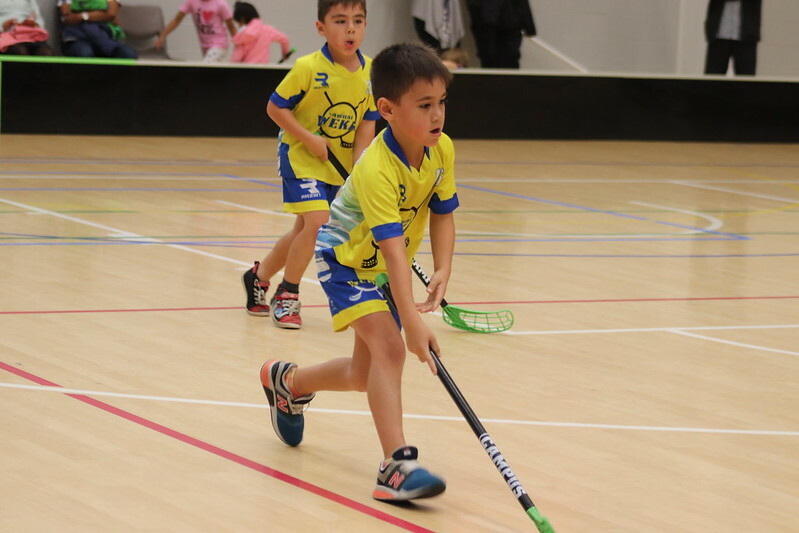 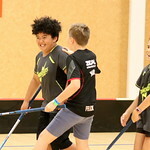 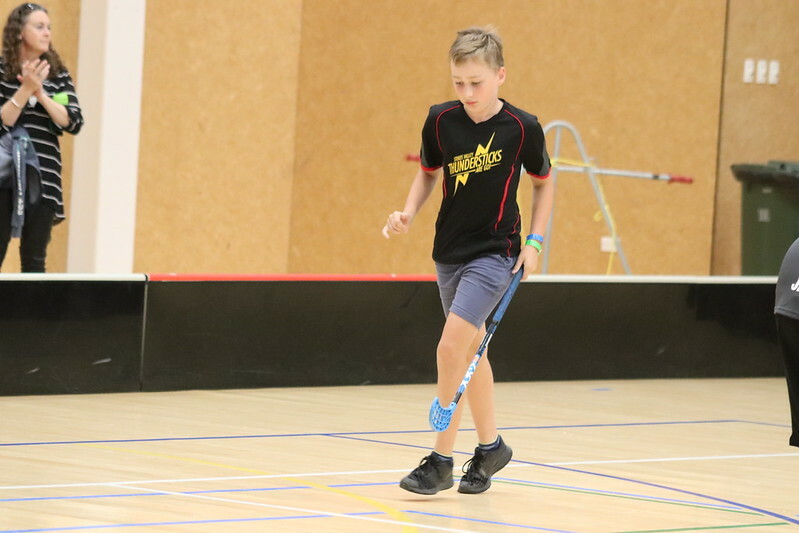 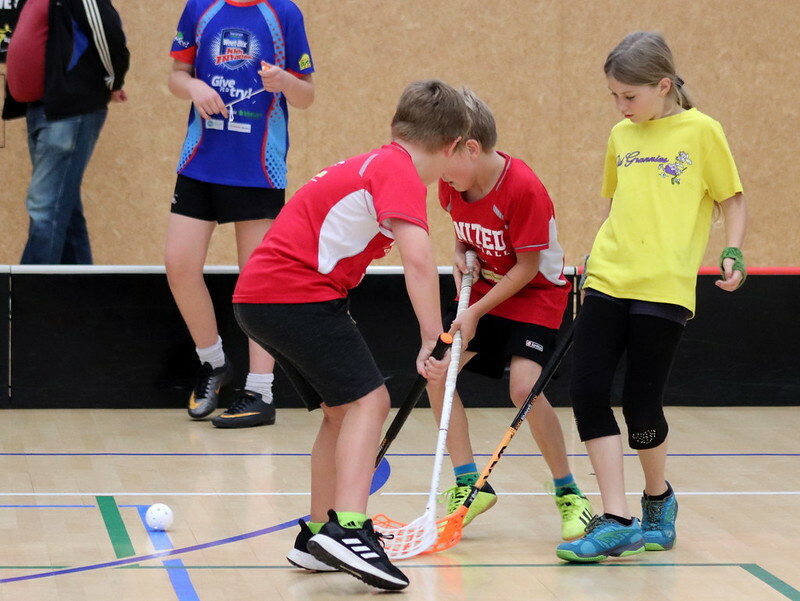 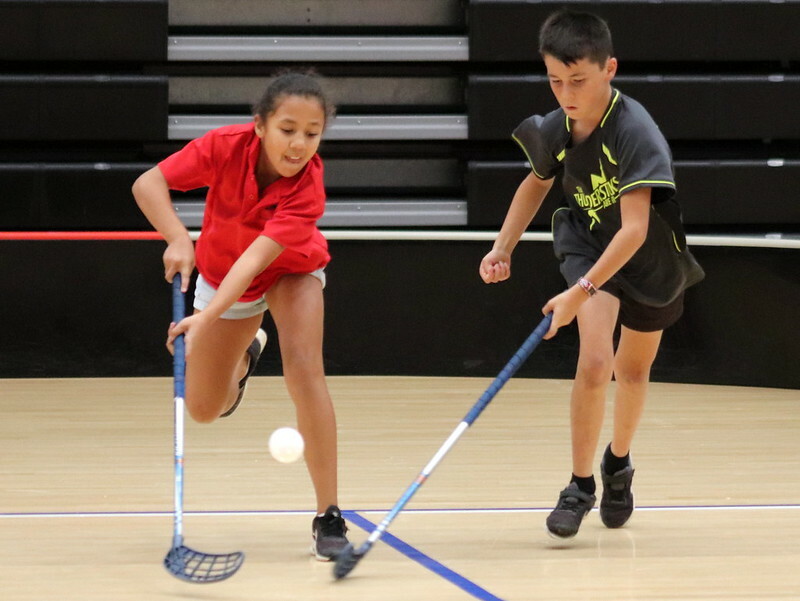 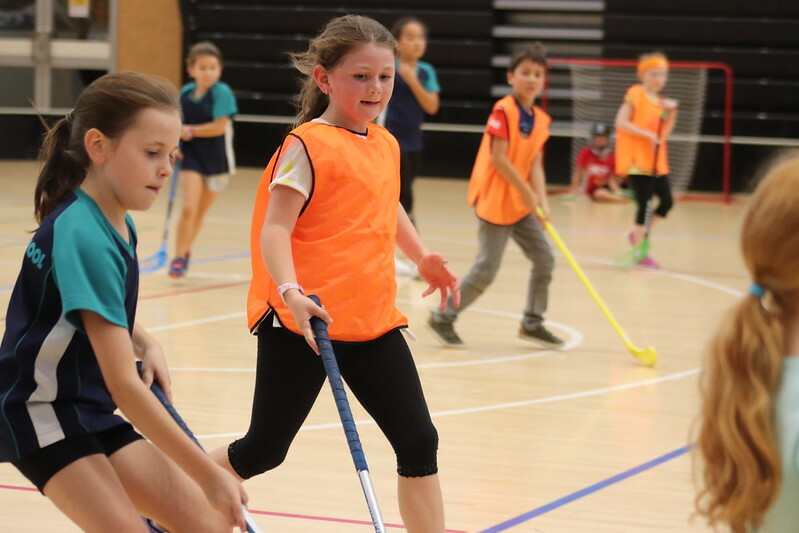 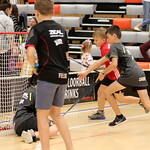 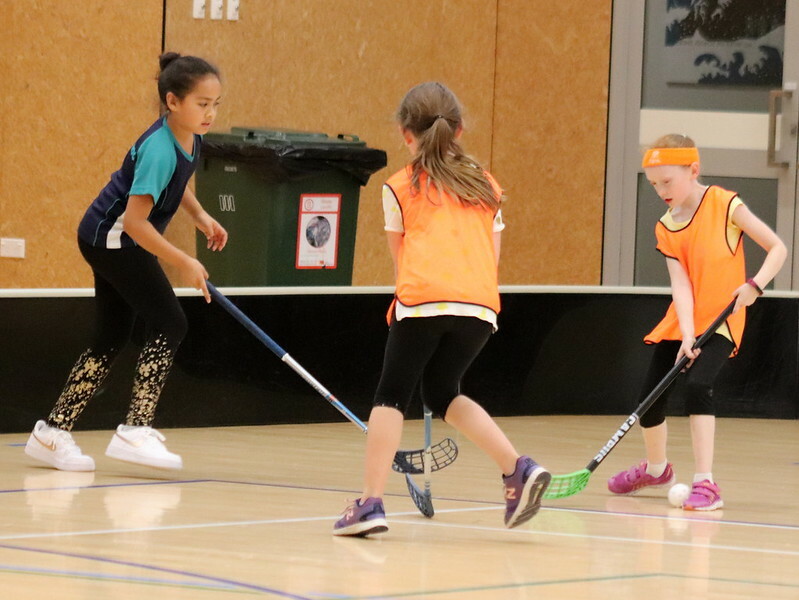 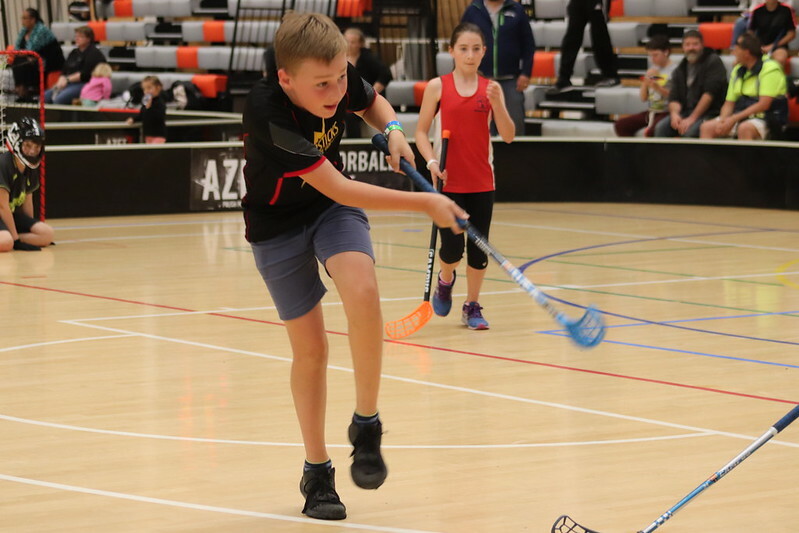 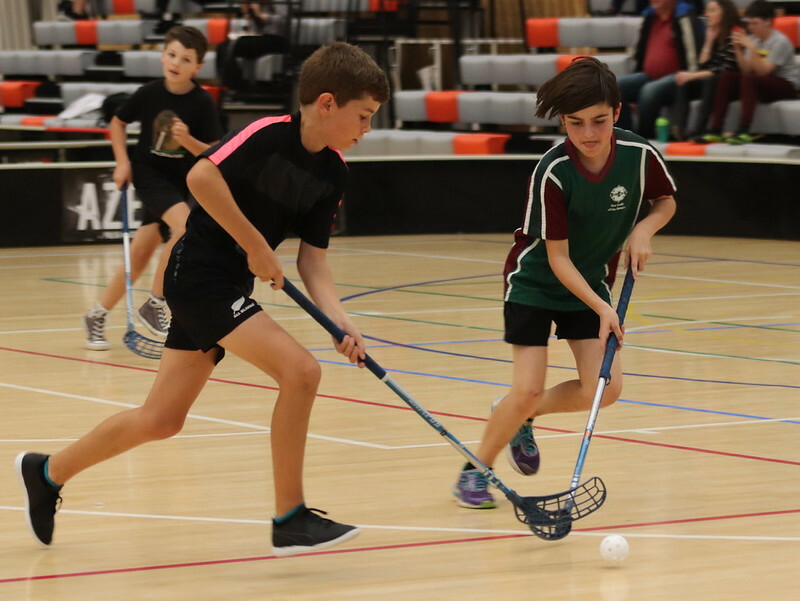 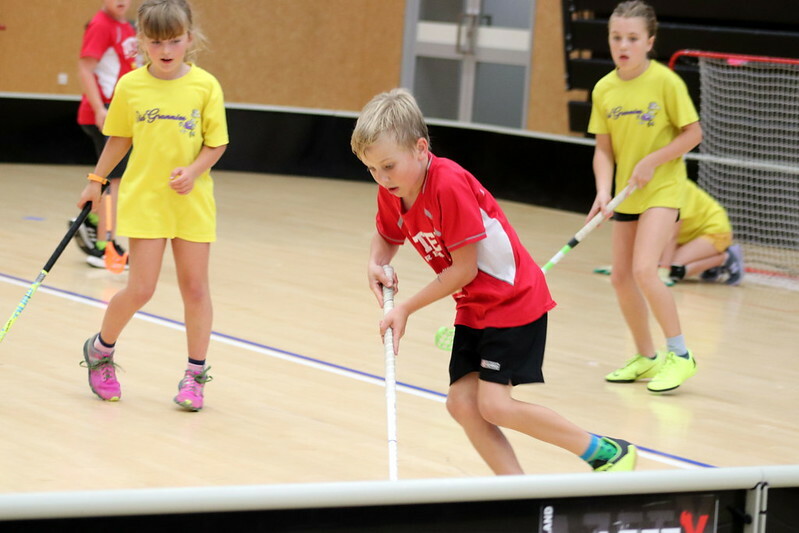 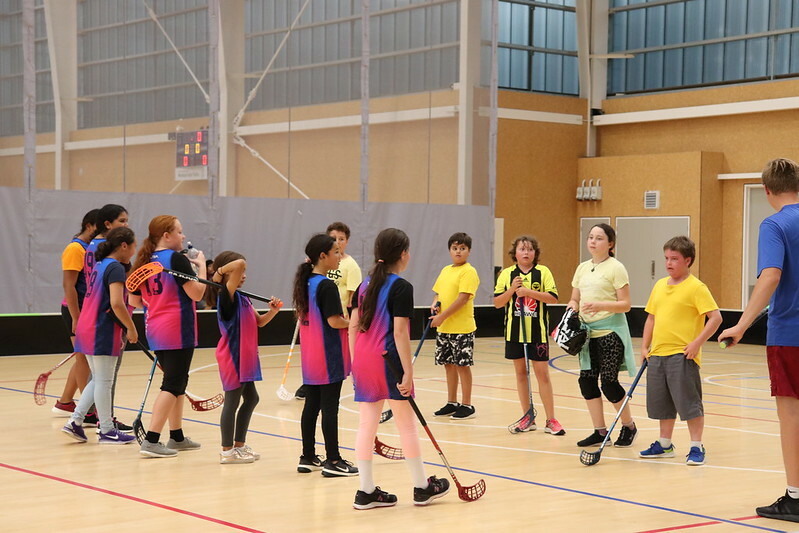 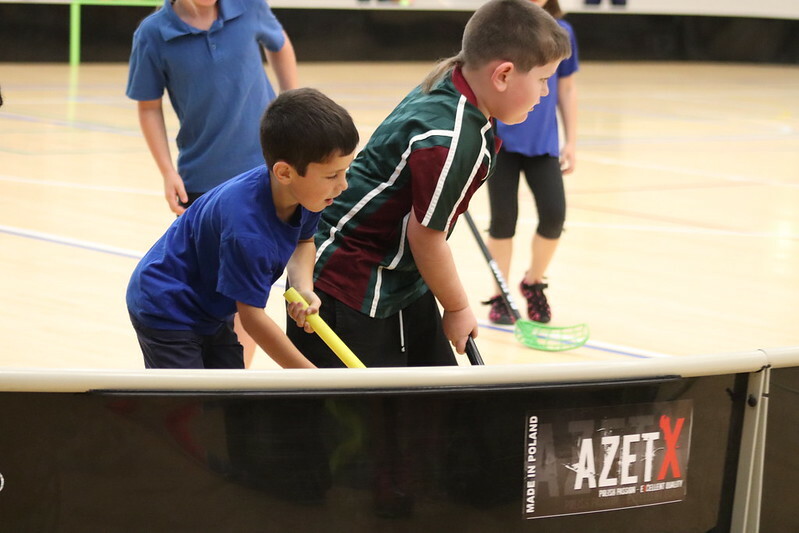 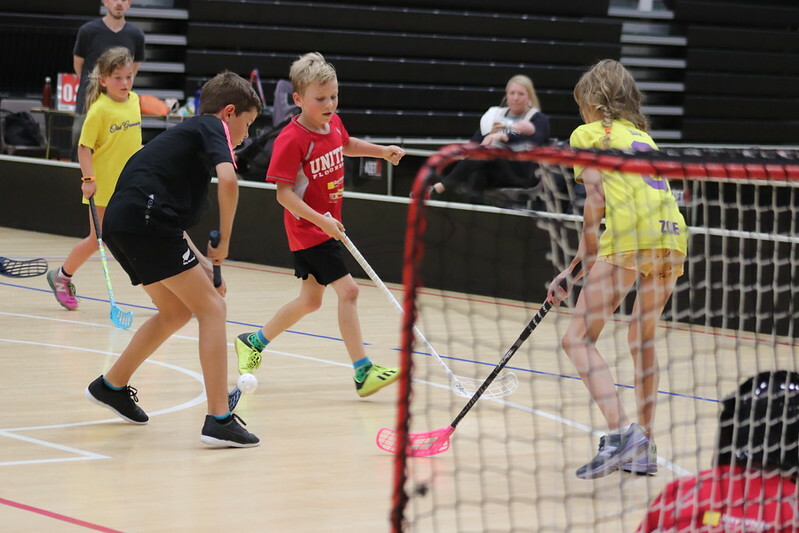 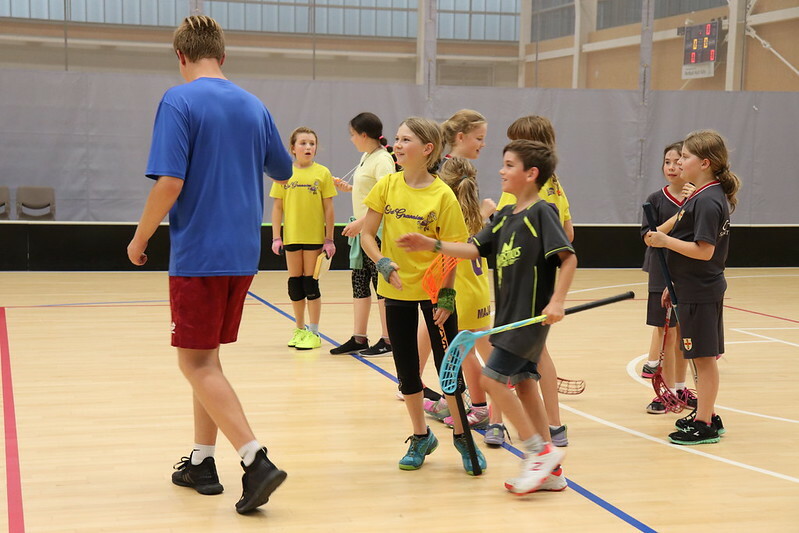 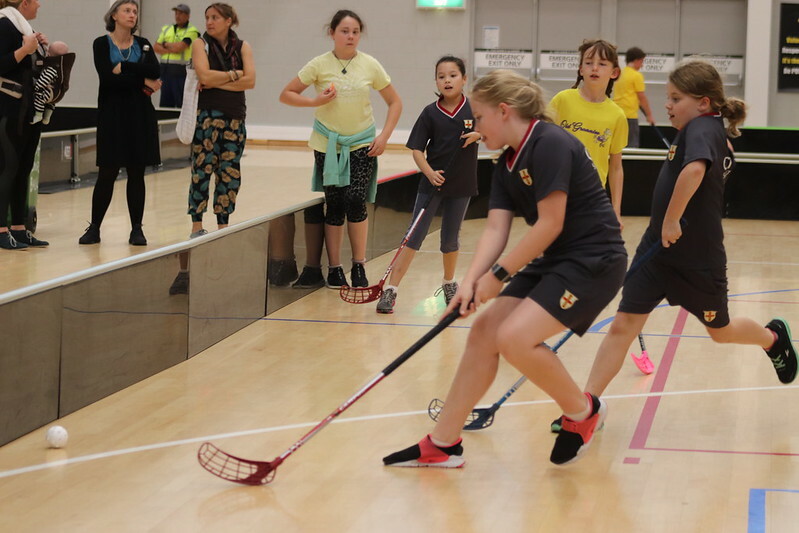 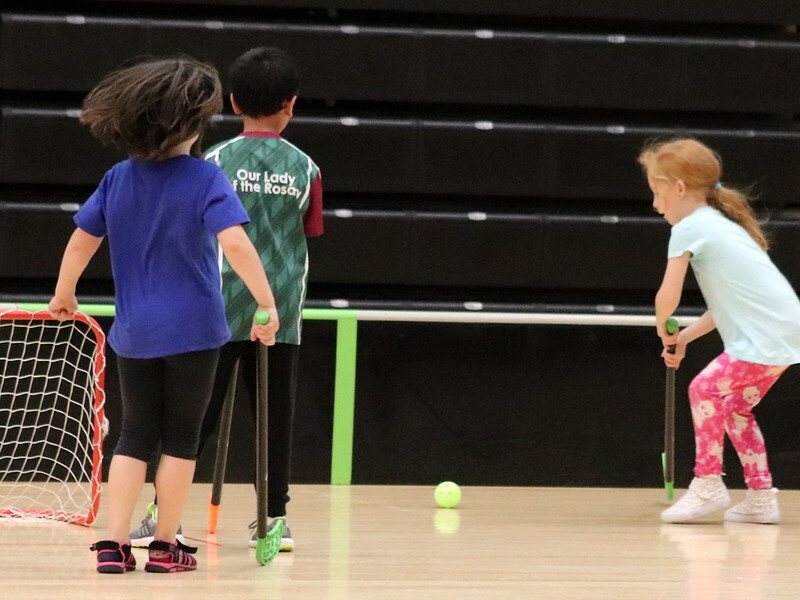 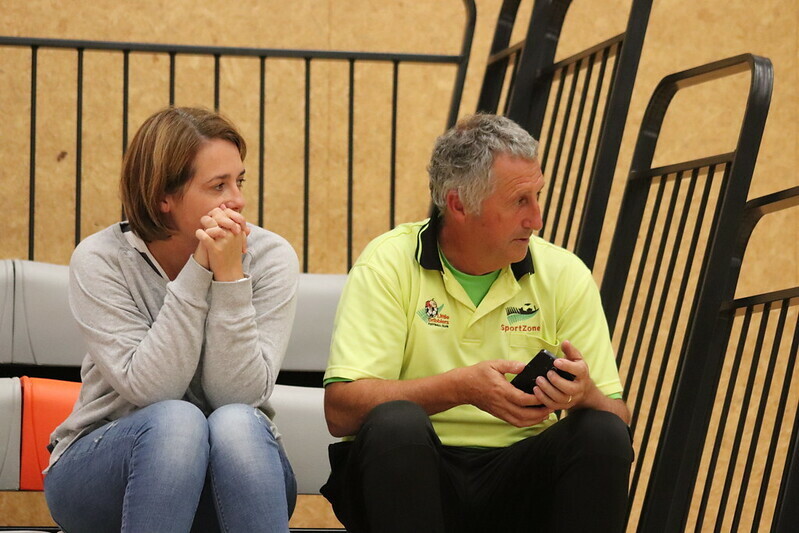 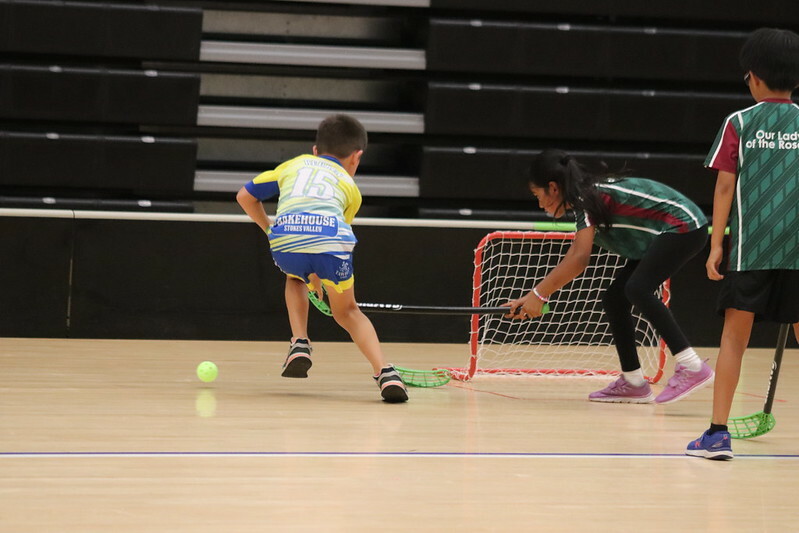 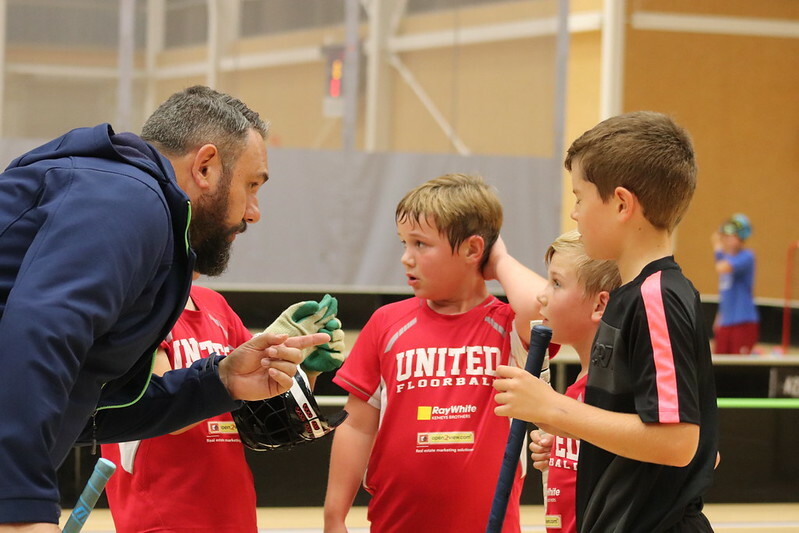 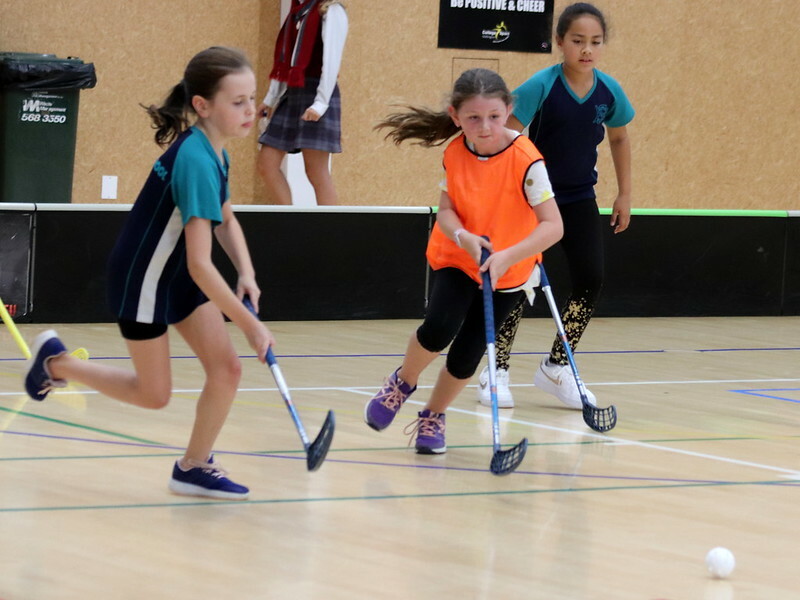 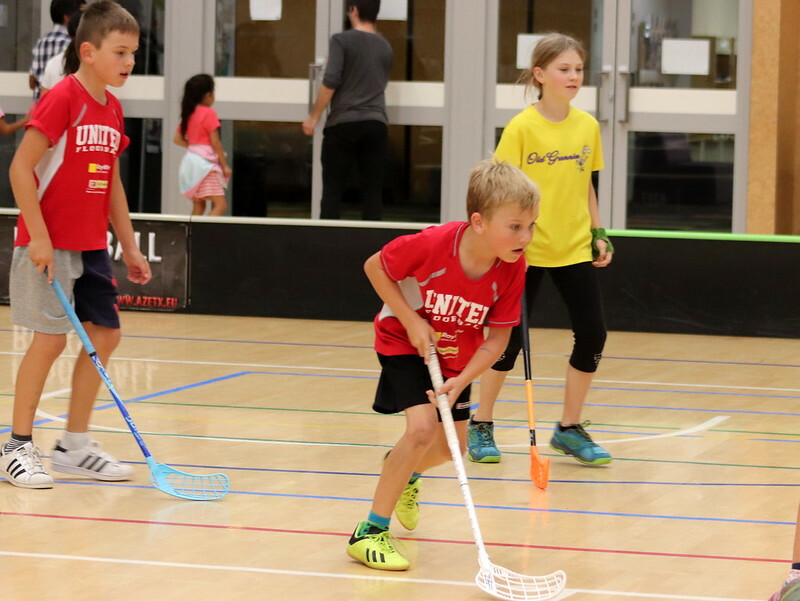 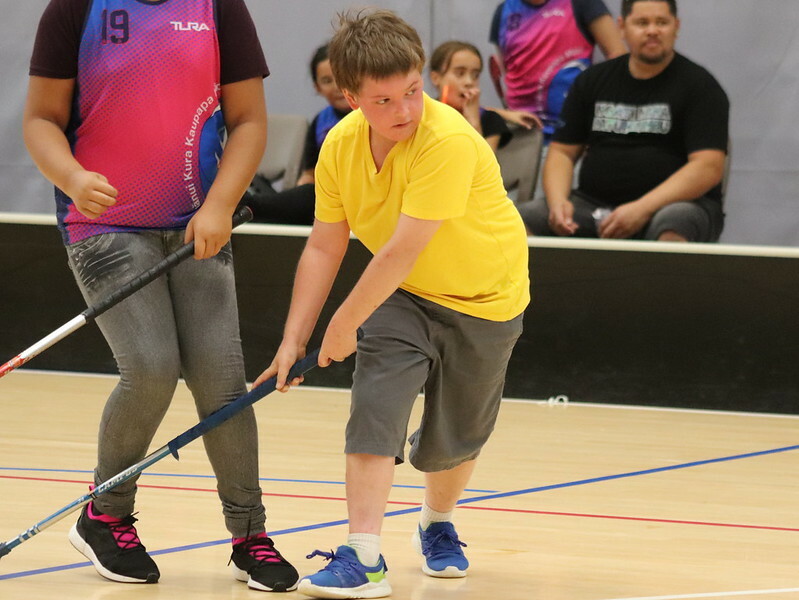 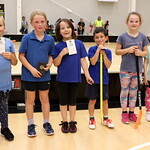 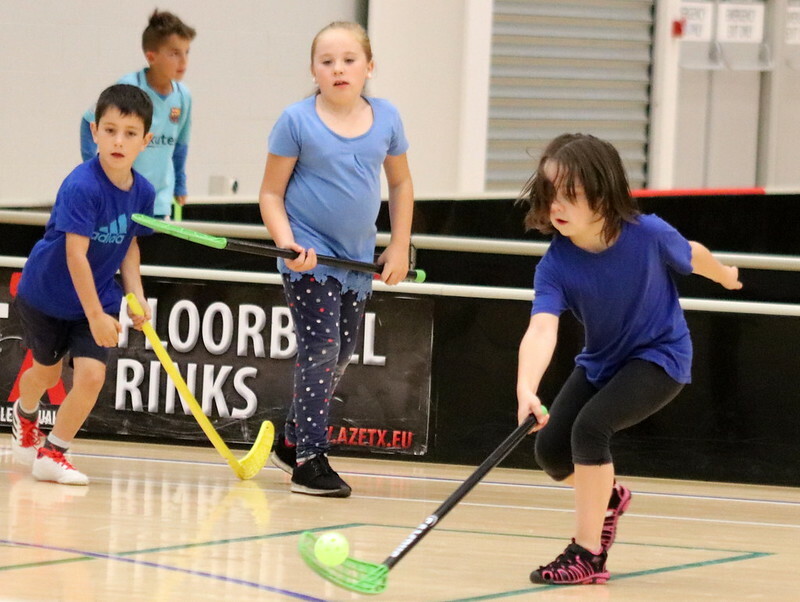 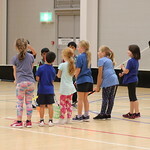 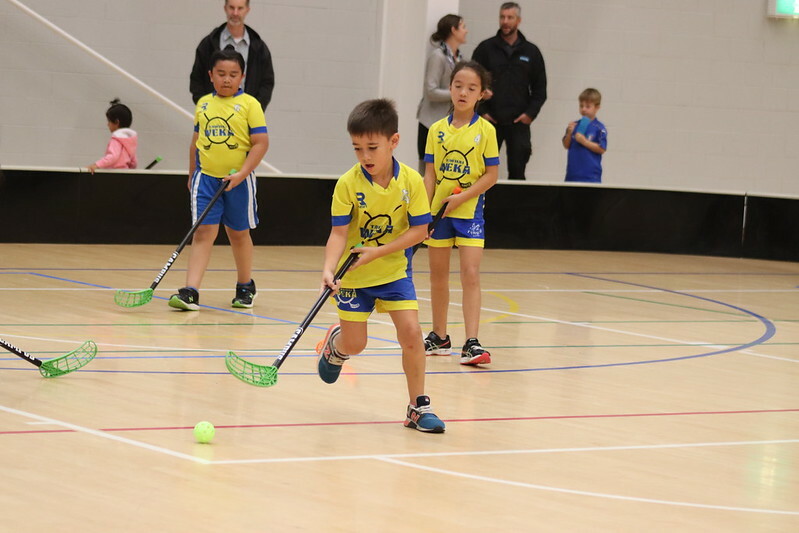 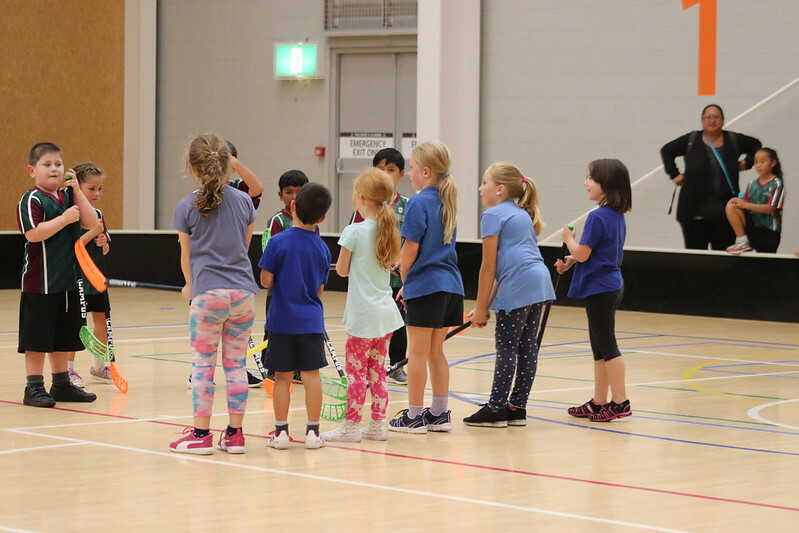 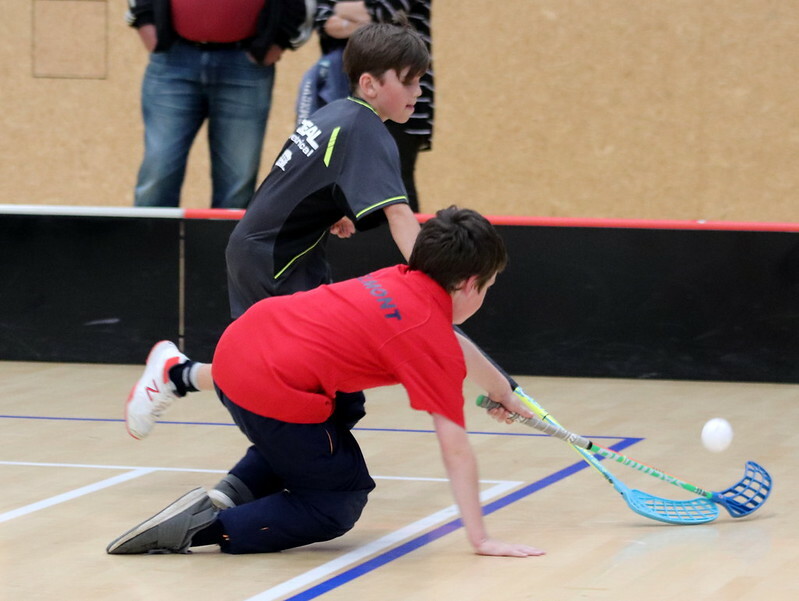 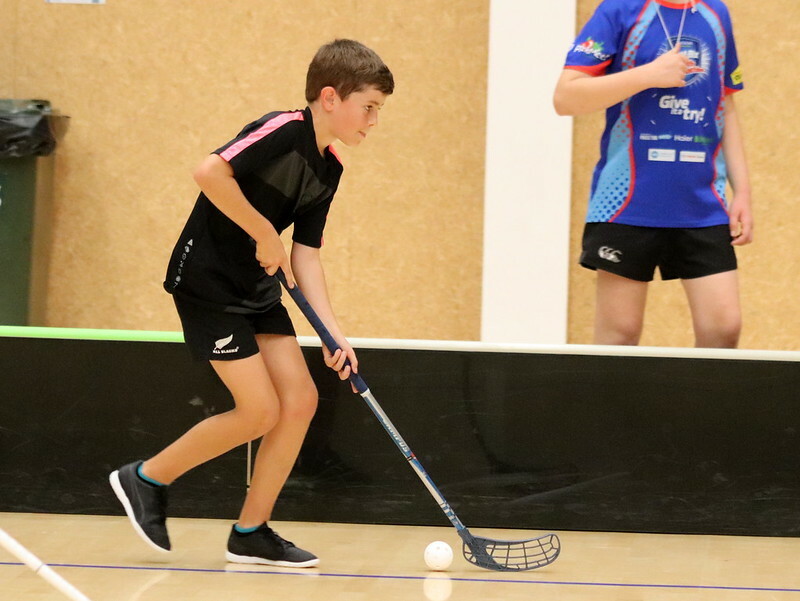 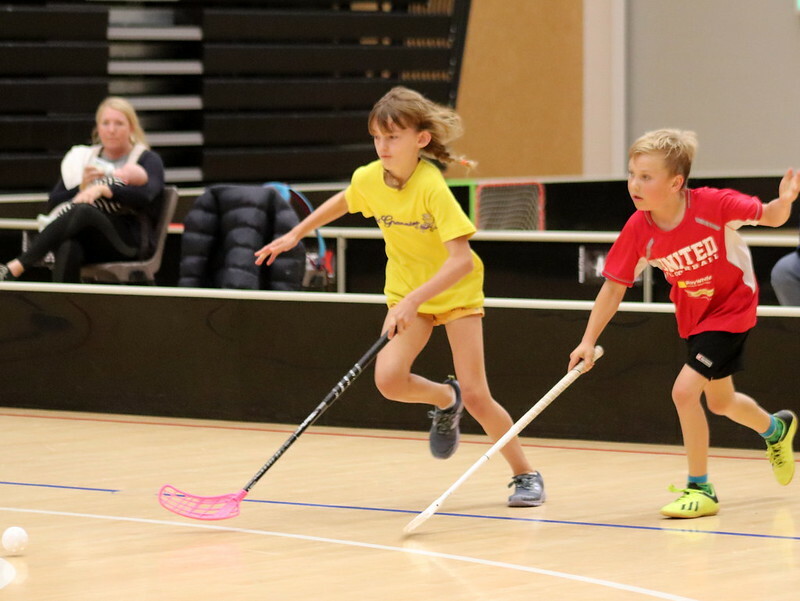 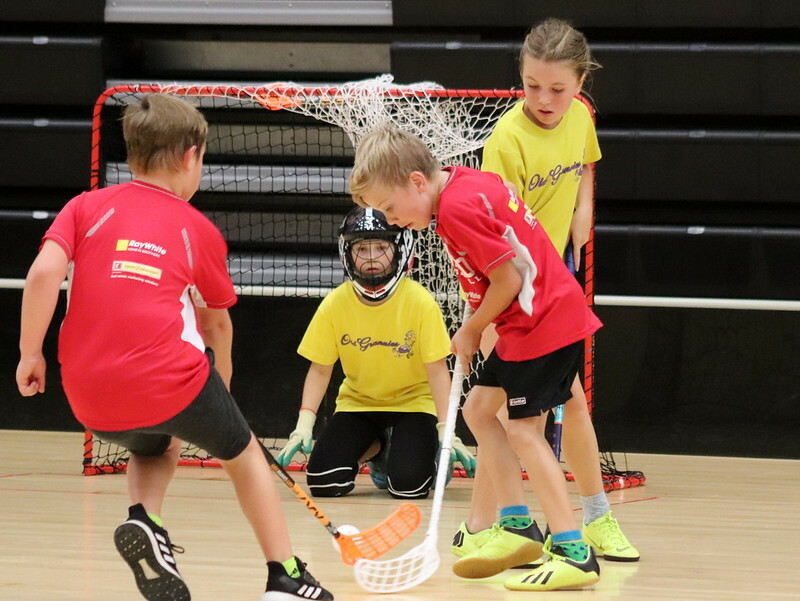 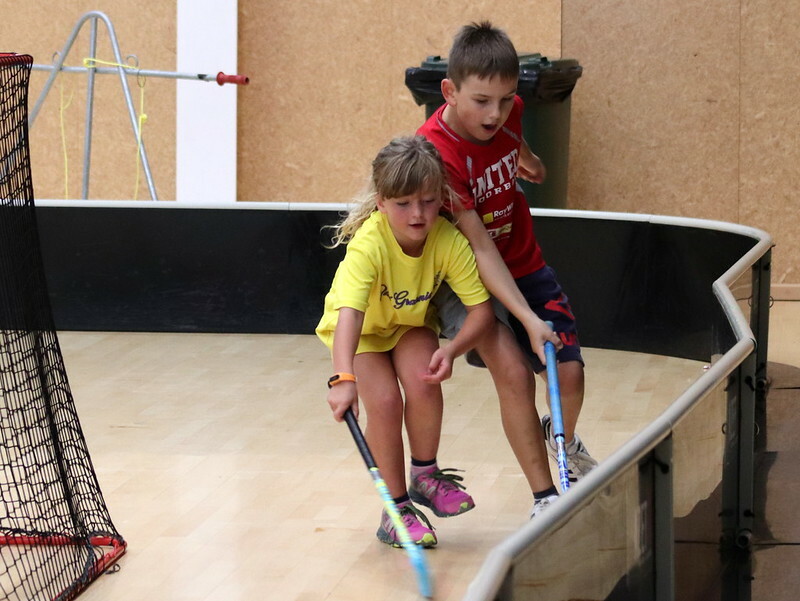 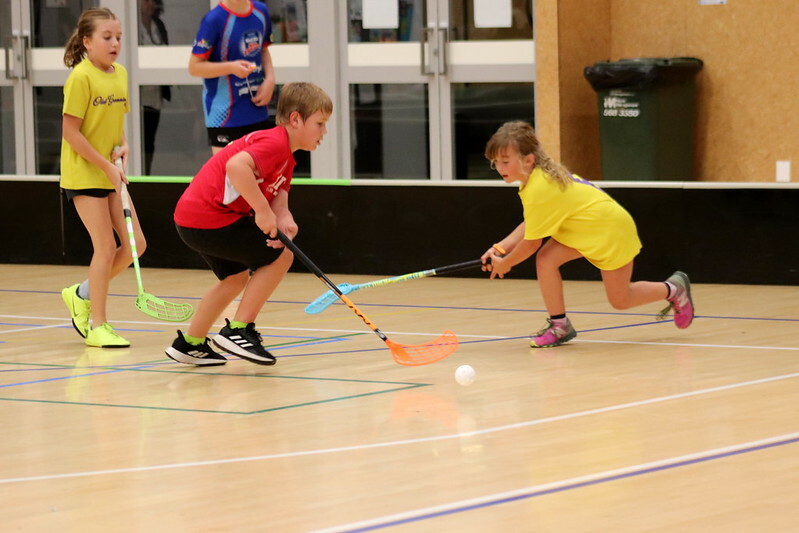 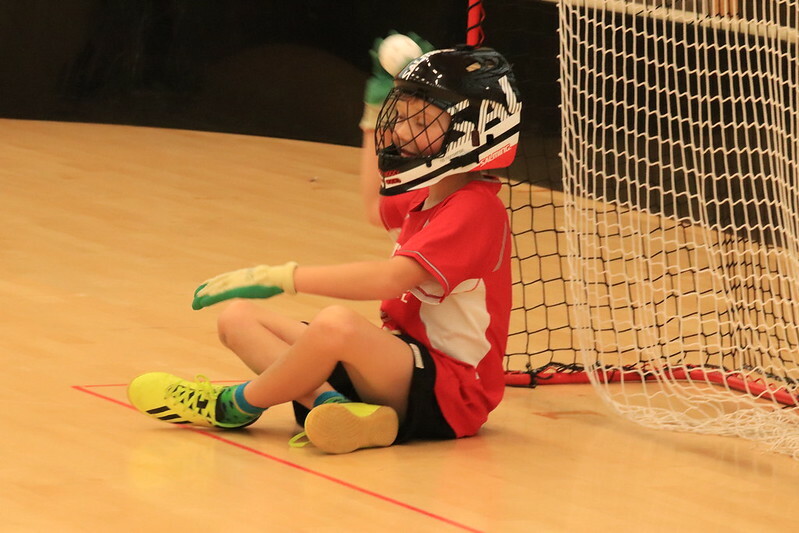 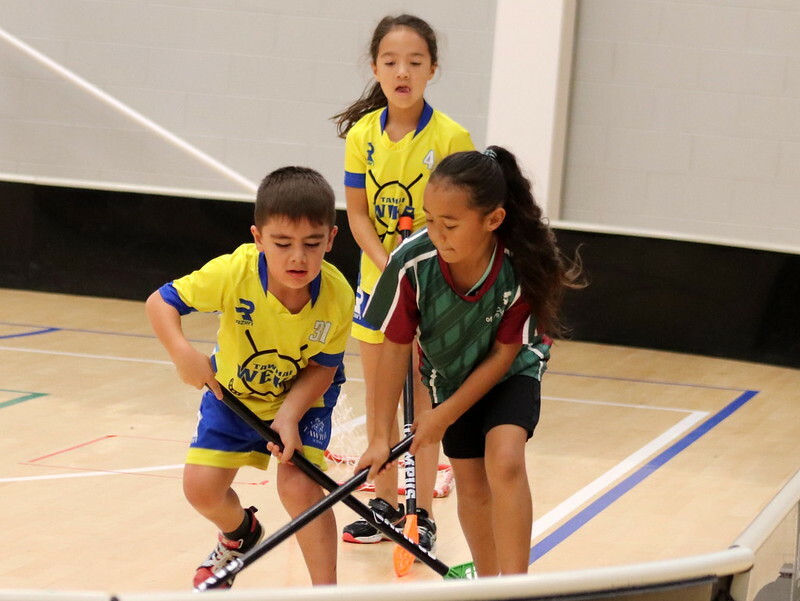 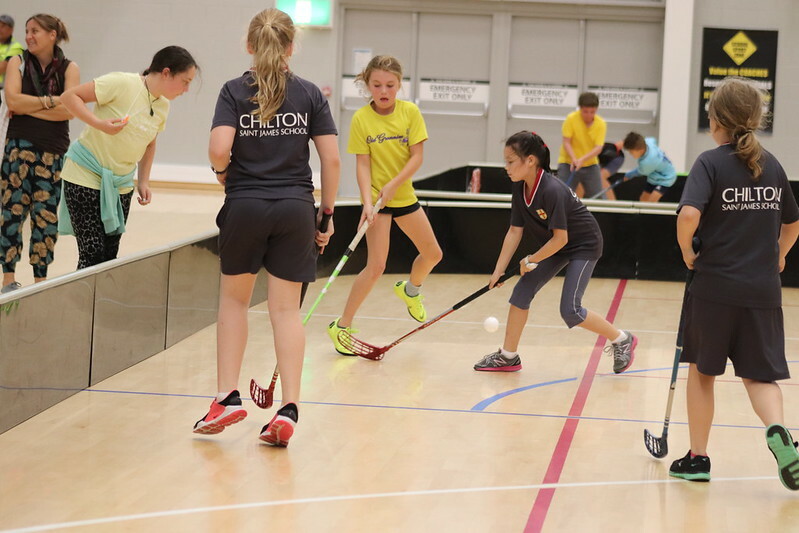 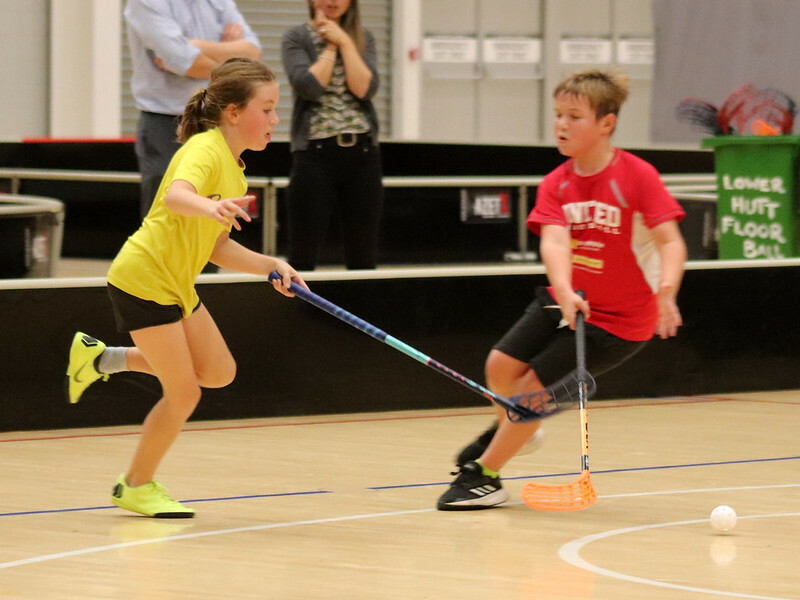 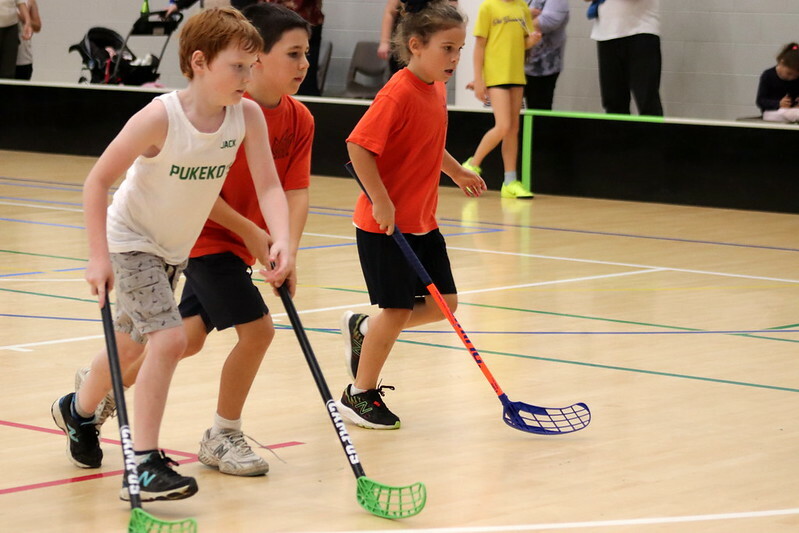 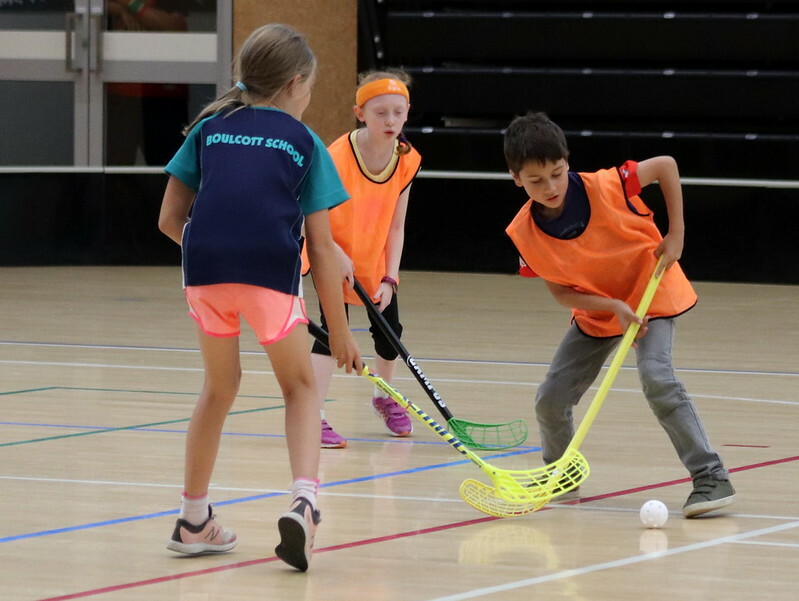 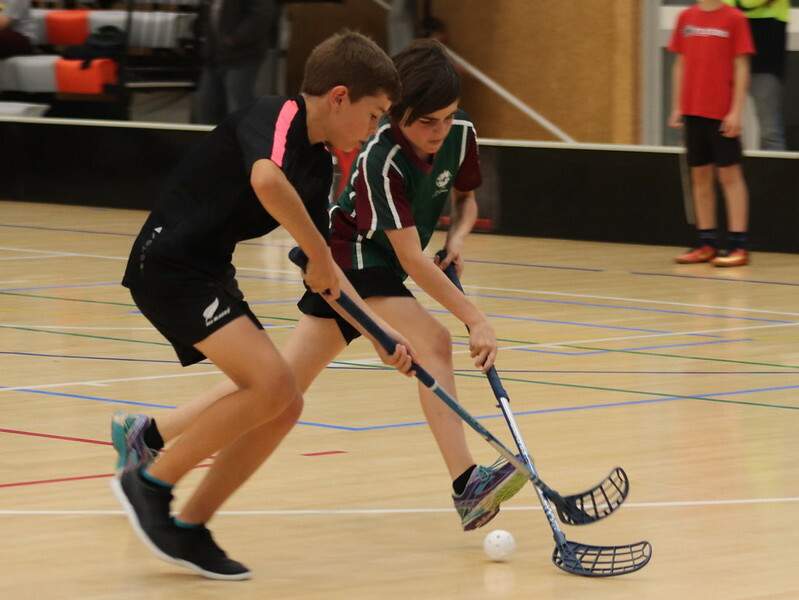 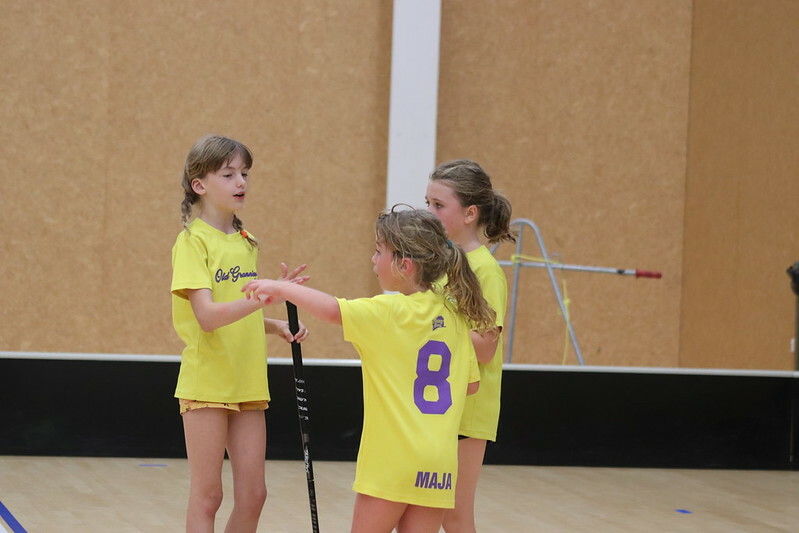 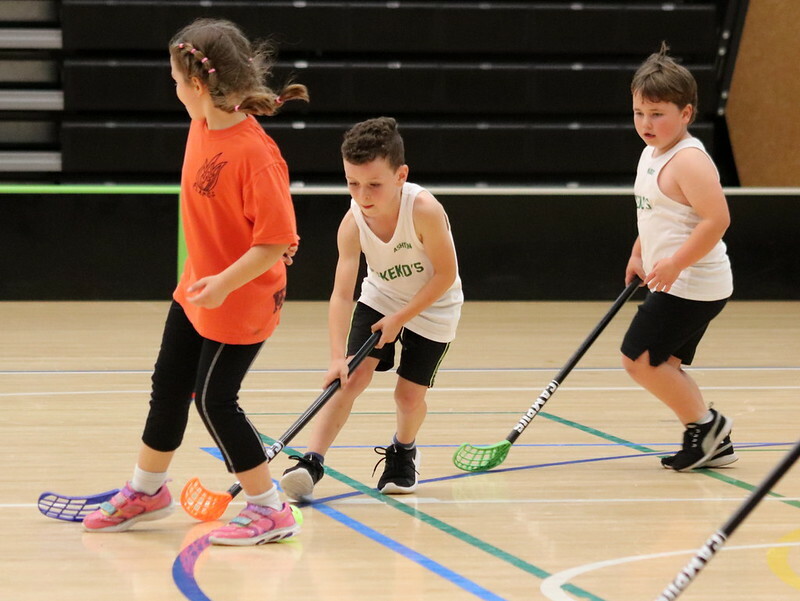 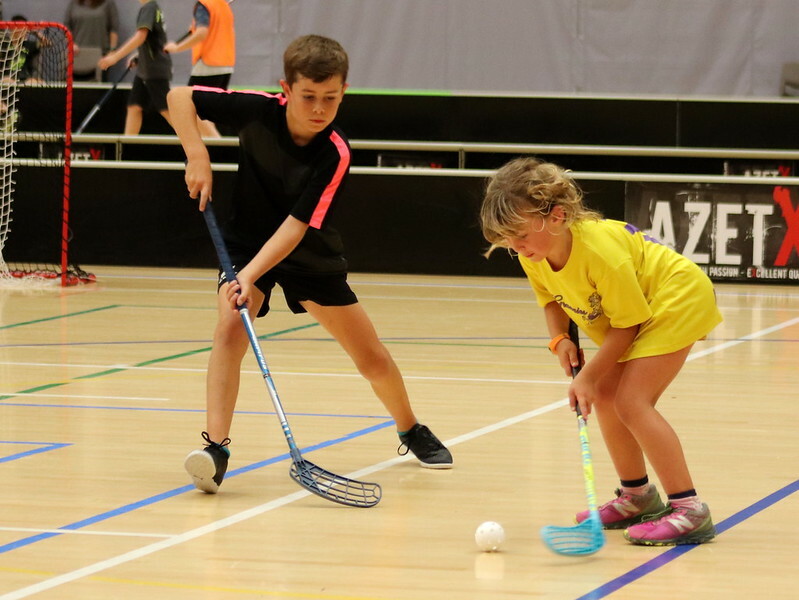 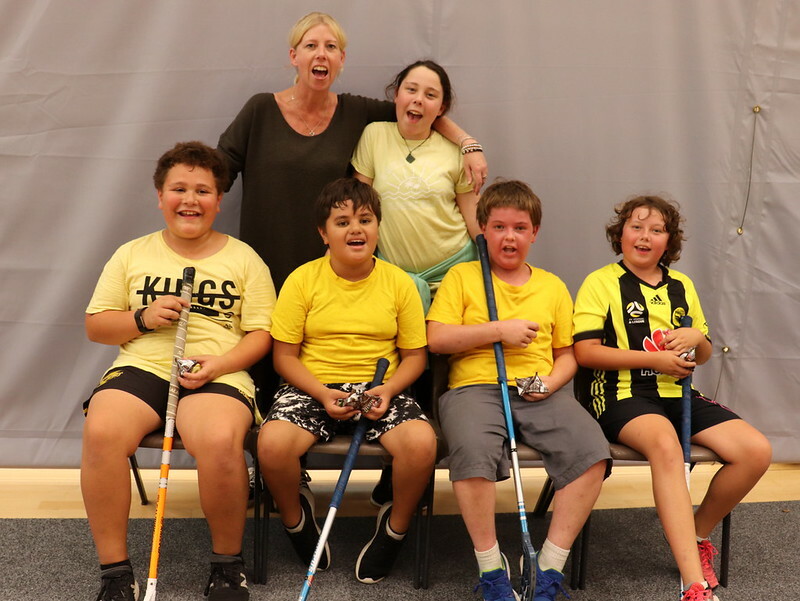 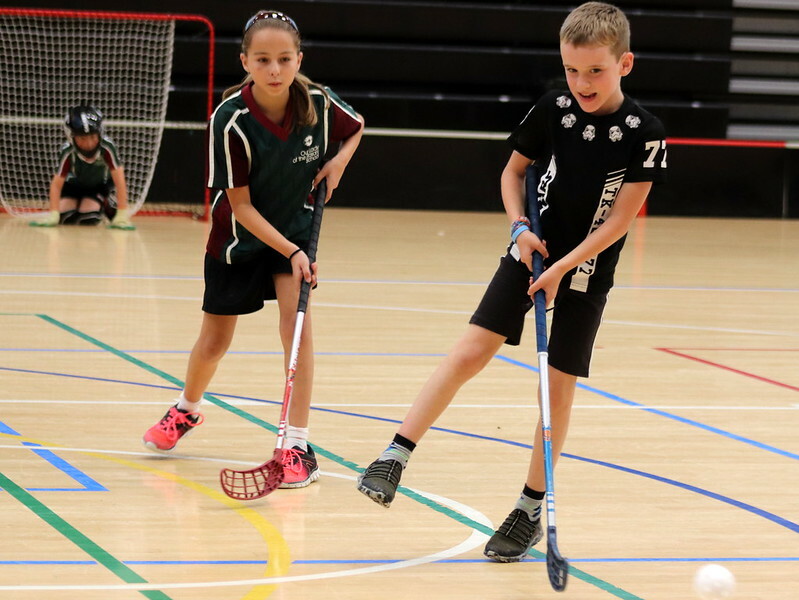 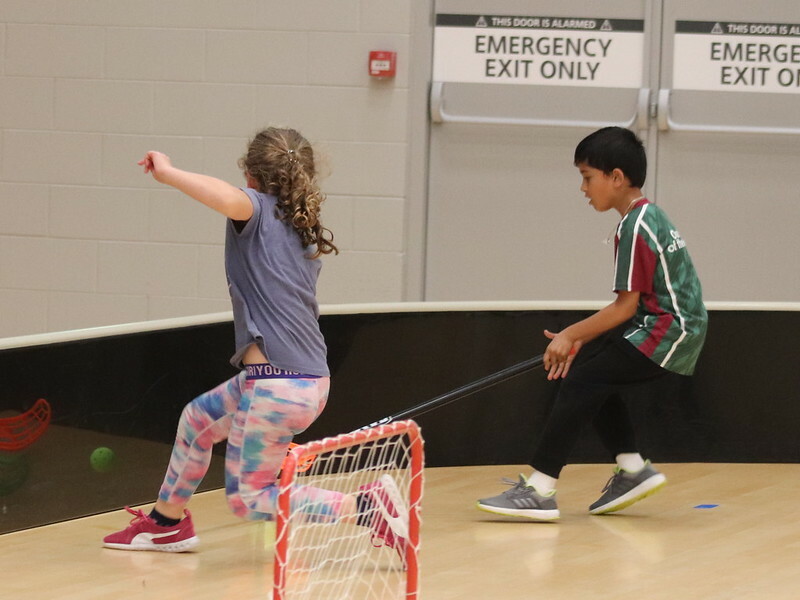 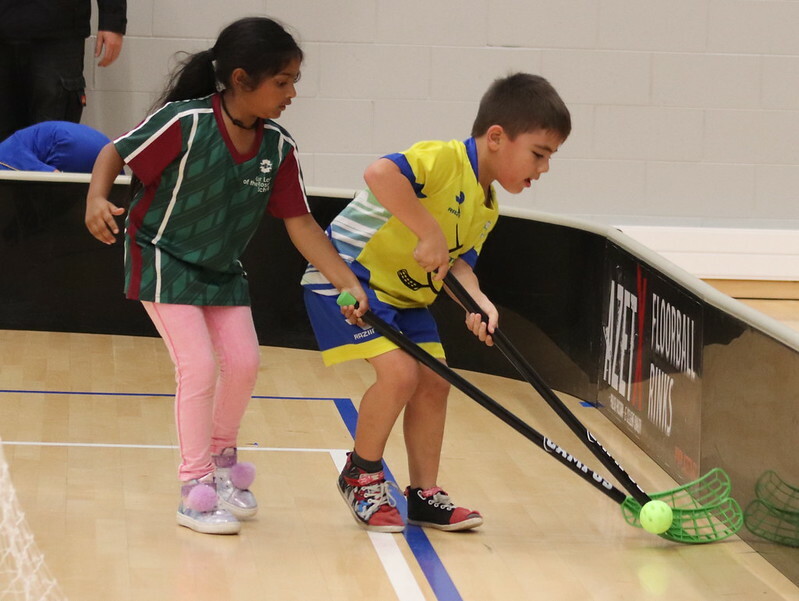 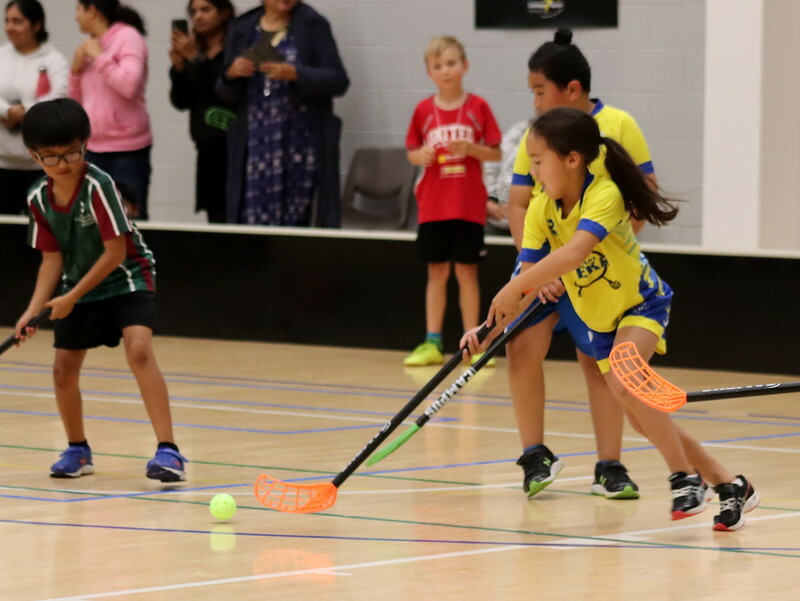 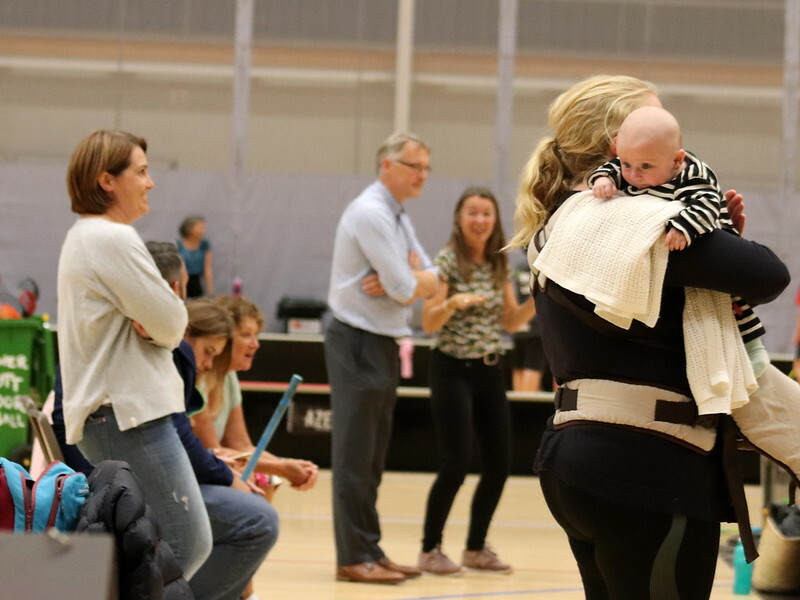 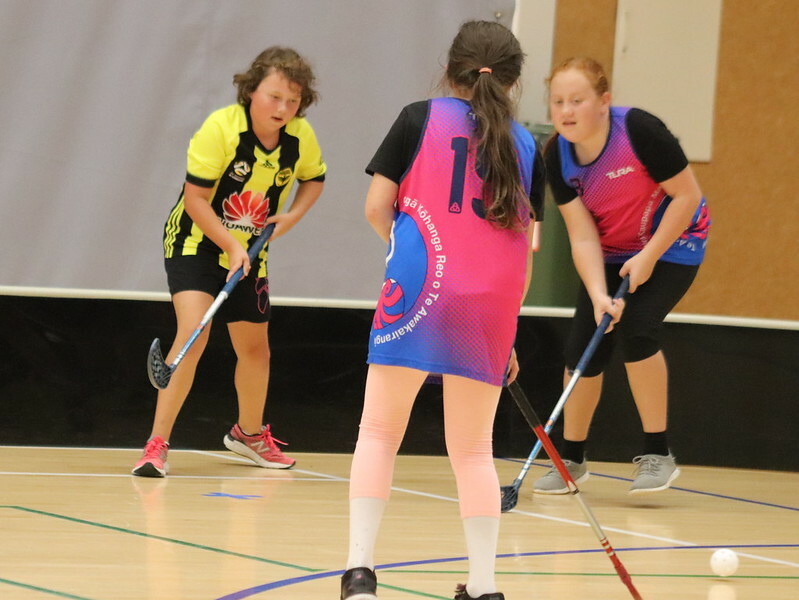 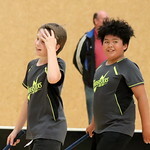 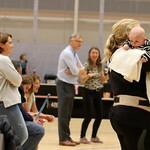 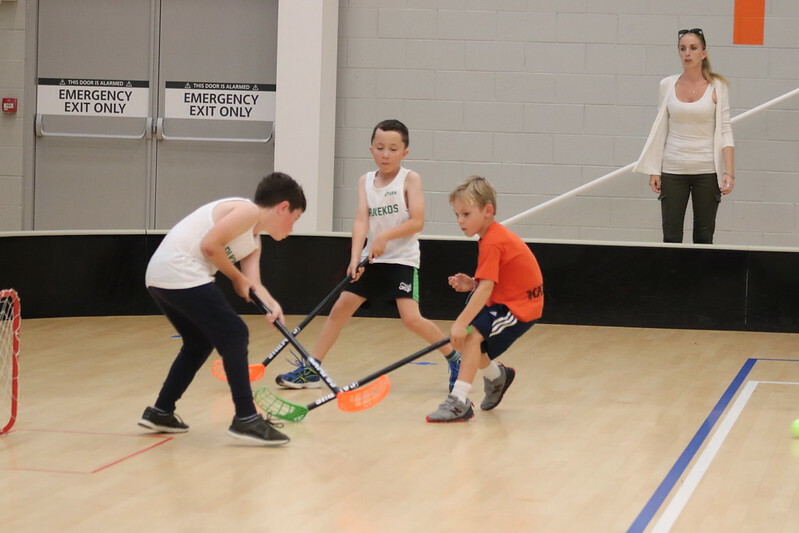 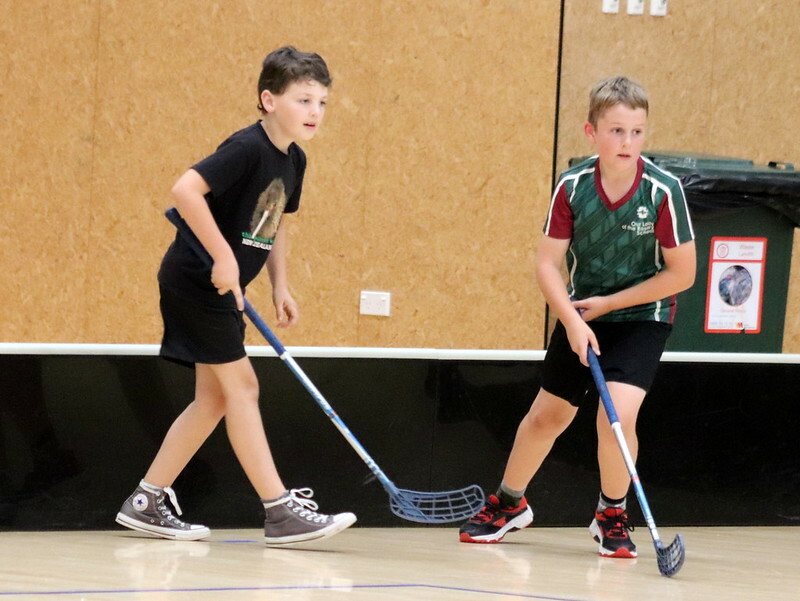 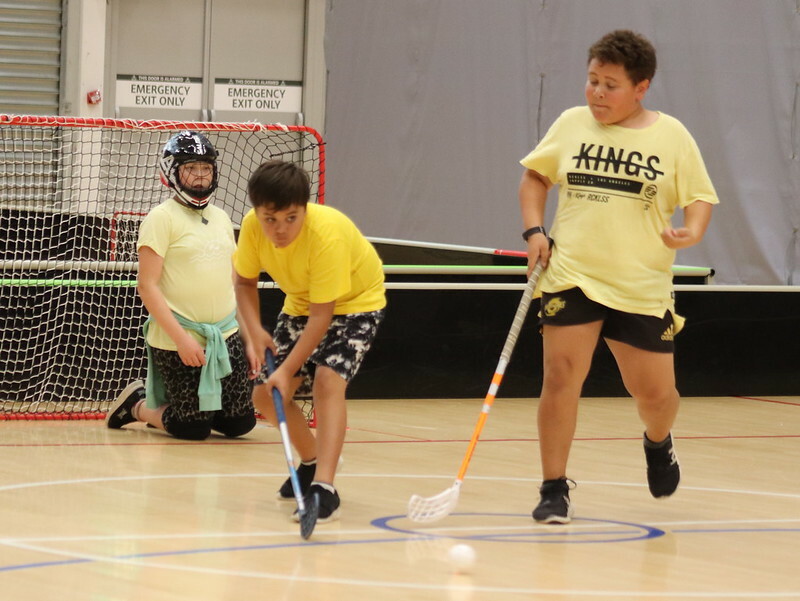 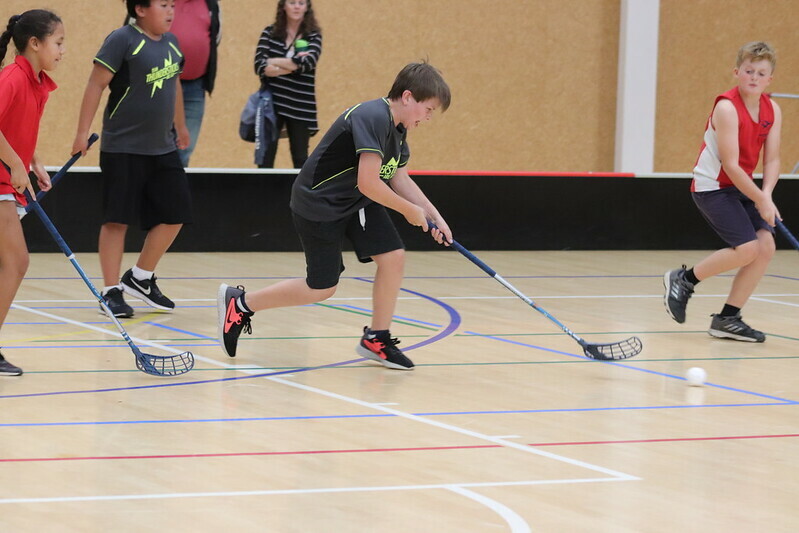 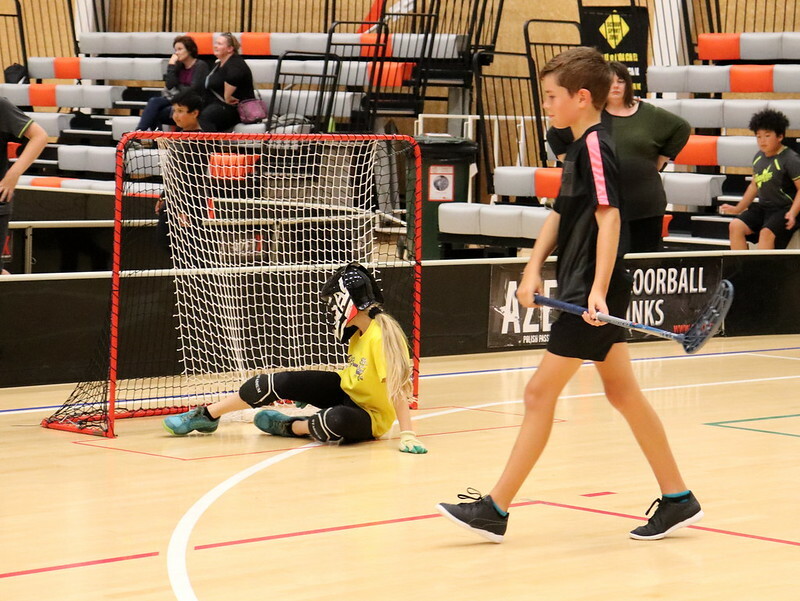 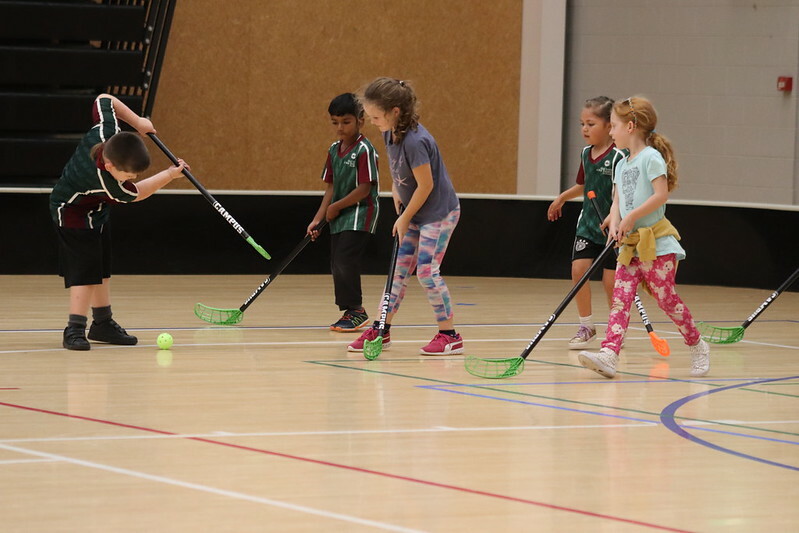 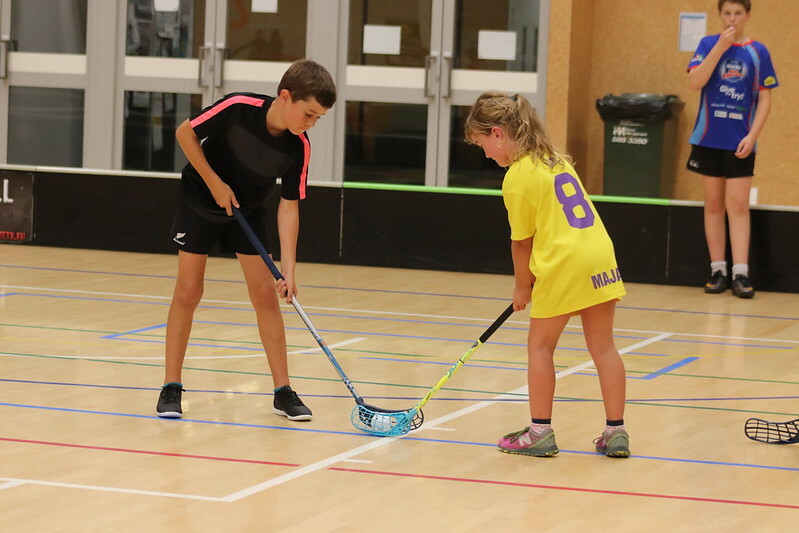 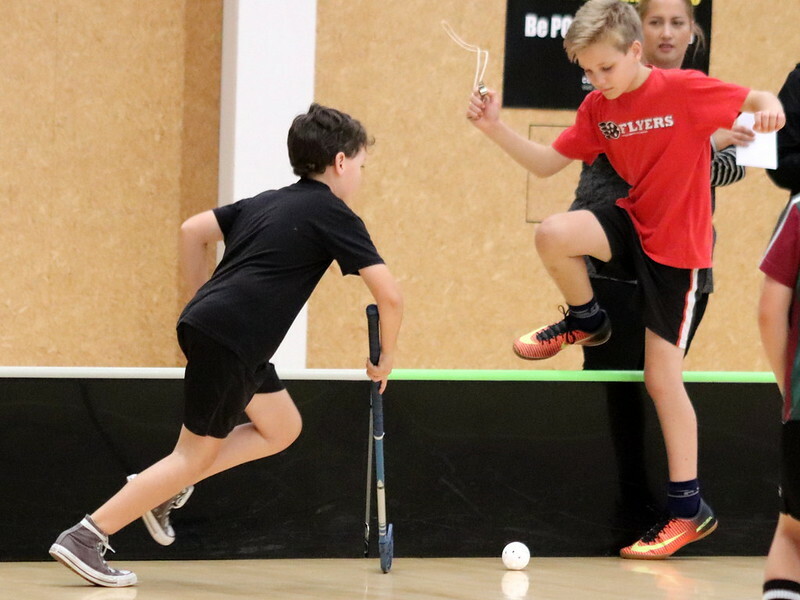 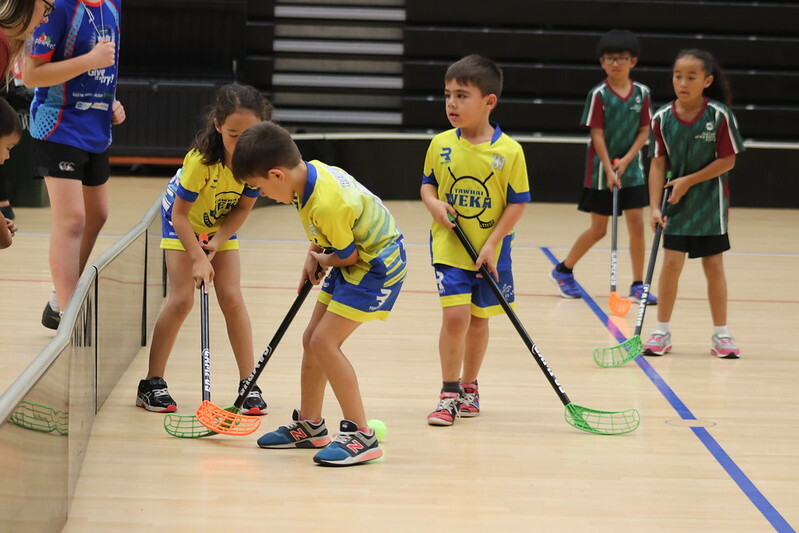 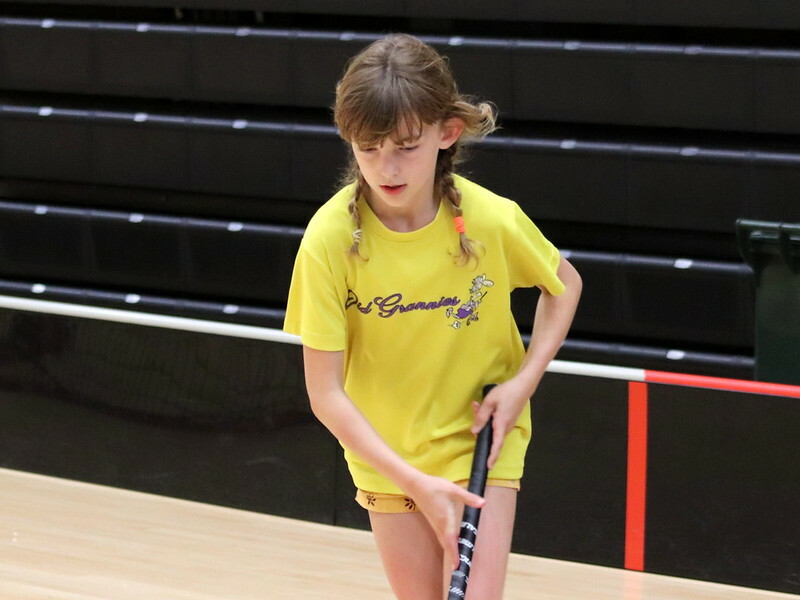 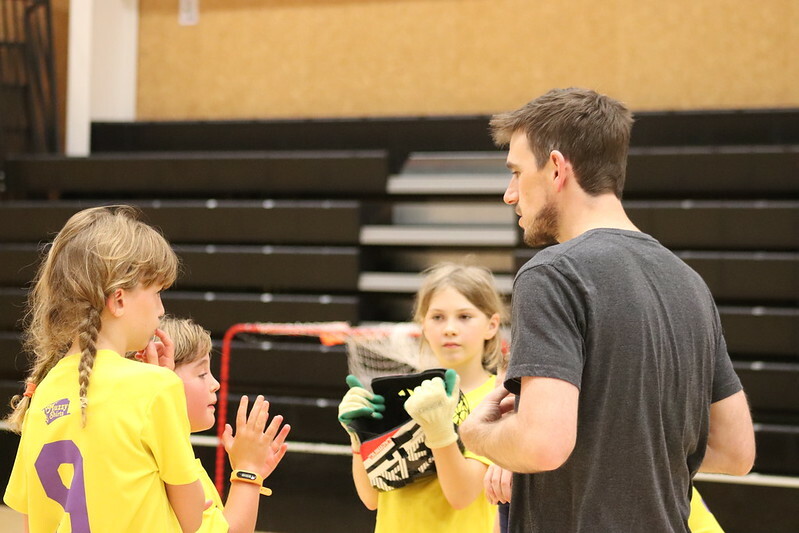 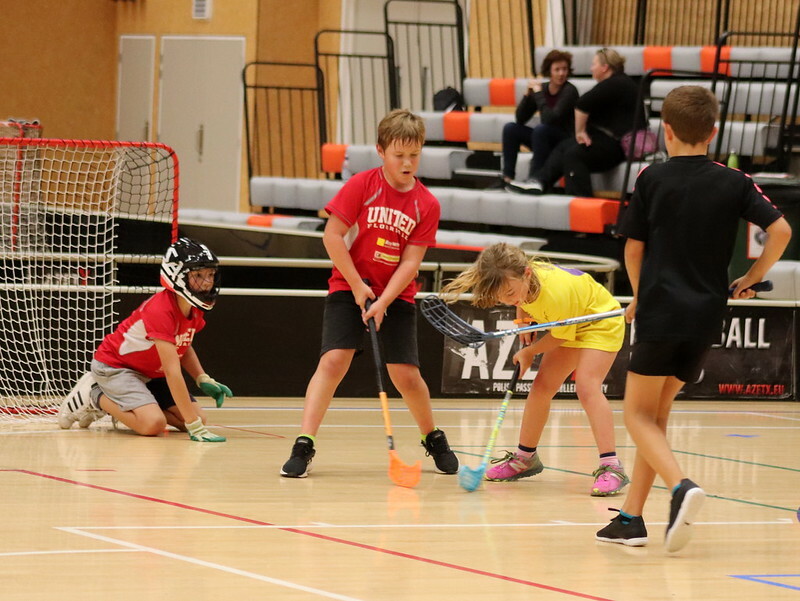 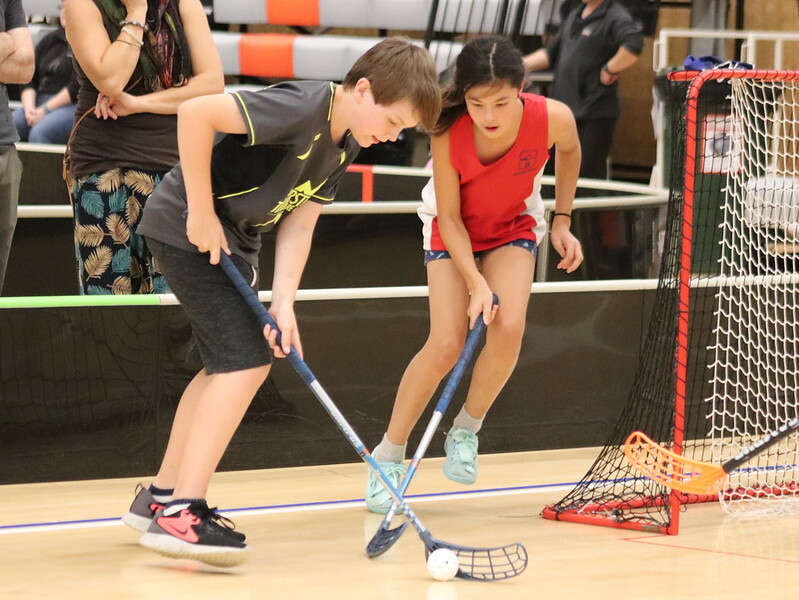 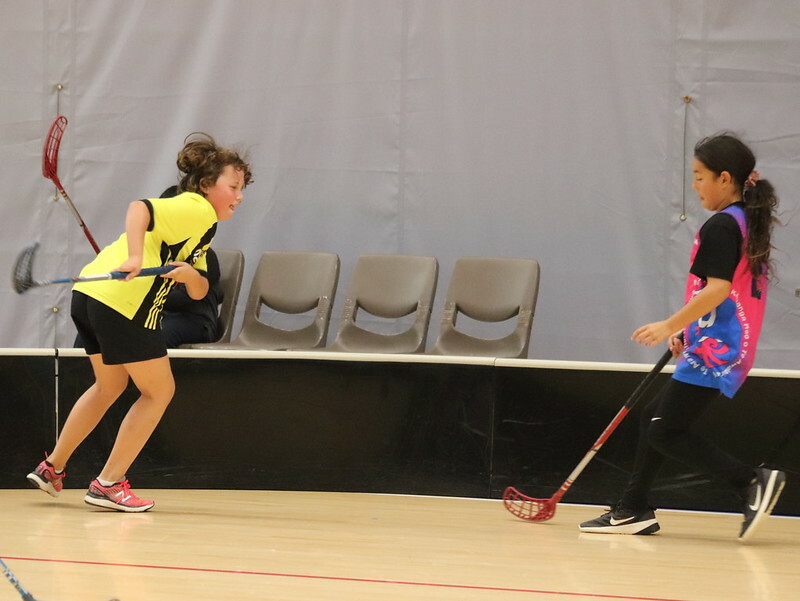 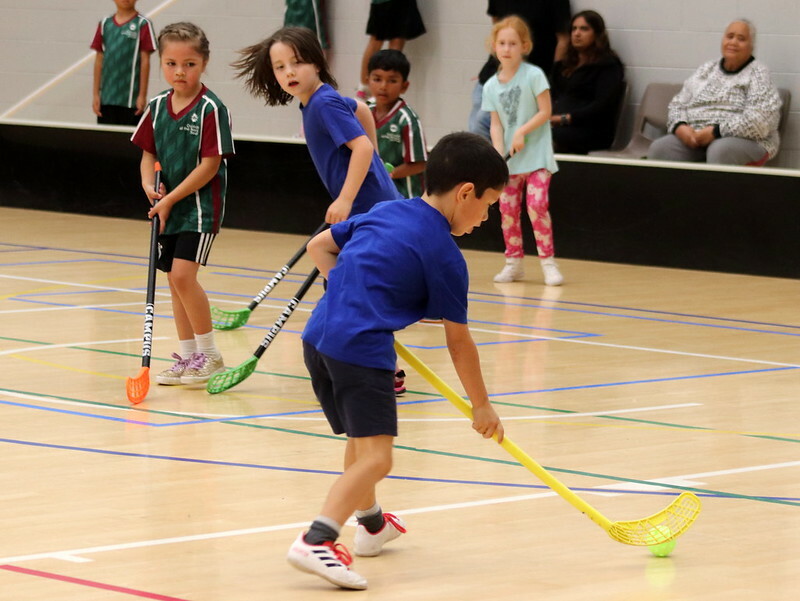 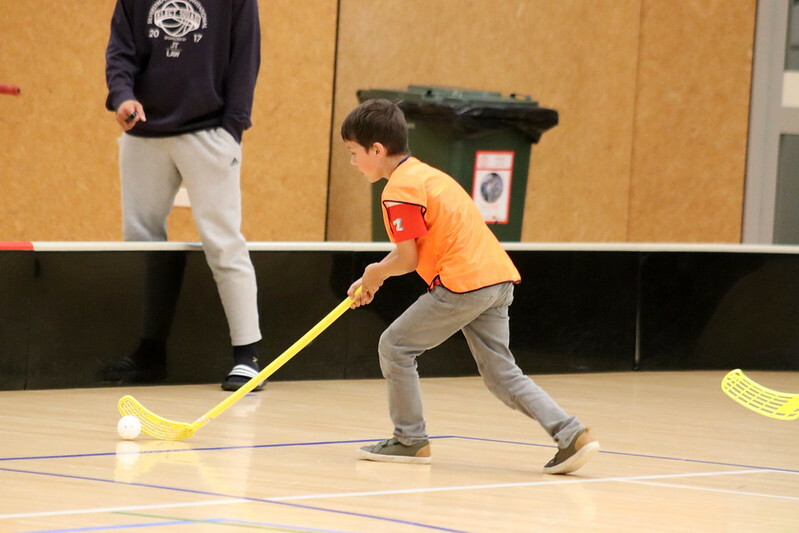 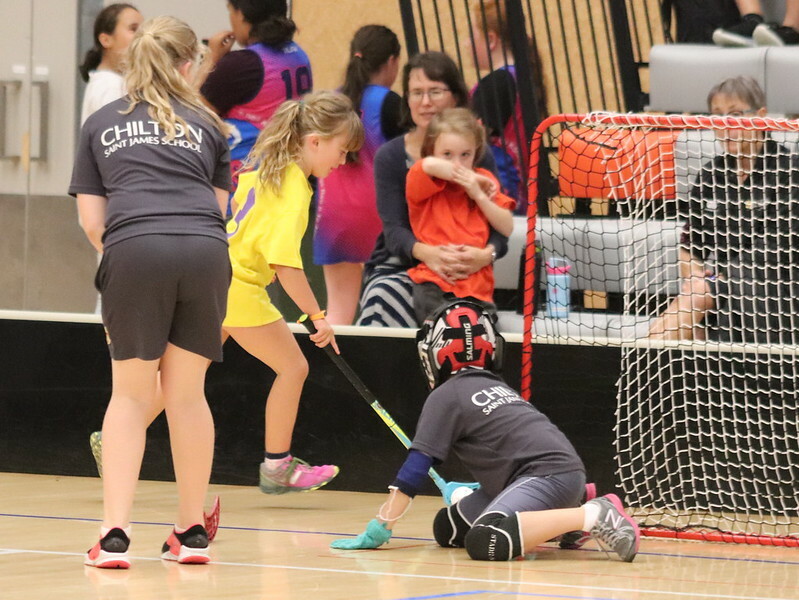 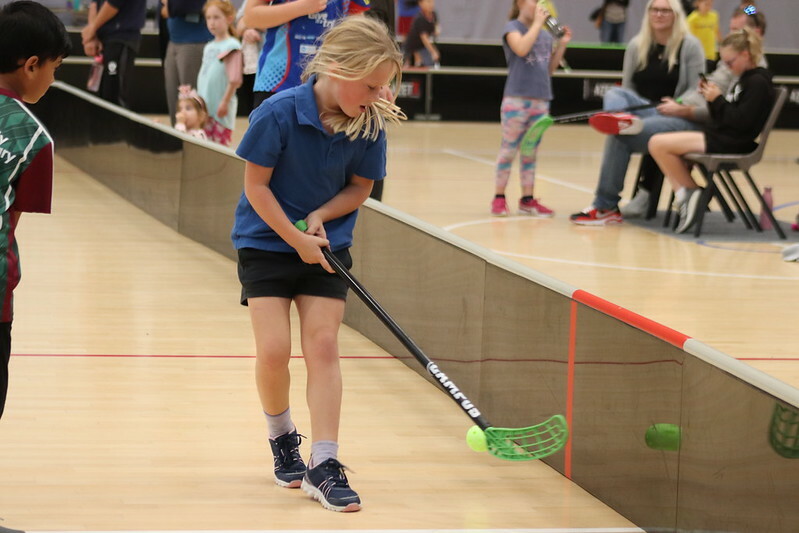 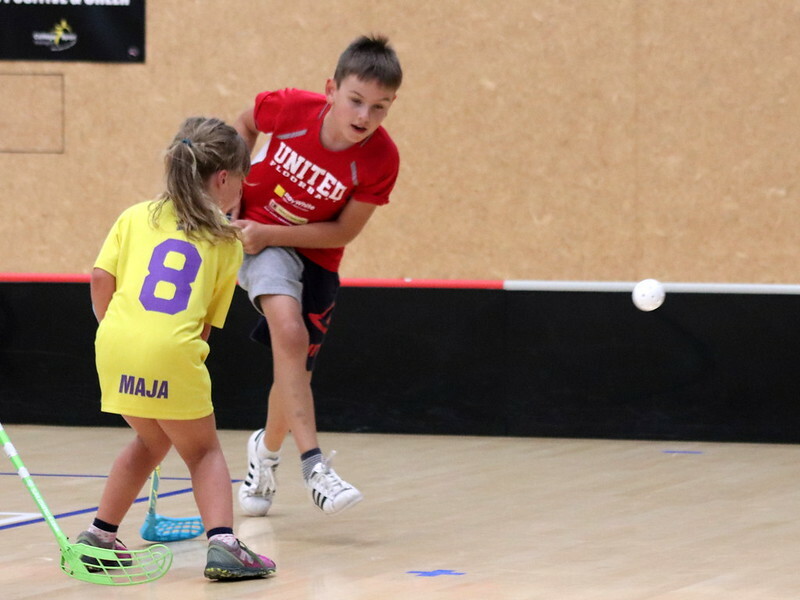 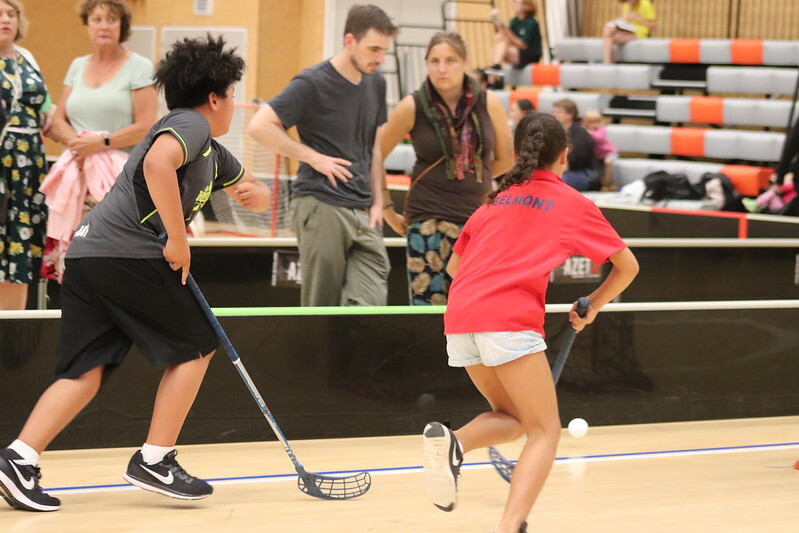 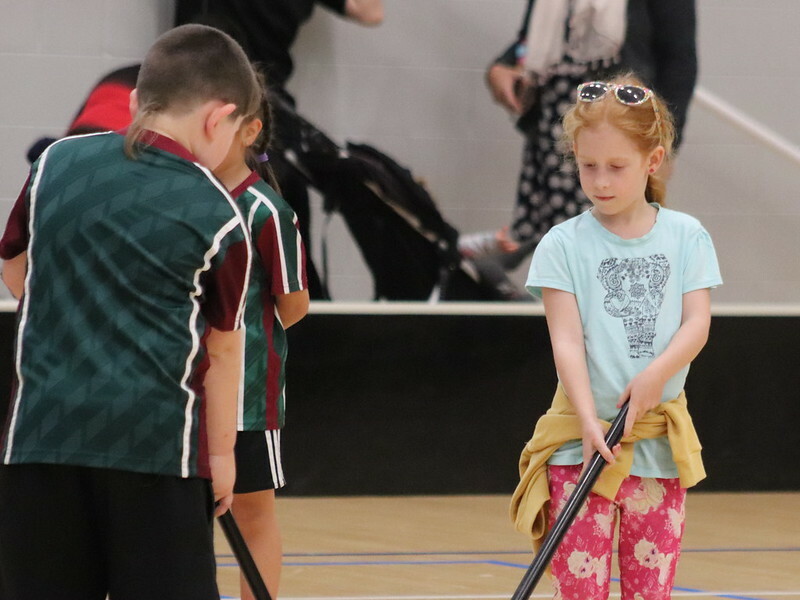 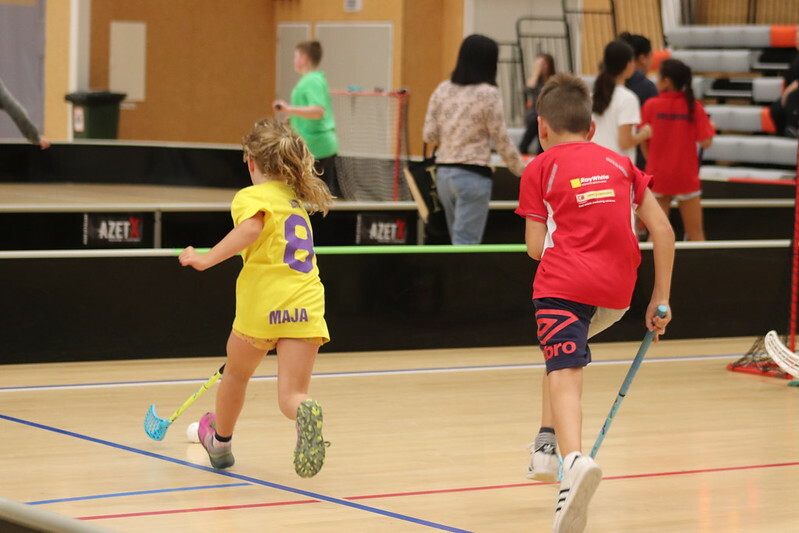 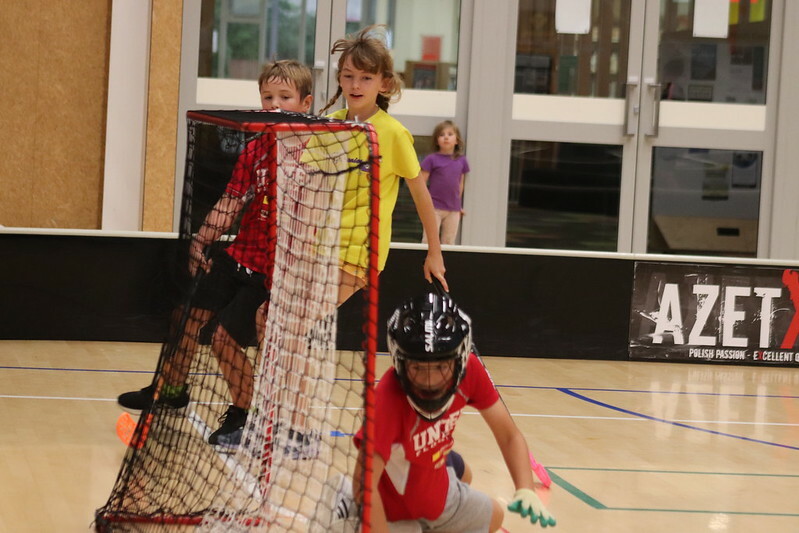 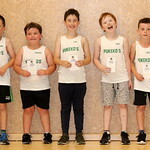 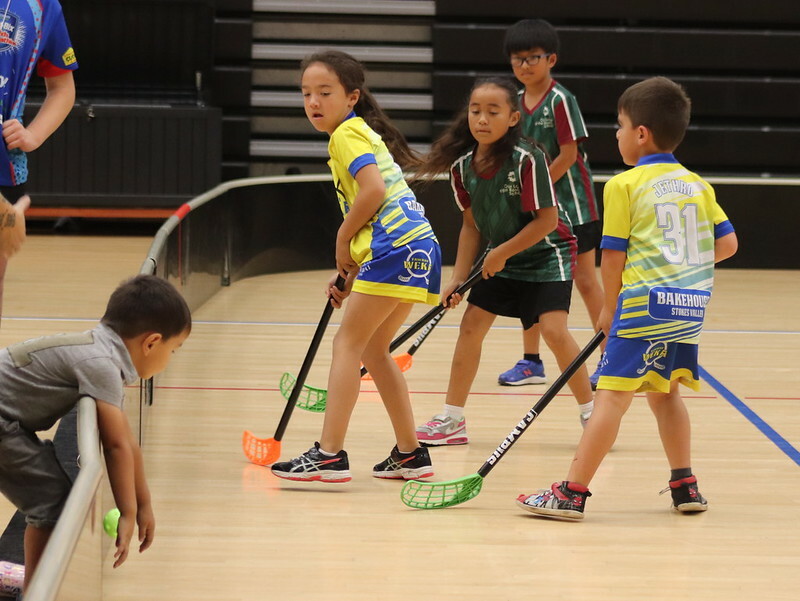 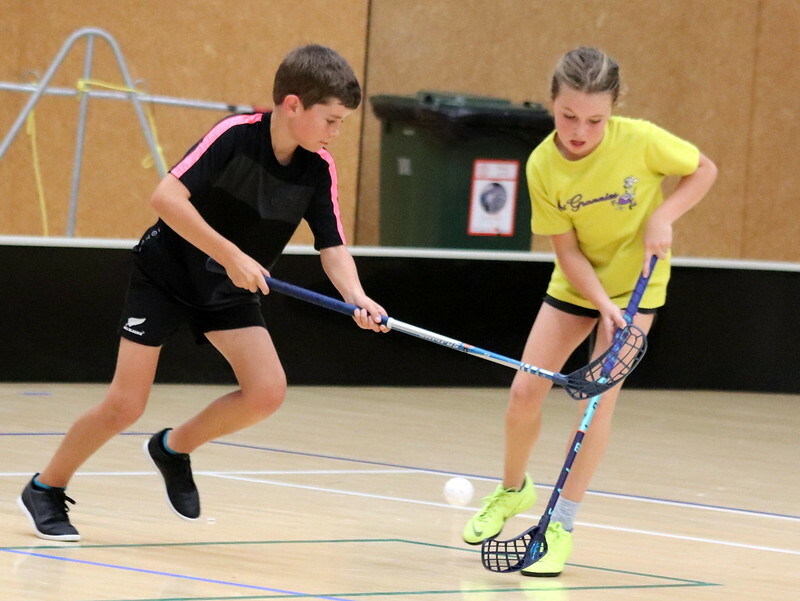 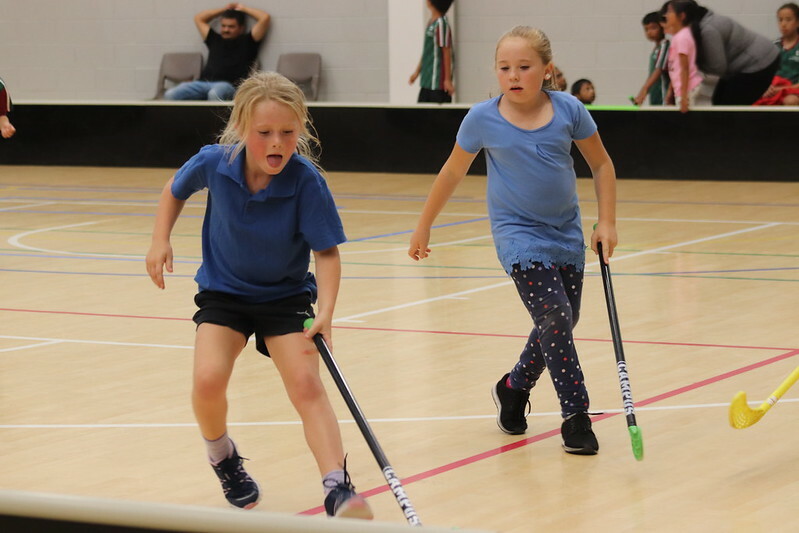 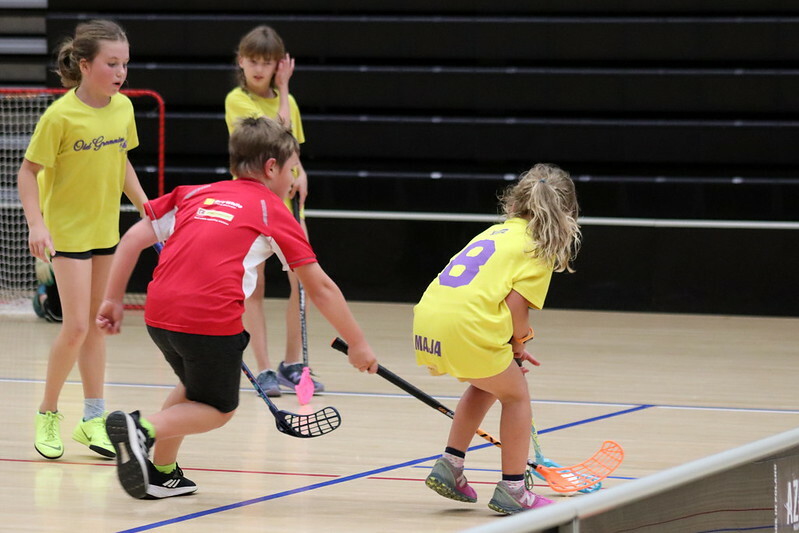 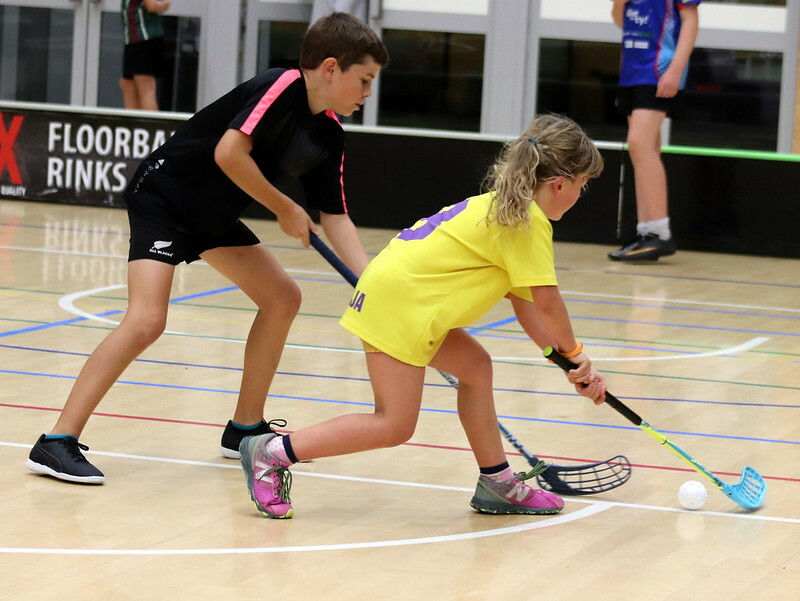 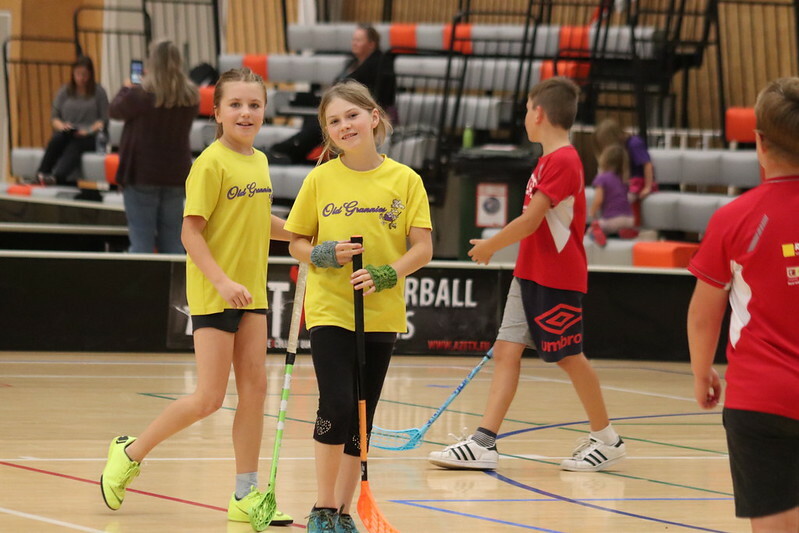 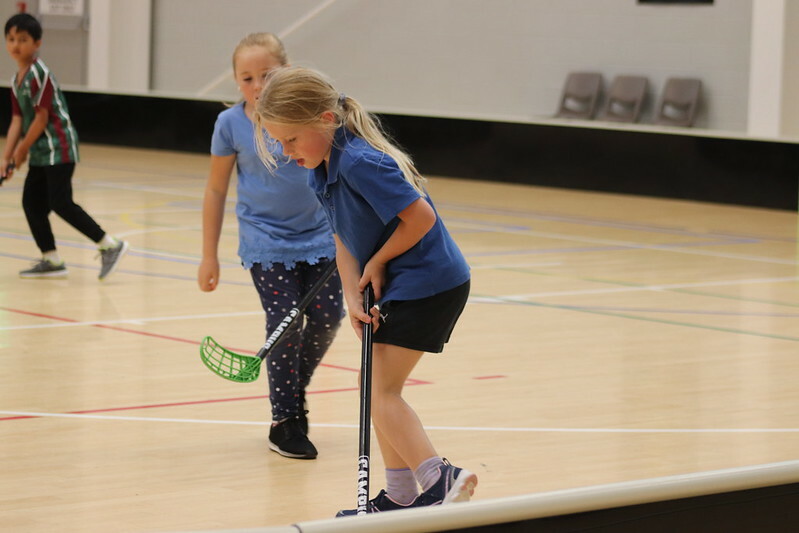 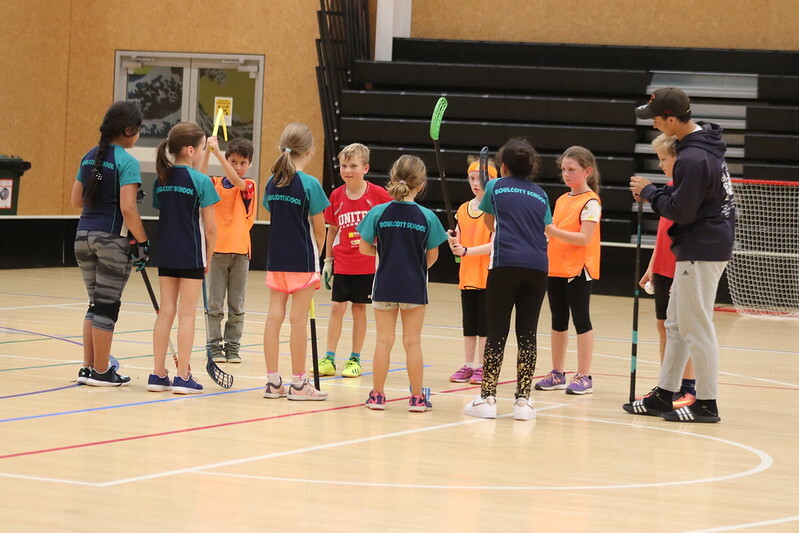 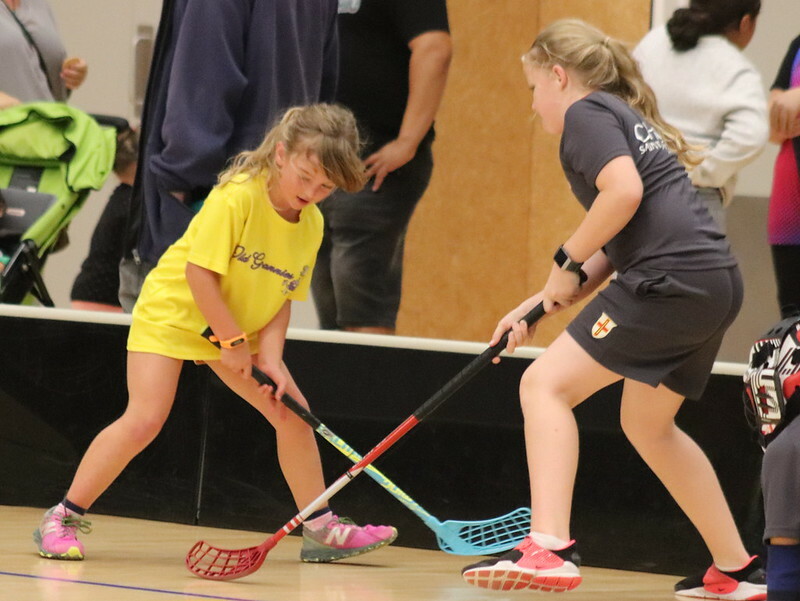 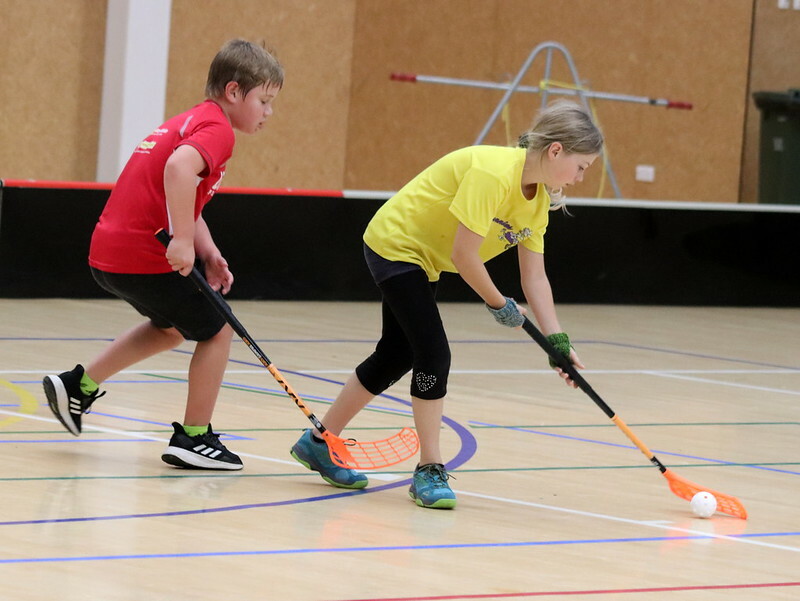 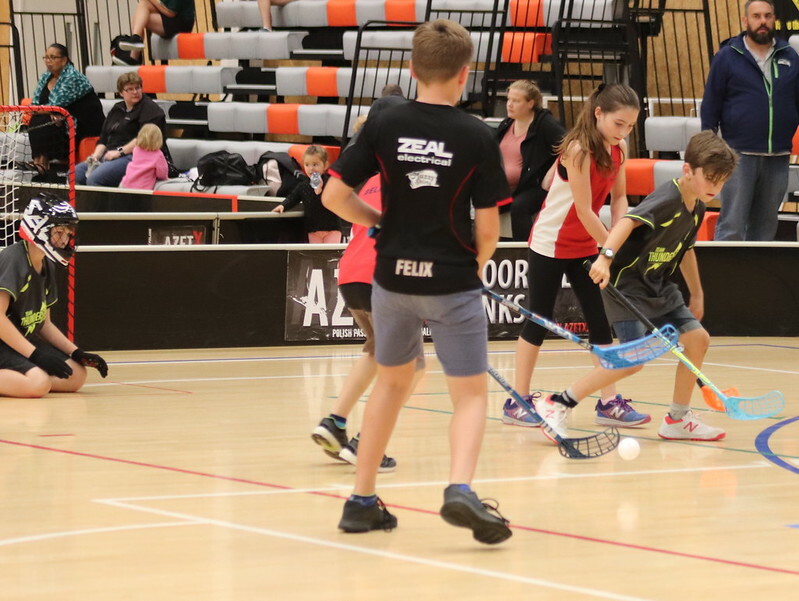 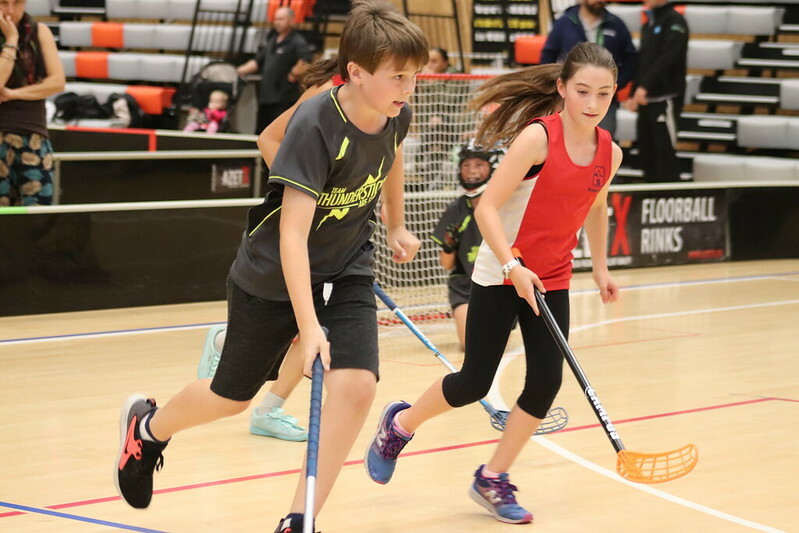 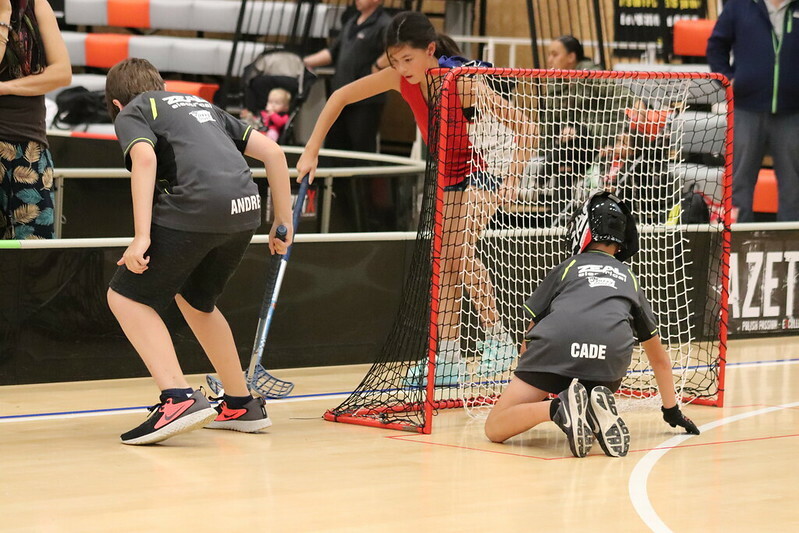 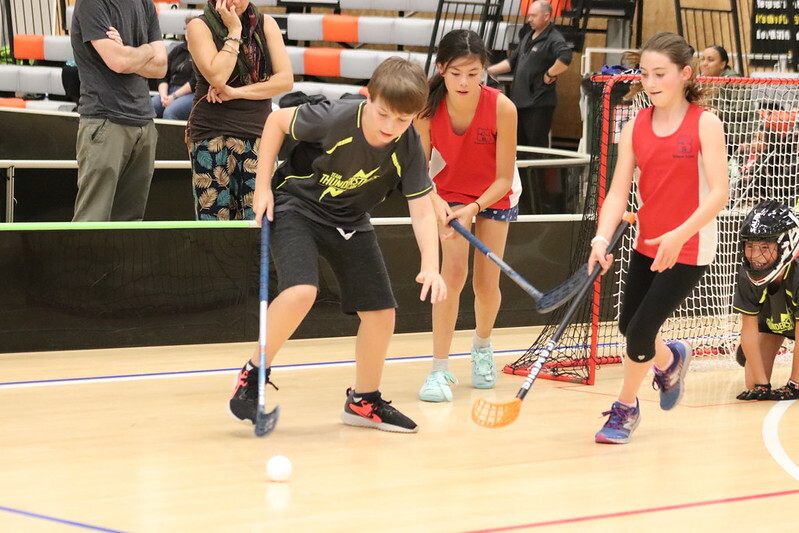 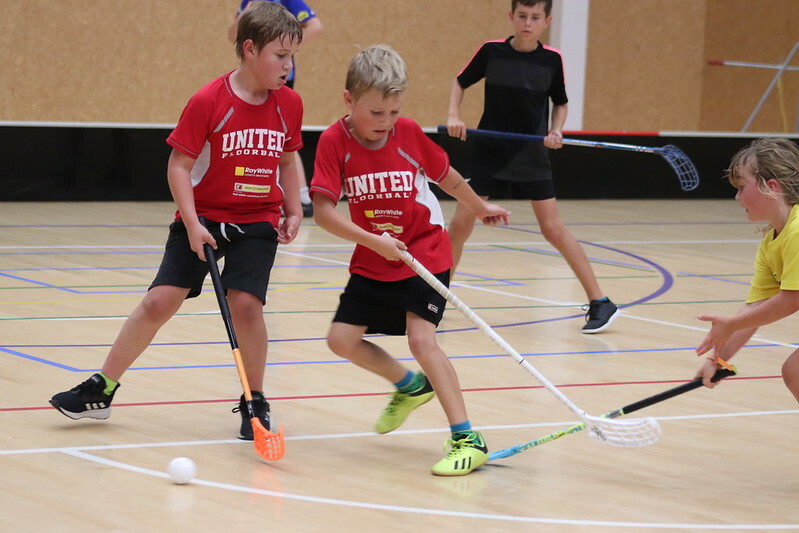 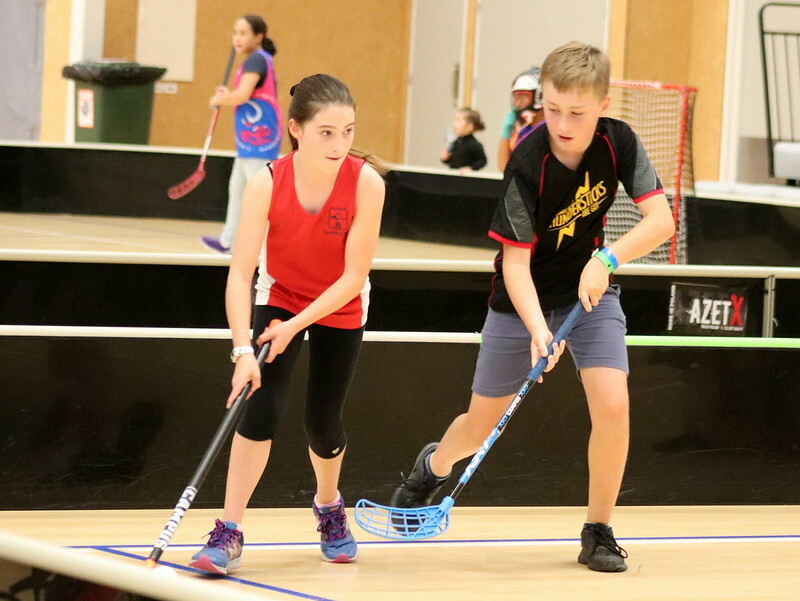 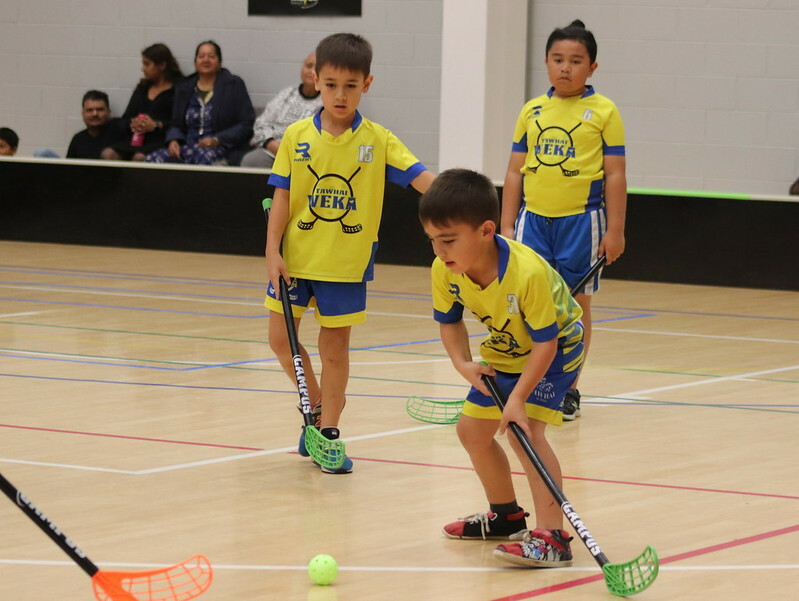 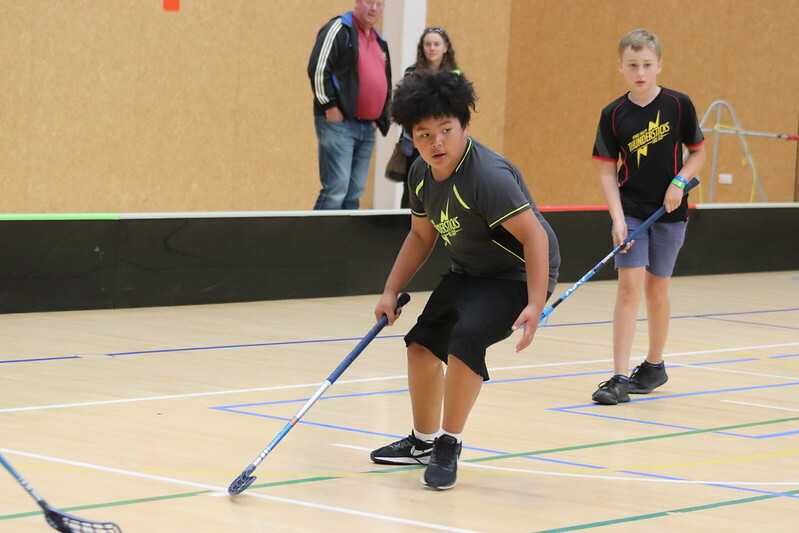 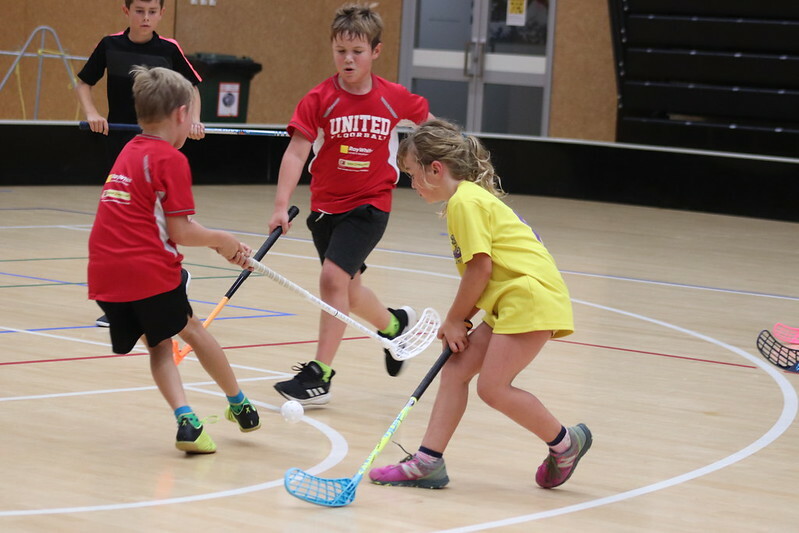 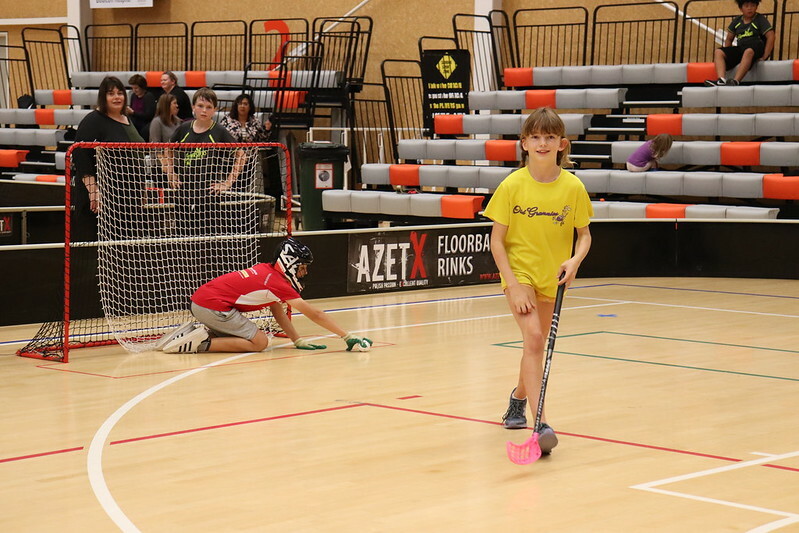 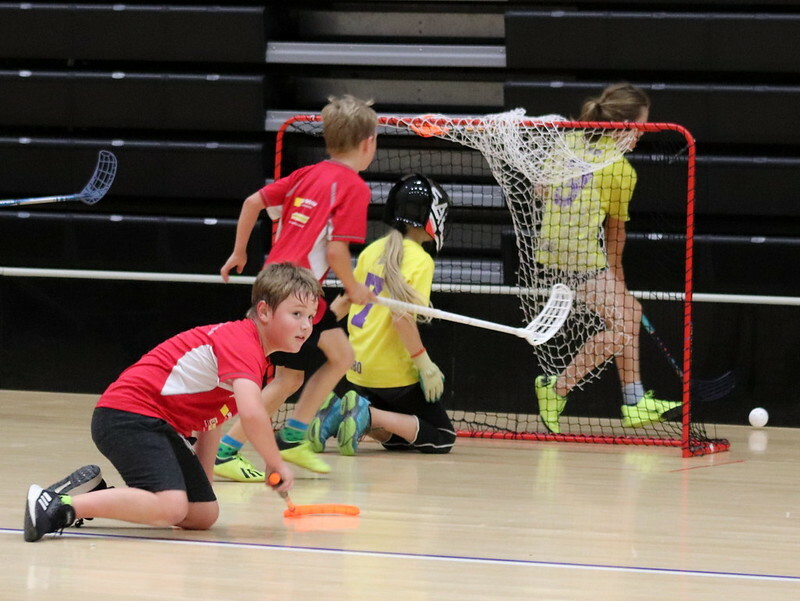 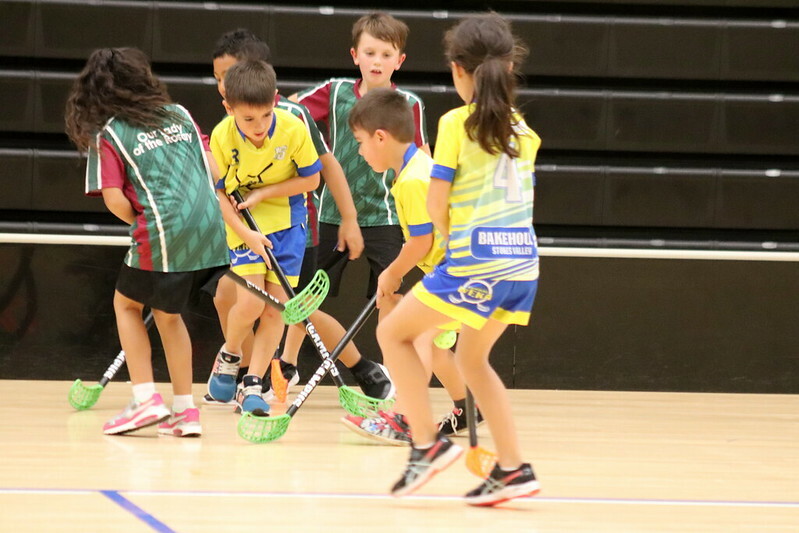 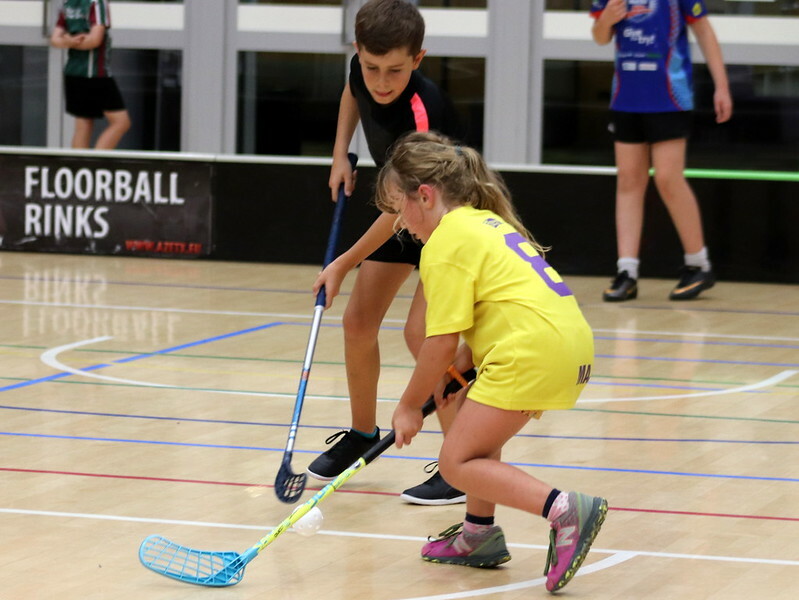 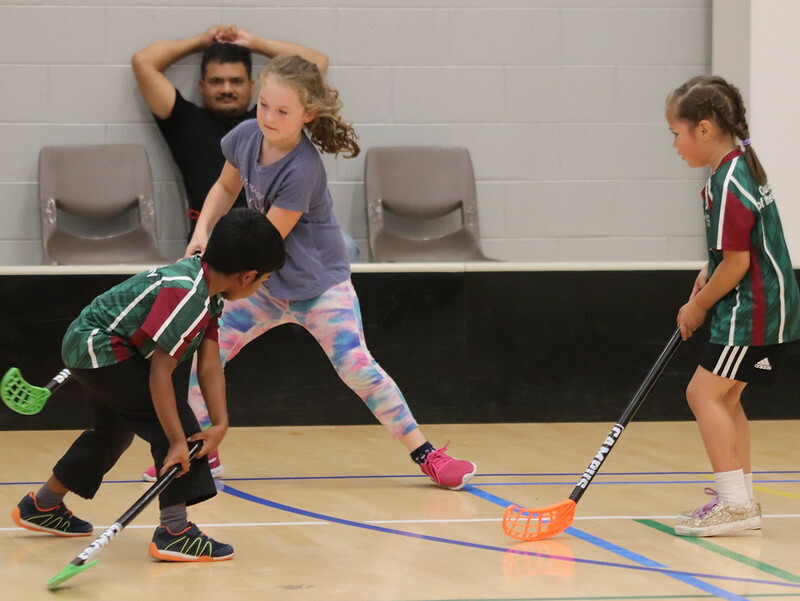 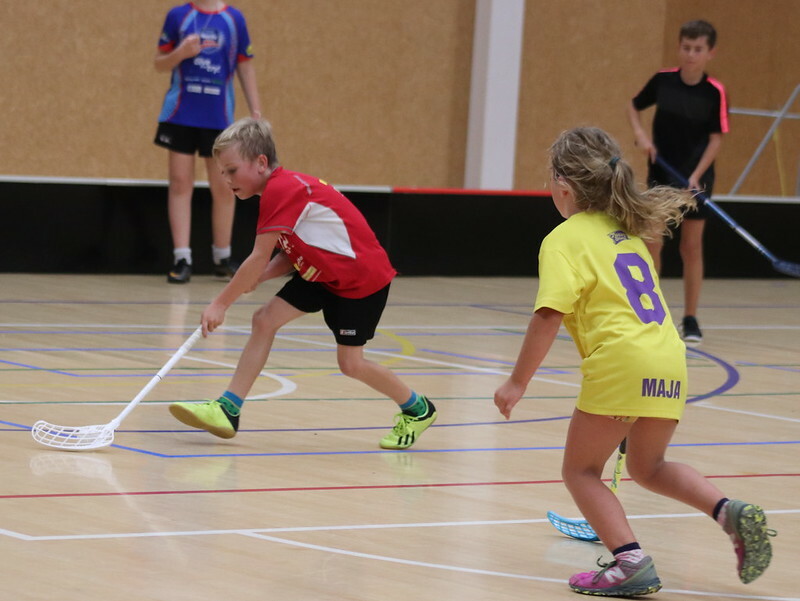 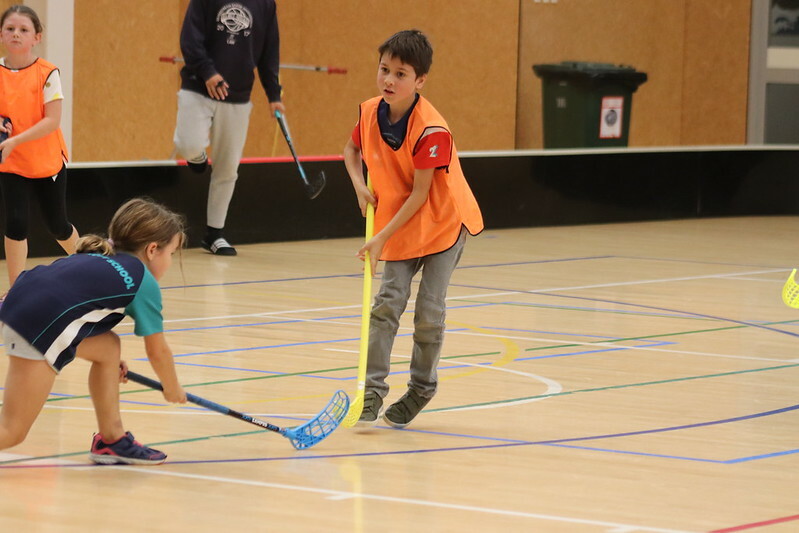 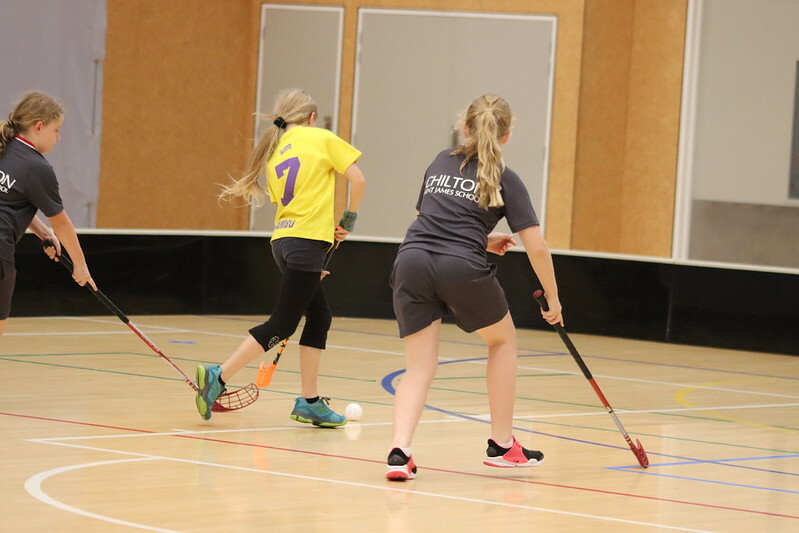 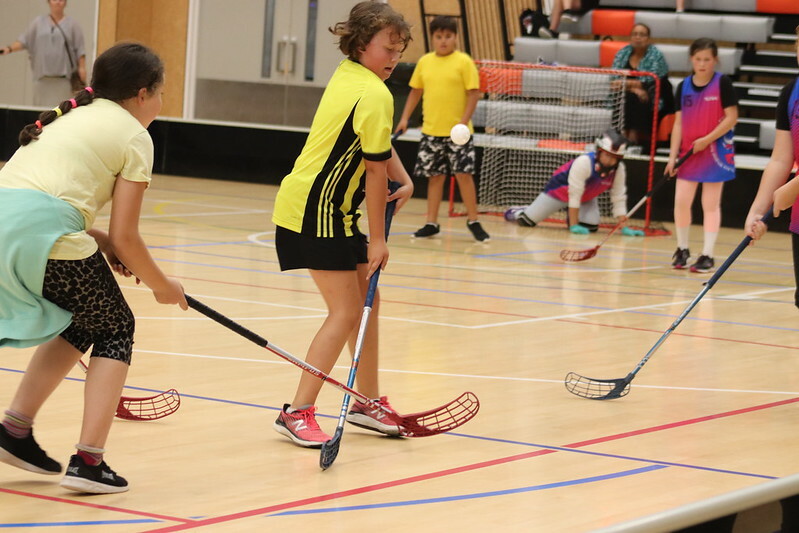 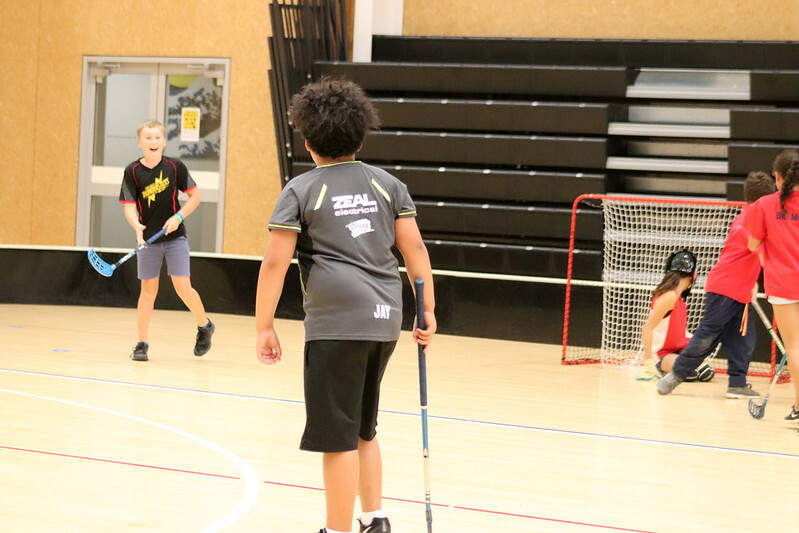 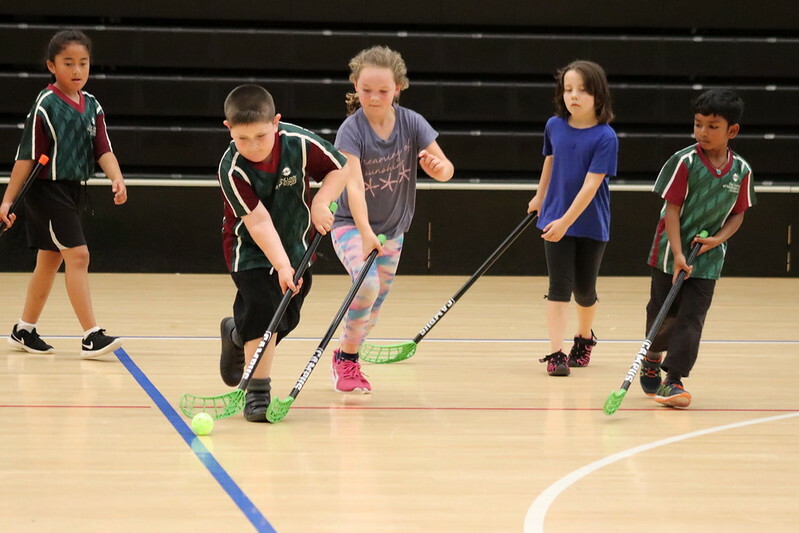 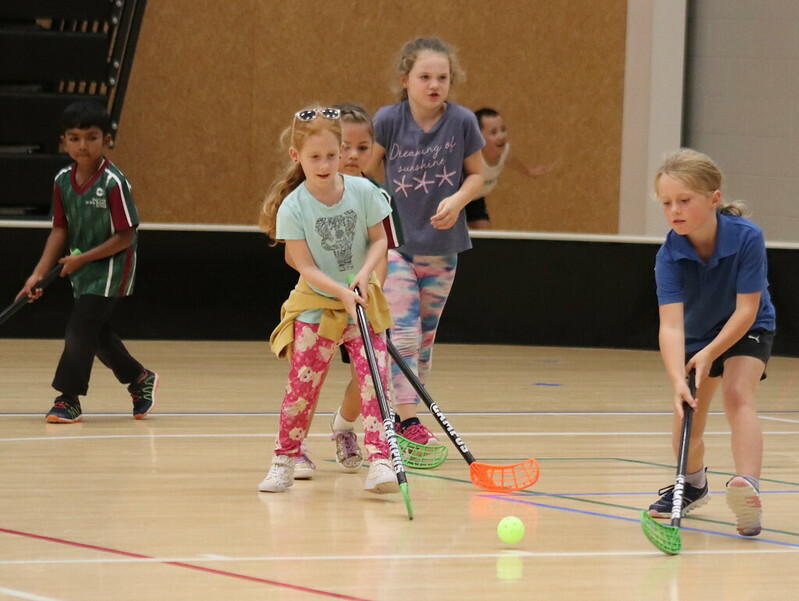 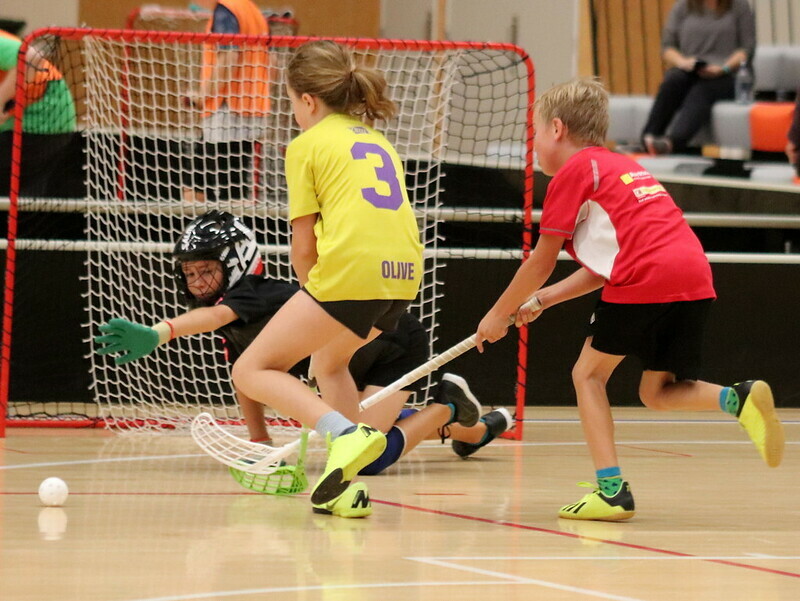 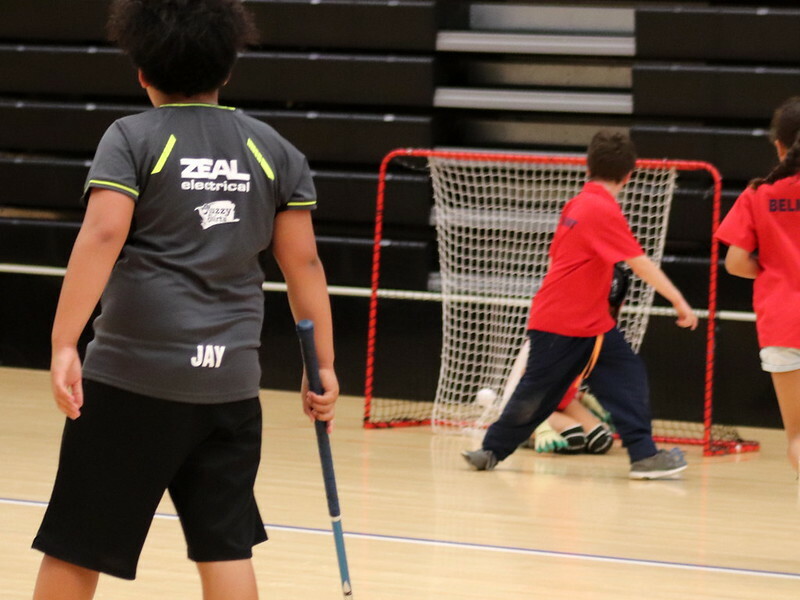 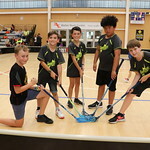 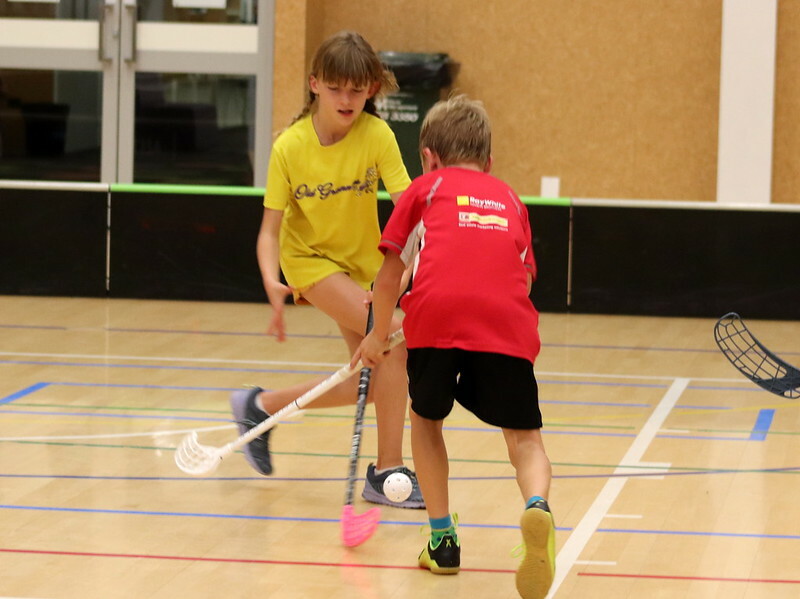 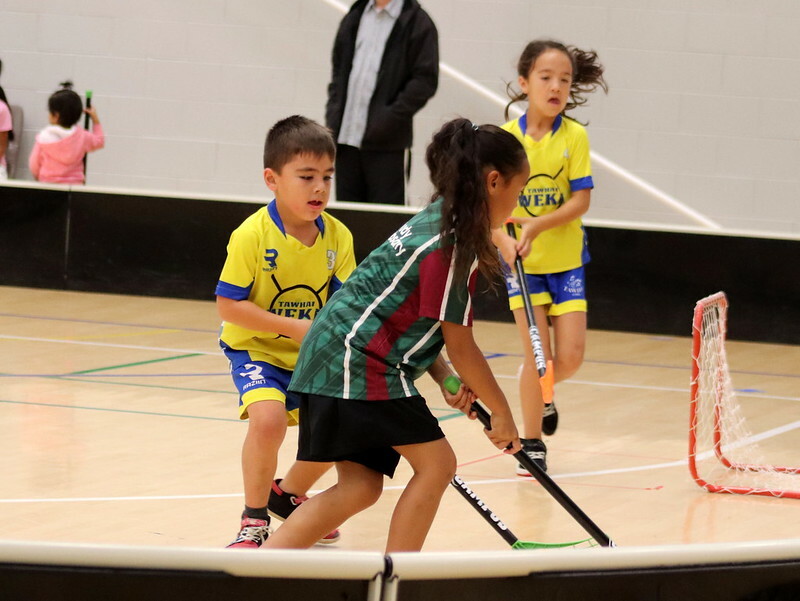 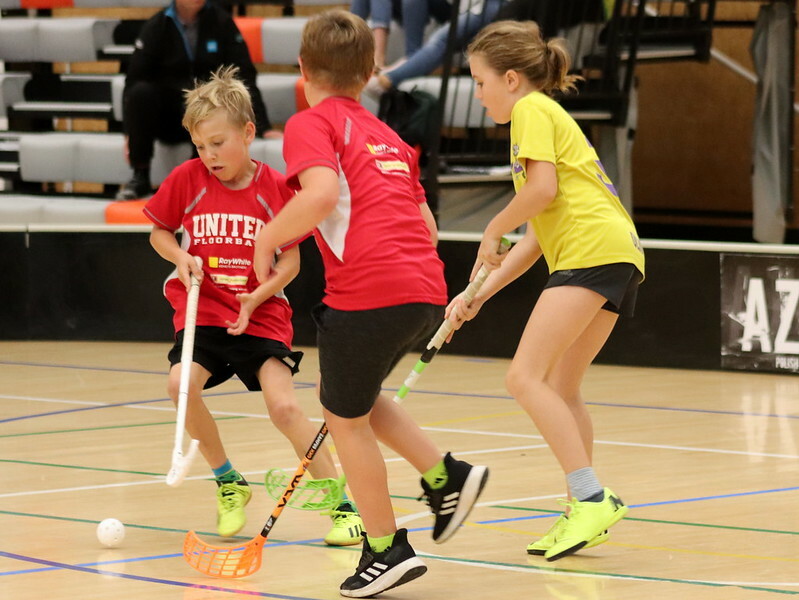 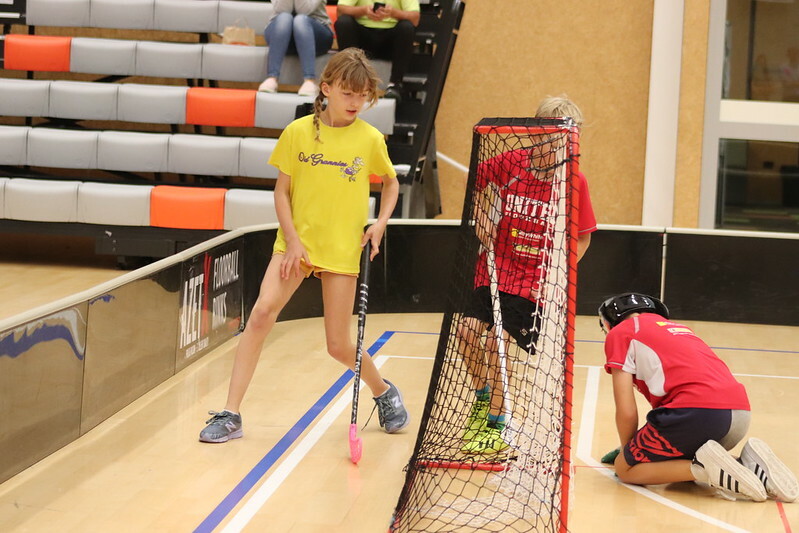 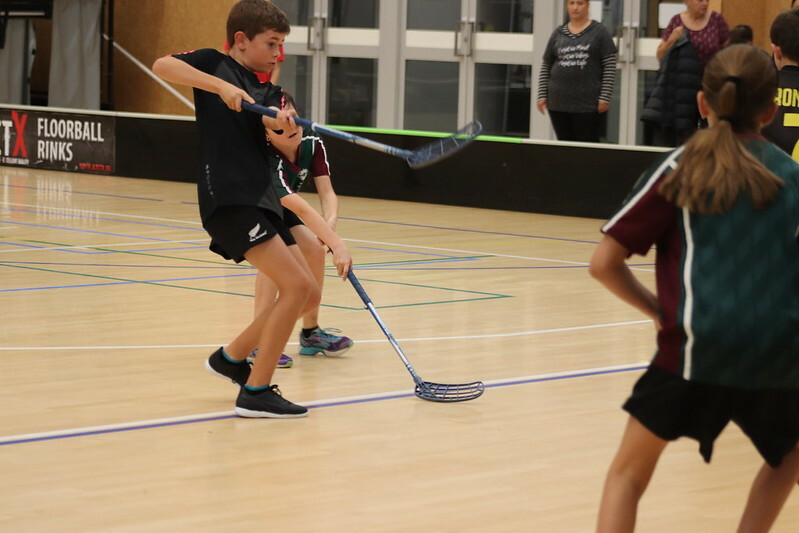 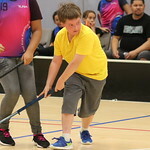 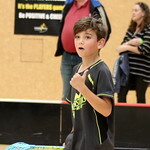 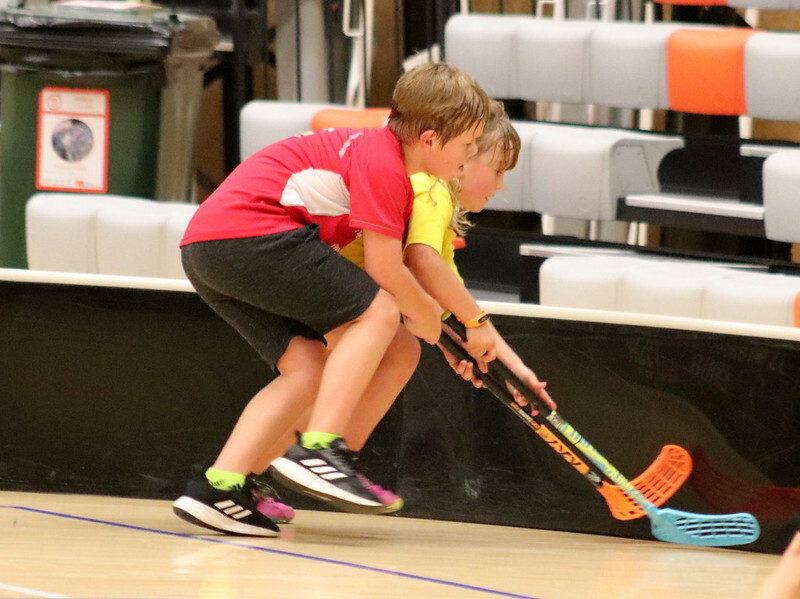 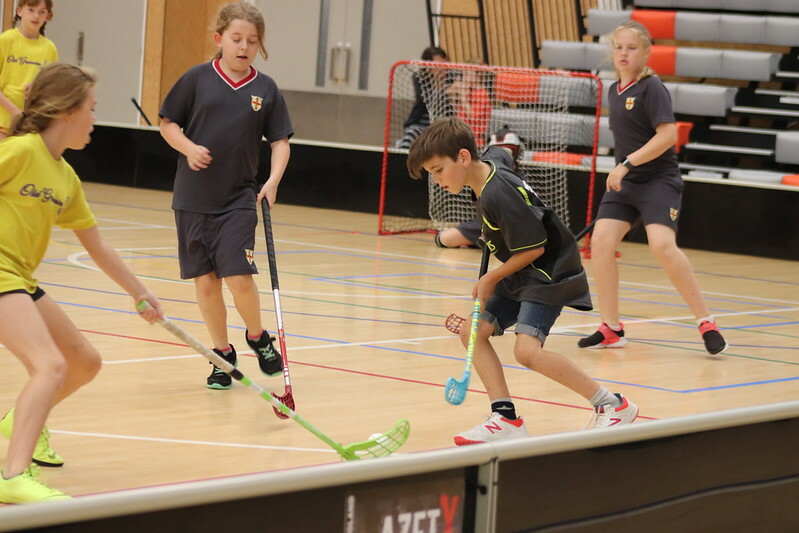 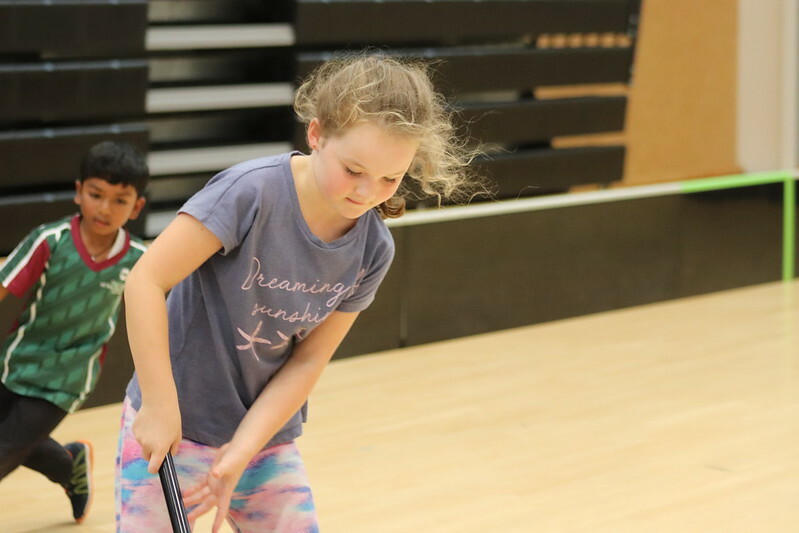 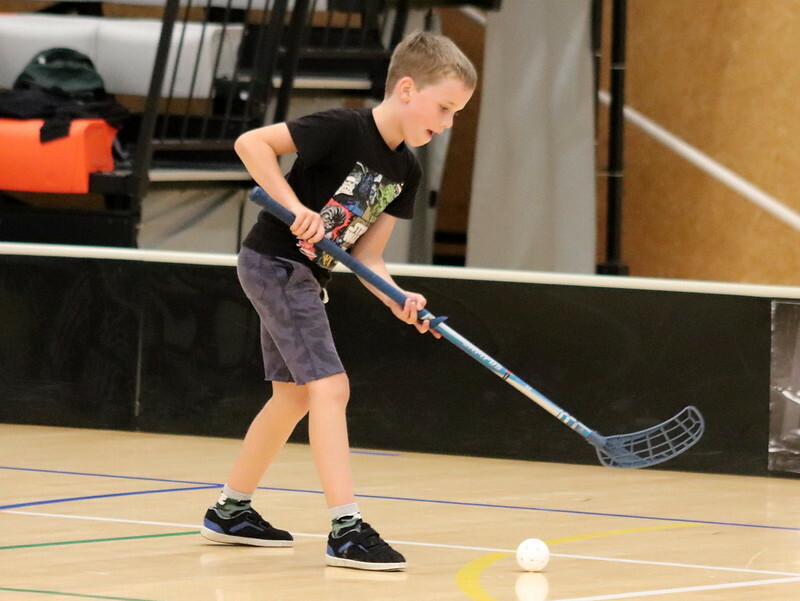 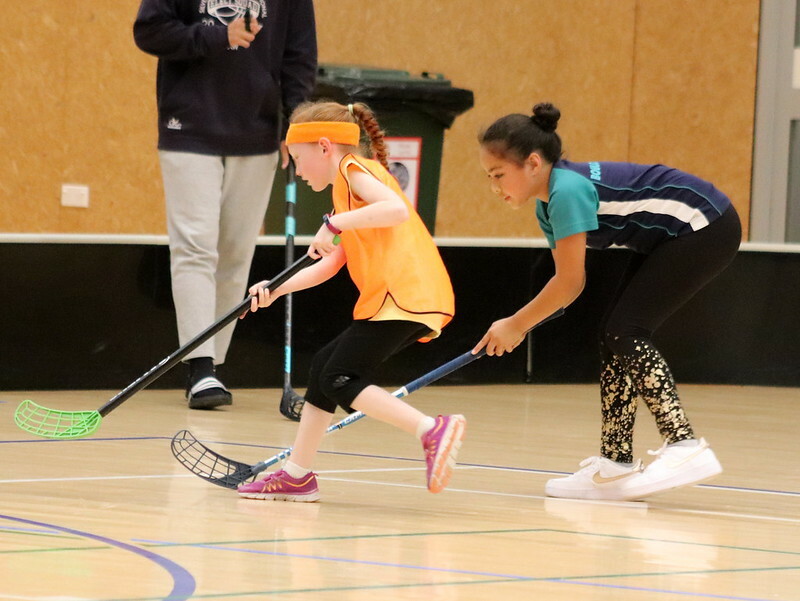 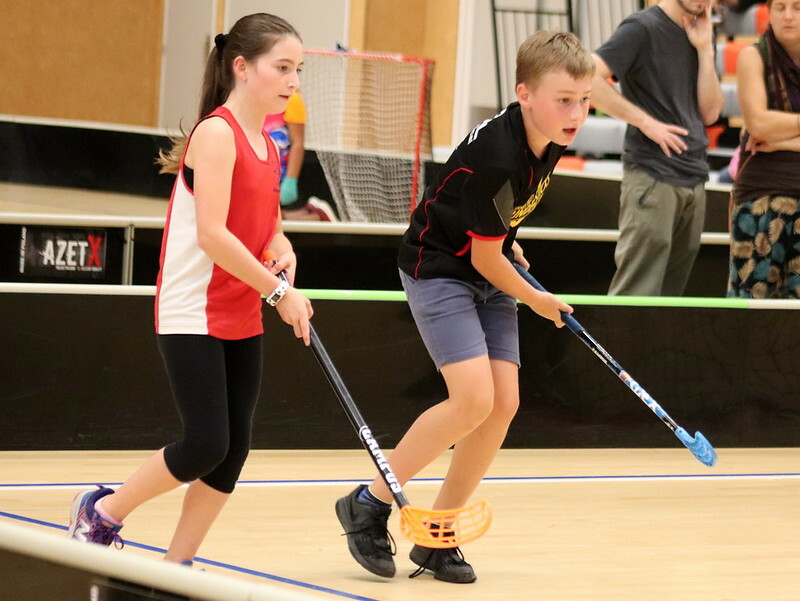 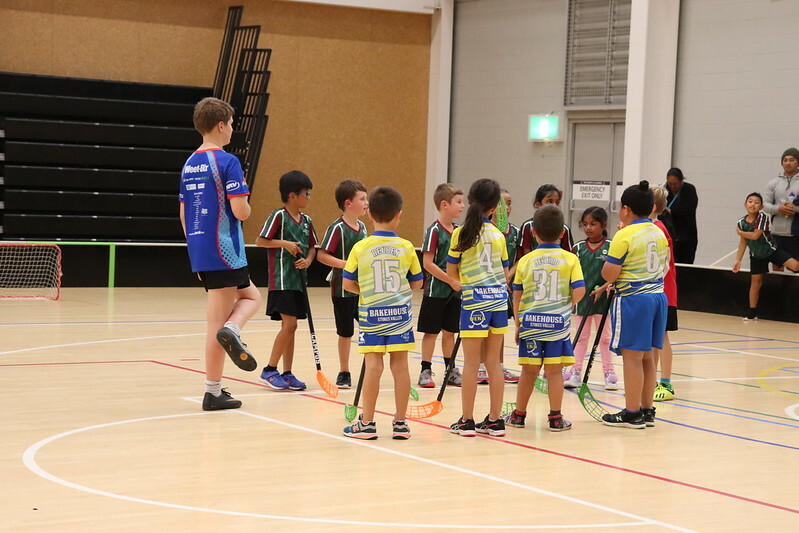 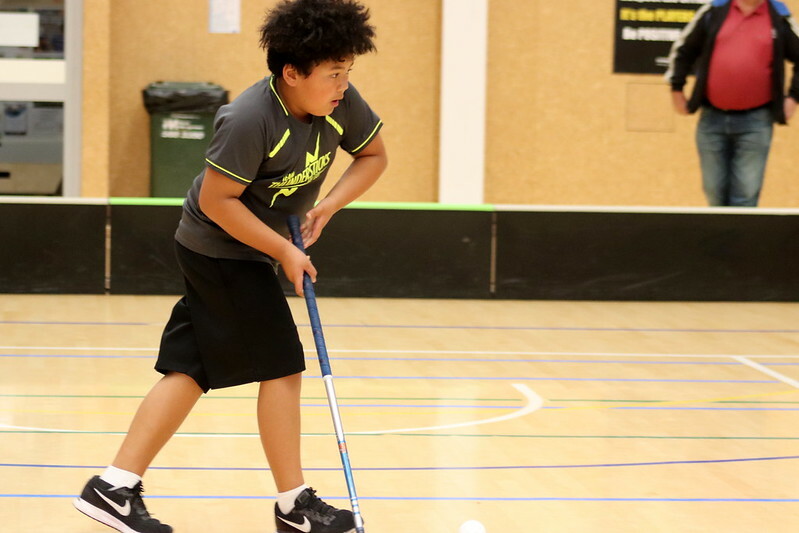 You are here: Tawhai School › Information › News › Latest news › Last Round of Floorball and a Thrilling Grand Final! 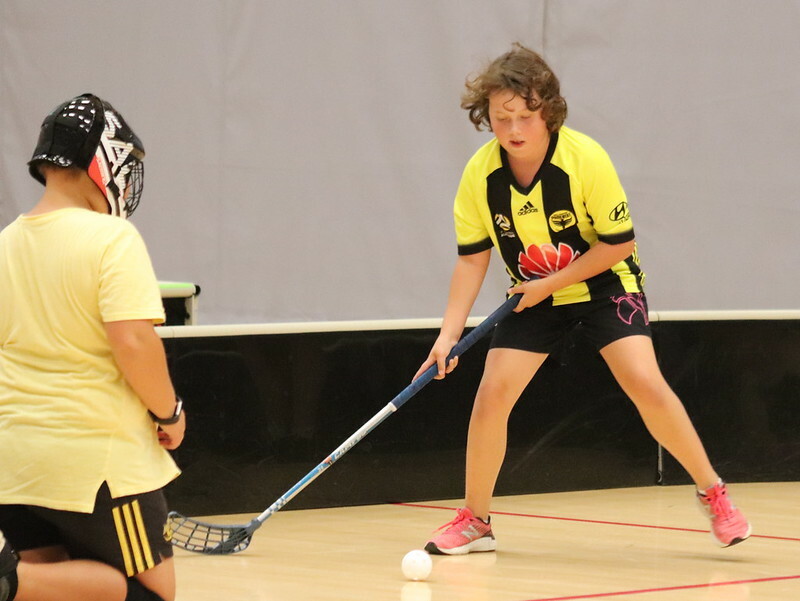 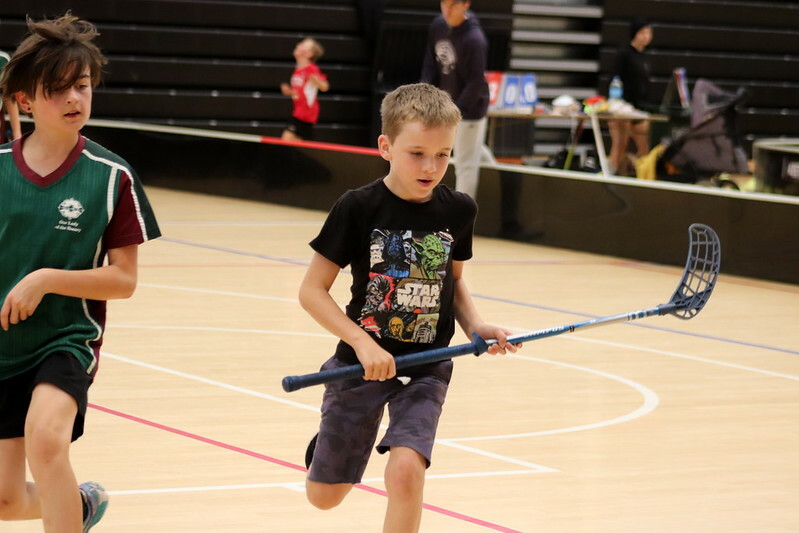 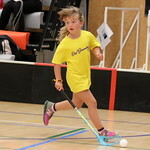 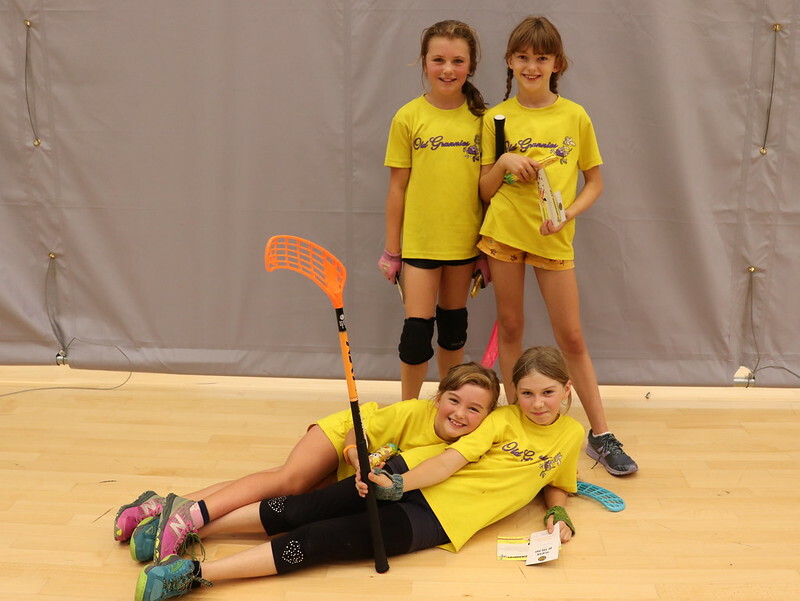 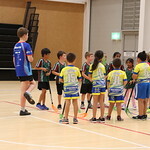 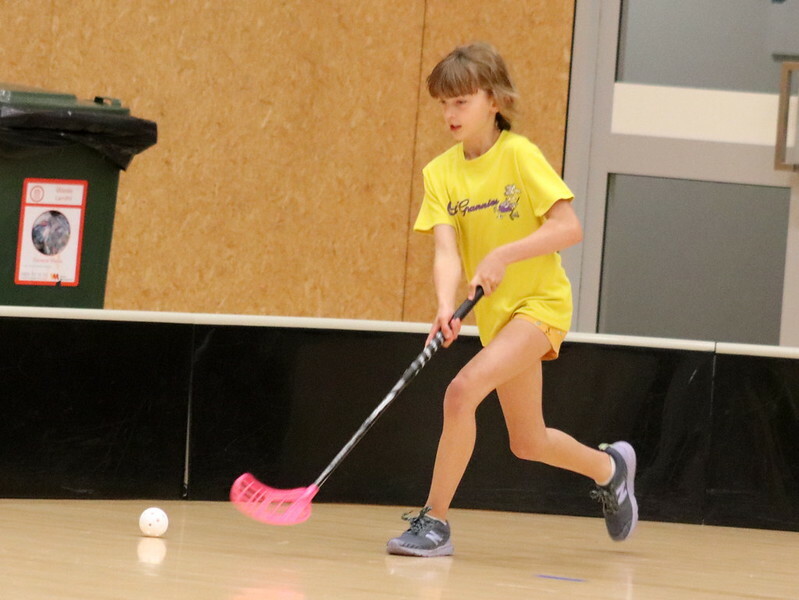 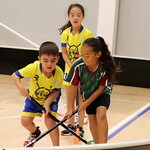 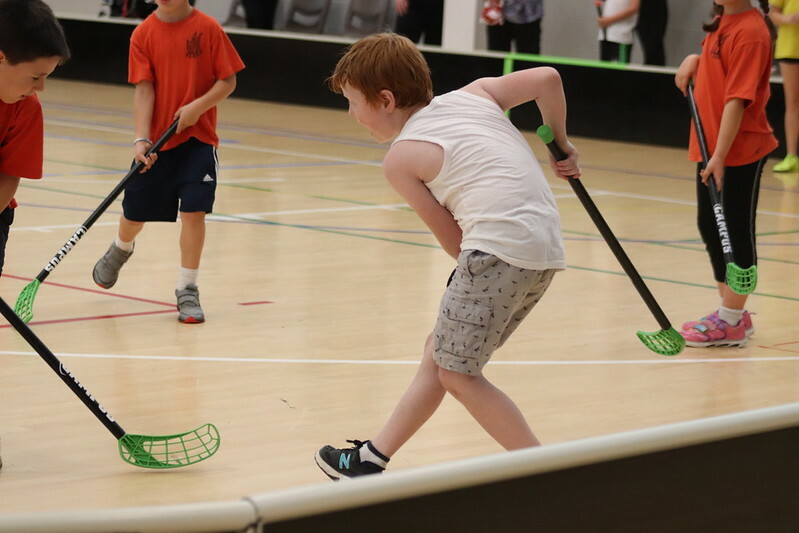 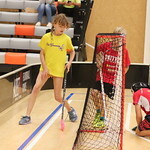 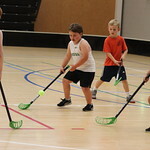 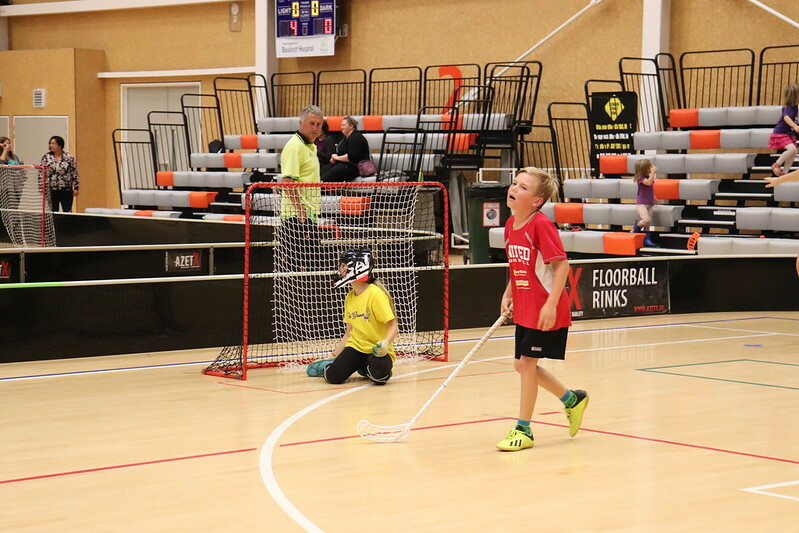 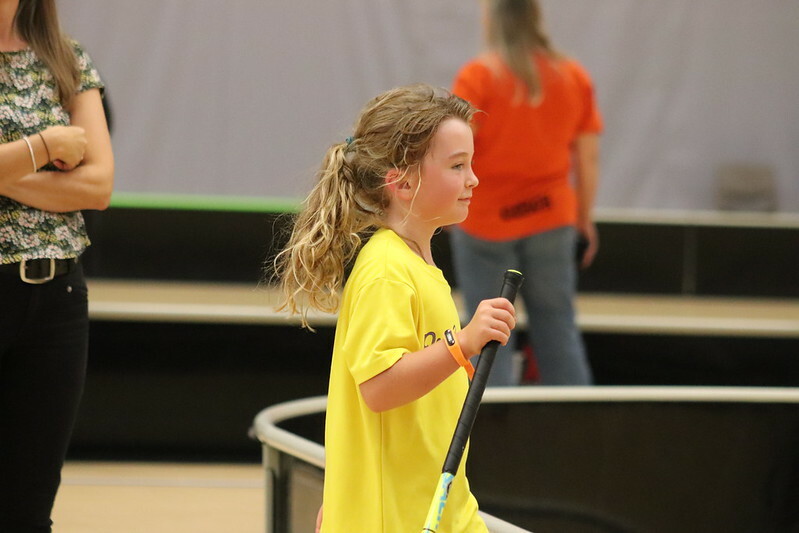 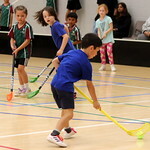 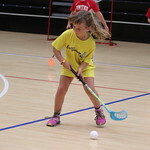 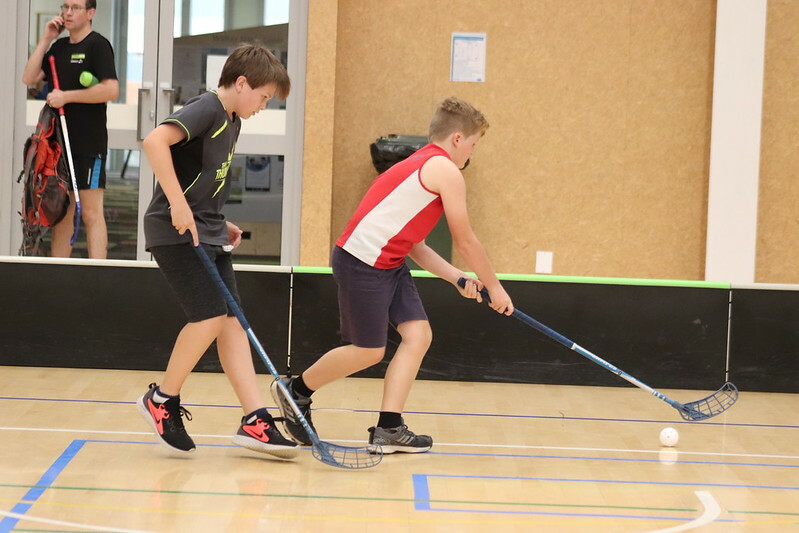 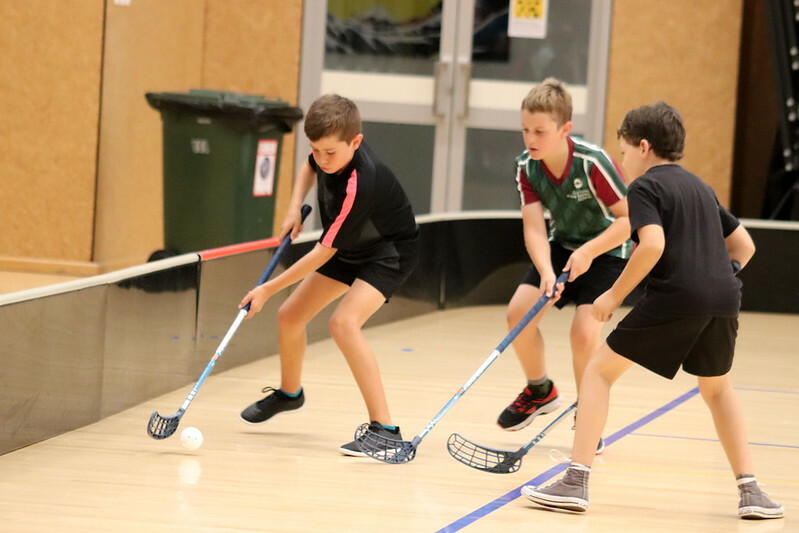 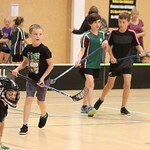 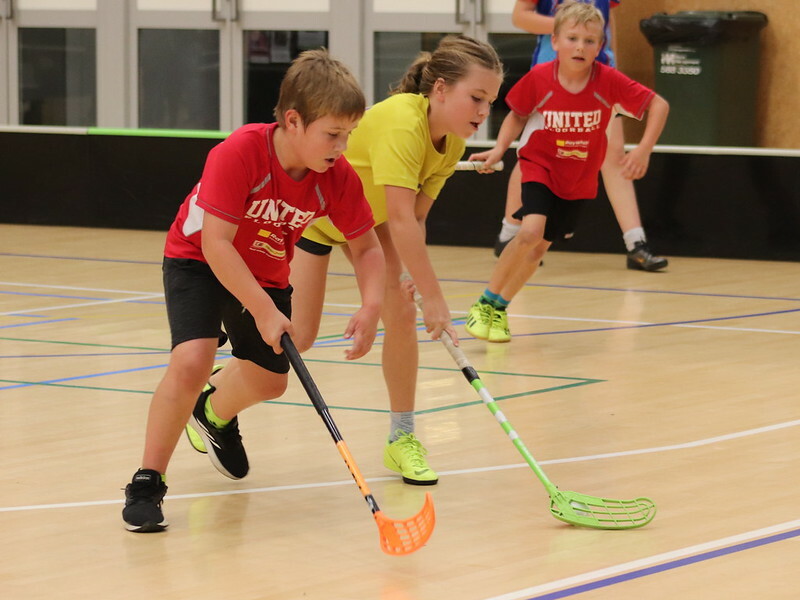 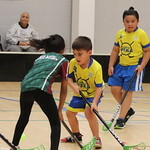 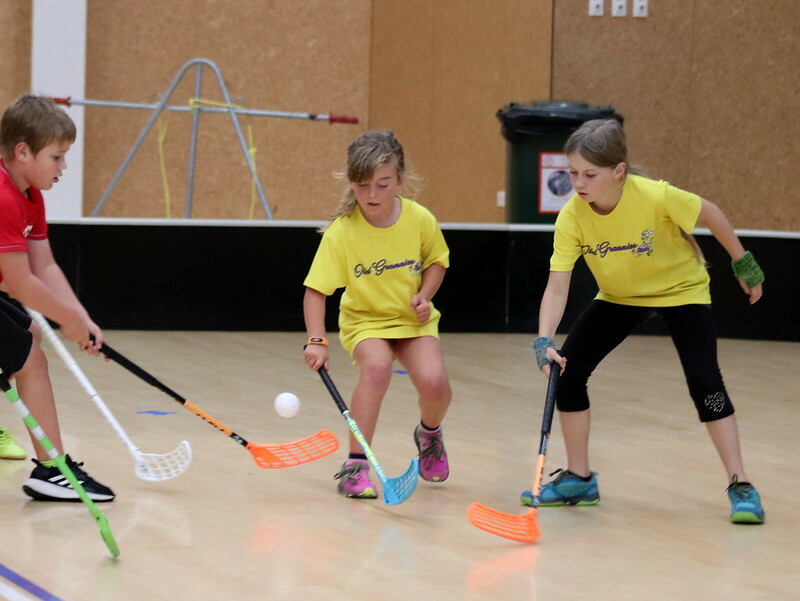 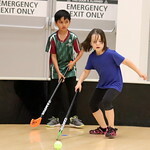 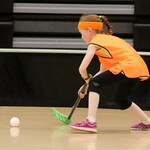 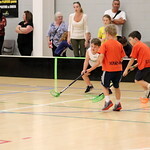 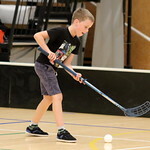 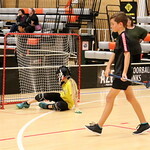 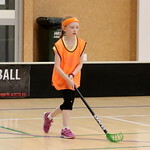 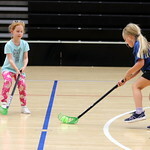 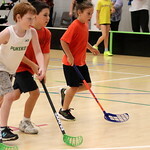 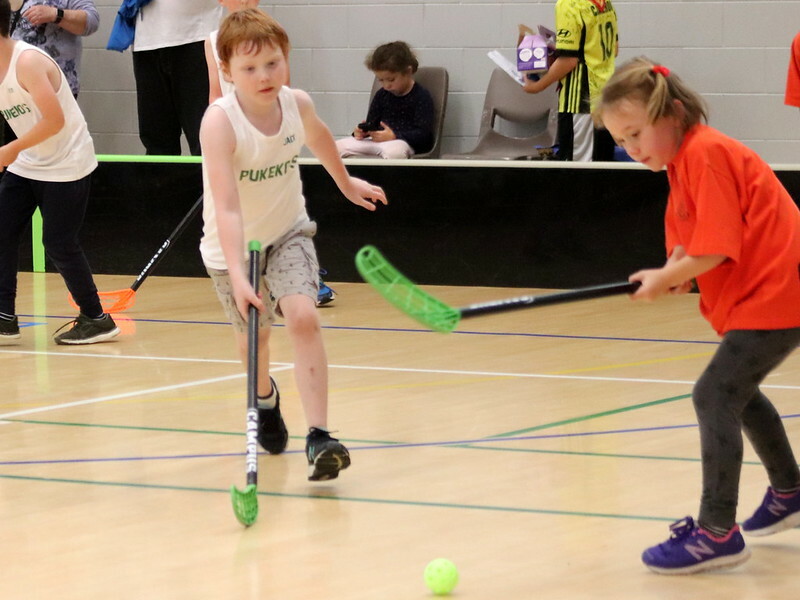 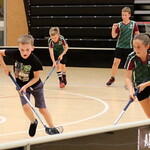 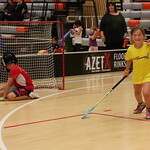 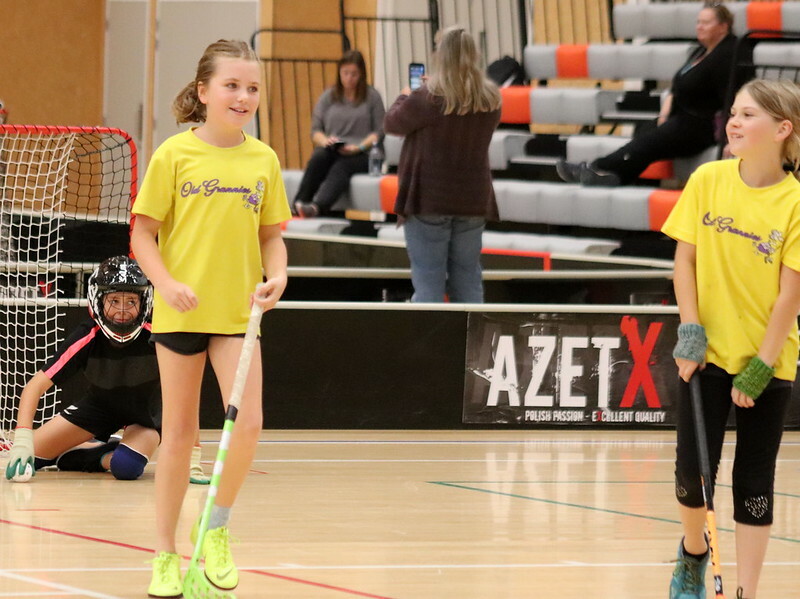 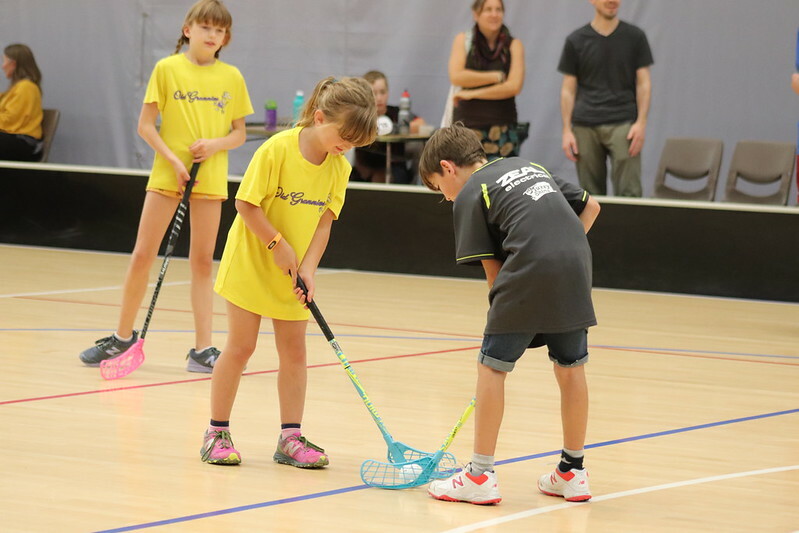 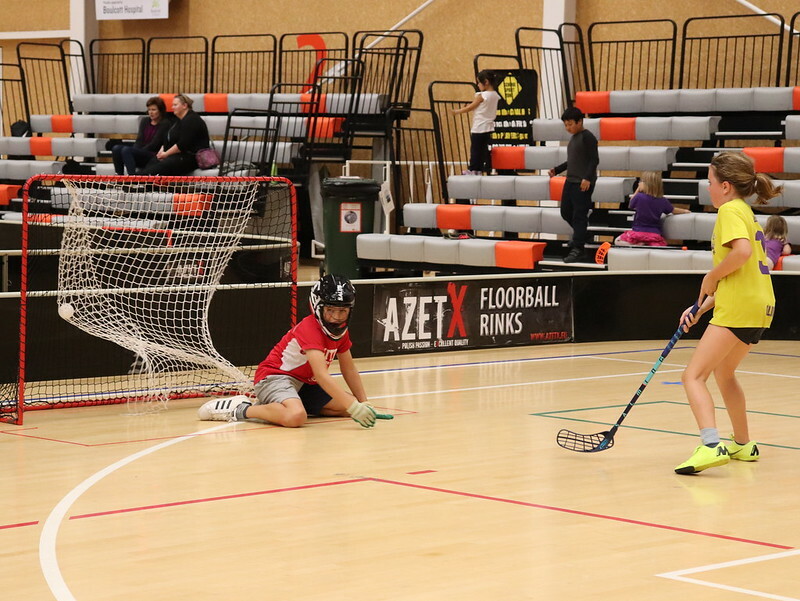 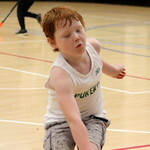 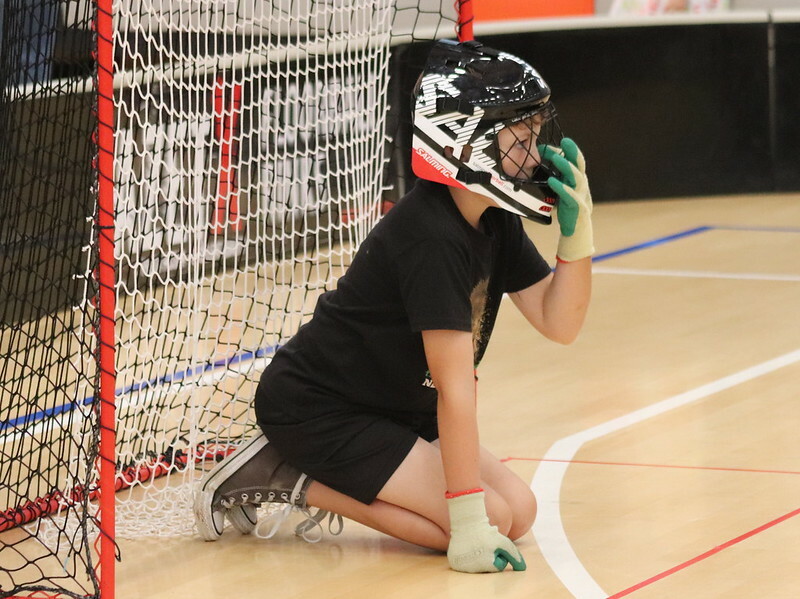 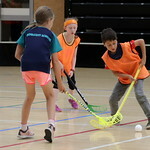 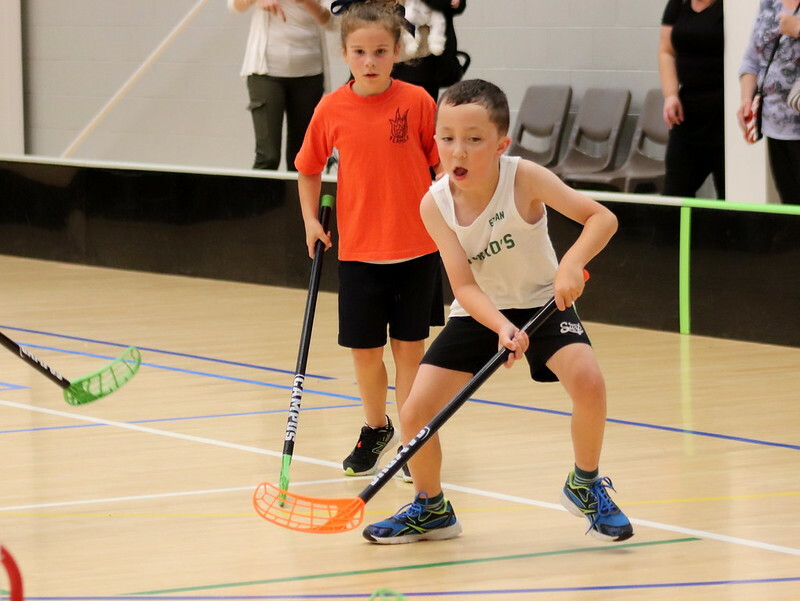 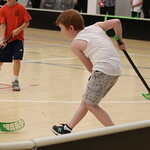 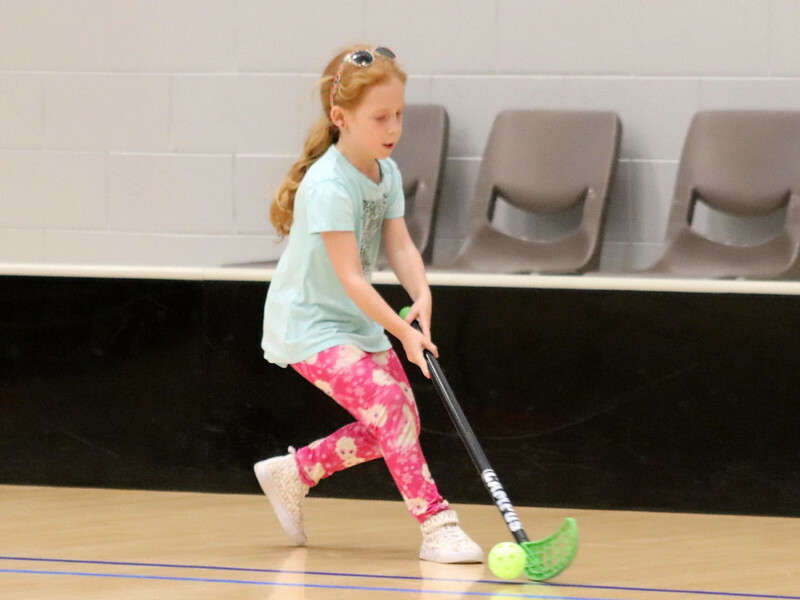 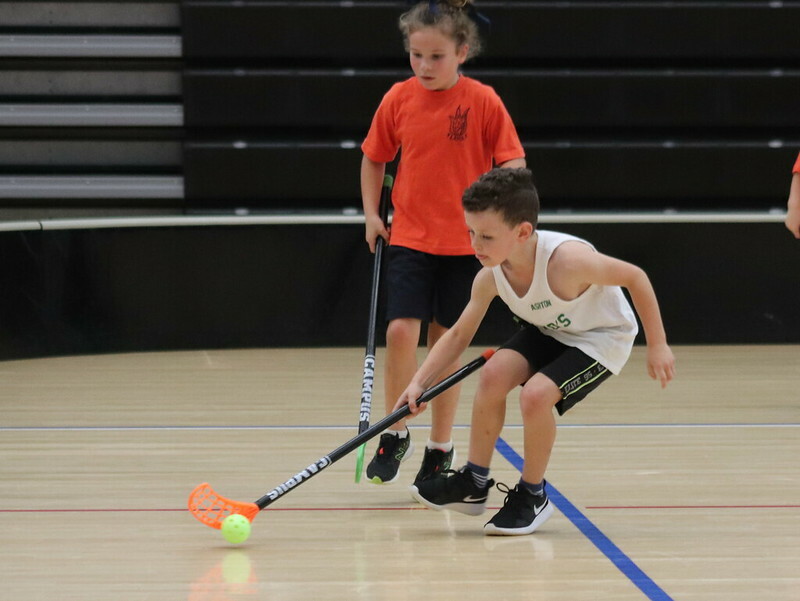 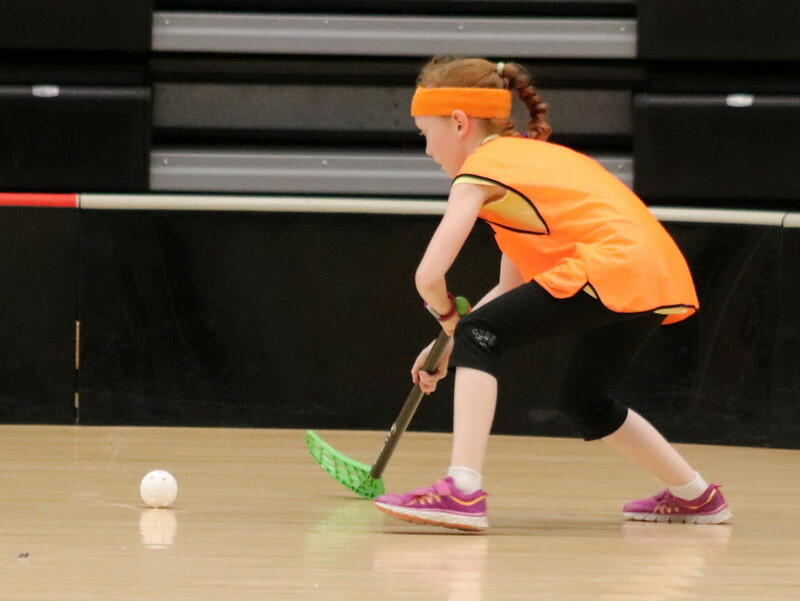 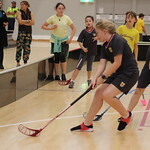 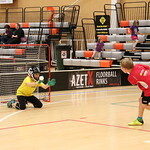 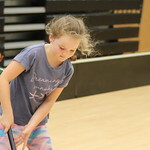 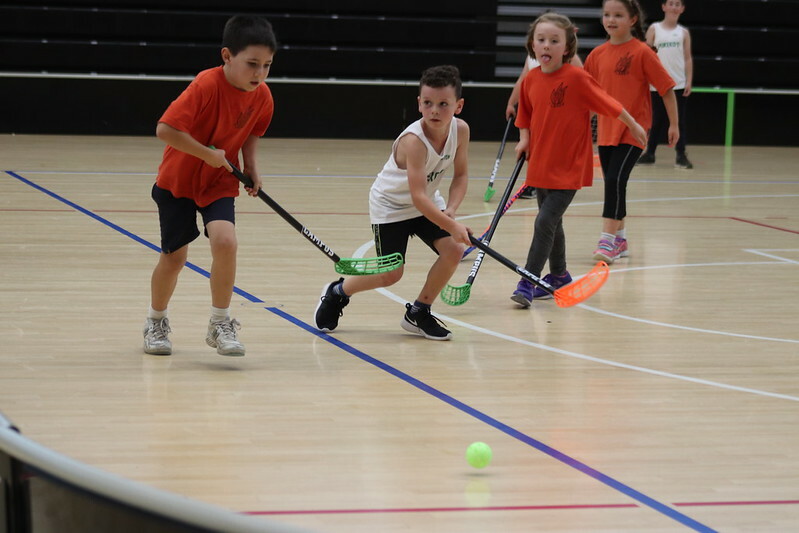 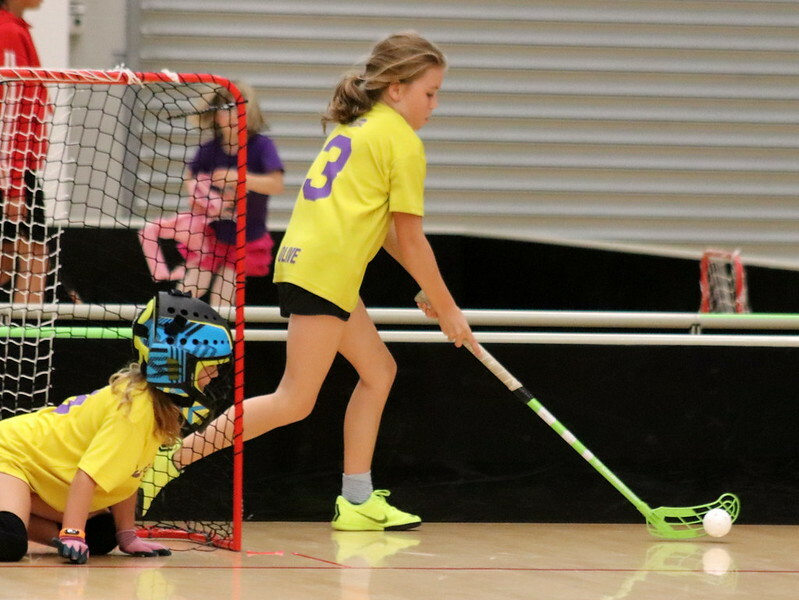 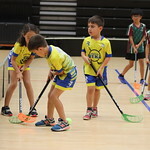 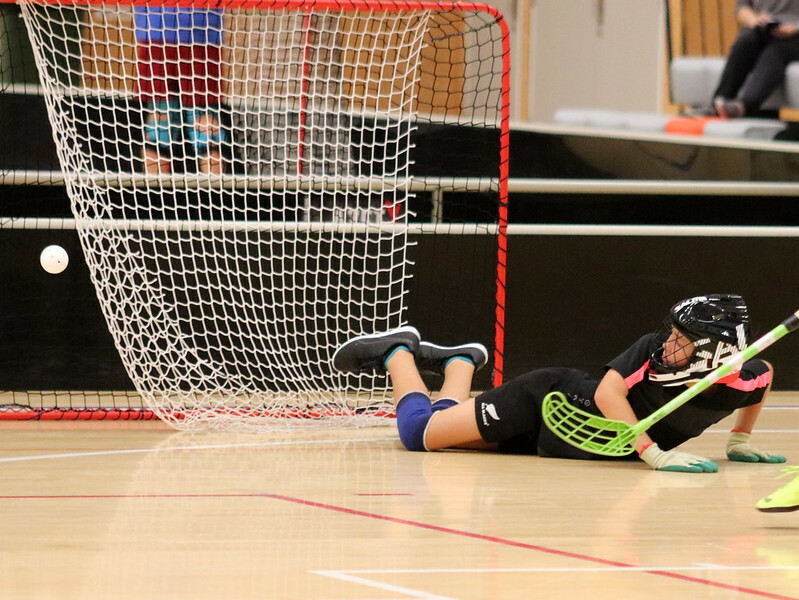 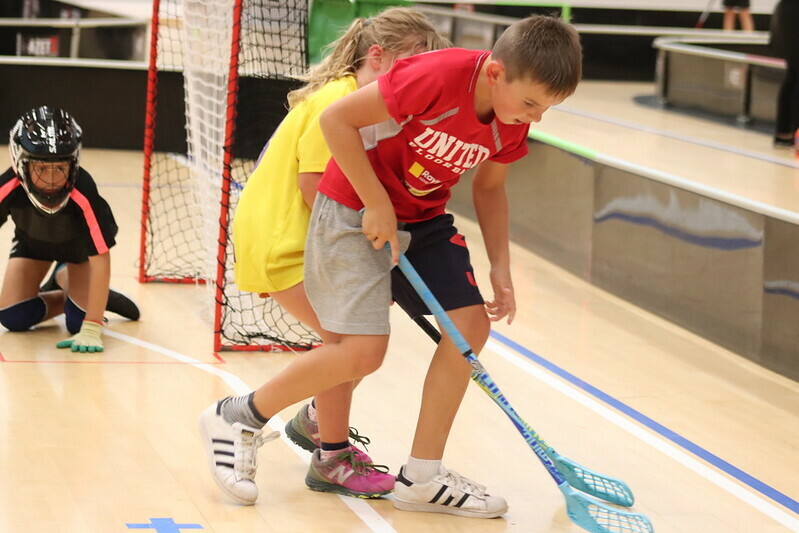 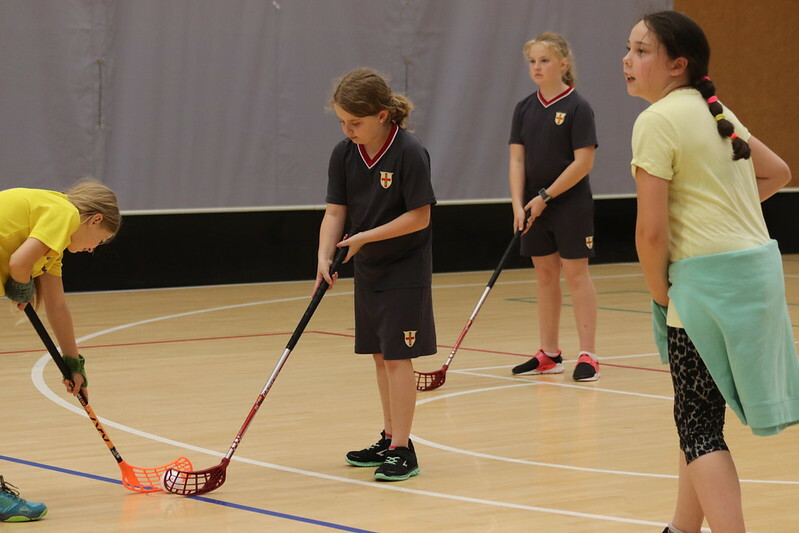 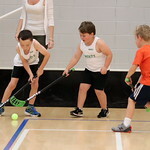 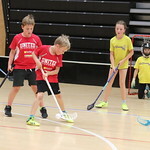 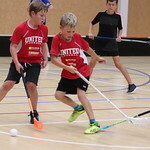 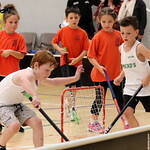 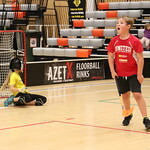 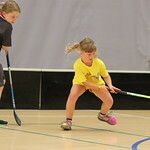 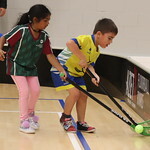 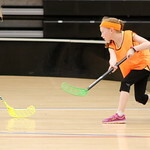 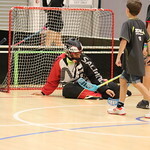 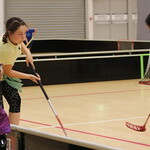 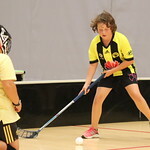 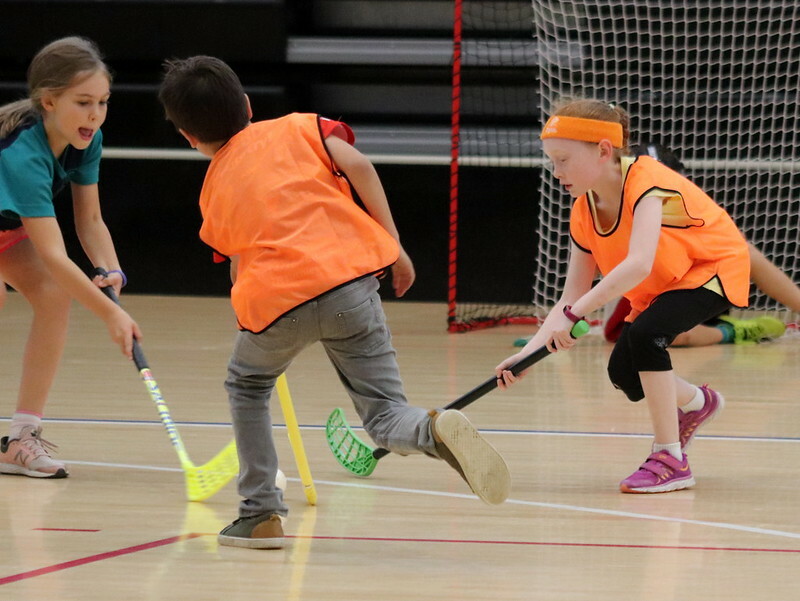 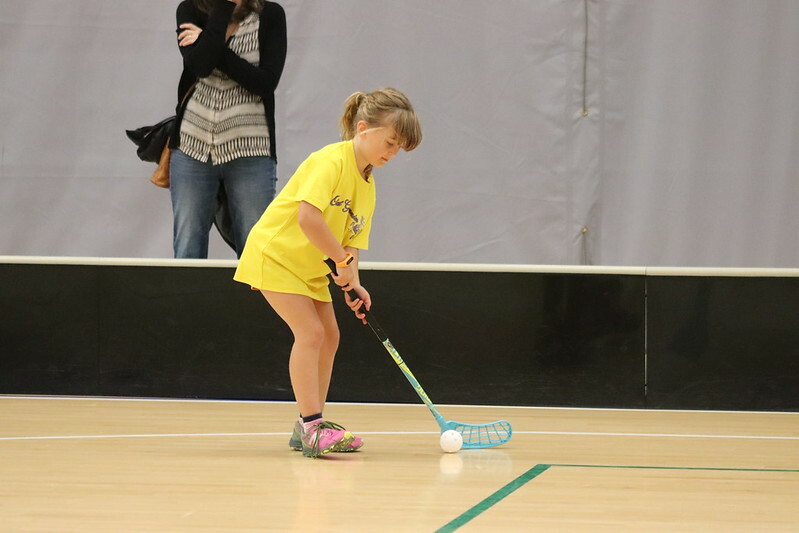 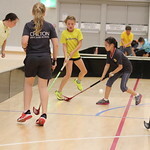 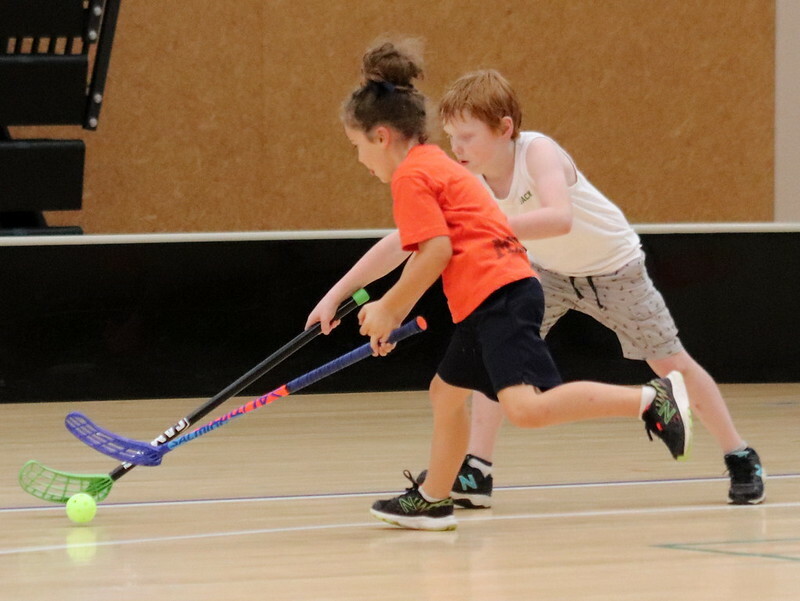 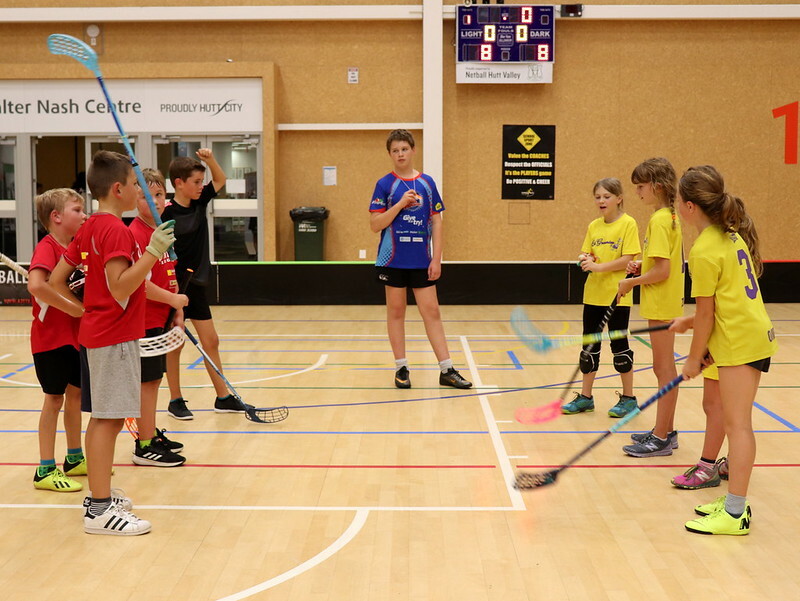 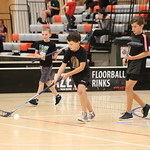 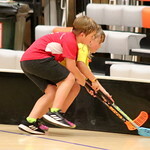 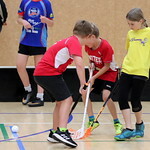 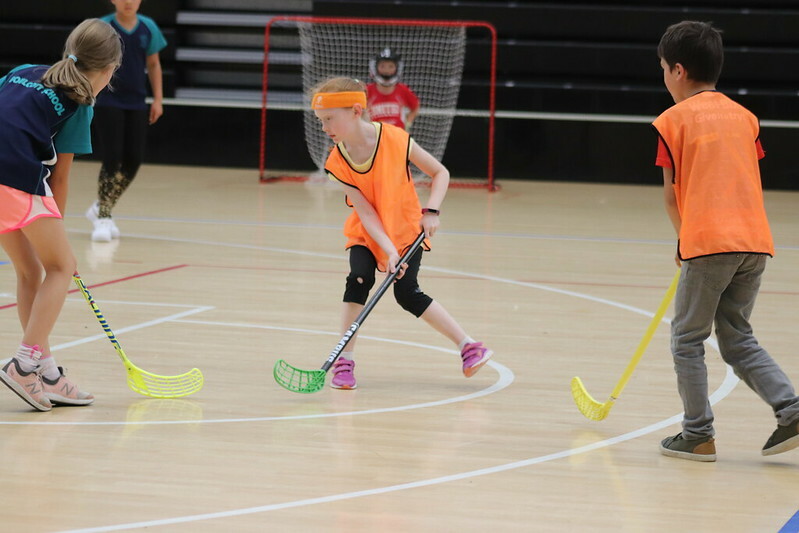 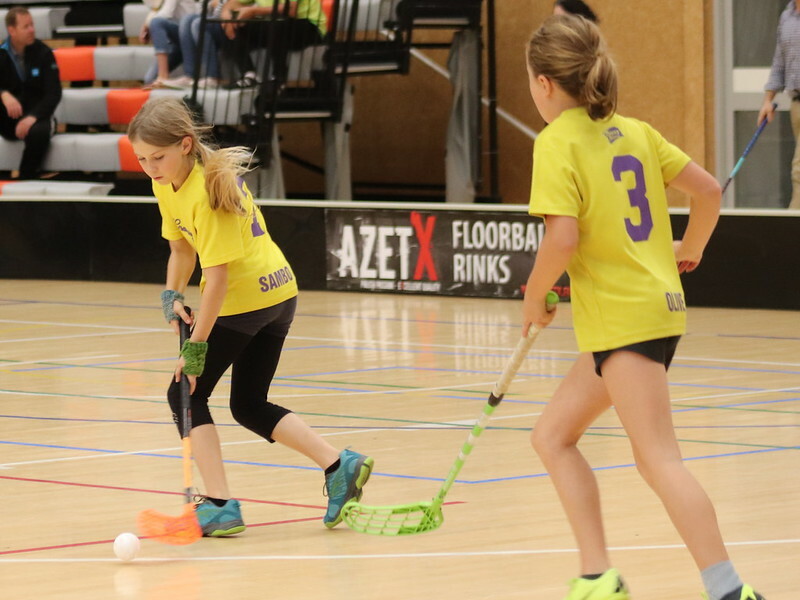 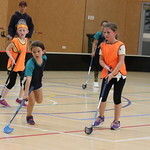 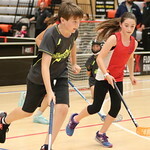 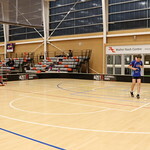 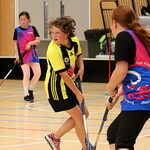 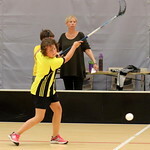 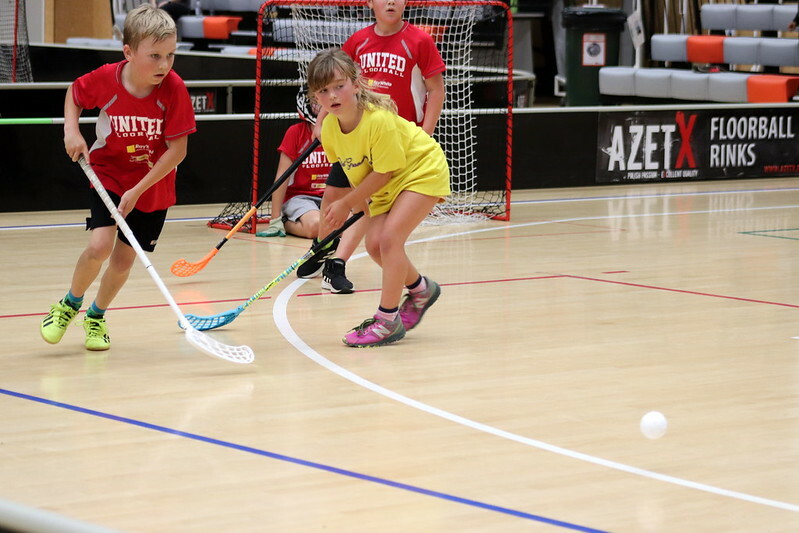 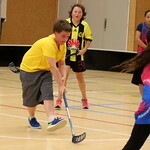 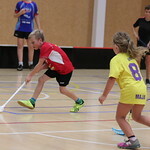 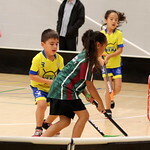 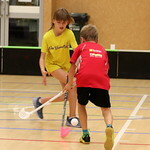 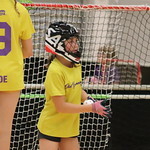 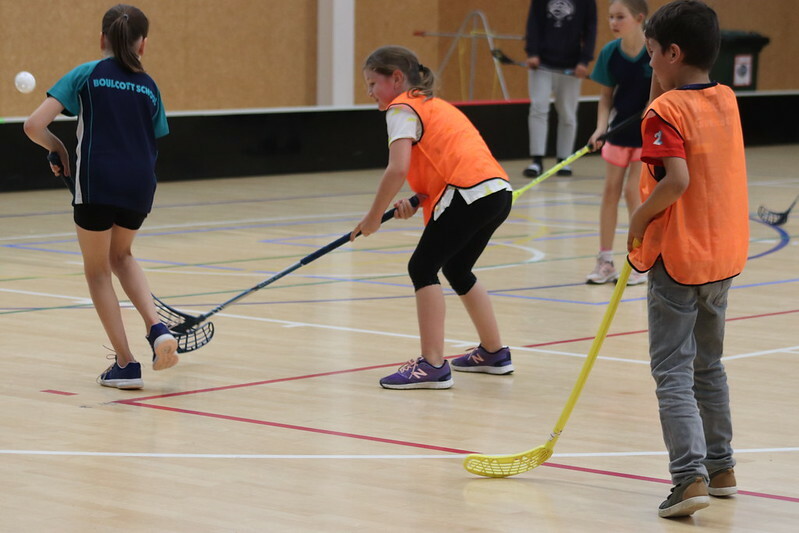 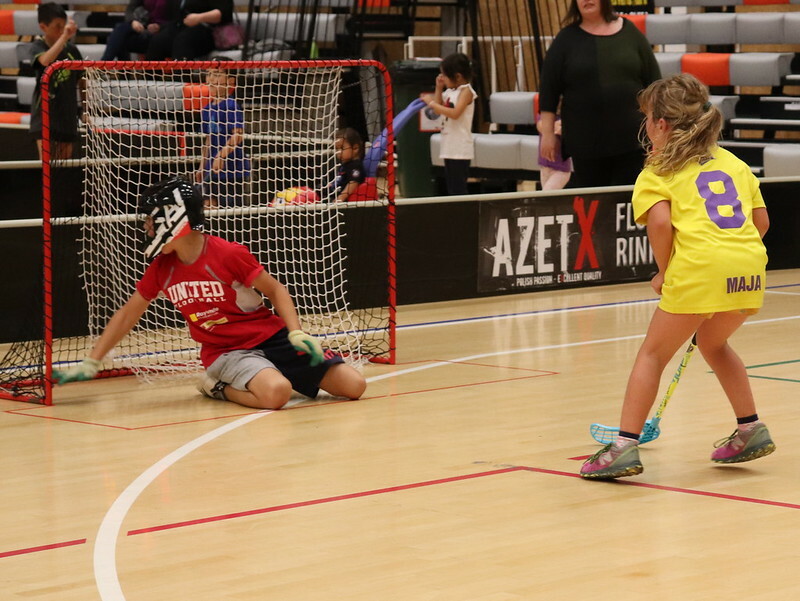 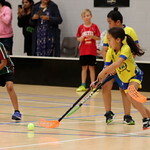 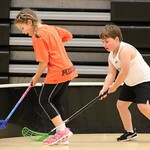 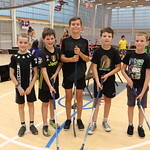 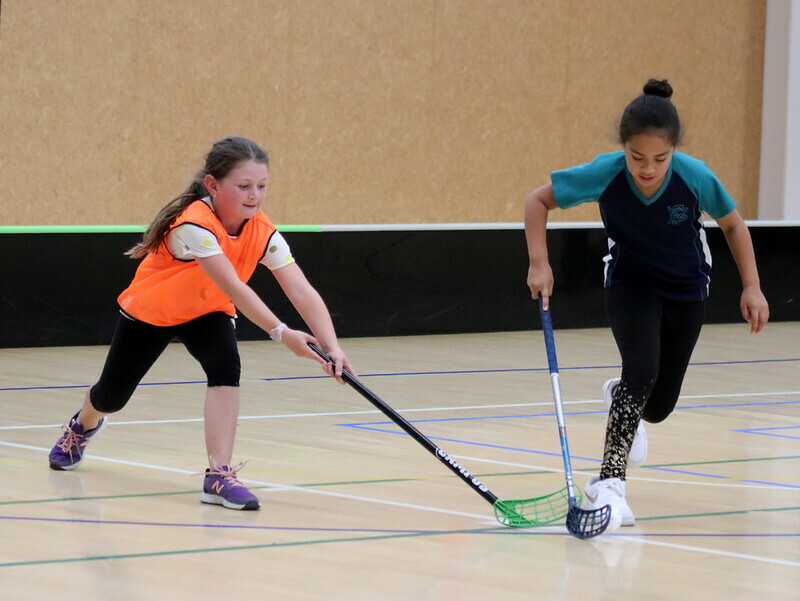 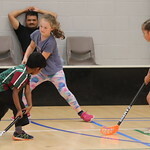 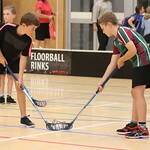 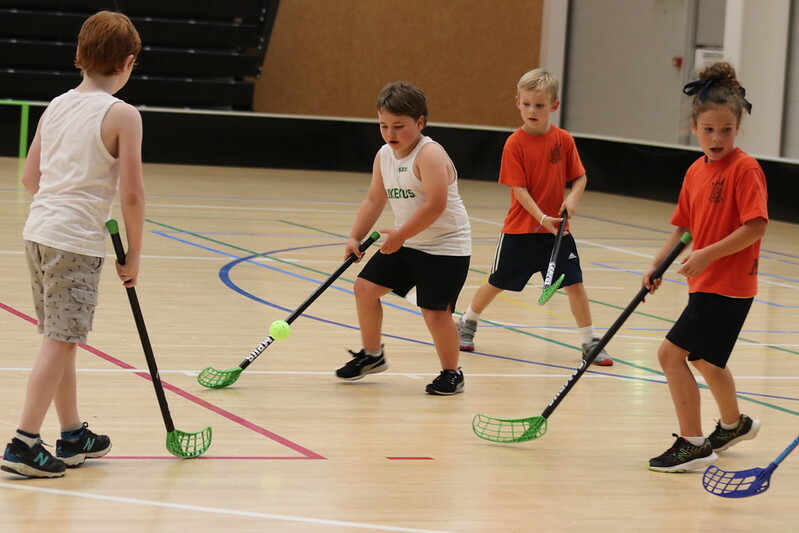 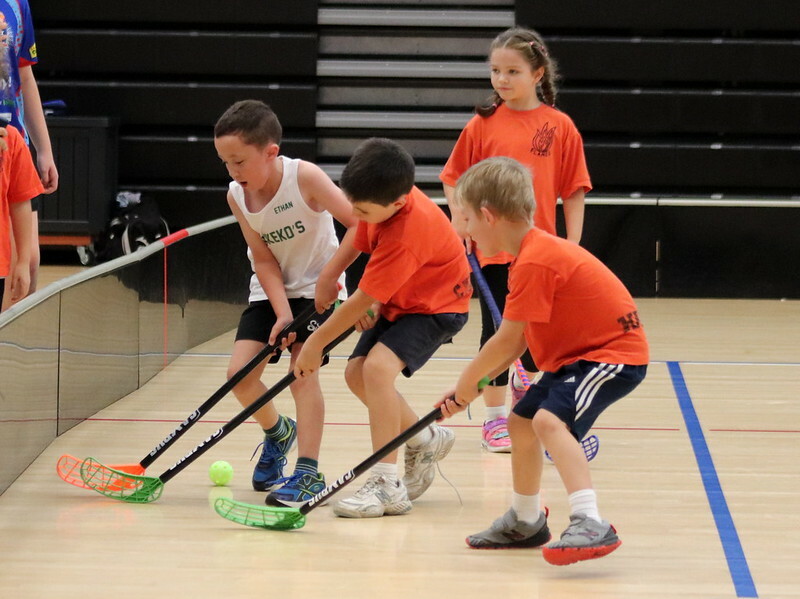 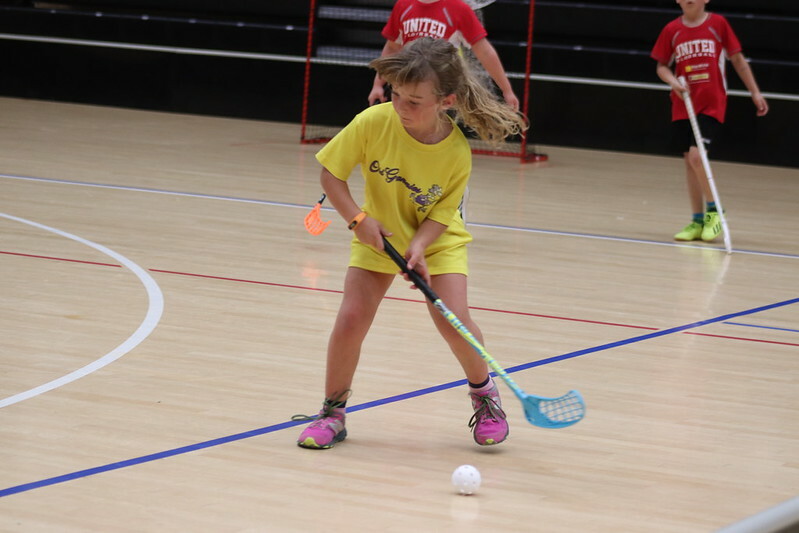 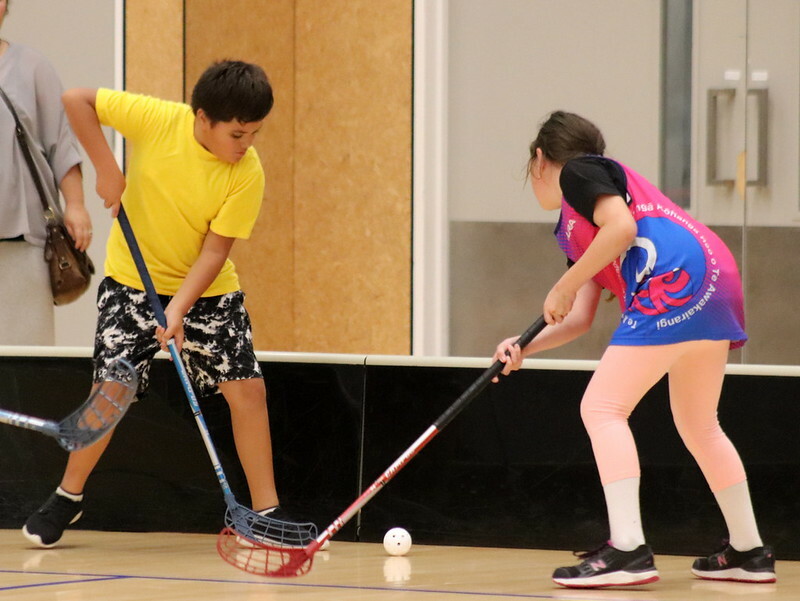 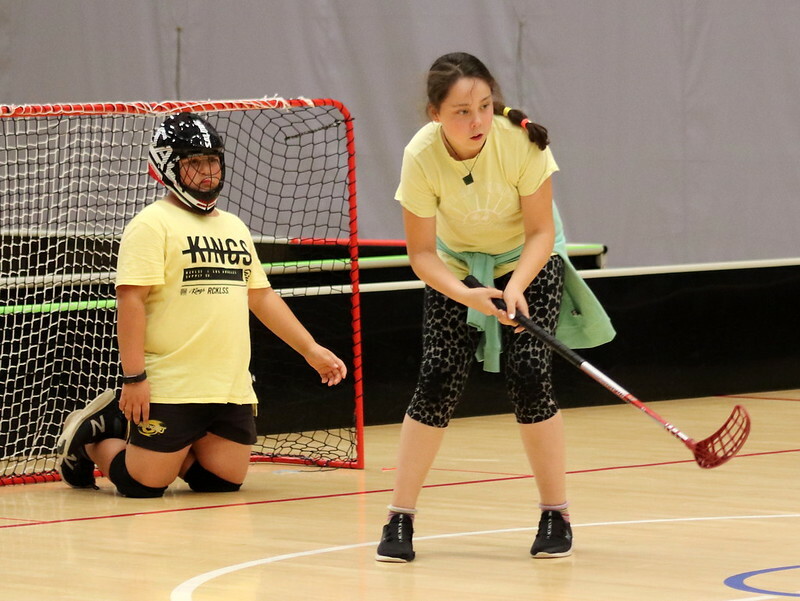 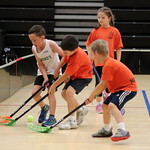 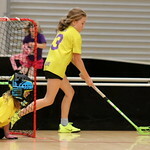 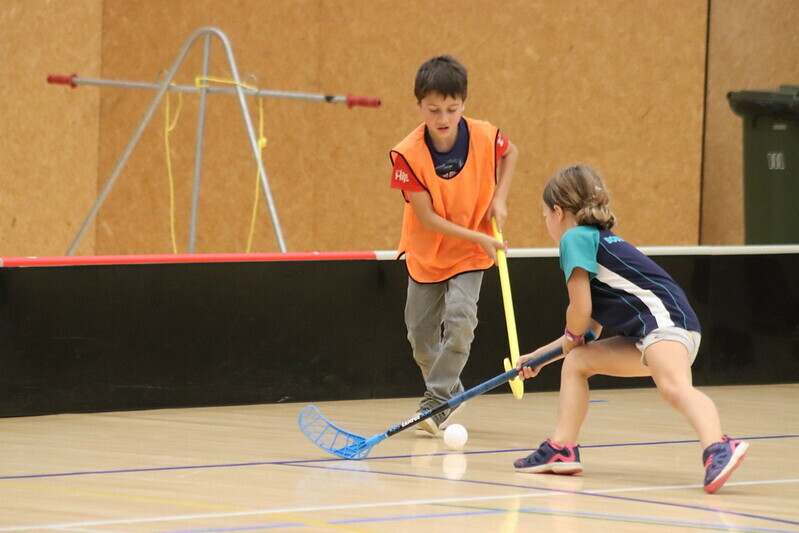 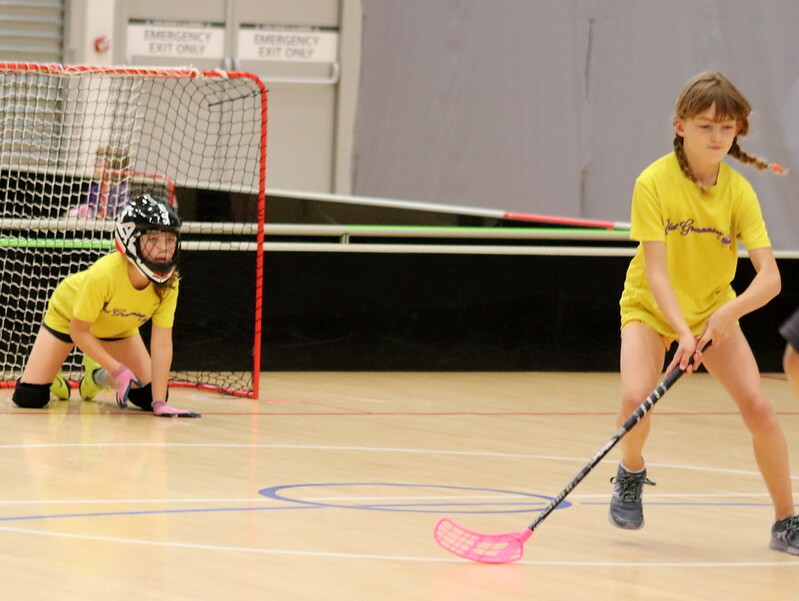 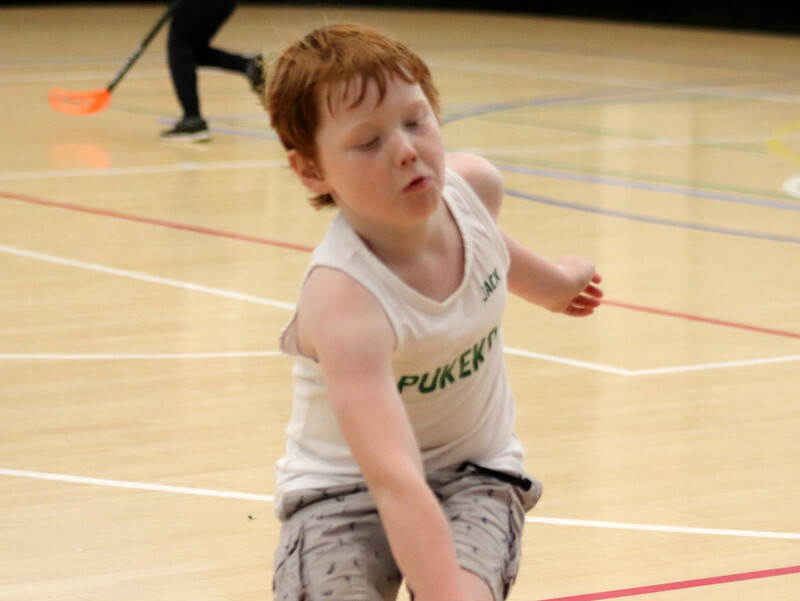 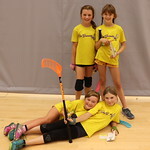 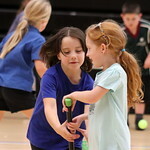 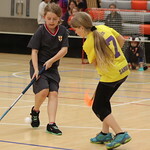 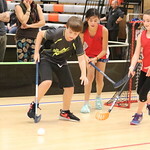 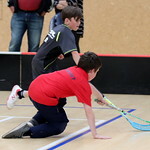 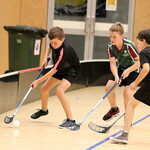 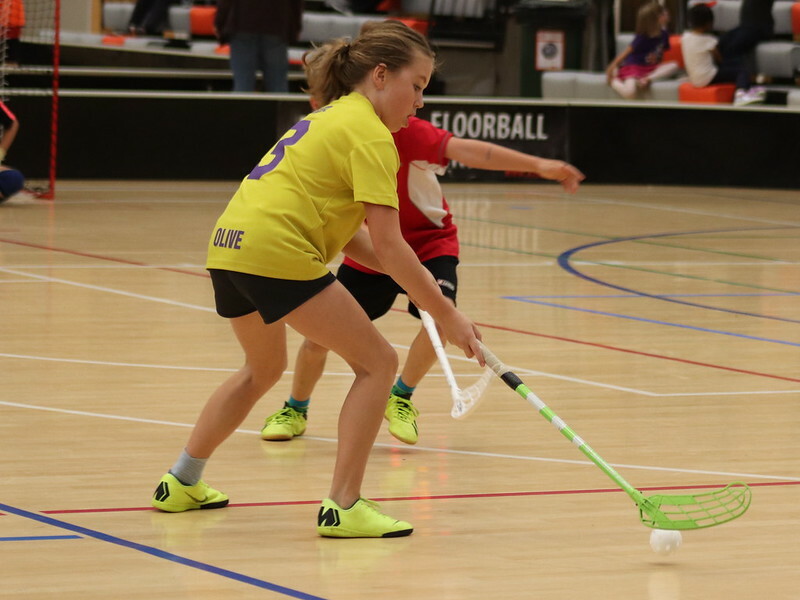 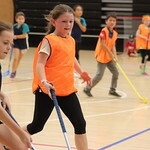 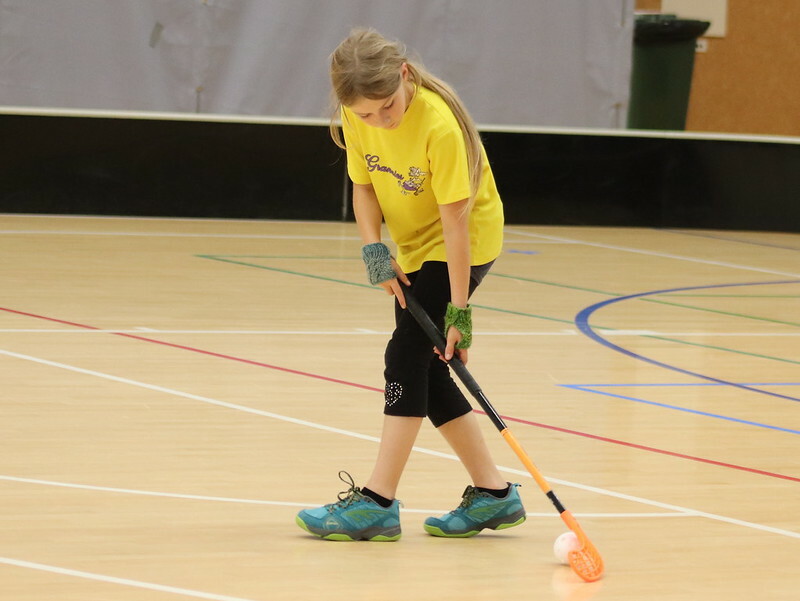 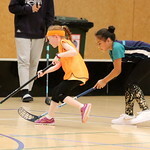 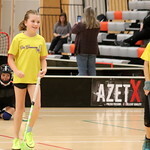 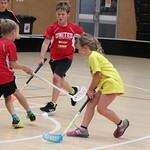 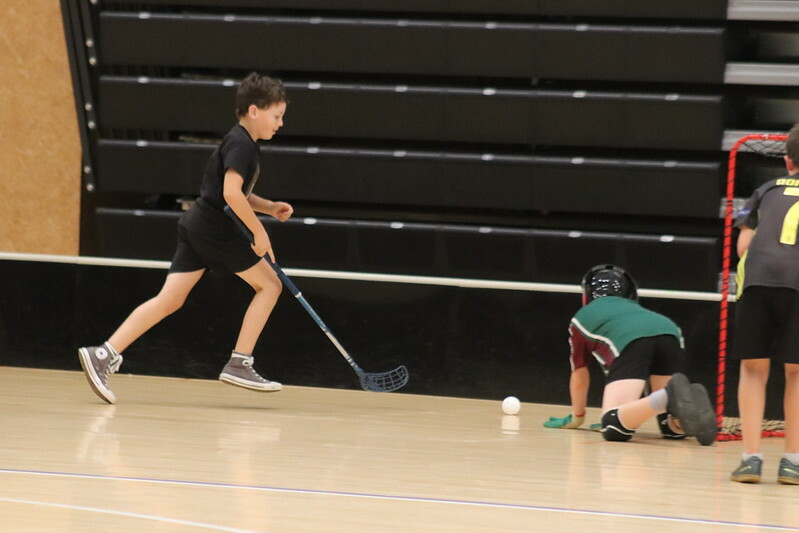 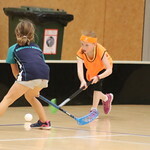 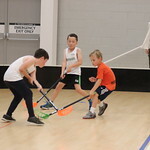 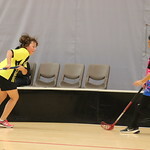 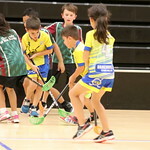 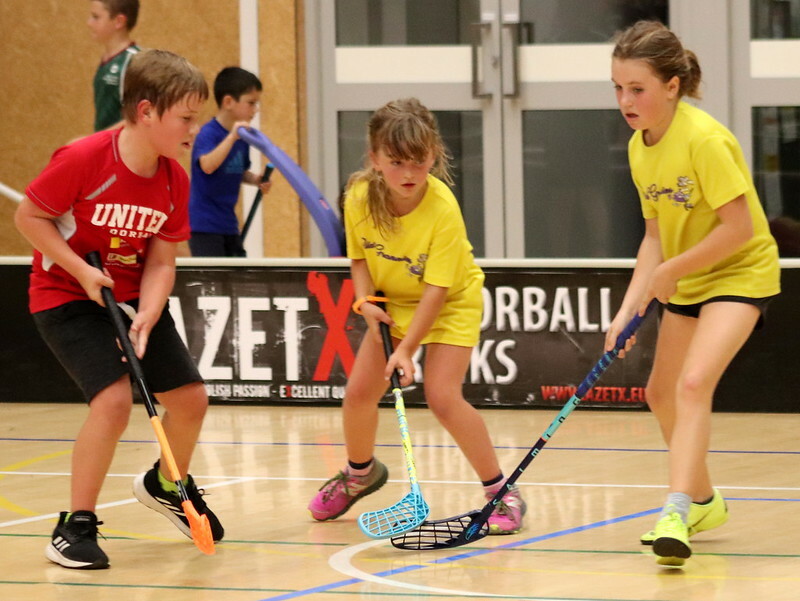 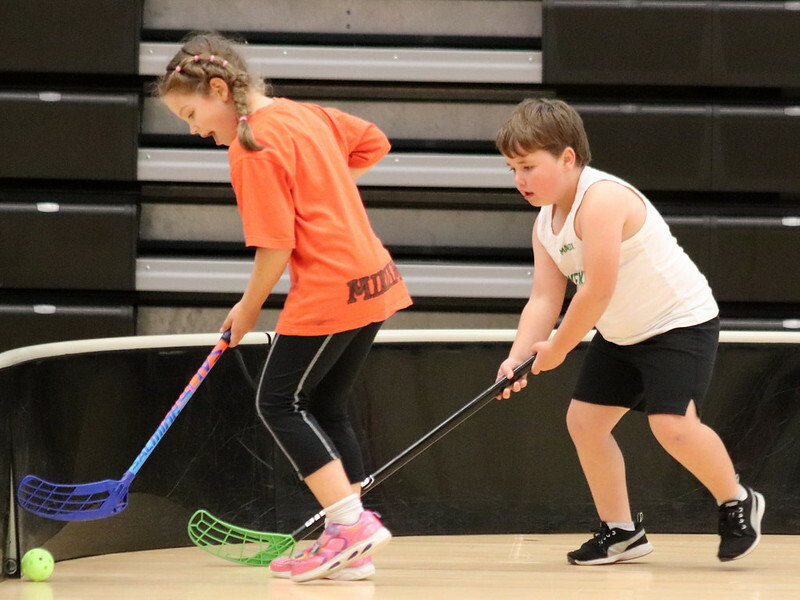 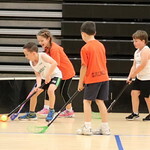 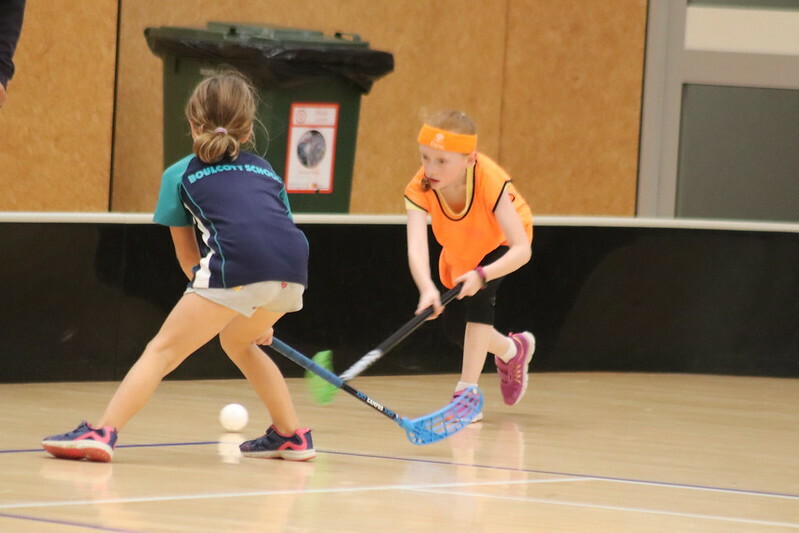 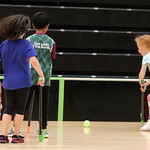 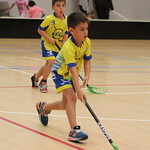 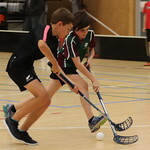 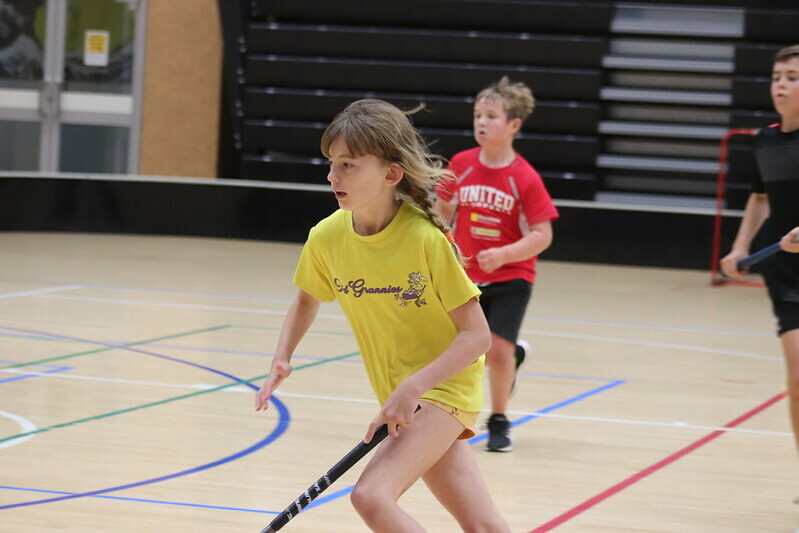 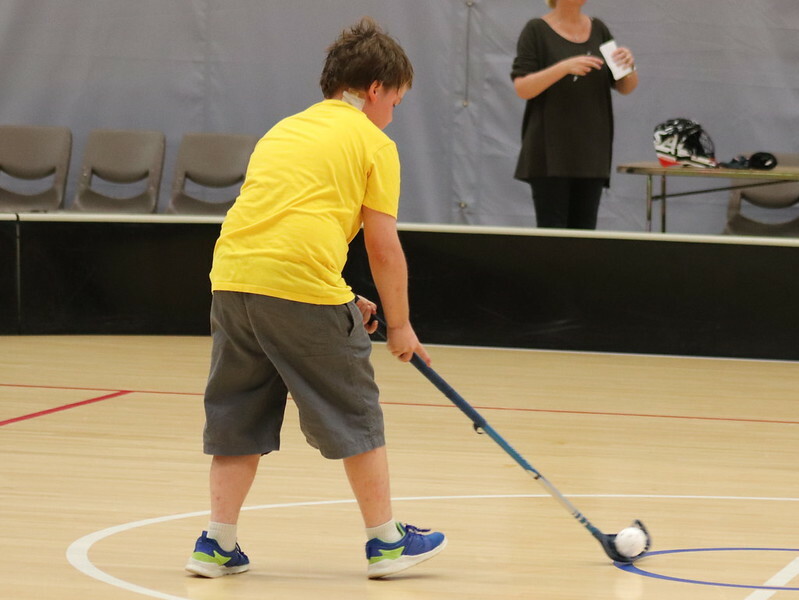 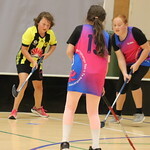 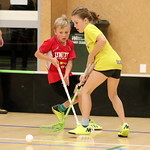 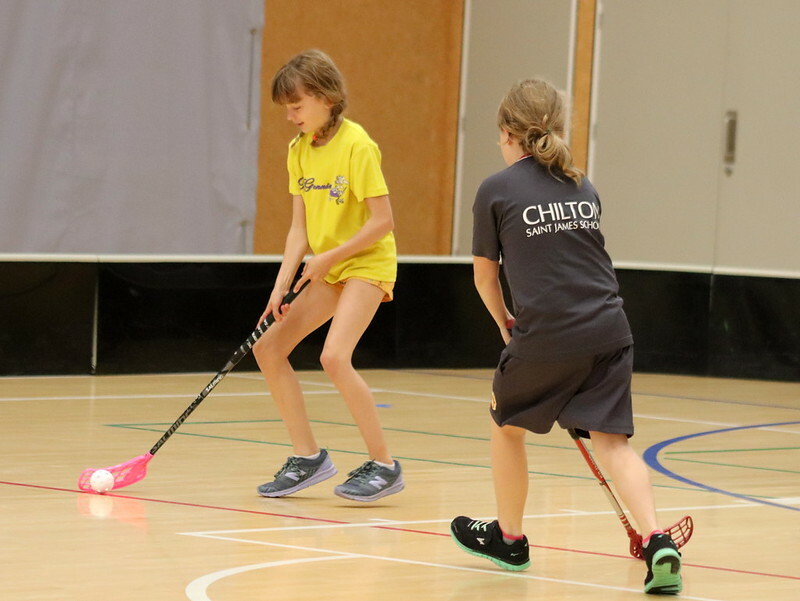 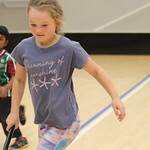 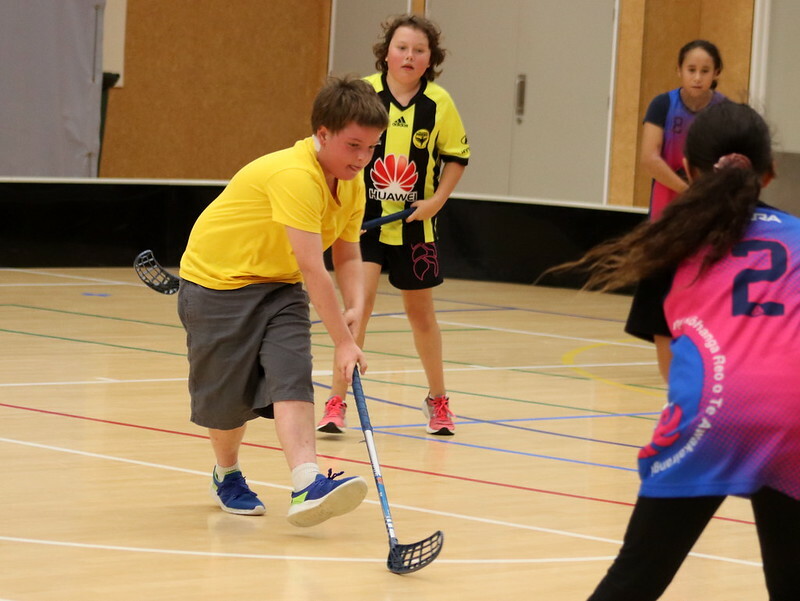 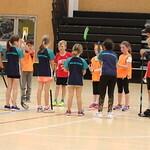 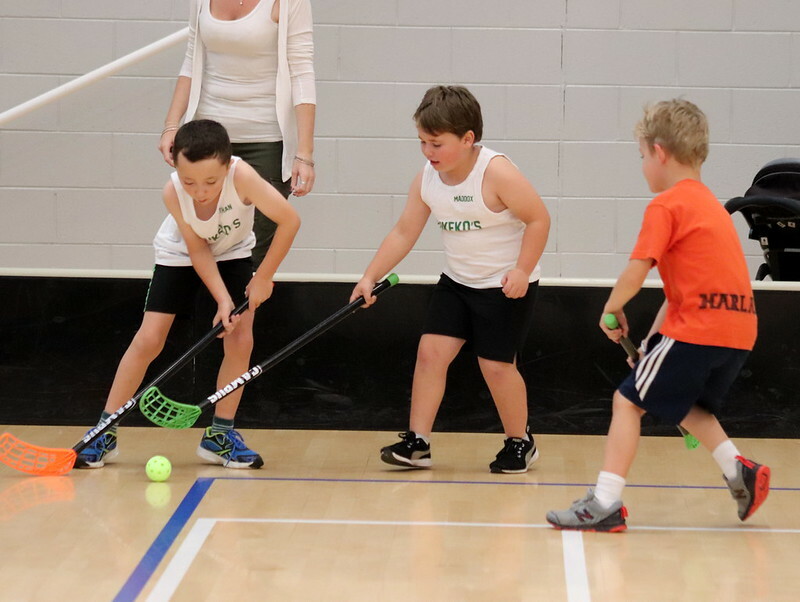 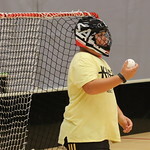 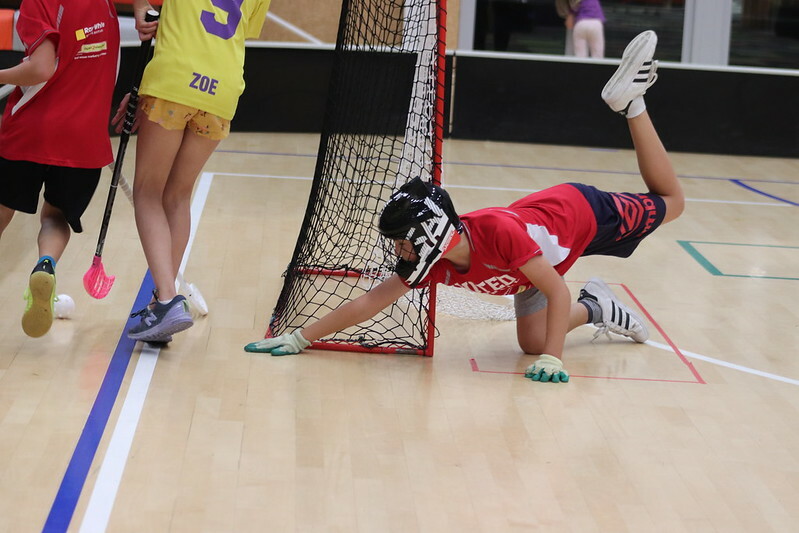 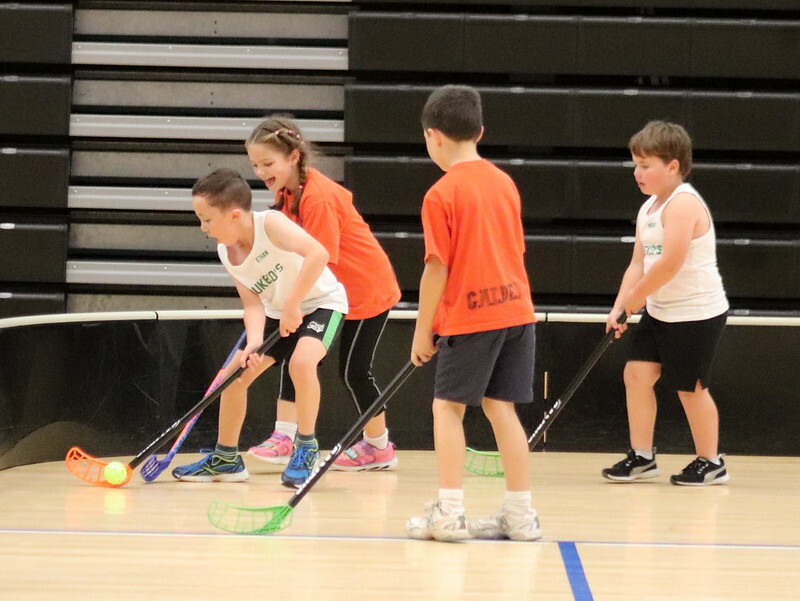 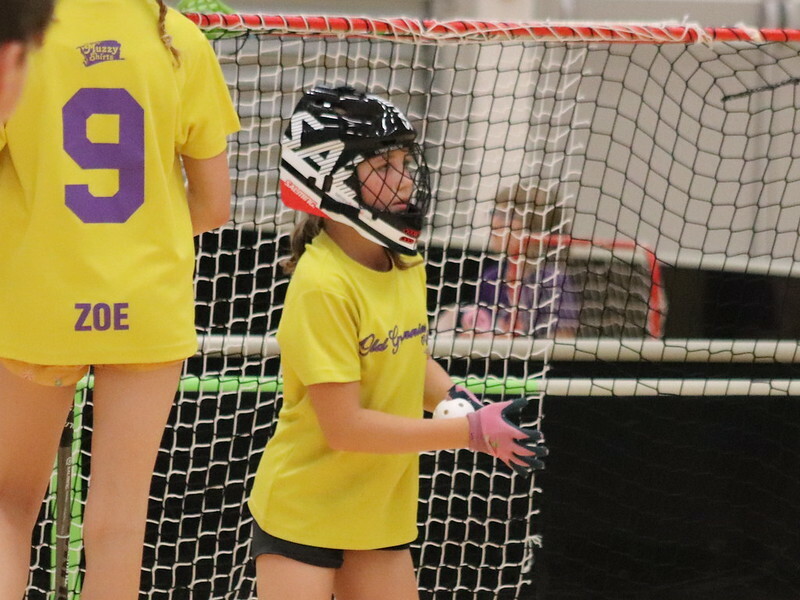 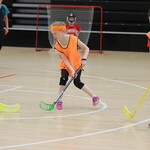 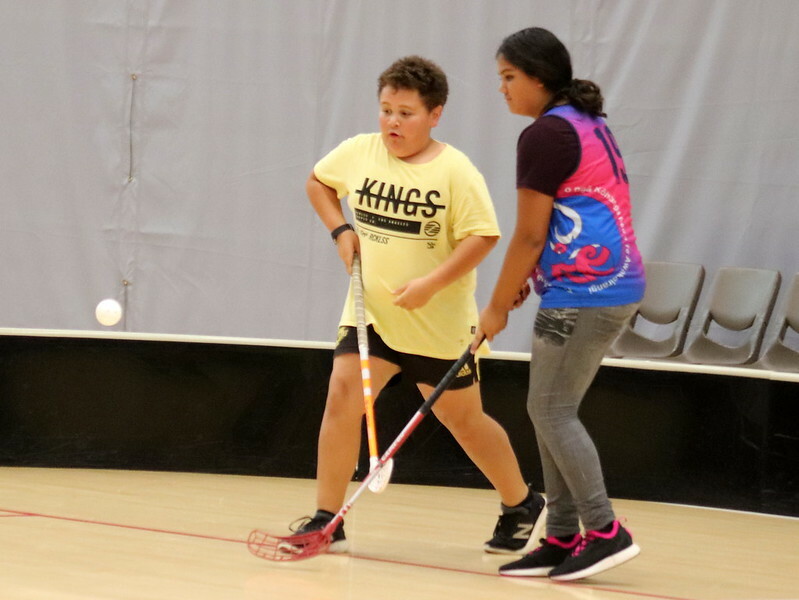 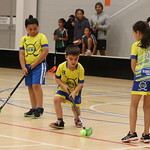 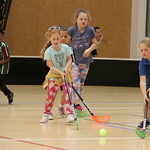 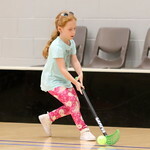 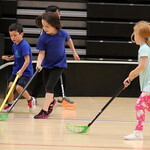 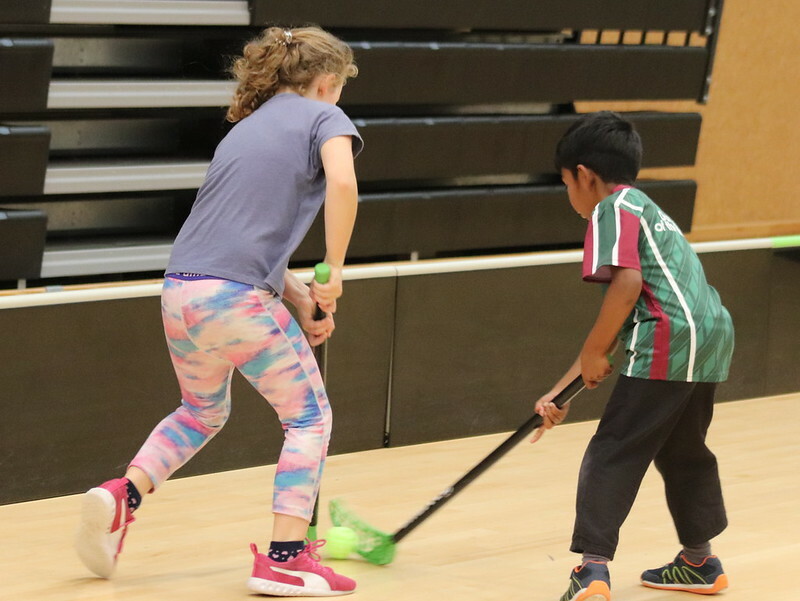 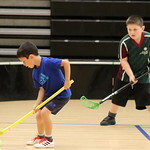 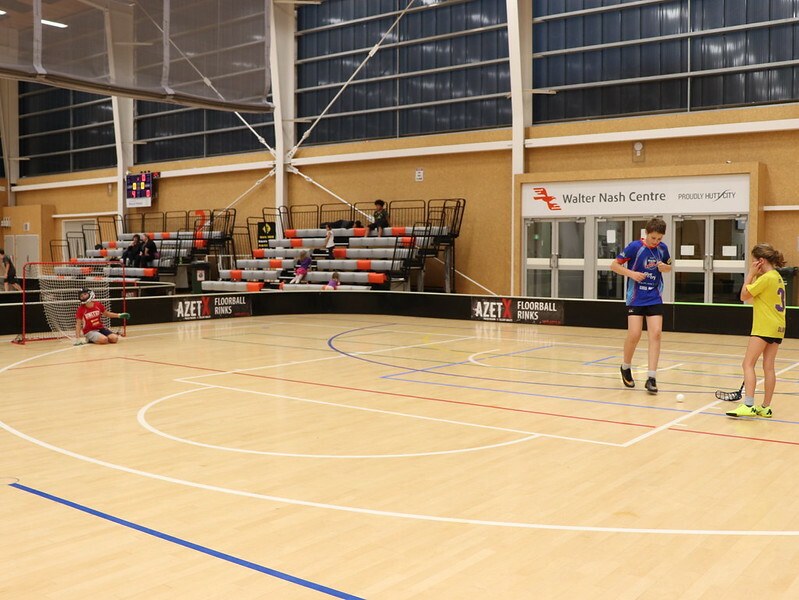 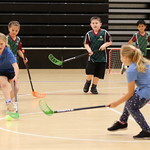 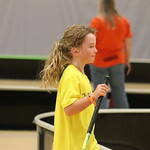 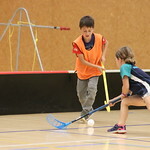 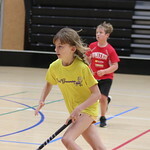 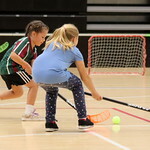 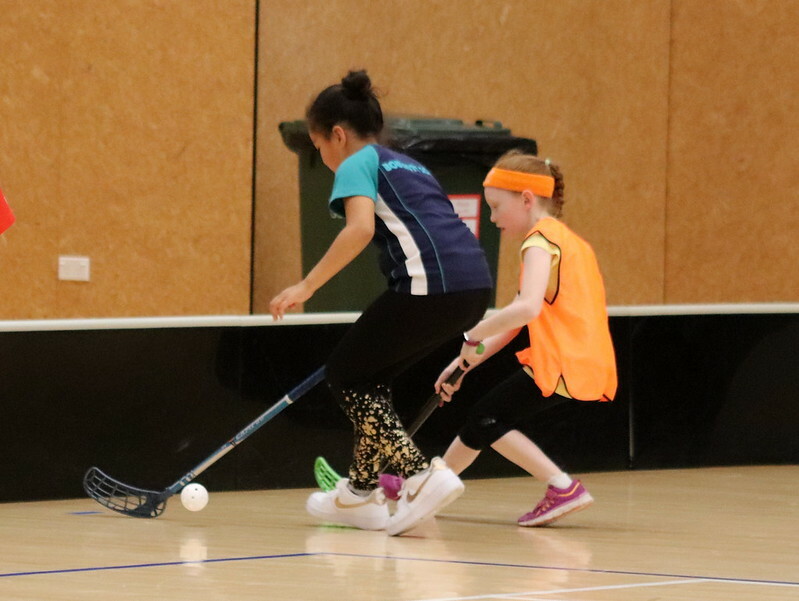 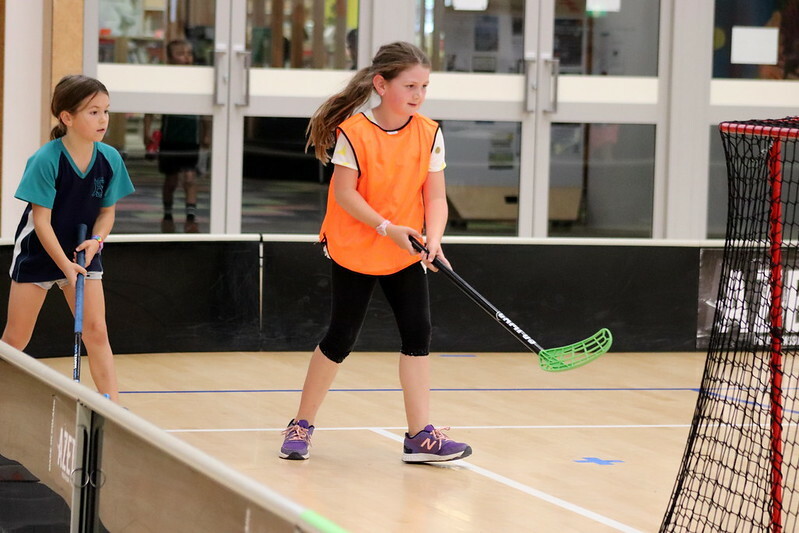 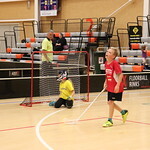 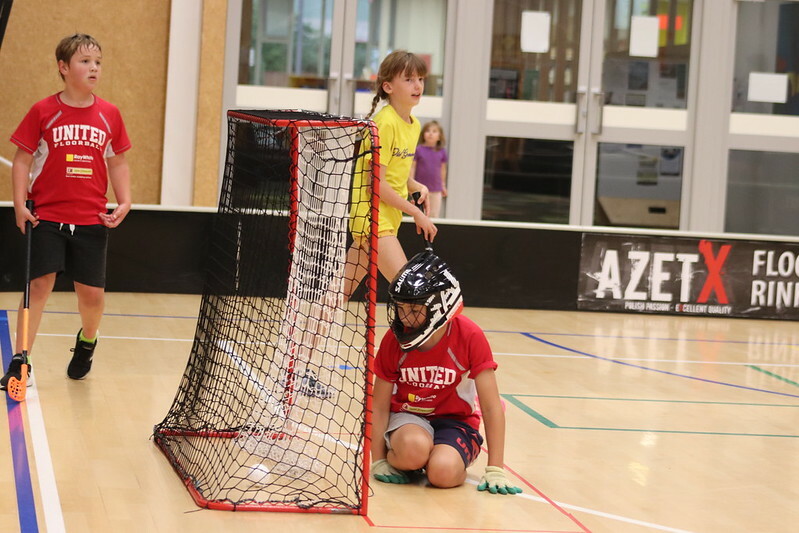 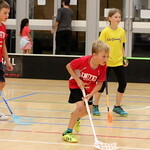 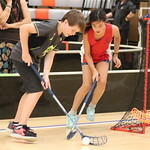 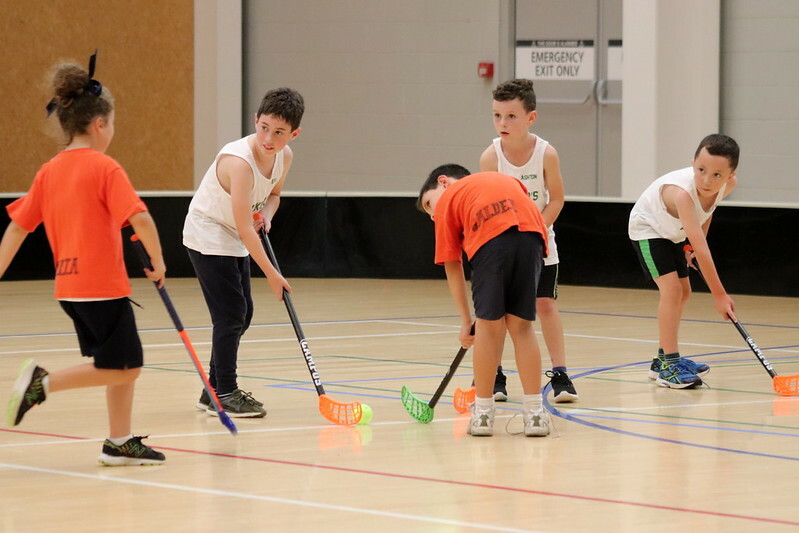 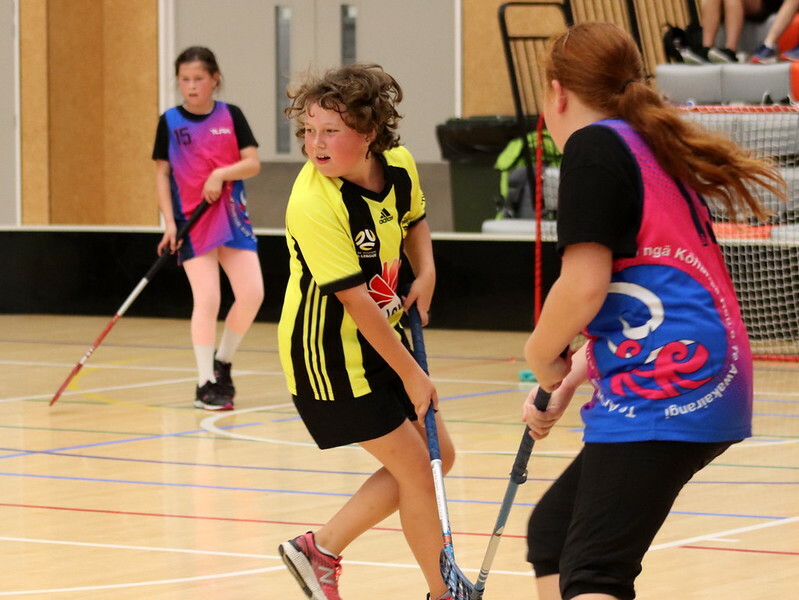 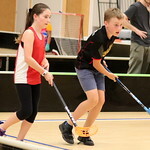 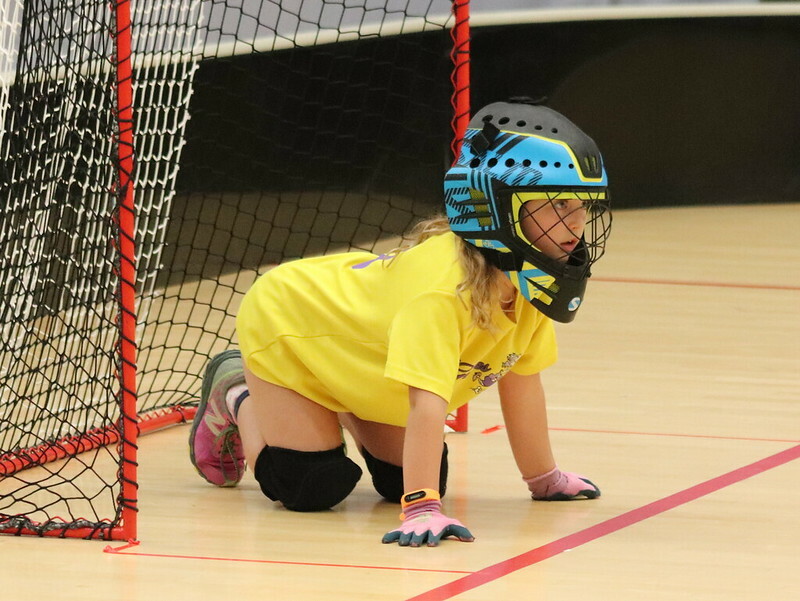 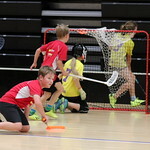 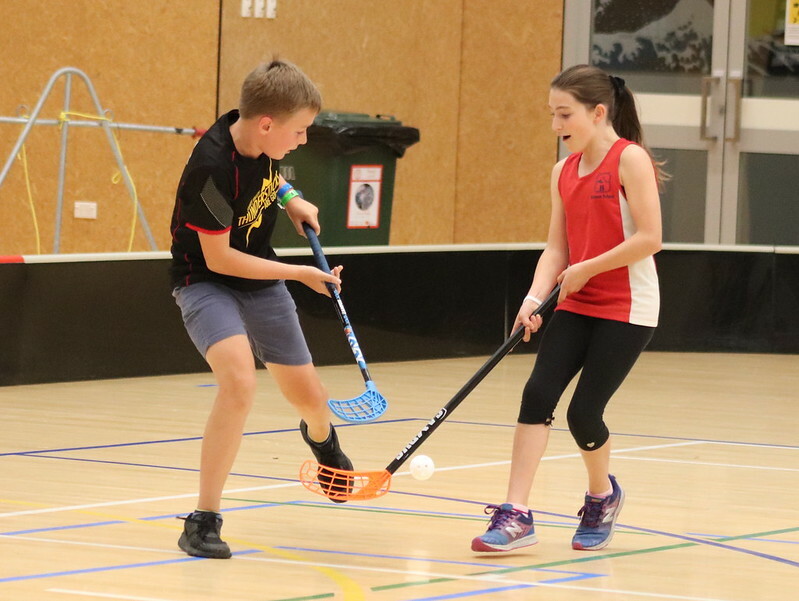 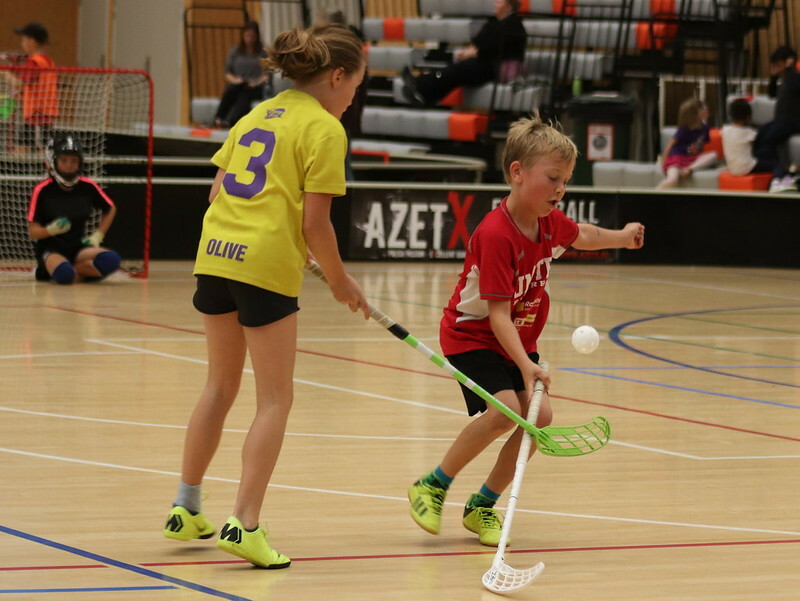 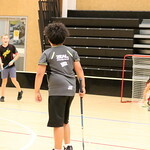 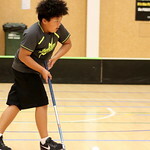 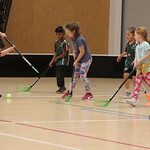 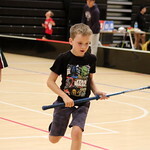 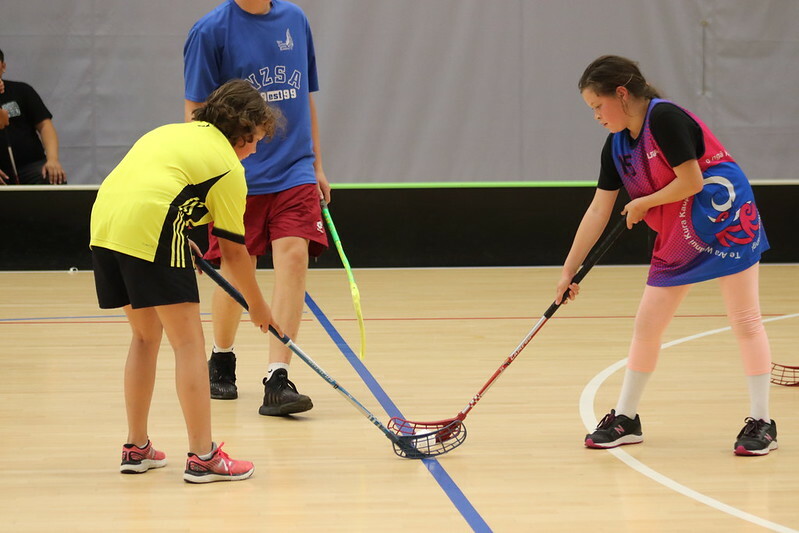 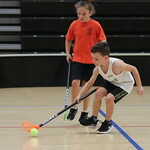 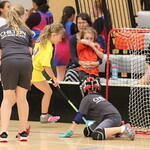 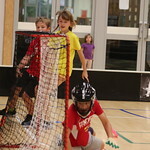 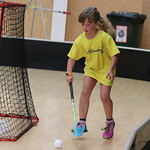 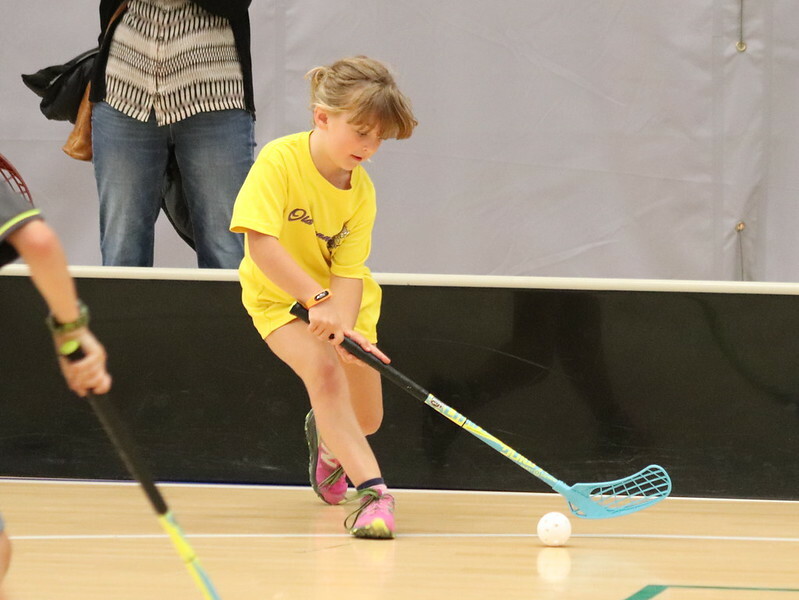 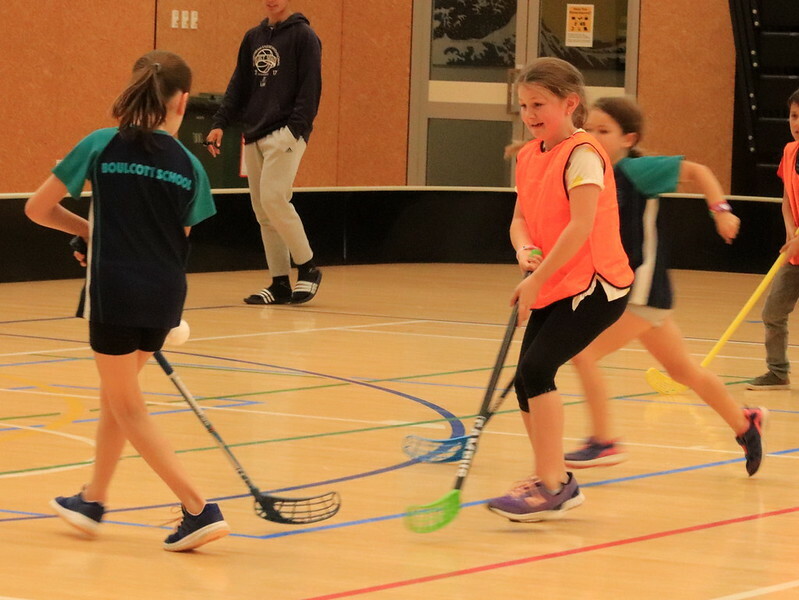 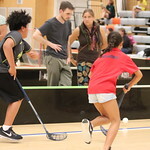 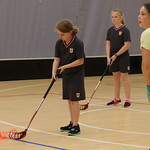 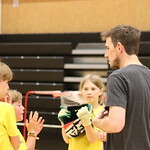 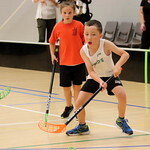 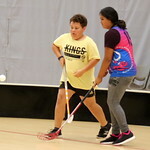 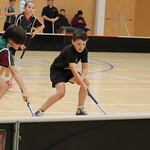 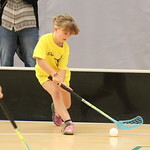 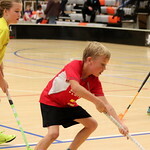 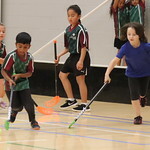 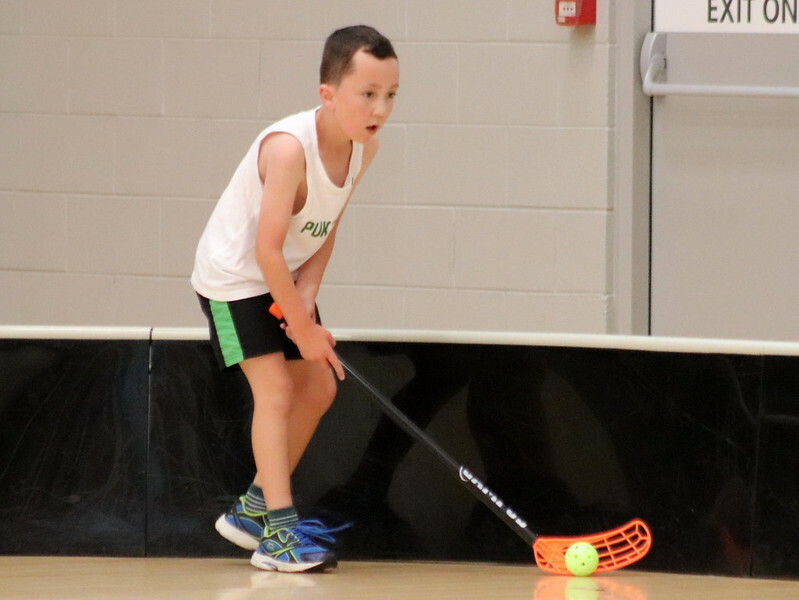 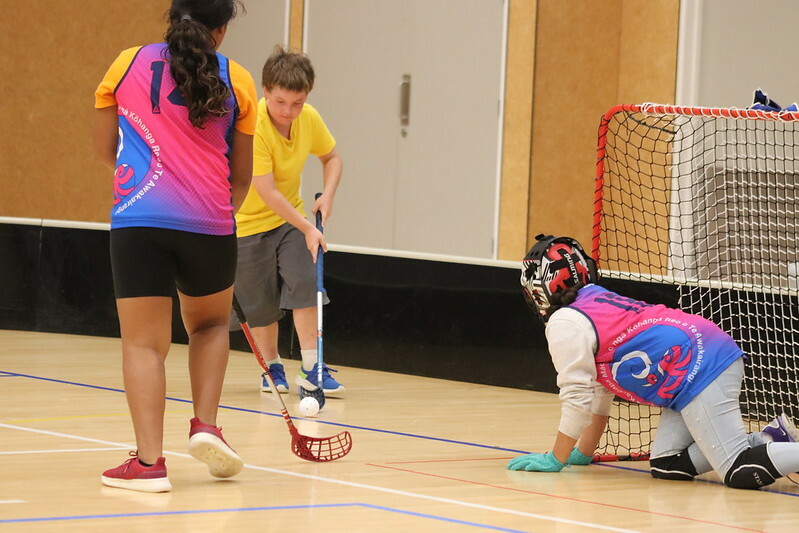 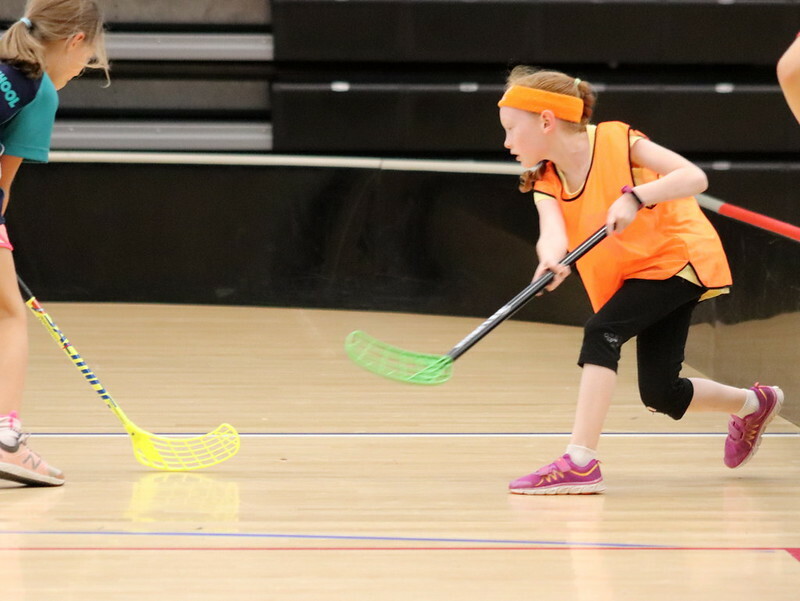 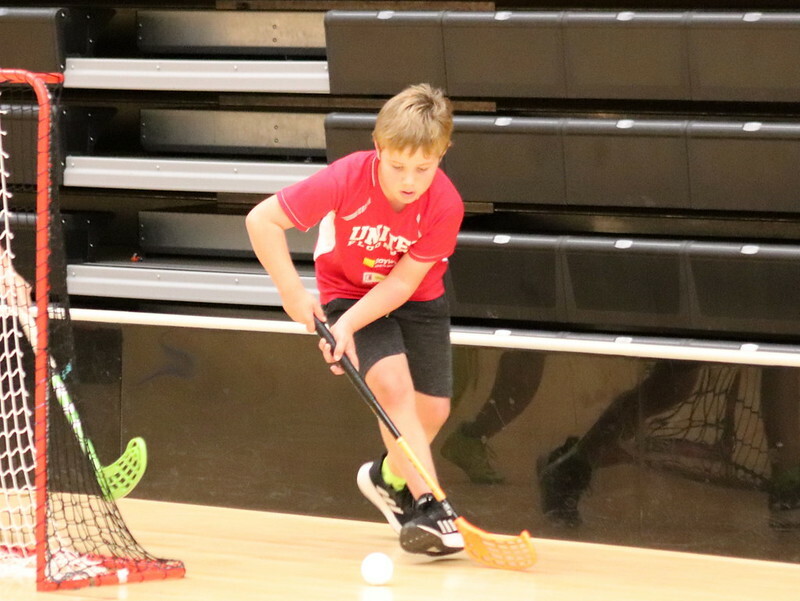 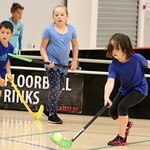 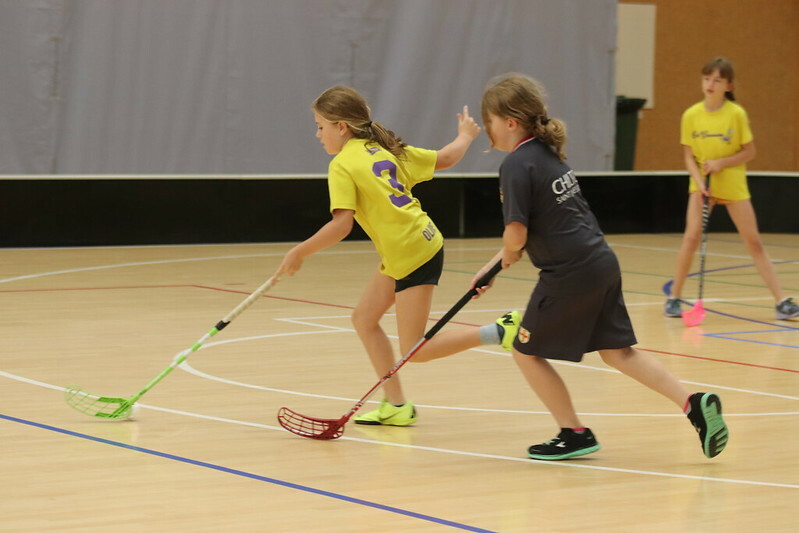 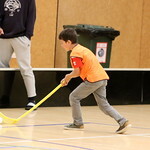 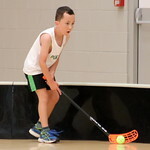 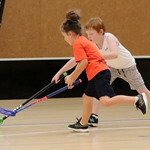 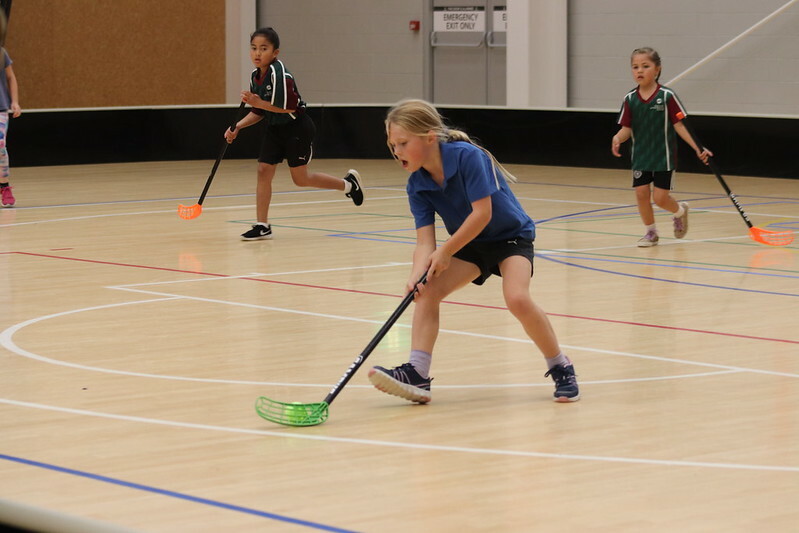 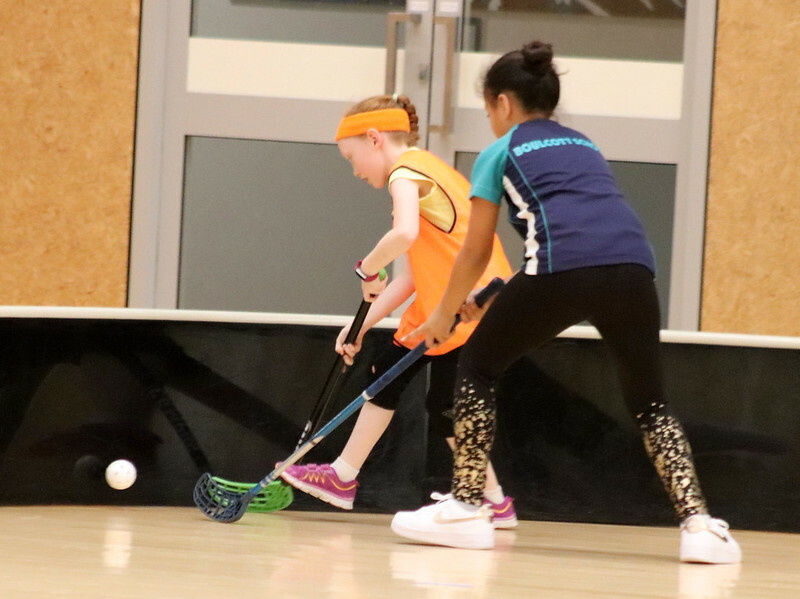 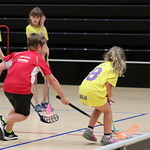 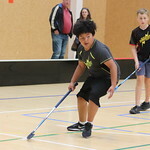 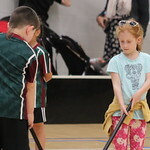 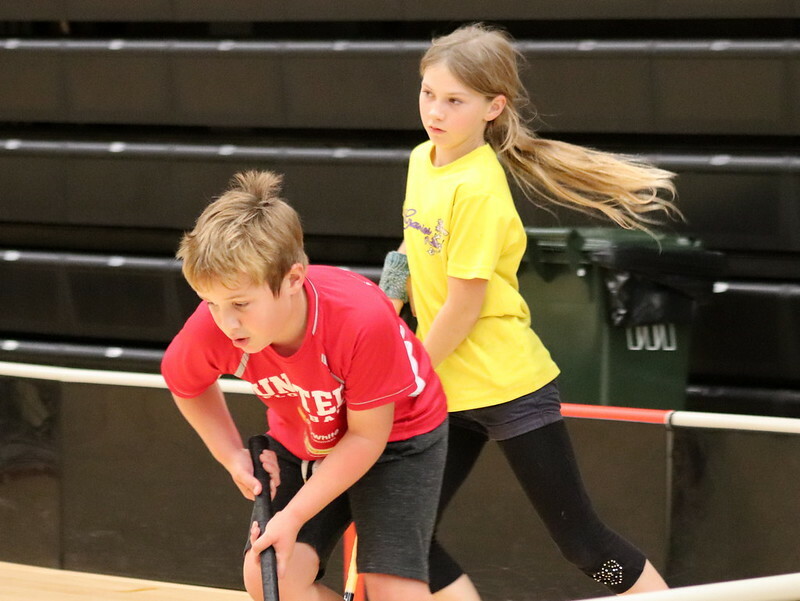 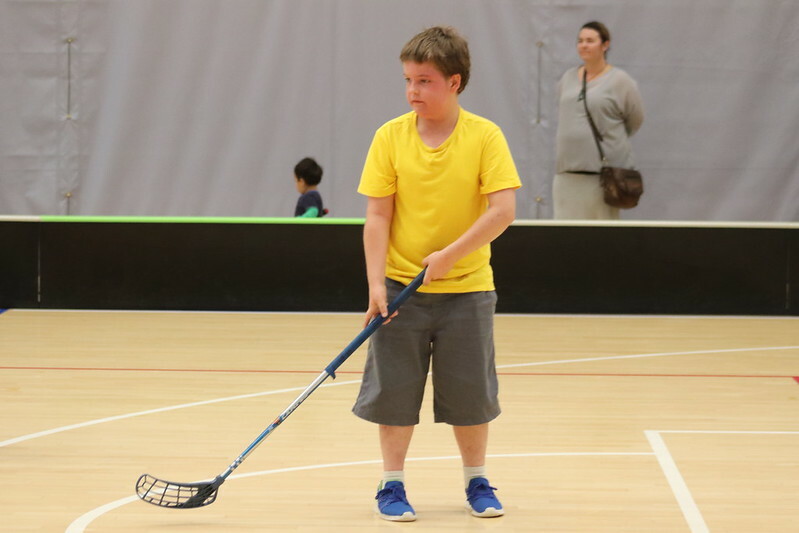 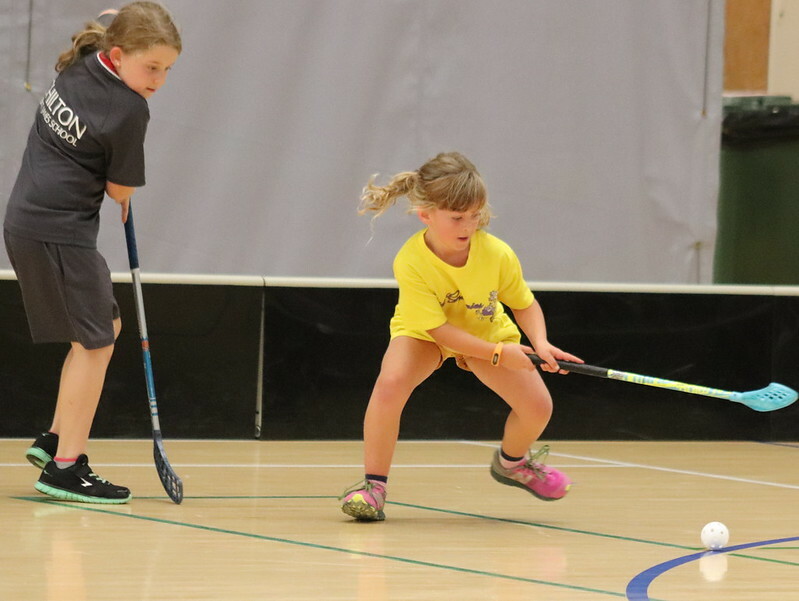 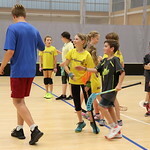 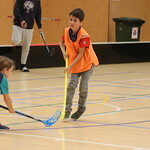 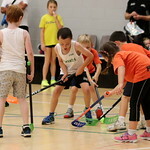 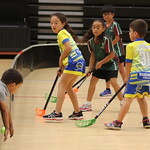 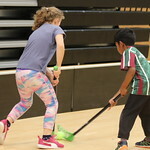 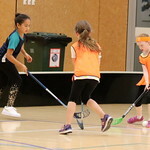 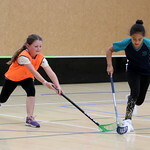 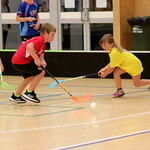 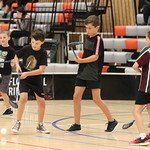 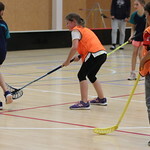 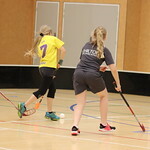 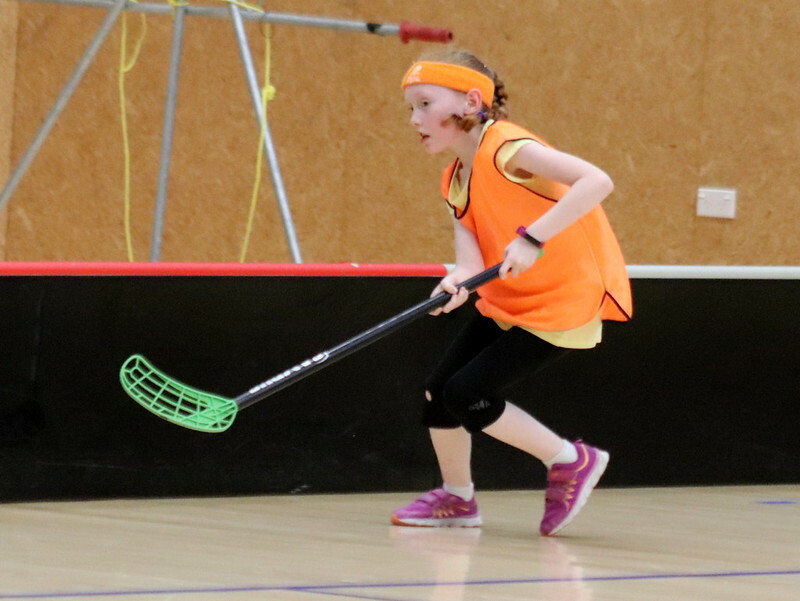 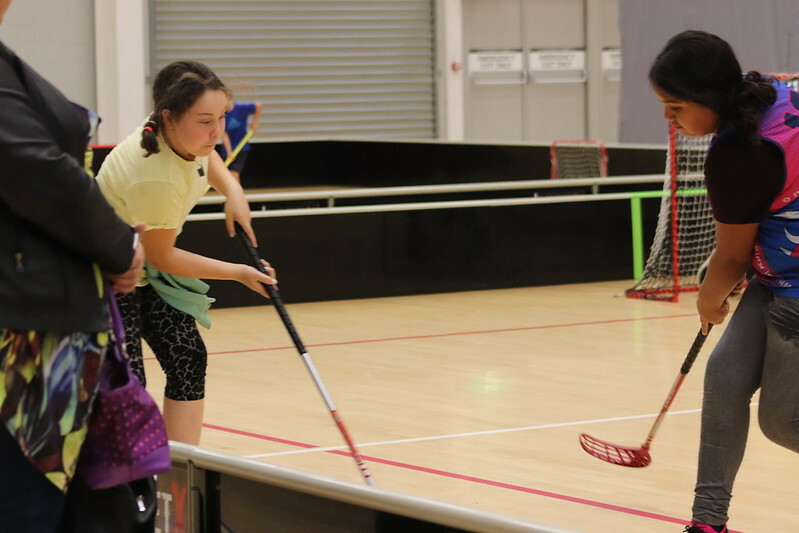 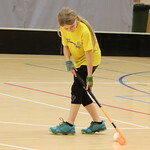 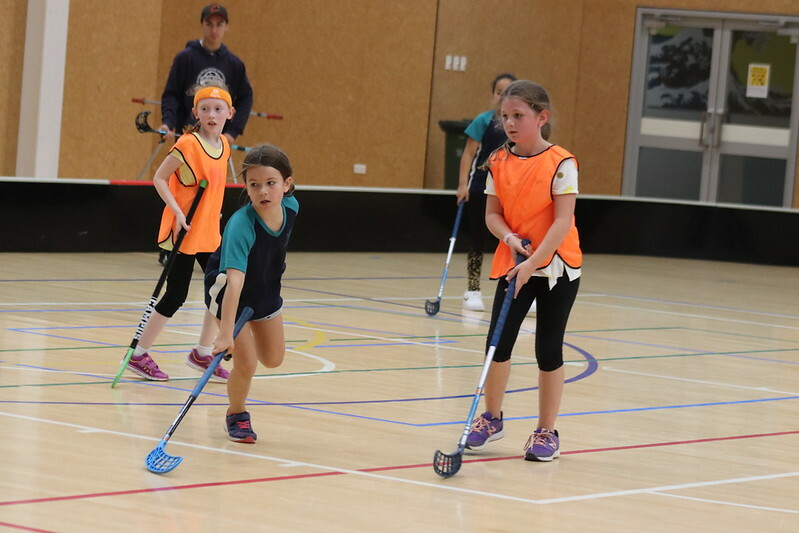 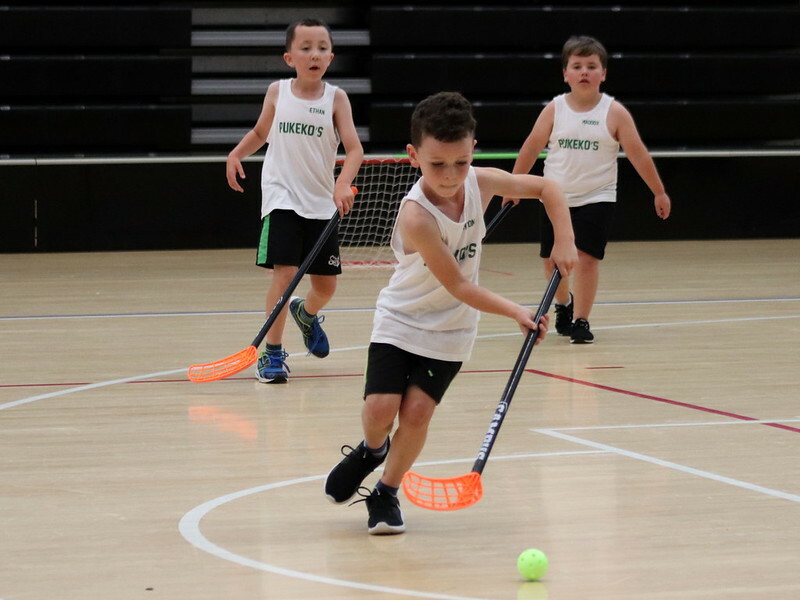 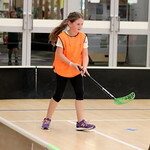 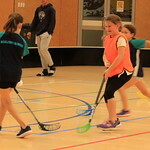 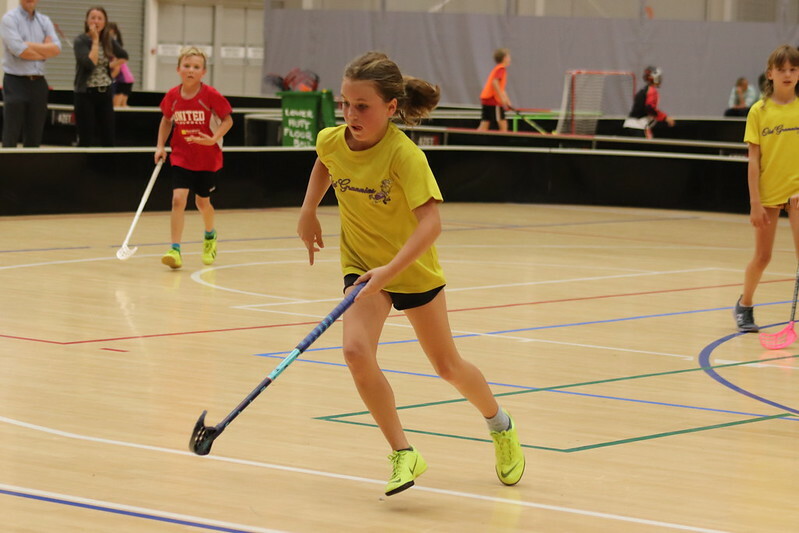 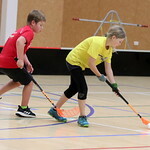 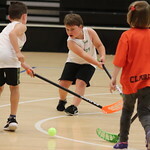 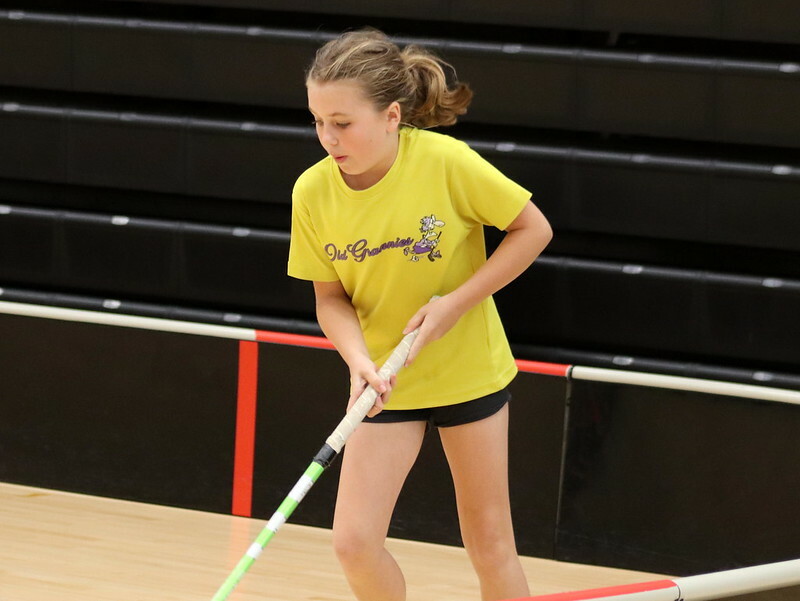 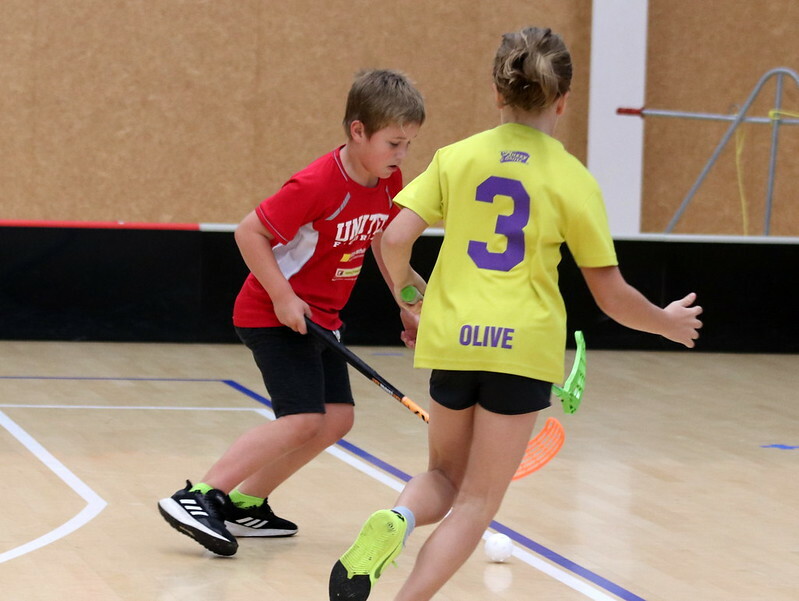 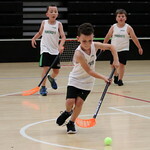 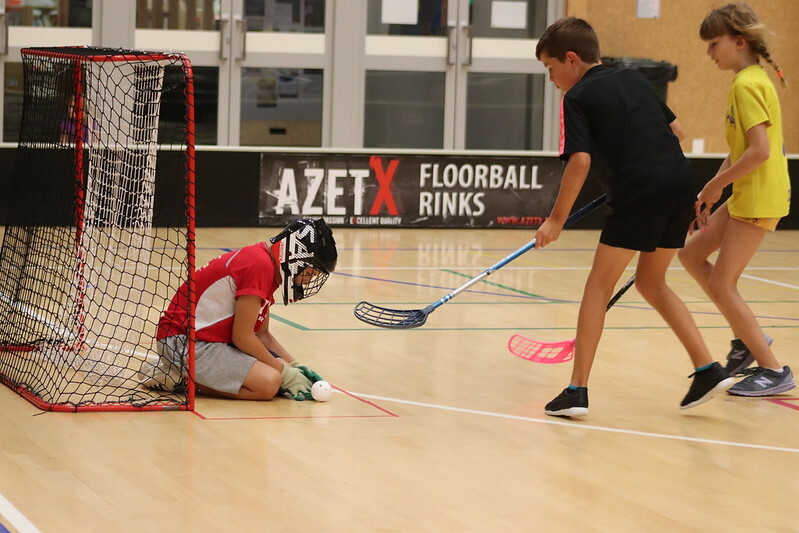 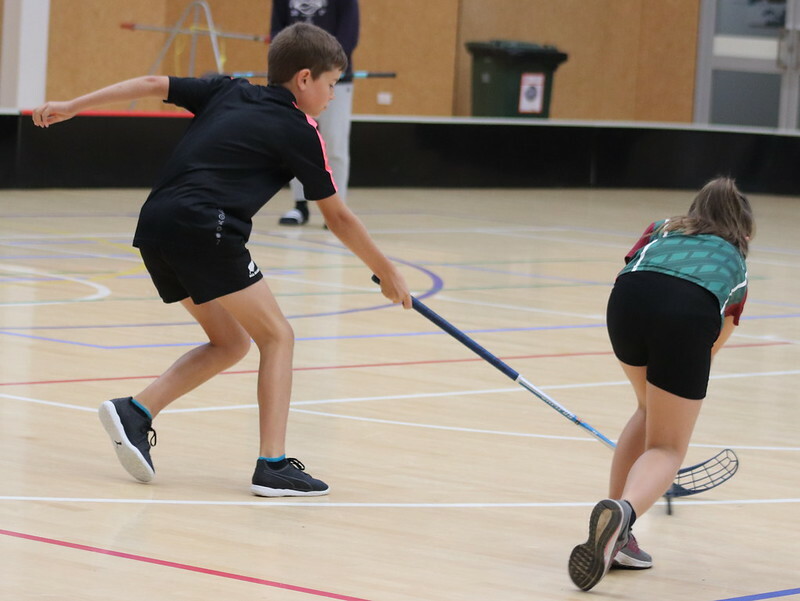 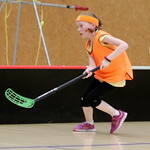 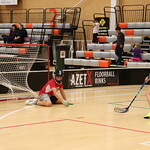 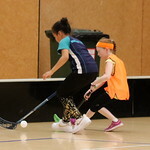 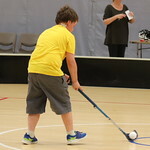 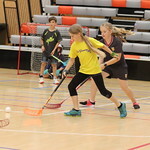 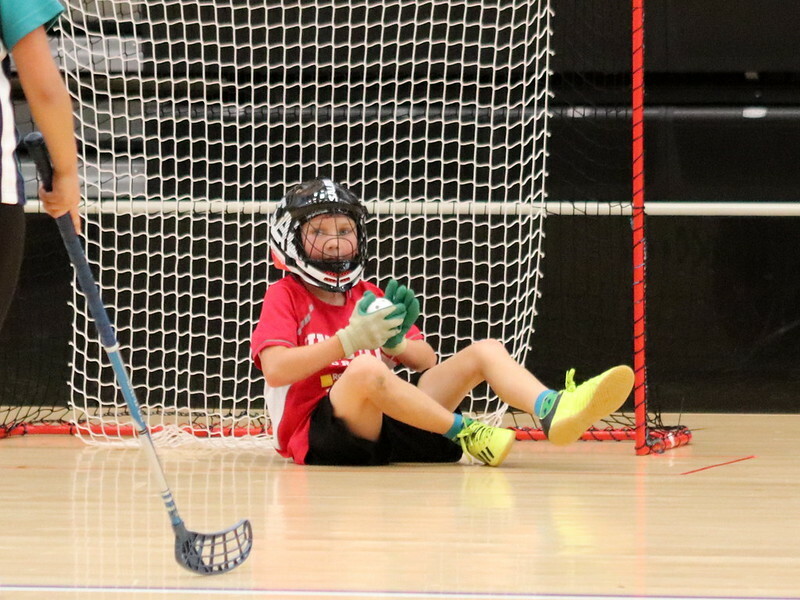 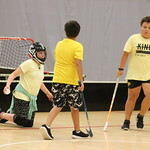 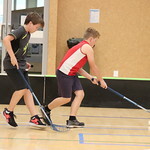 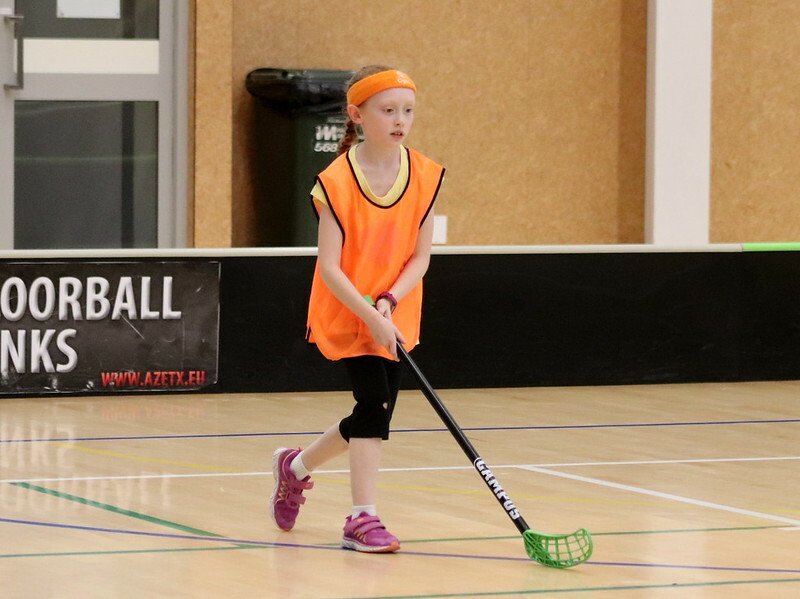 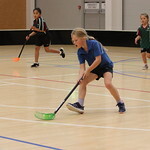 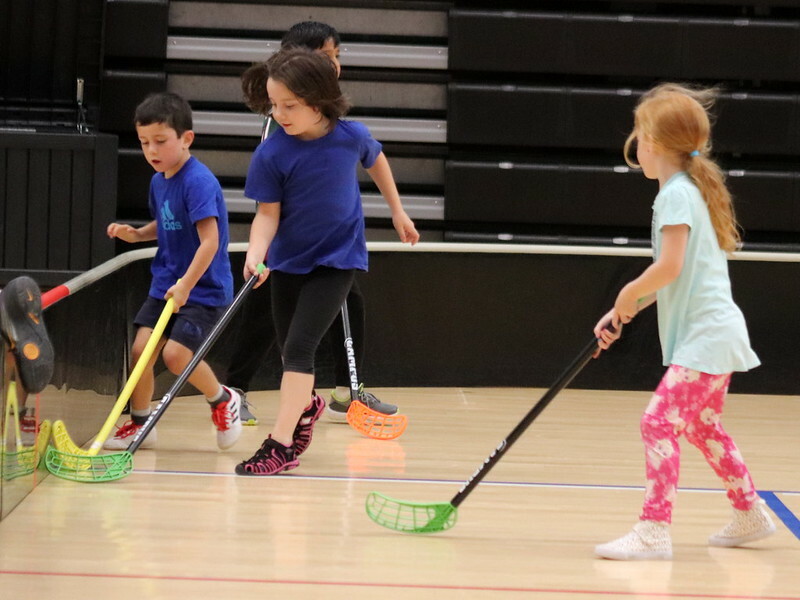 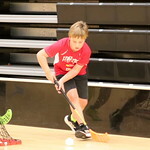 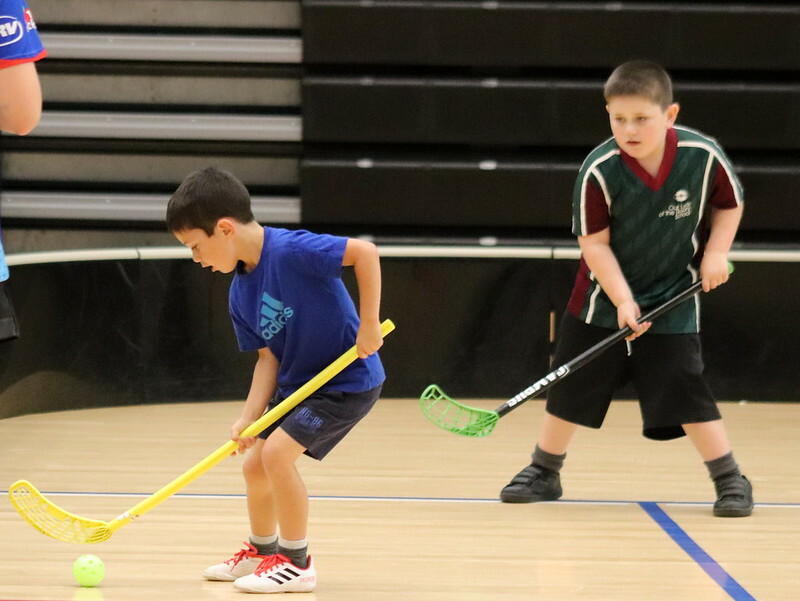 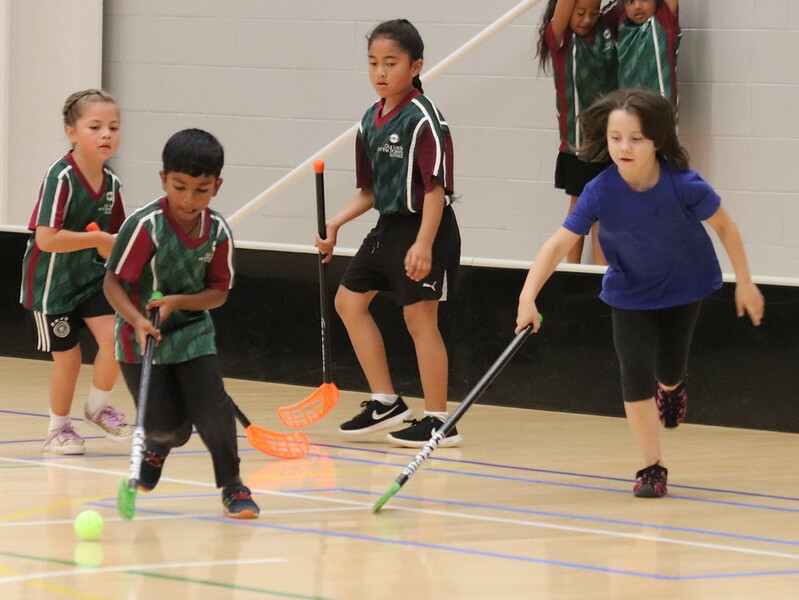 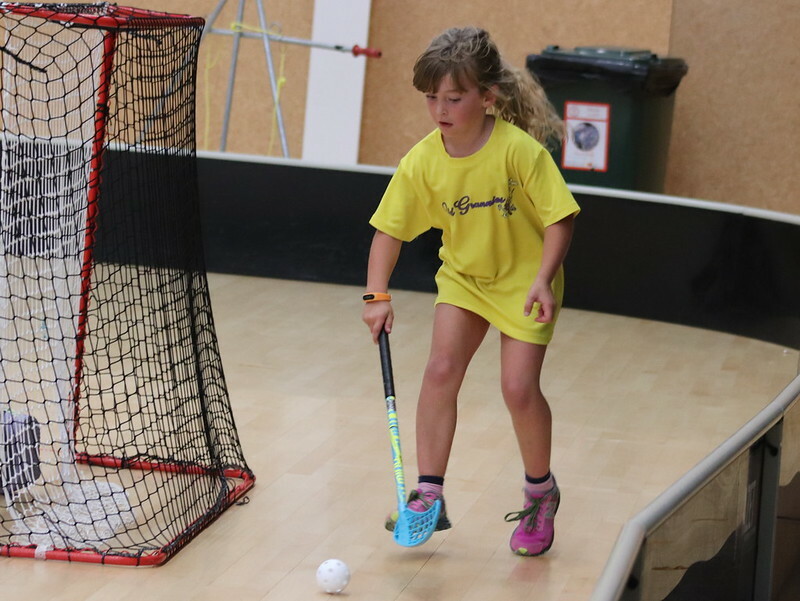 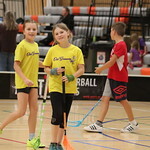 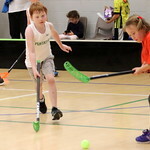 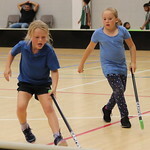 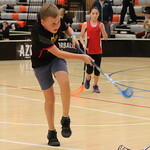 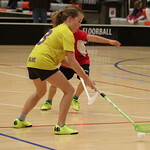 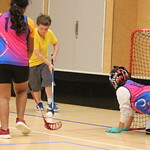 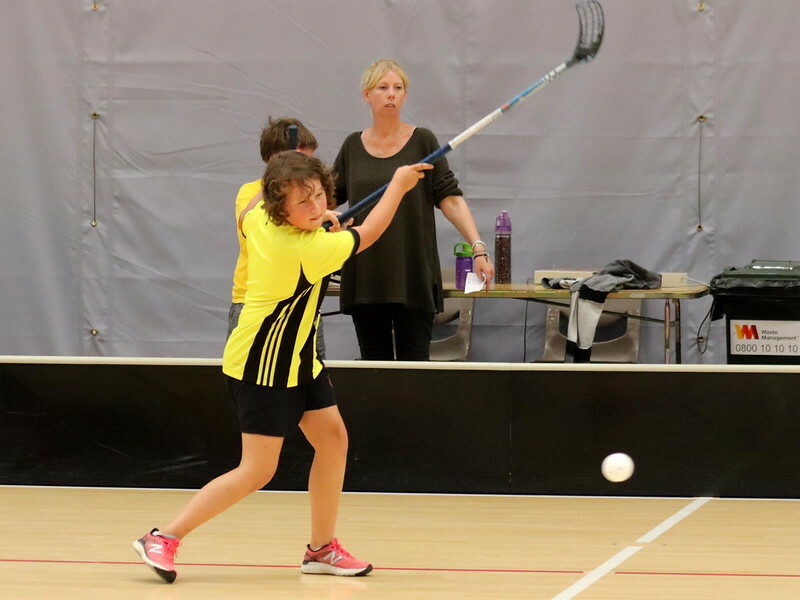 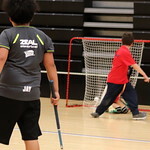 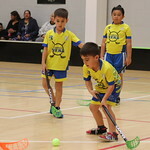 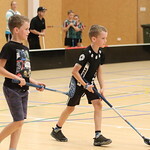 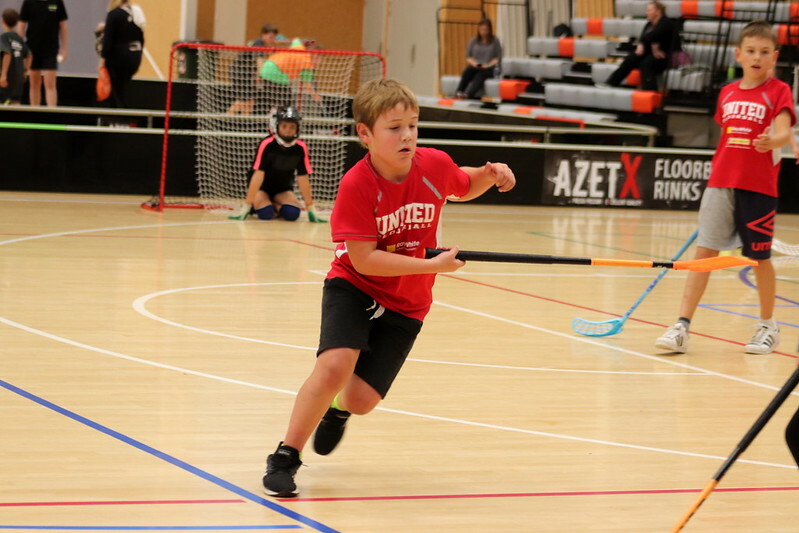 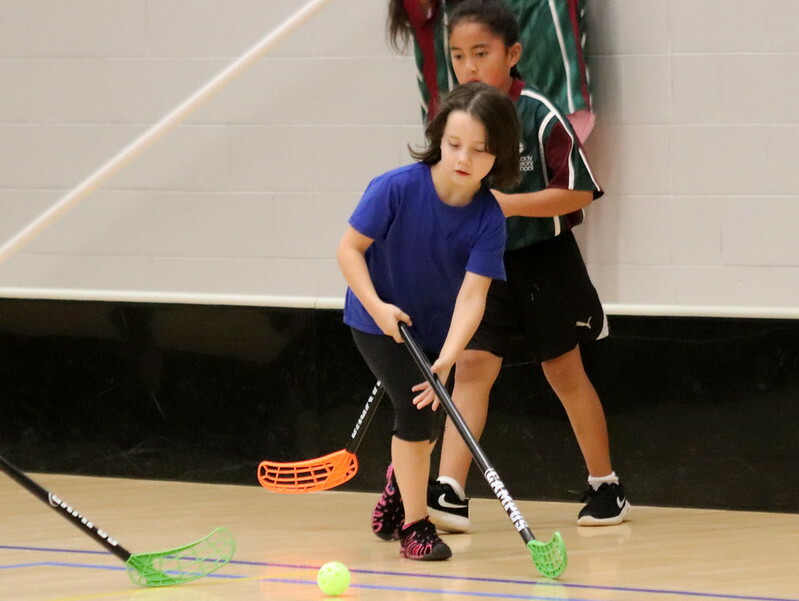 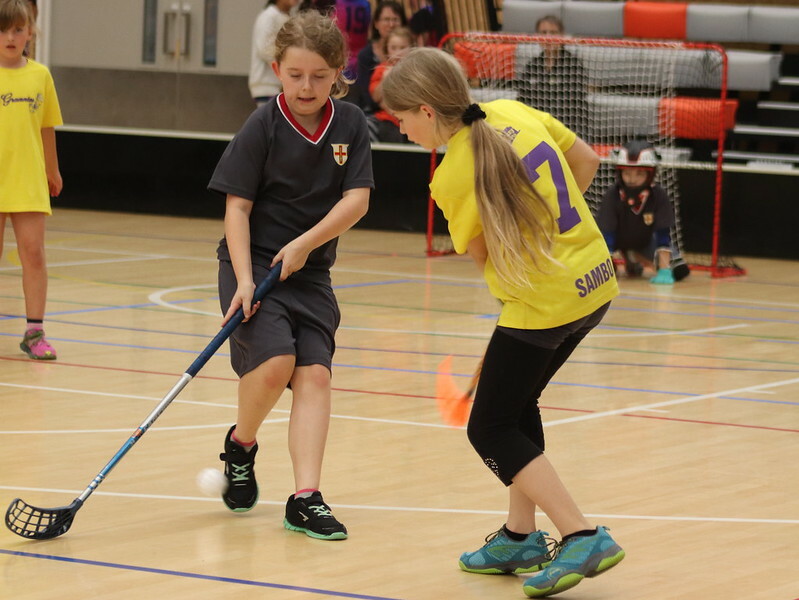 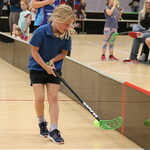 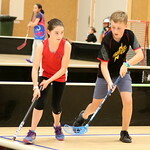 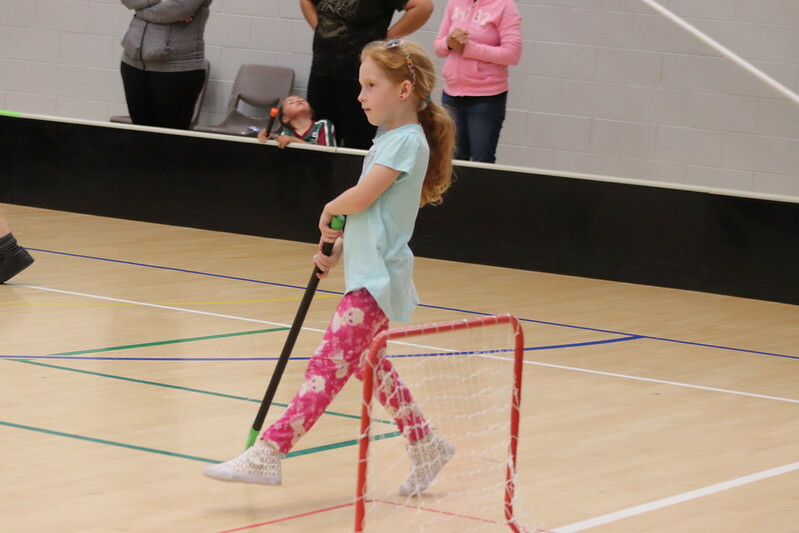 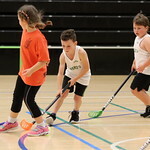 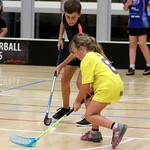 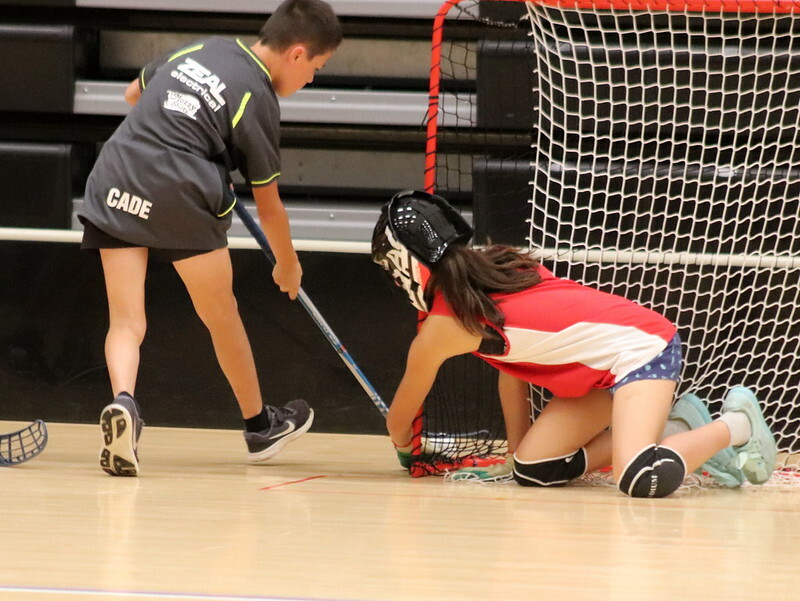 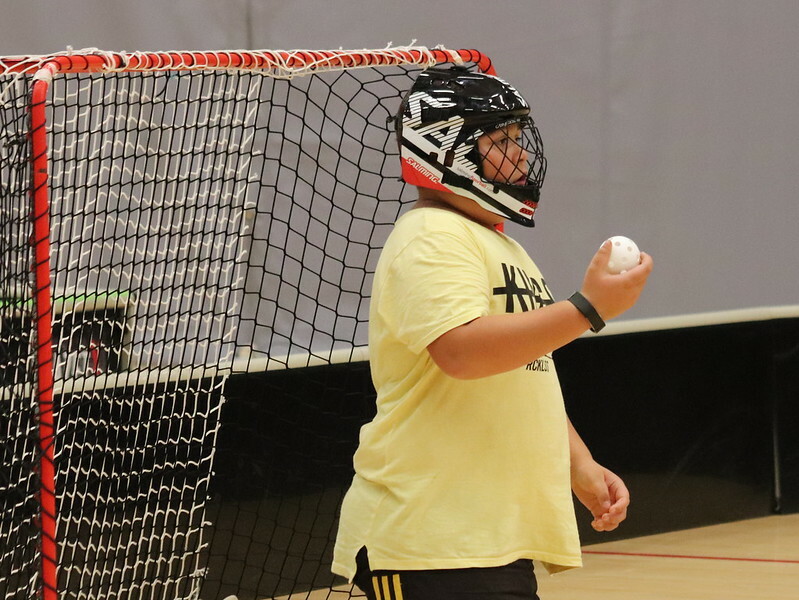 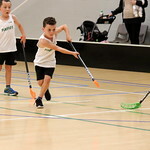 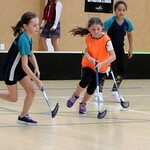 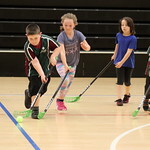 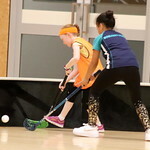 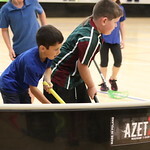 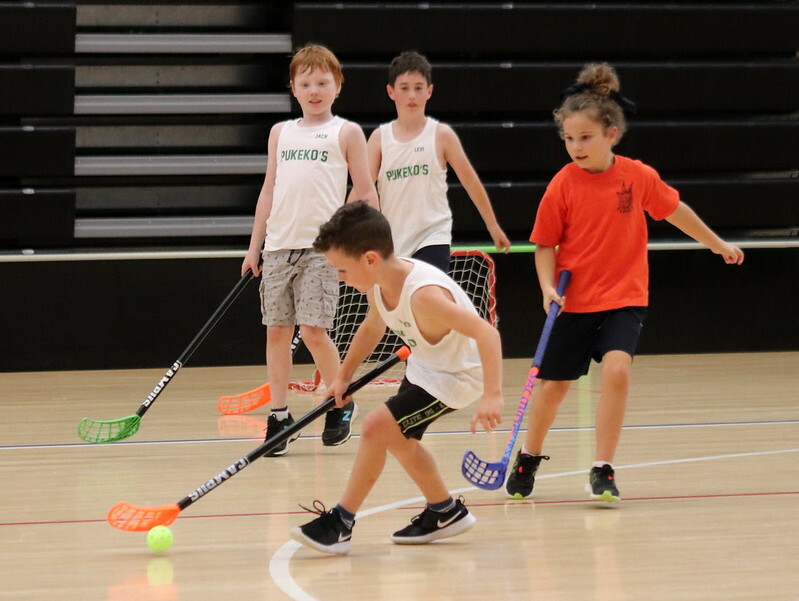 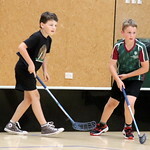 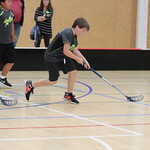 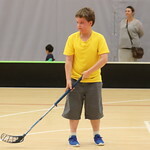 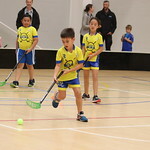 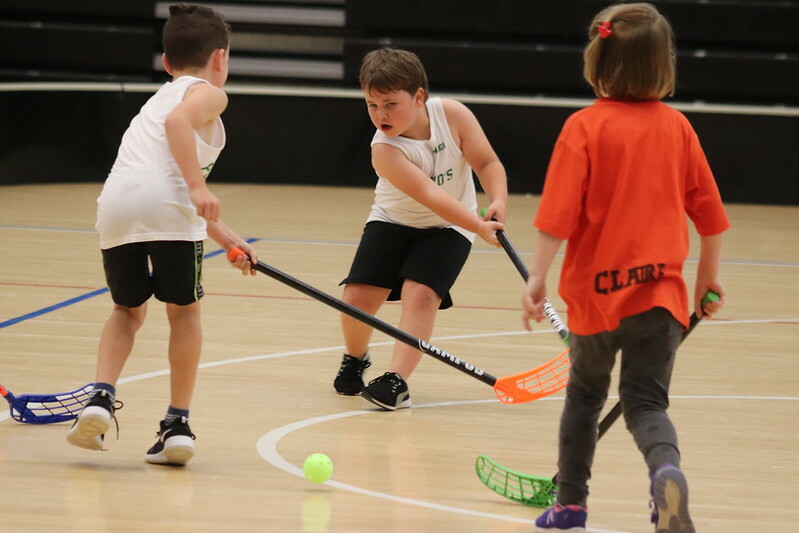 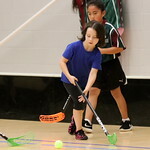 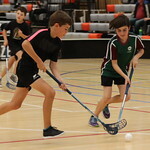 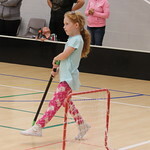 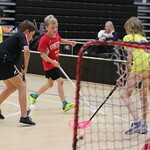 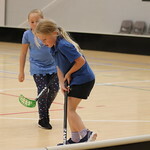 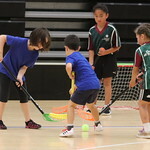 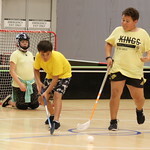 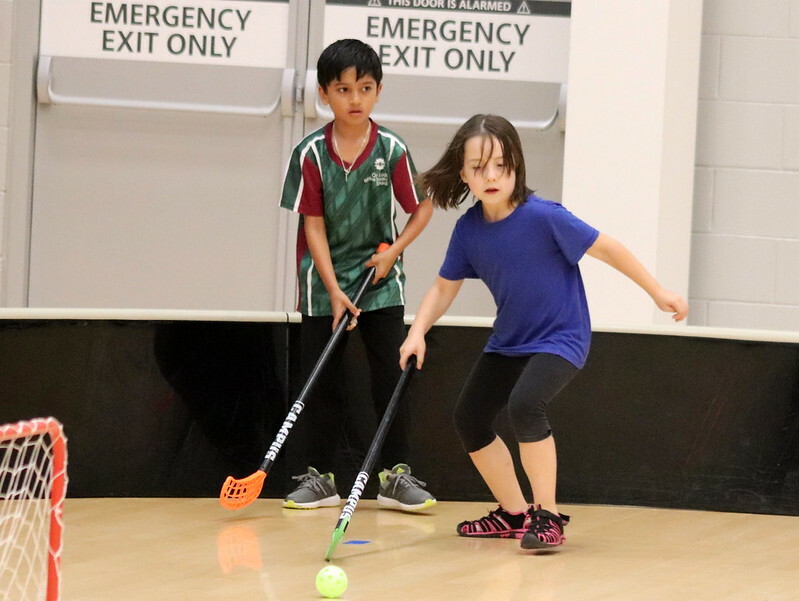 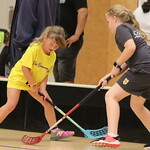 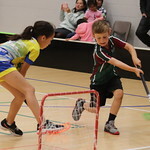 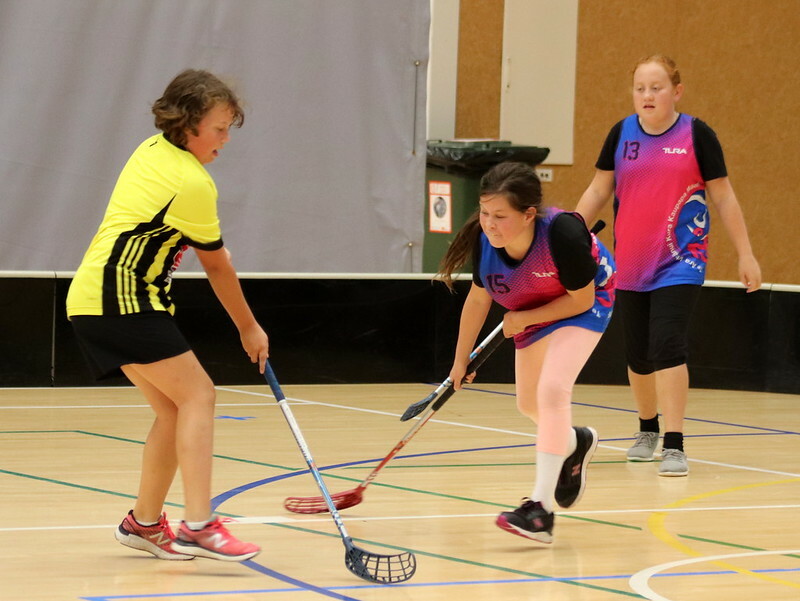 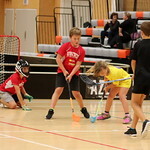 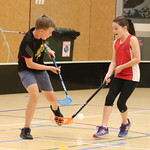 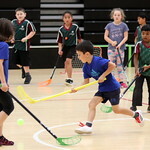 Wednesday saw the last round of floorball for the season. 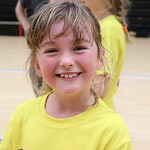 The children have played very competitively but with great enjoyment and there have been some wonderful goals scored. 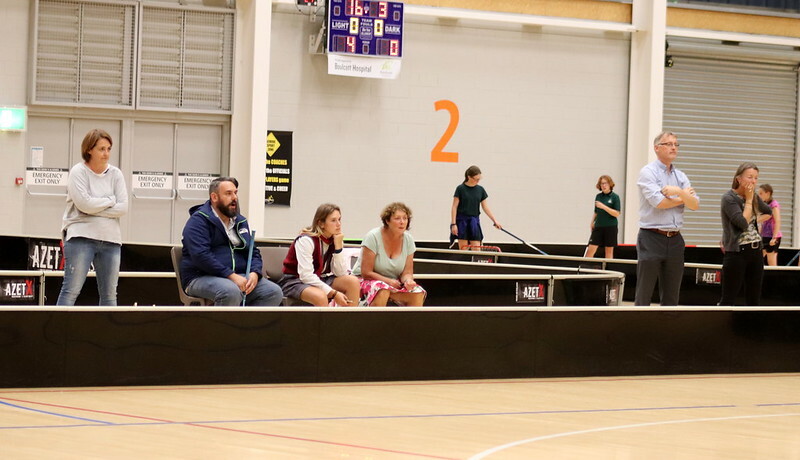 The last game of the day was a very thrilling final between Tawhai United and the Grannies, both unbeaten during the season. 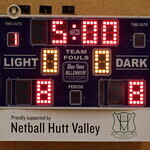 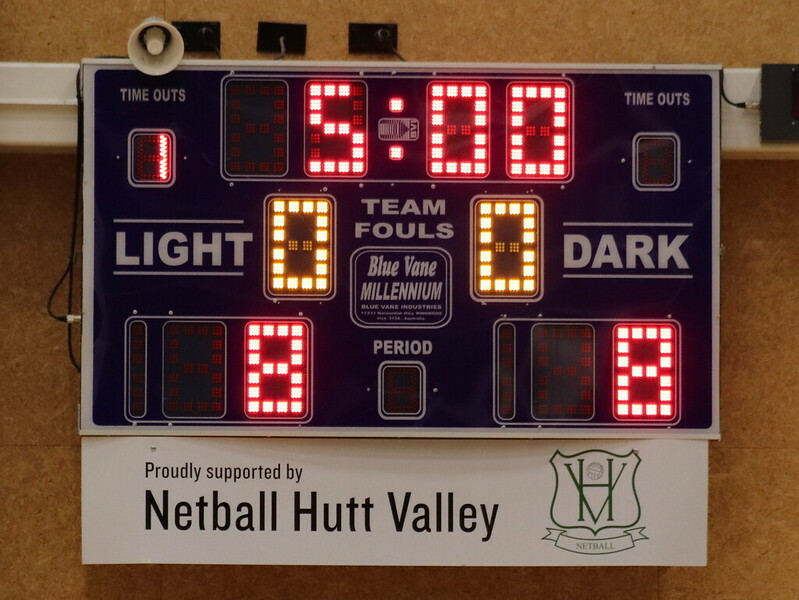 The Grannies led for most of the game but Tawhai clawed their way to bring about a draw of 8-8 at full time. 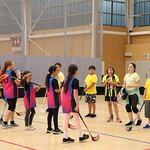 The teams played extra time with the winner being decided on a golden point but when the whistle blew again a goal had not been scored. 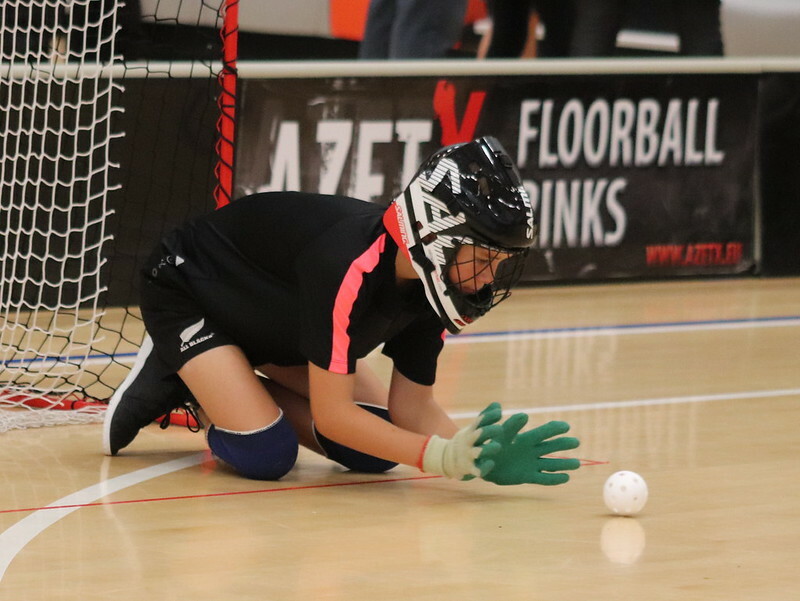 It was now down to a penalty shootout which the Grannies won partly due to some nifty goal scoring and great goalkeeping by Samara. 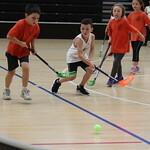 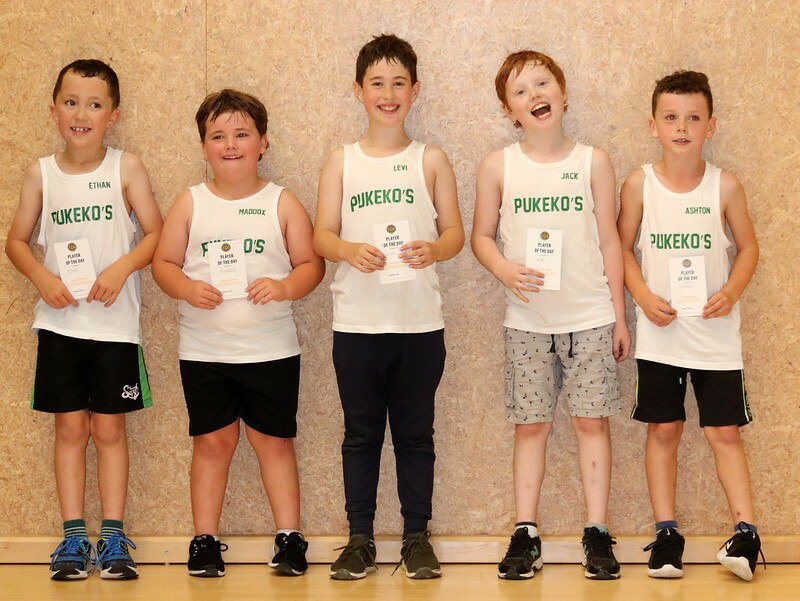 Well done to both teams for playing a very competitive and entertaining game!